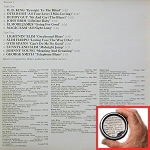 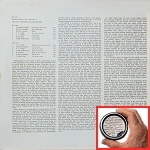 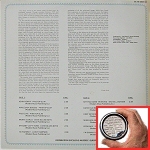 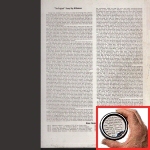 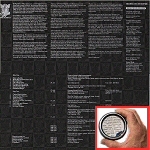 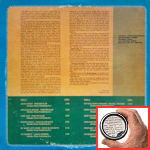 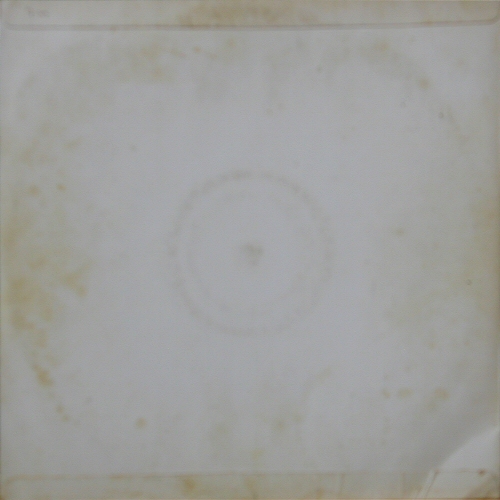 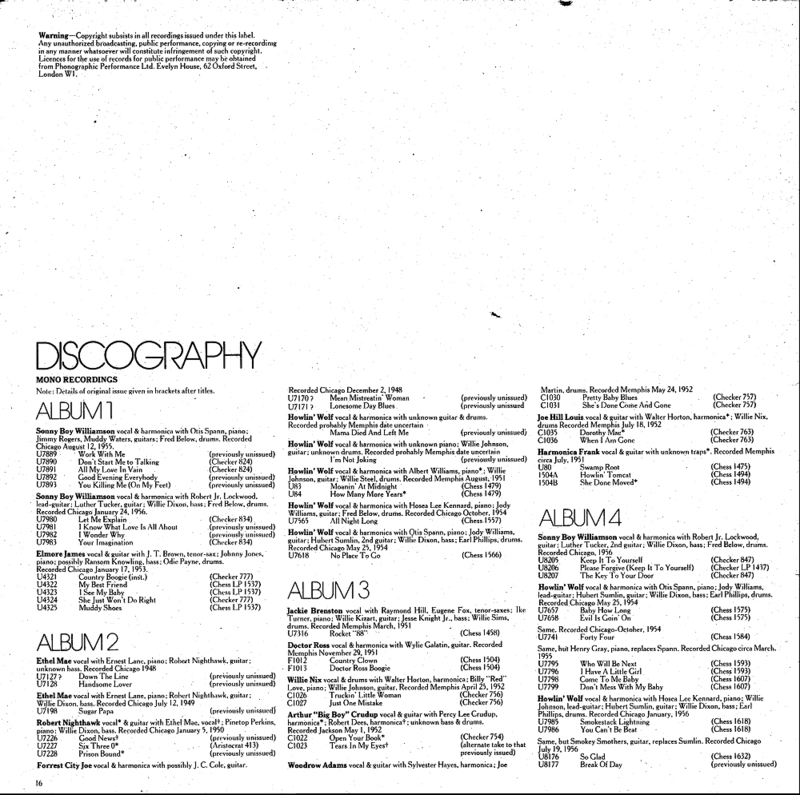 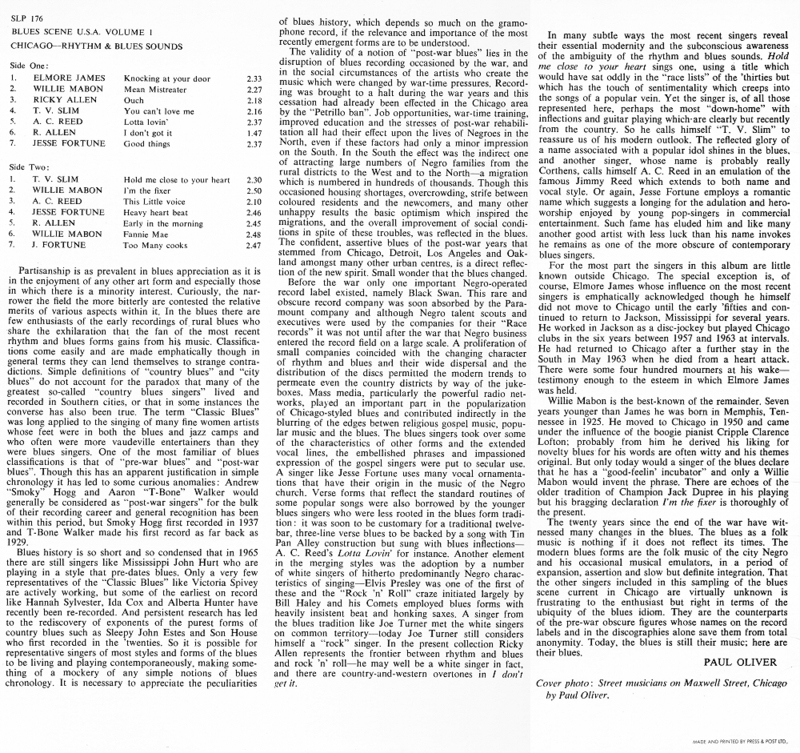 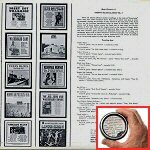 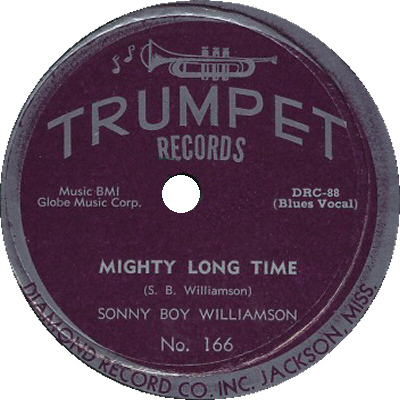 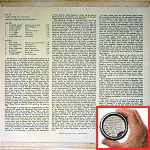 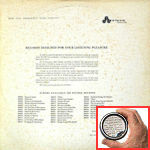 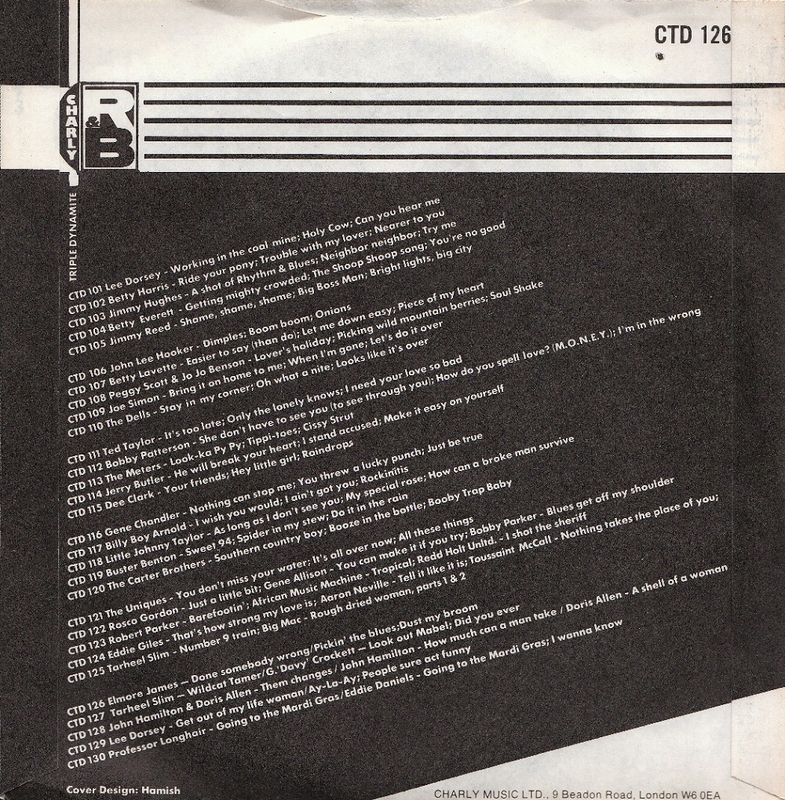 in addition to those labels shown in the right column, Lillian McMurry also used what was left of the DRC-1-15/DRC-1-16 labels (see above) on later records of DRC-15-2/DRC-16-2, but with DRC 15-2 resp. 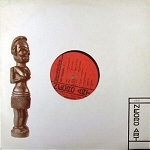 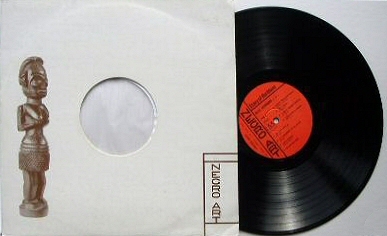 DRC 16-2 in the wax.! 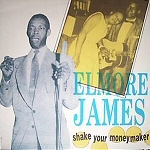 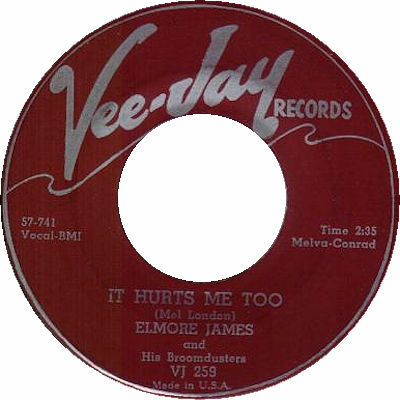 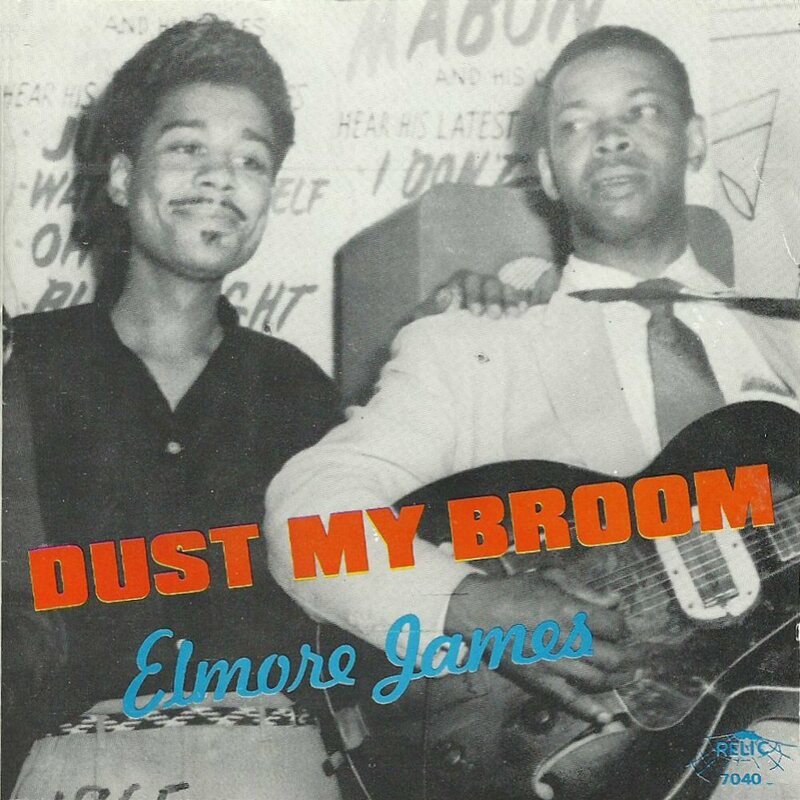 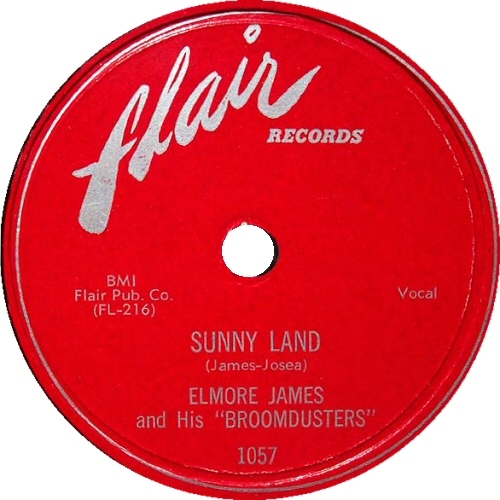 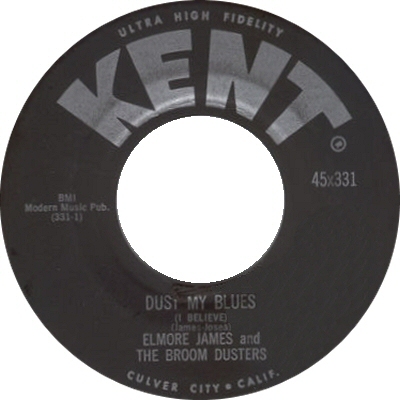 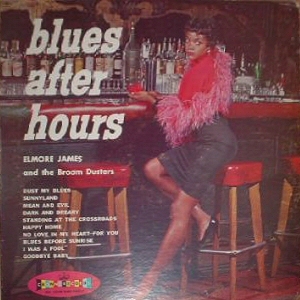 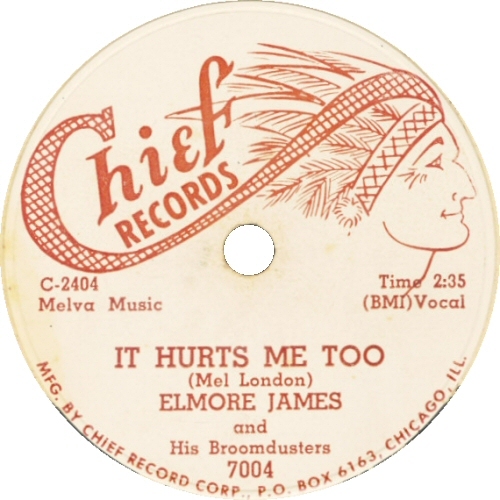 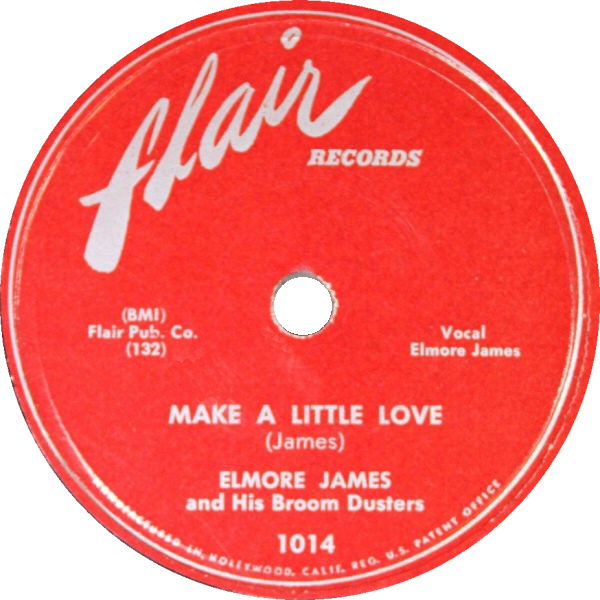 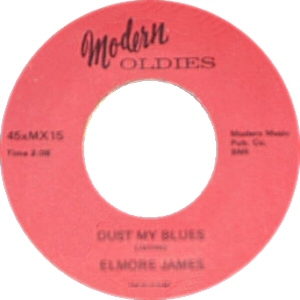 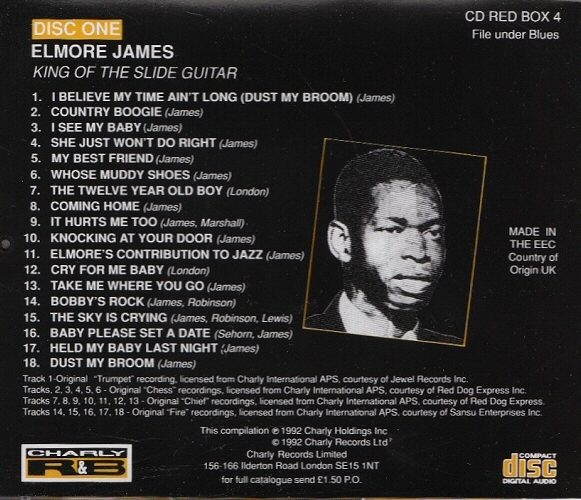 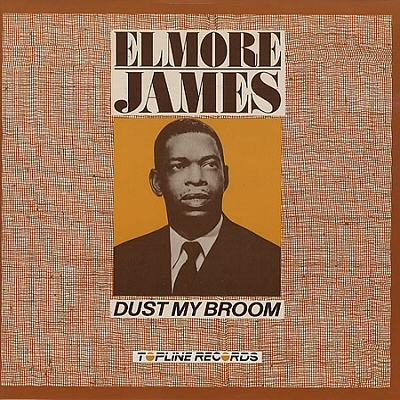 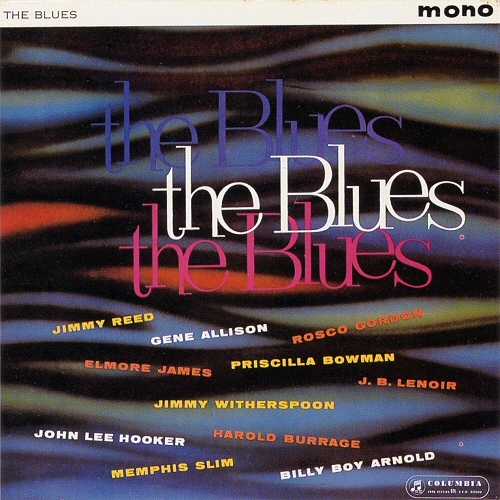 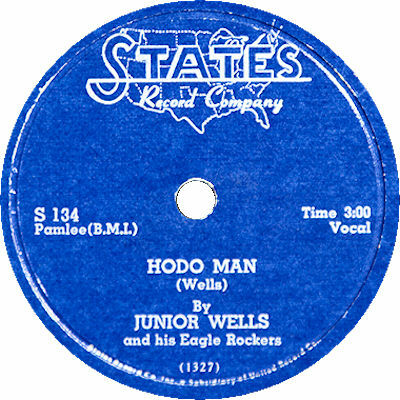 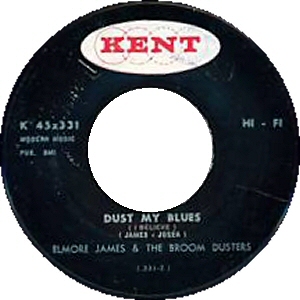 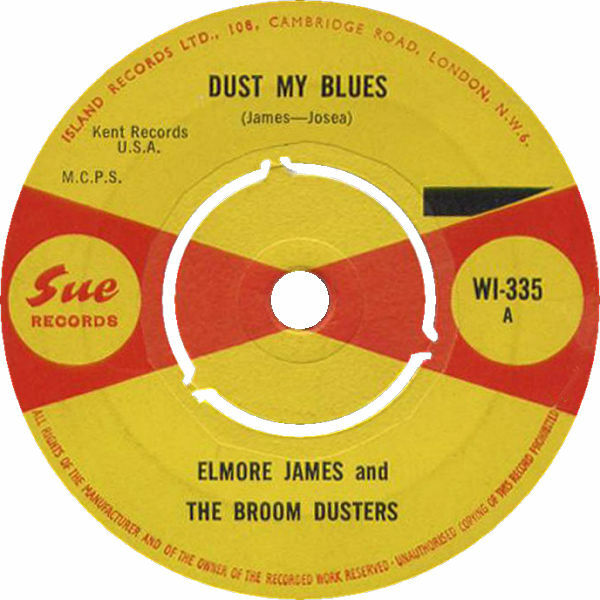 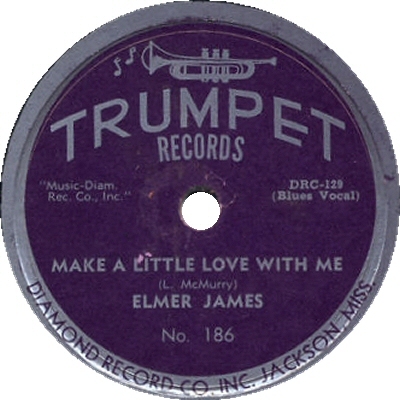 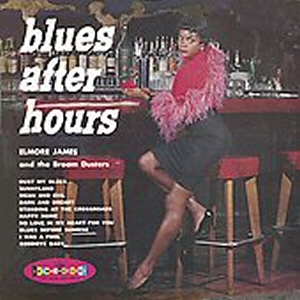 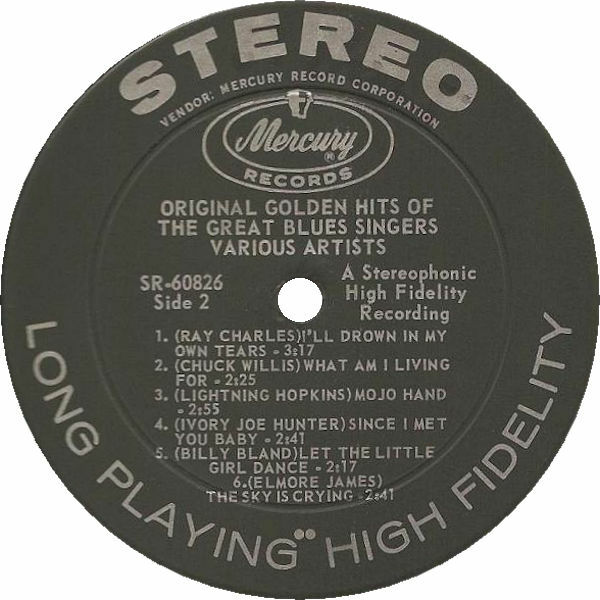 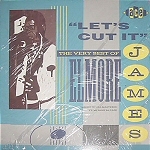 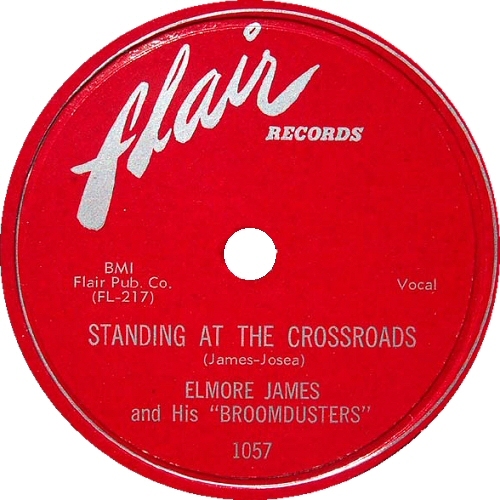 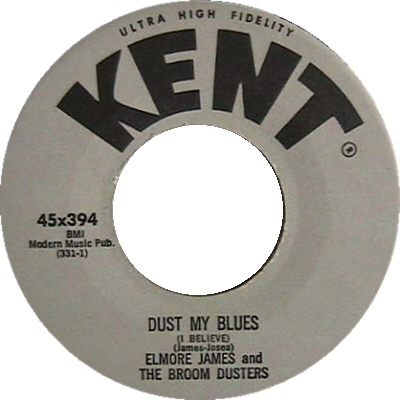 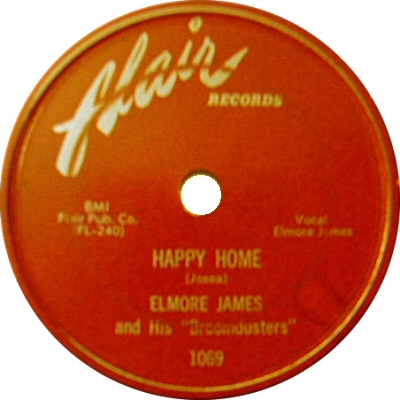 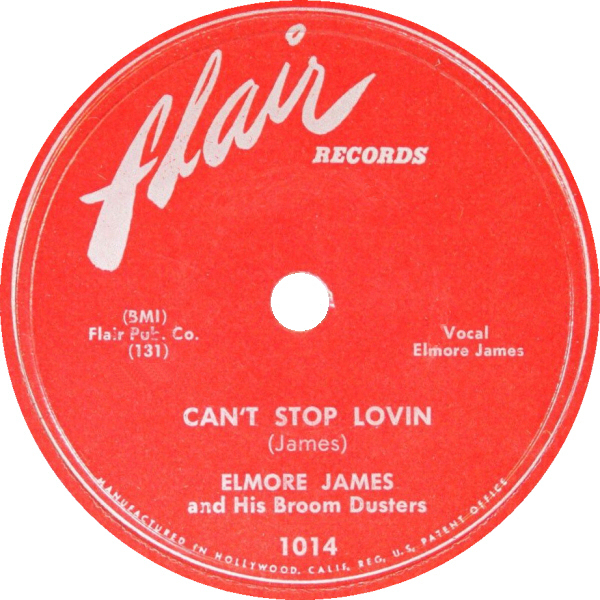 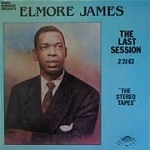 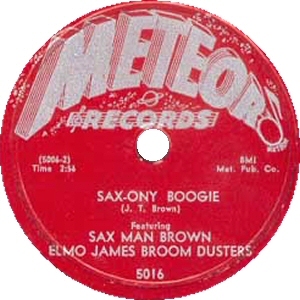 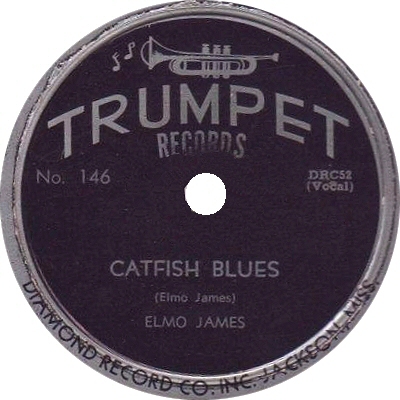 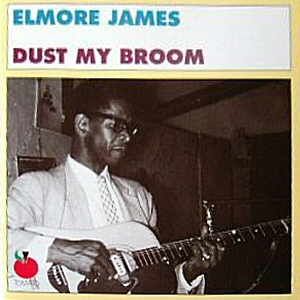 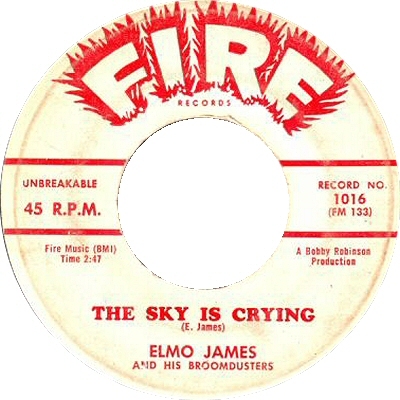 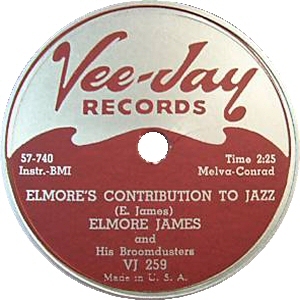 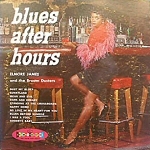 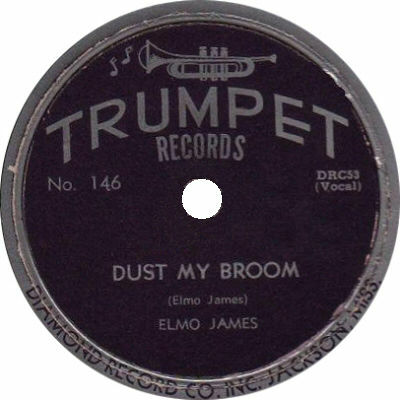 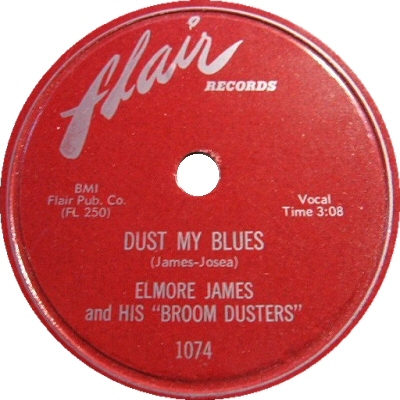 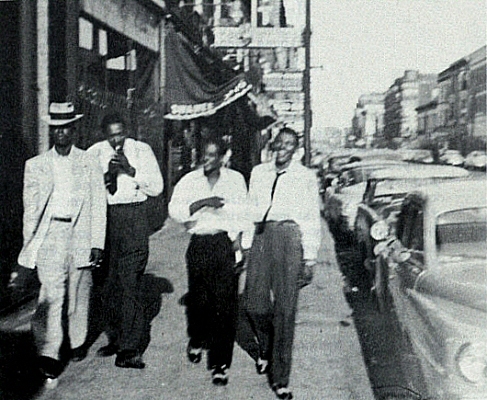 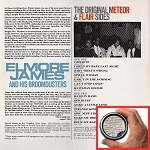 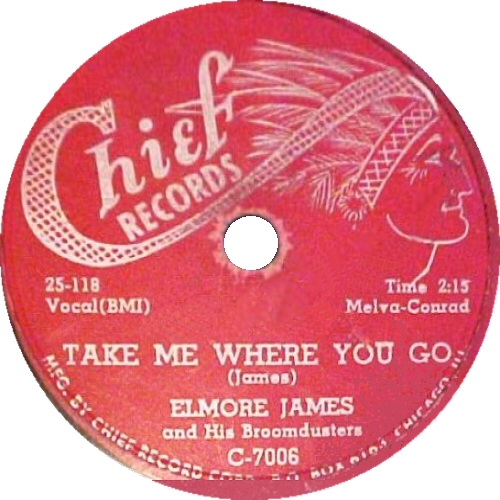 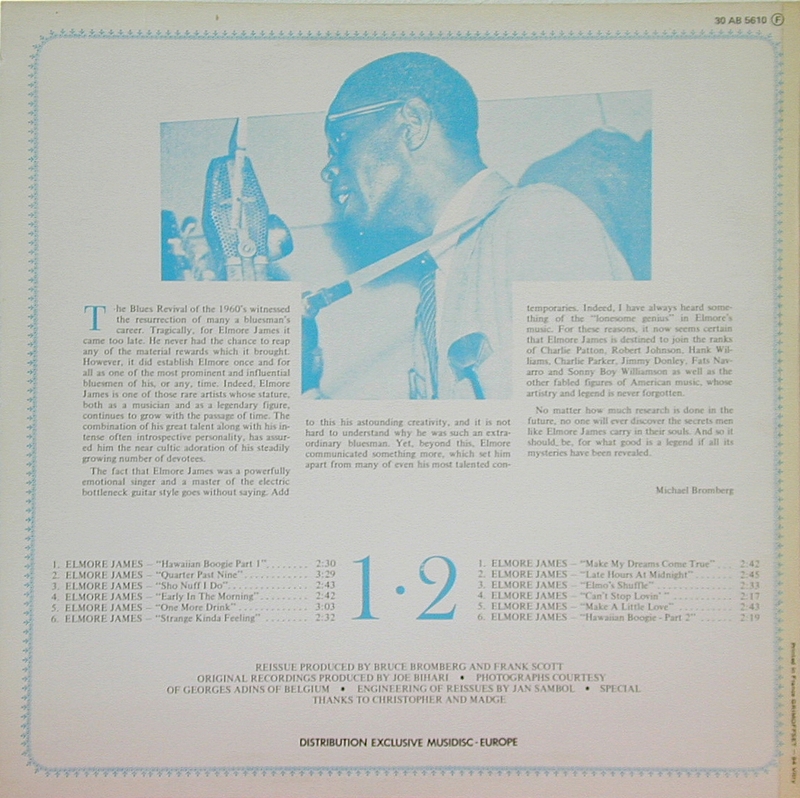 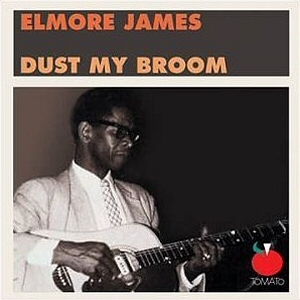 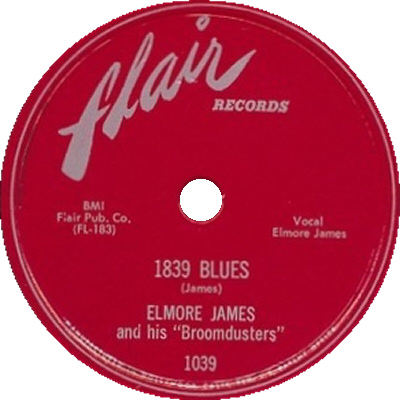 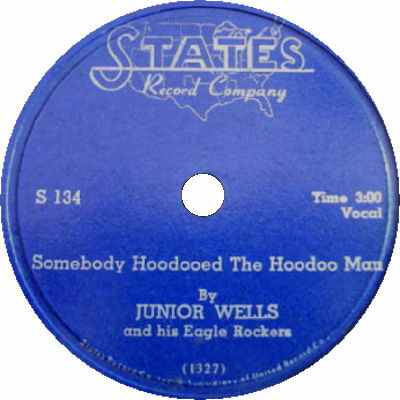 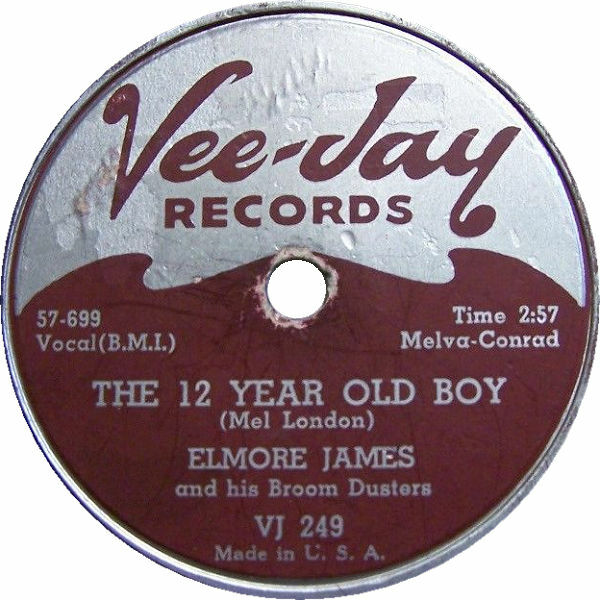 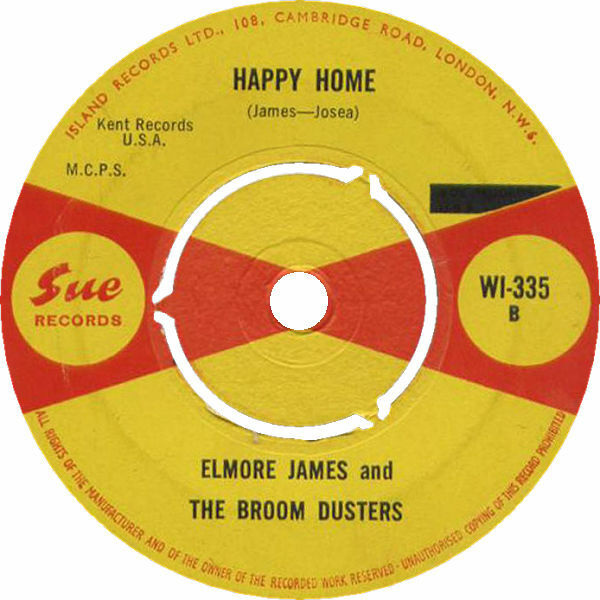 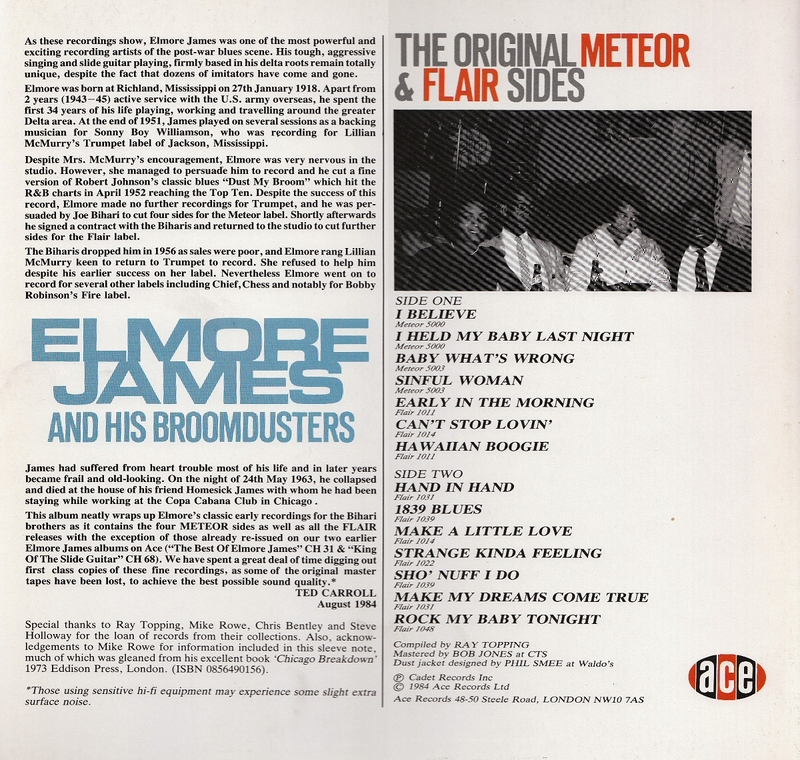 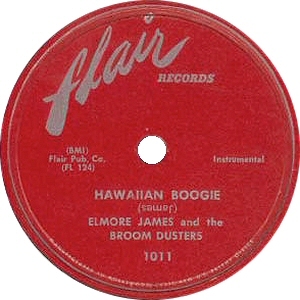 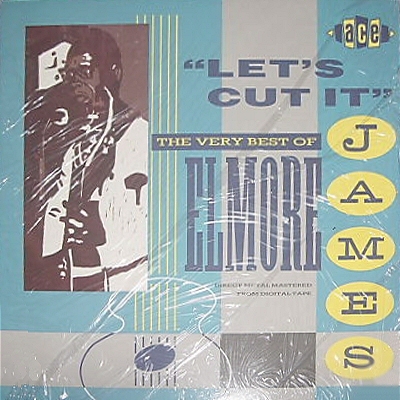 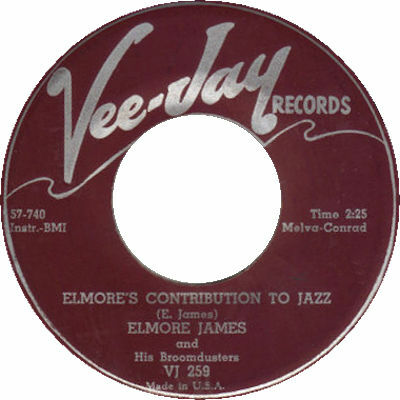 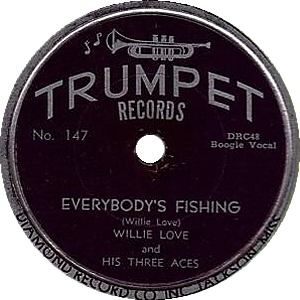 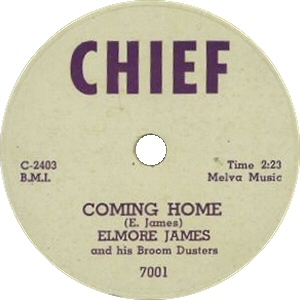 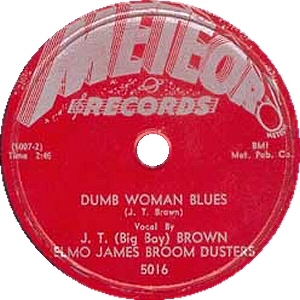 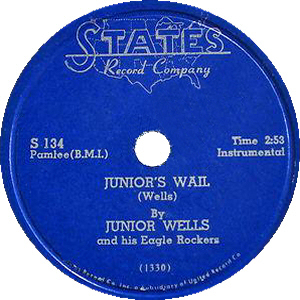 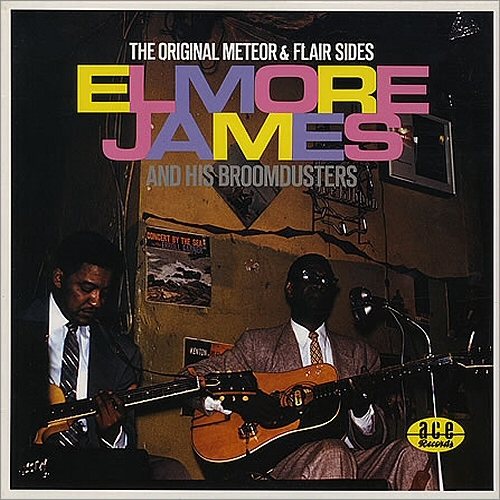 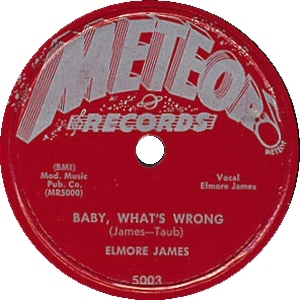 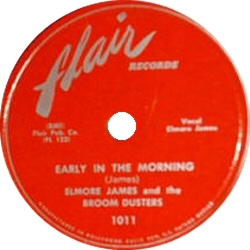 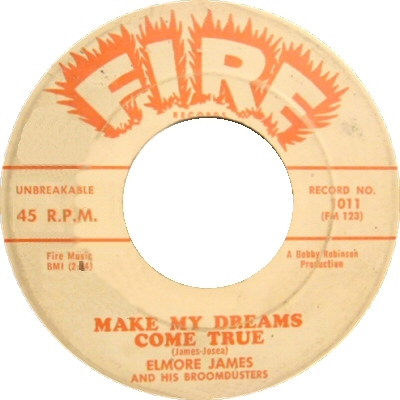 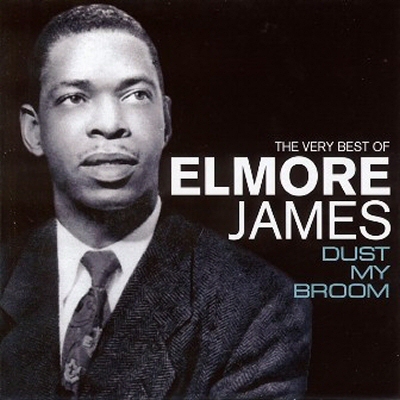 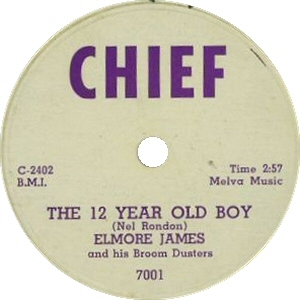 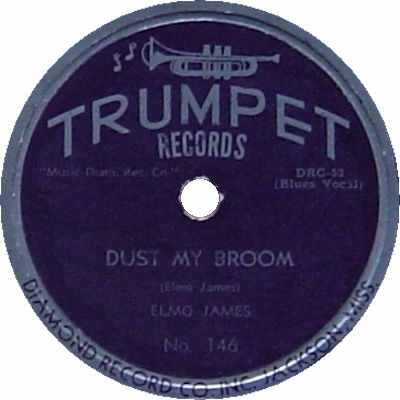 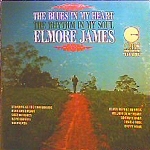 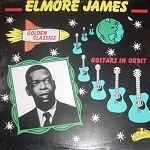 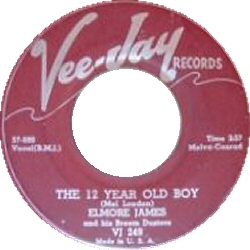 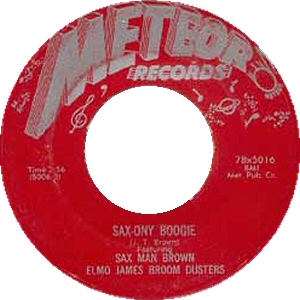 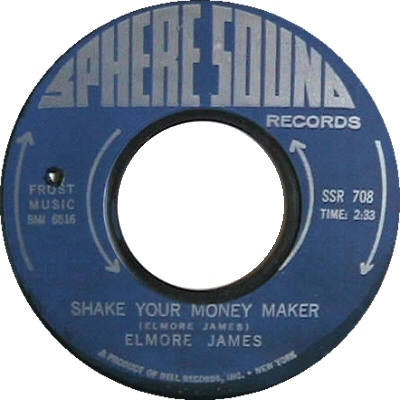 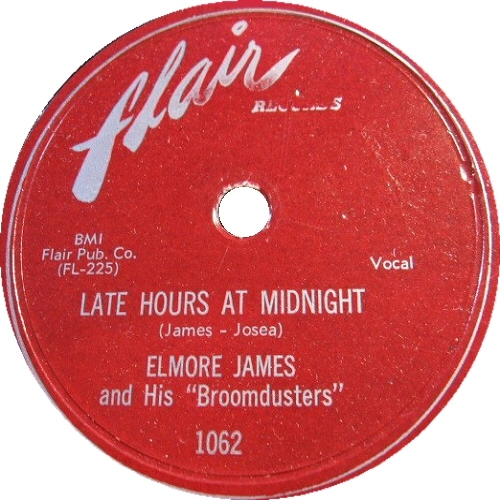 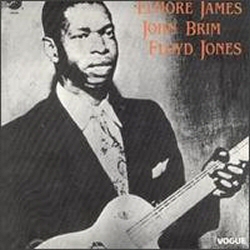 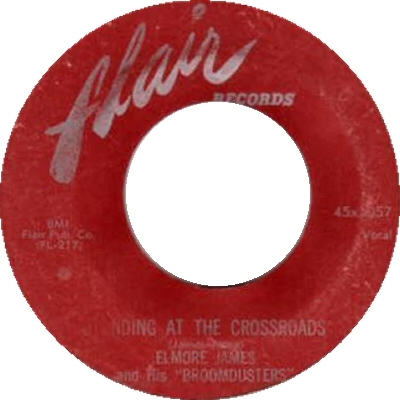 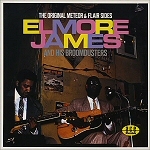 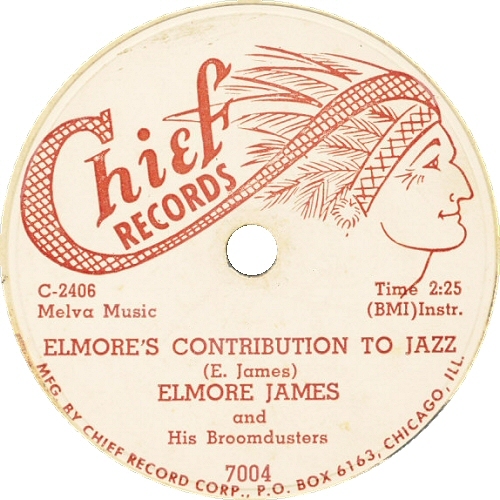 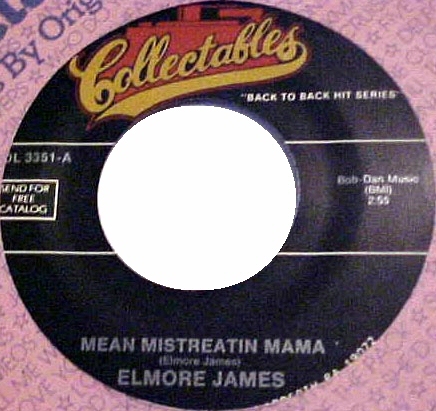 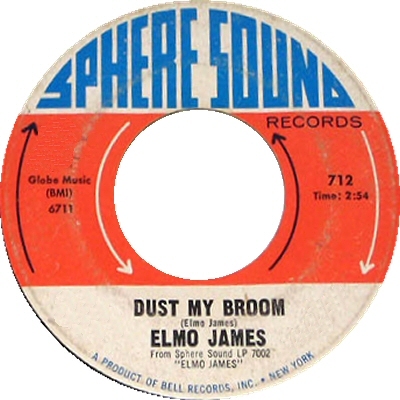 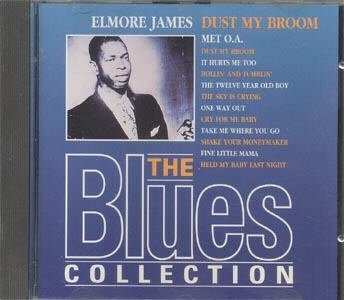 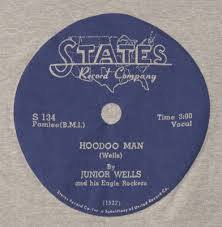 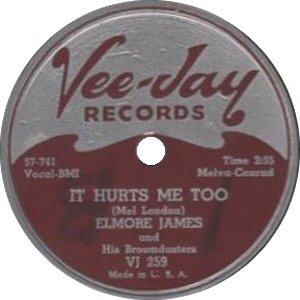 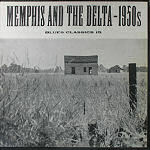 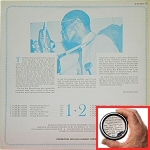 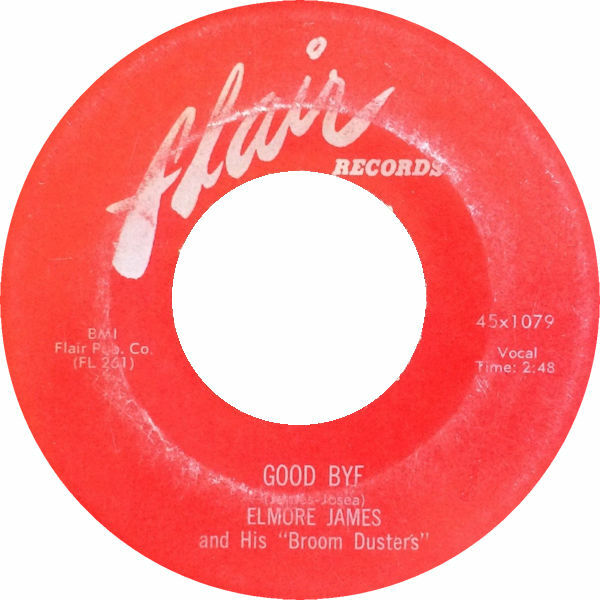 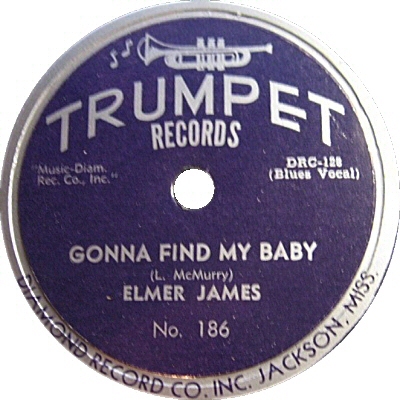 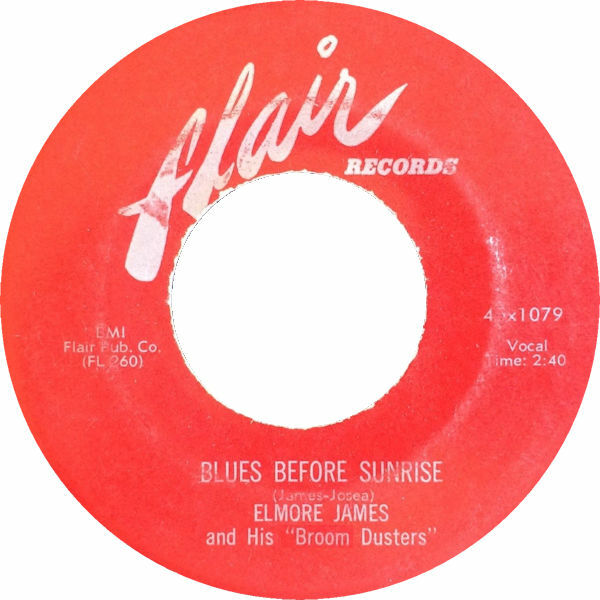 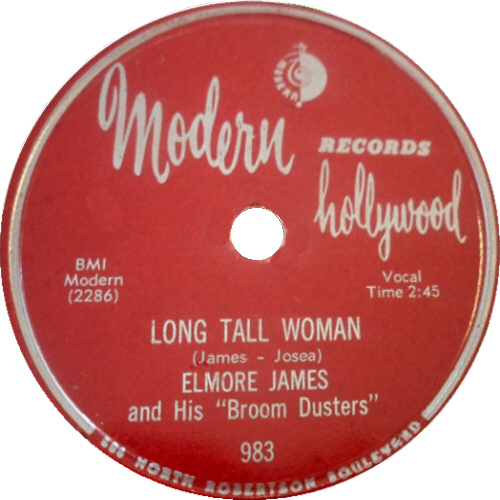 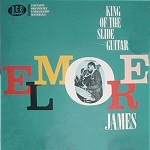 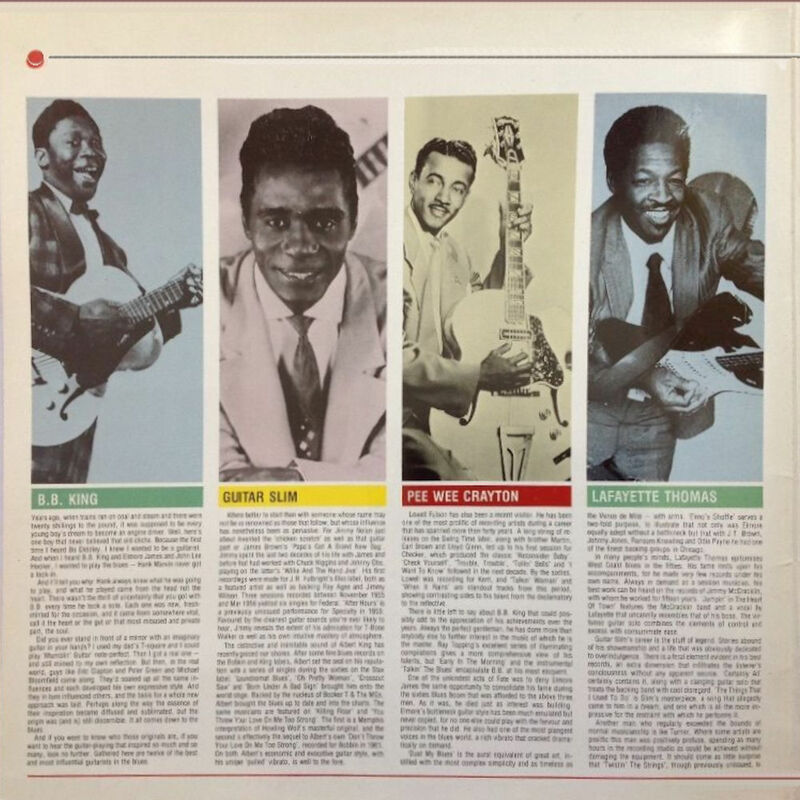 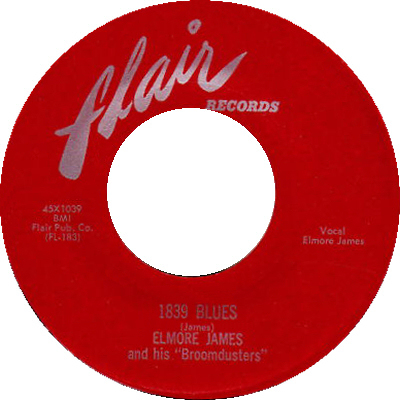 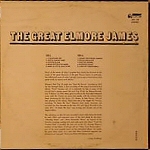 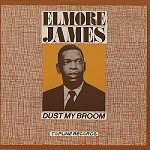 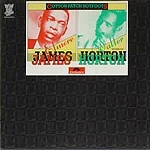 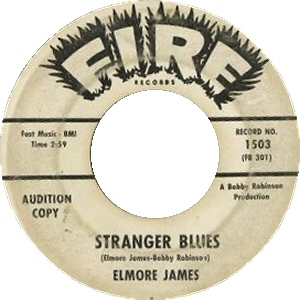 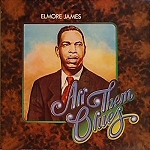 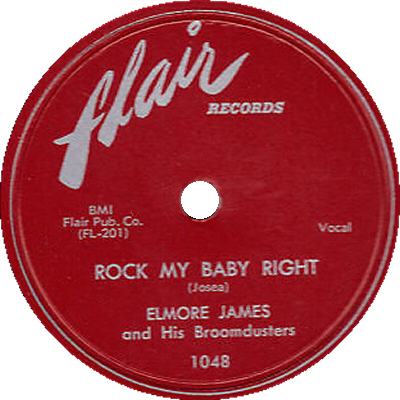 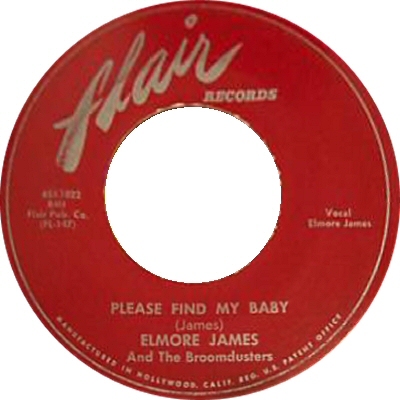 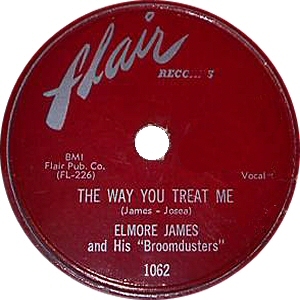 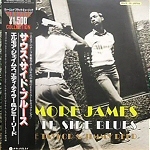 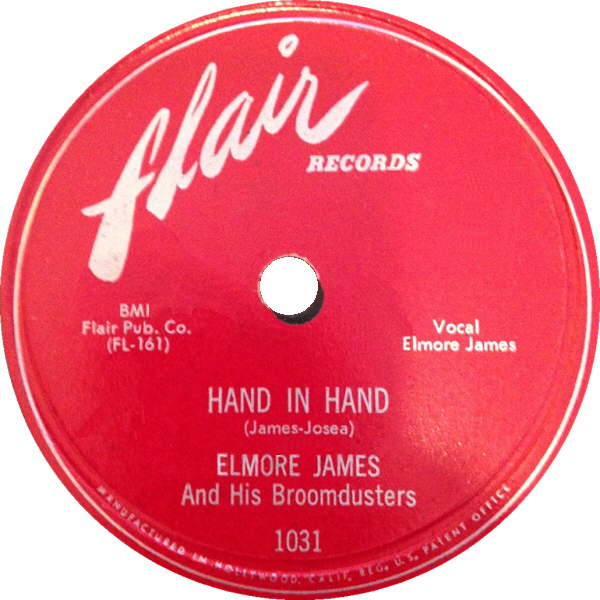 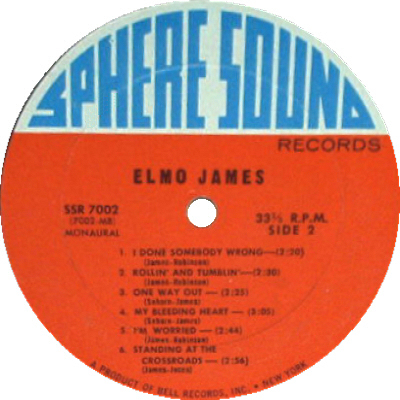 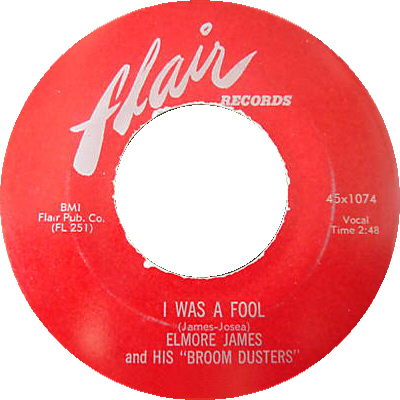 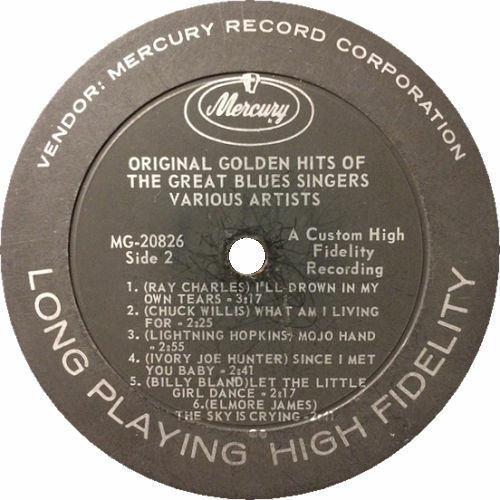 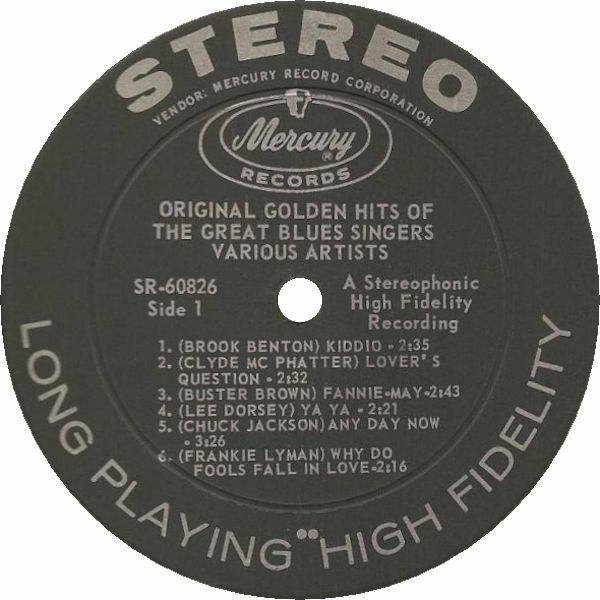 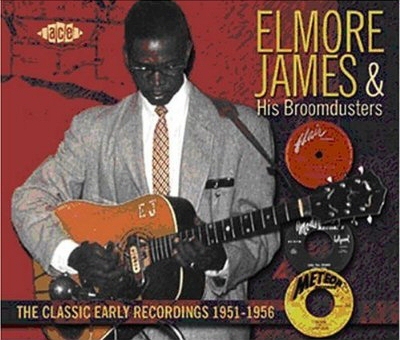 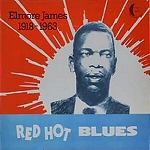 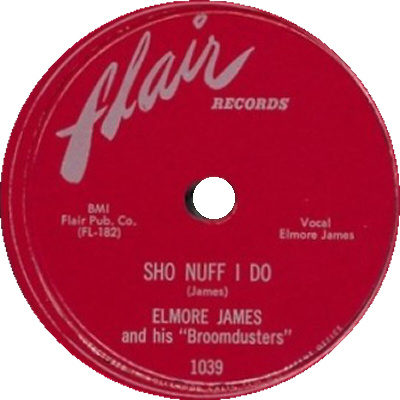 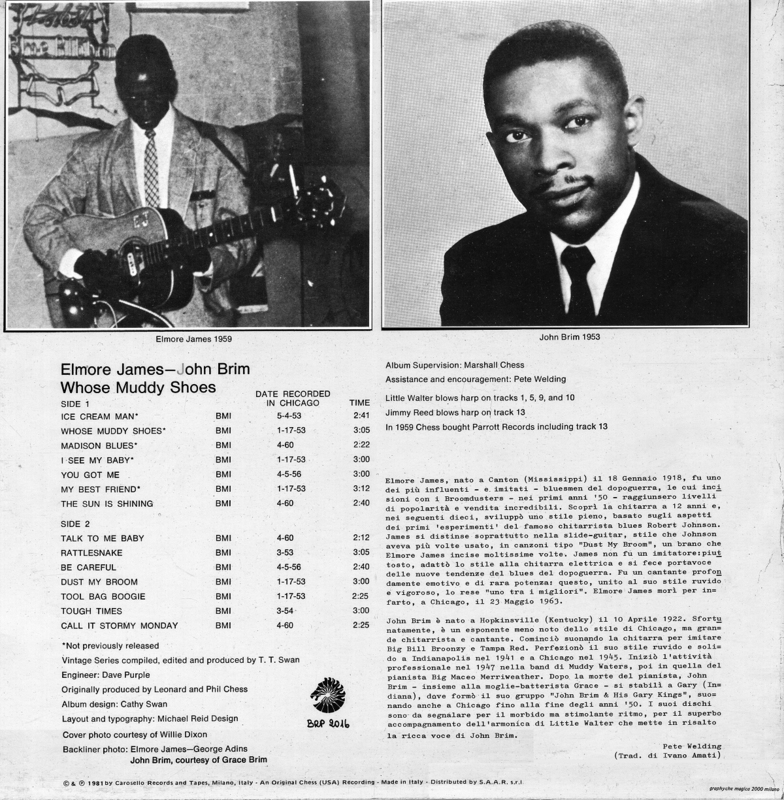 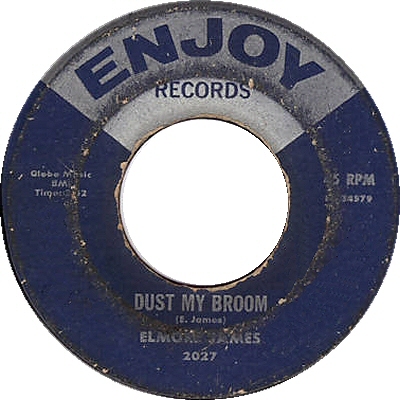 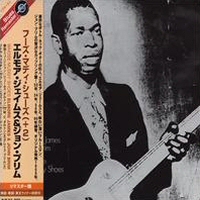 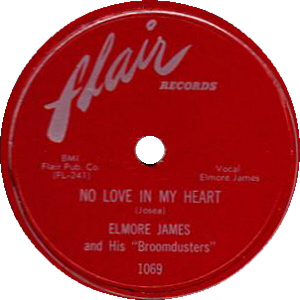 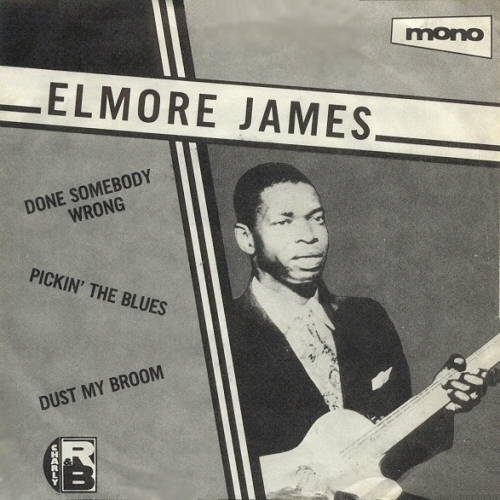 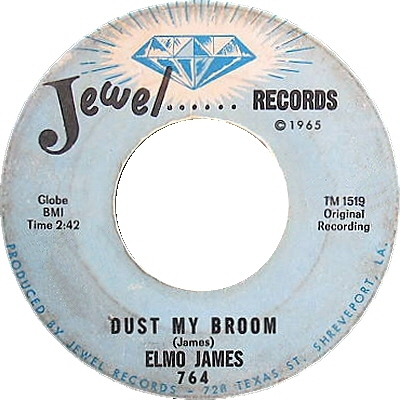 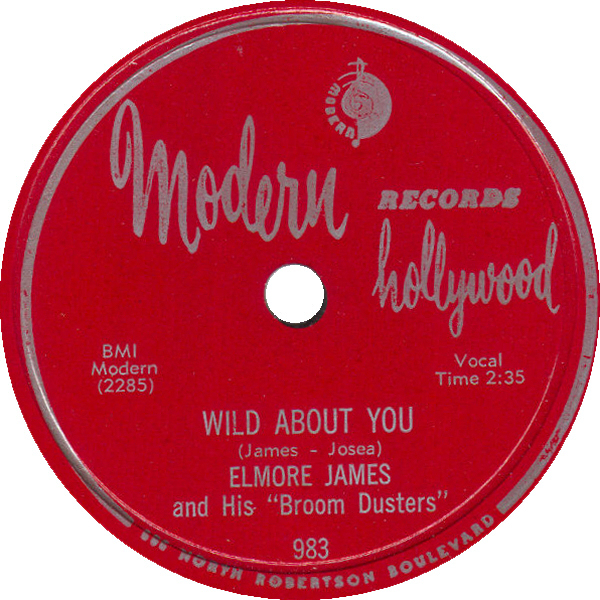 24 1954 ELMORE JAMES and his "Broomdusters"
27 10/1954 ELMORE JAMES and His "BROOMDUSTERS"
30a 1955 ELMORE JAMES and His "Broomdusters"
31 5/1955 ELMORE JAMES and His "Broomdusters"
32 7/1955 ELMORE JAMES and HIS "BROOM DUSTERS"
33 10/1955 ELMORE JAMES and His "Broom Dusters"
35 2/1956 ELMORE JAMES and His "Broom Dusters"
= Arhoolie 2020 (US 1970) "King Biscuit Time"
(=) Arhoolie CD 310 (US 1989) "King Biscuit Time"
(=) Blue Horizon 4601 (US 1972) [1st LP only] "Blues Masters Vol. 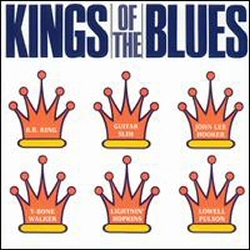 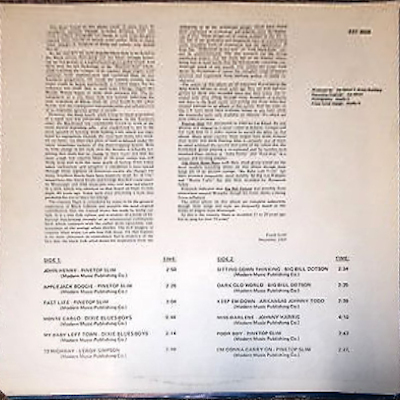 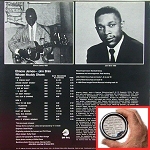 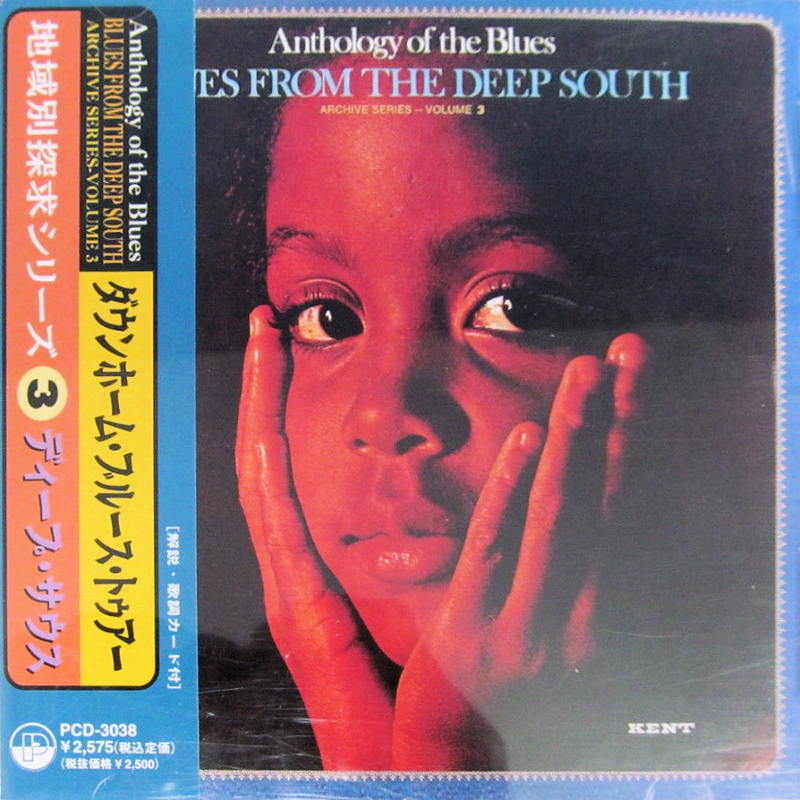 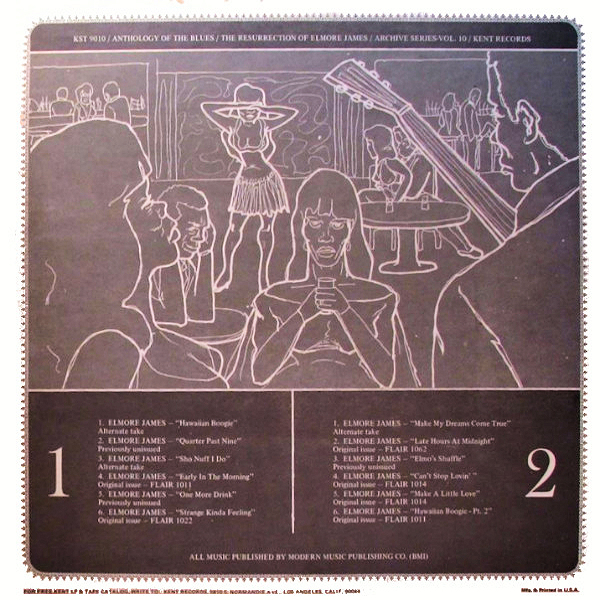 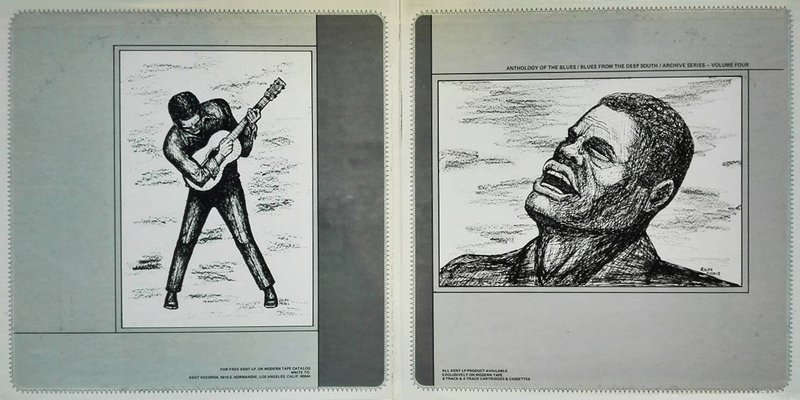 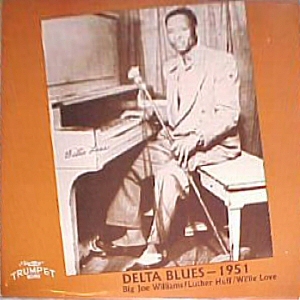 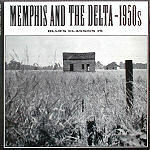 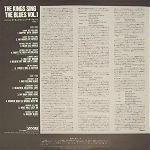 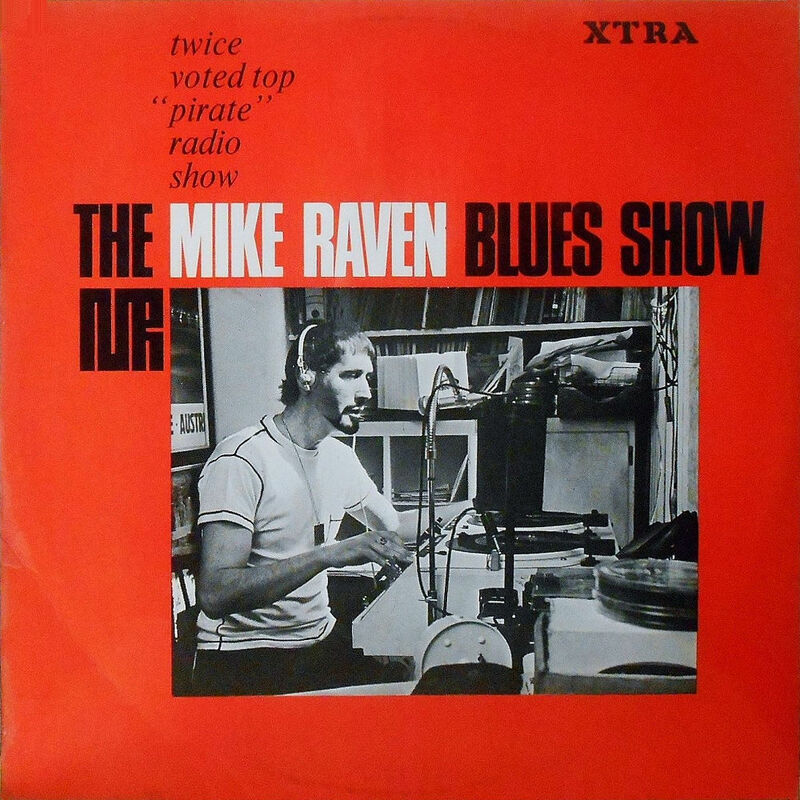 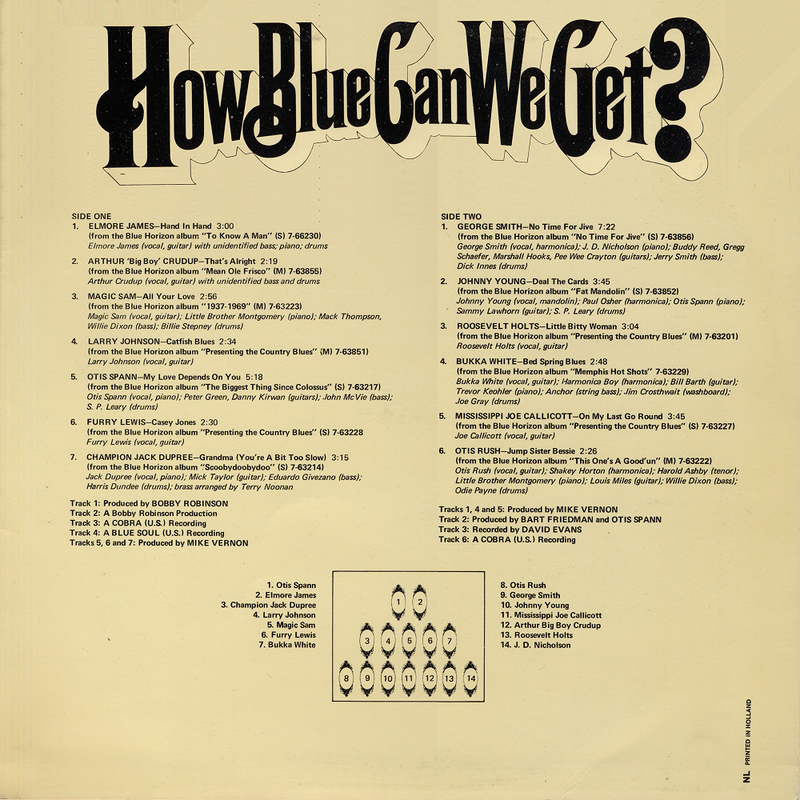 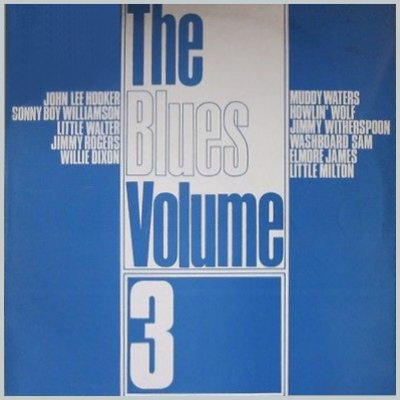 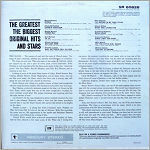 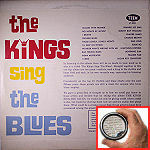 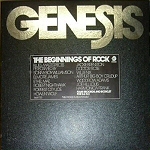 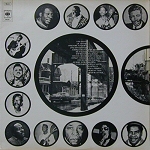 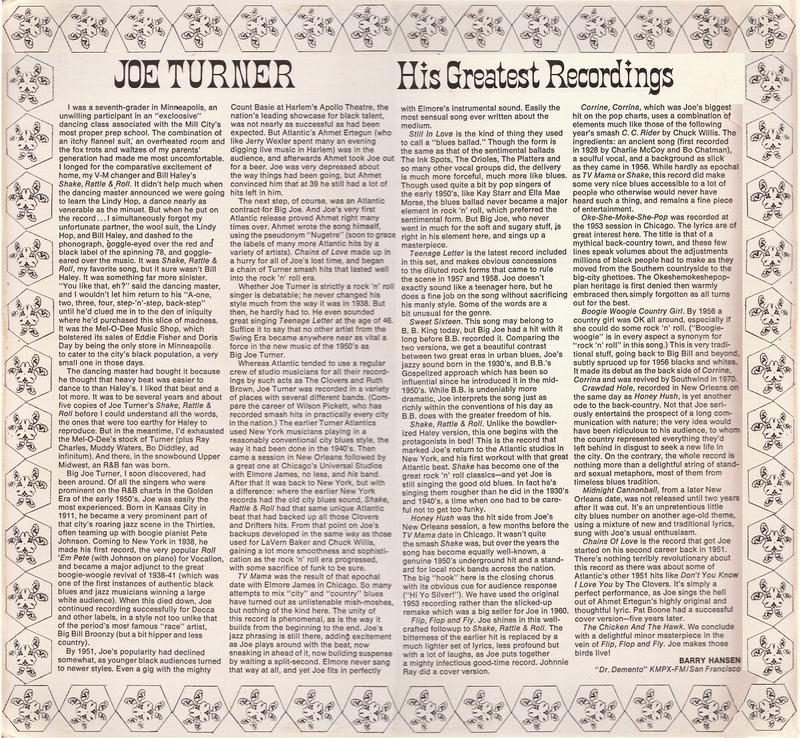 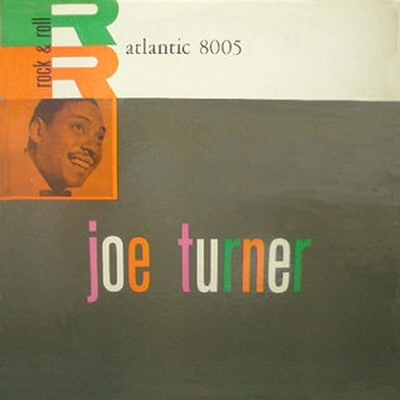 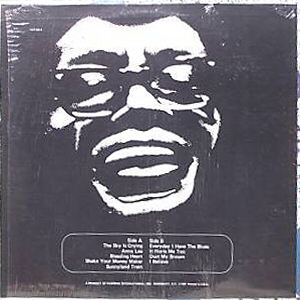 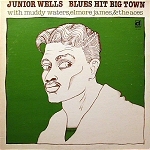 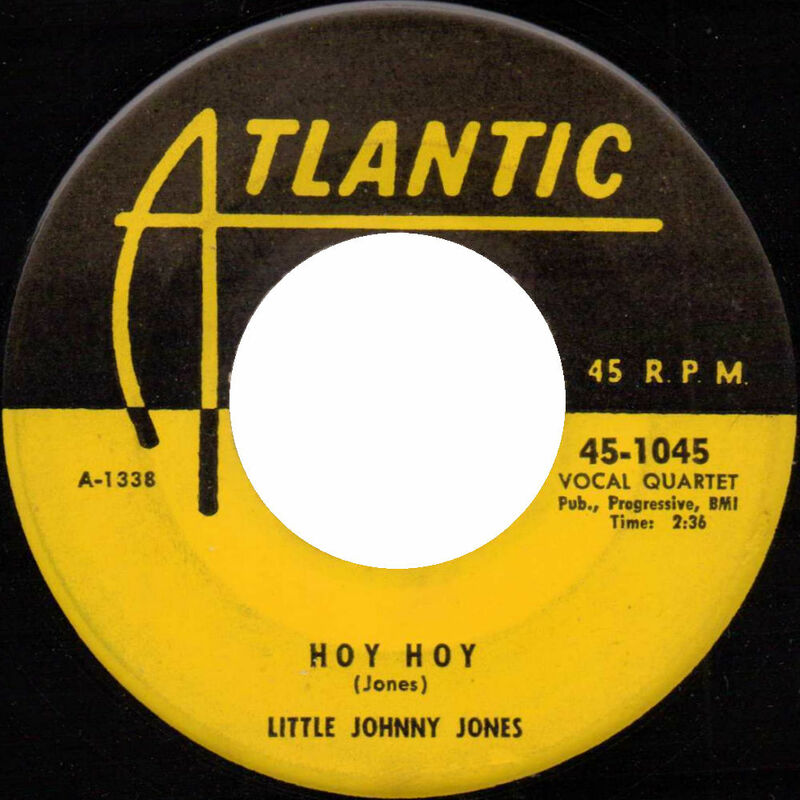 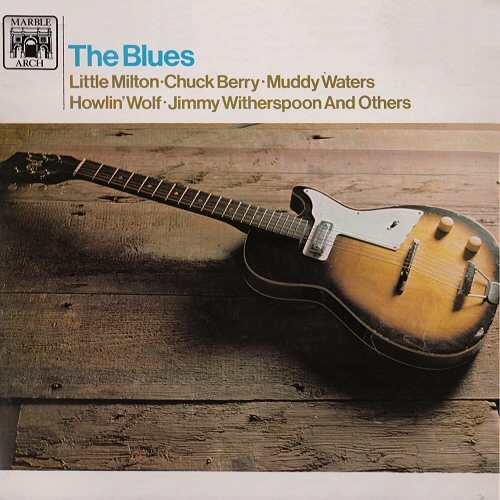 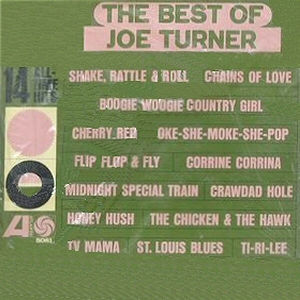 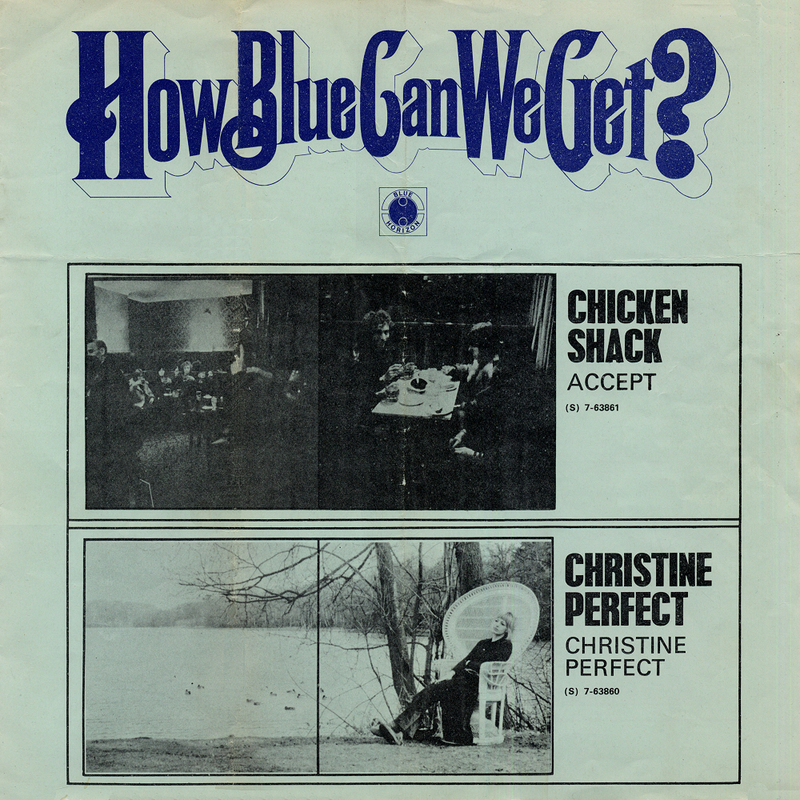 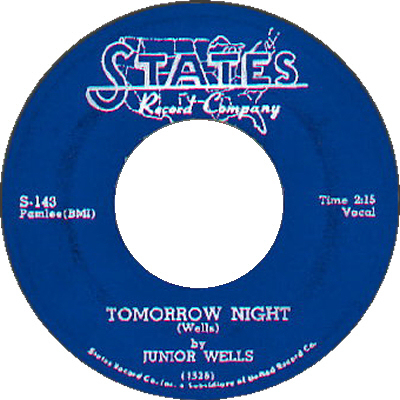 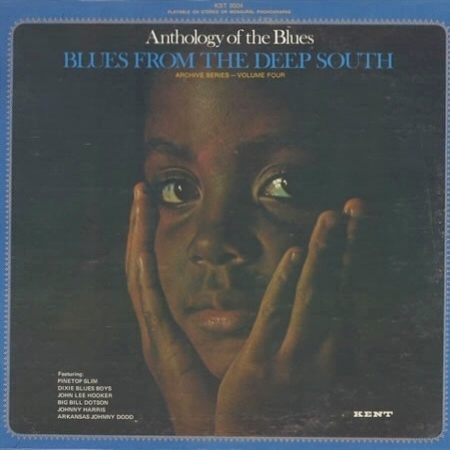 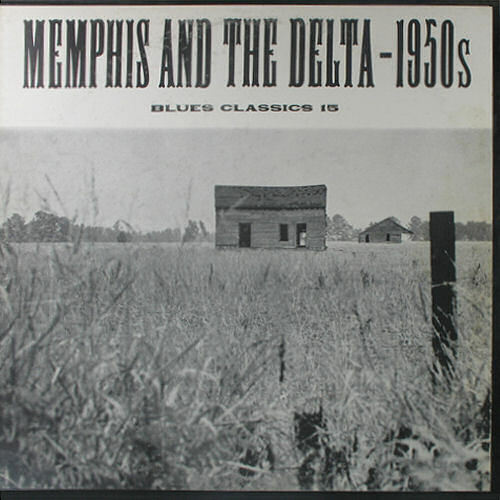 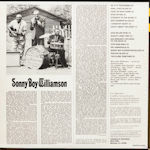 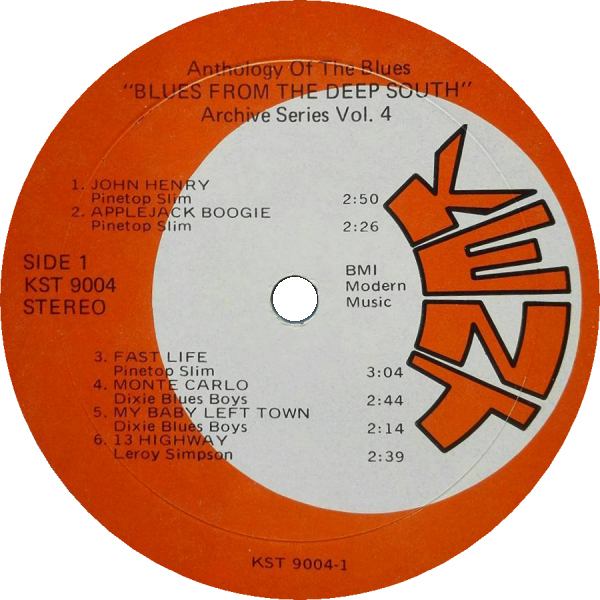 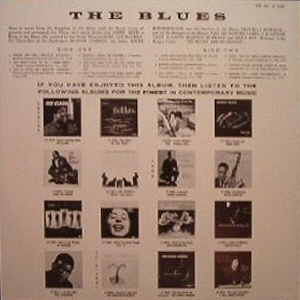 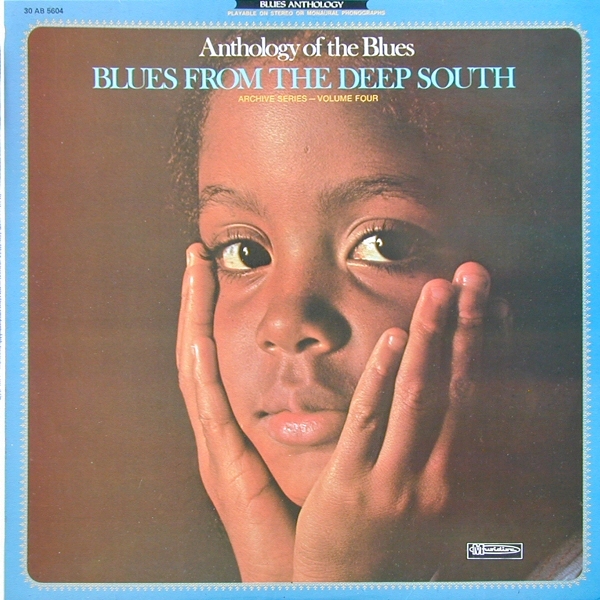 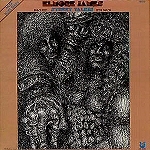 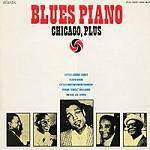 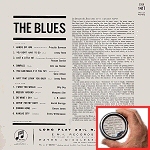 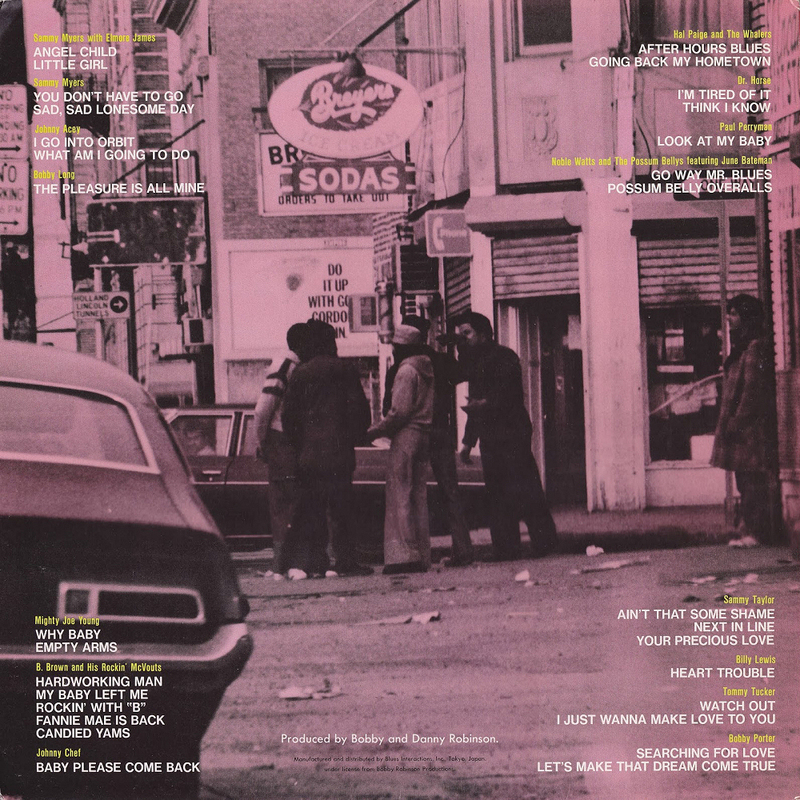 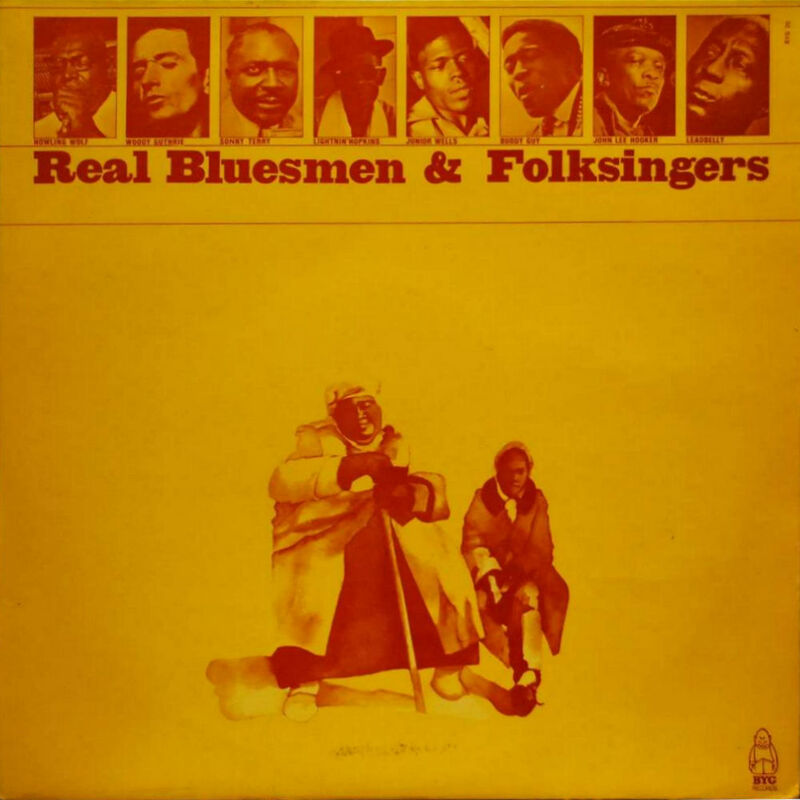 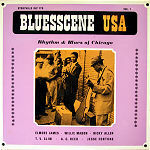 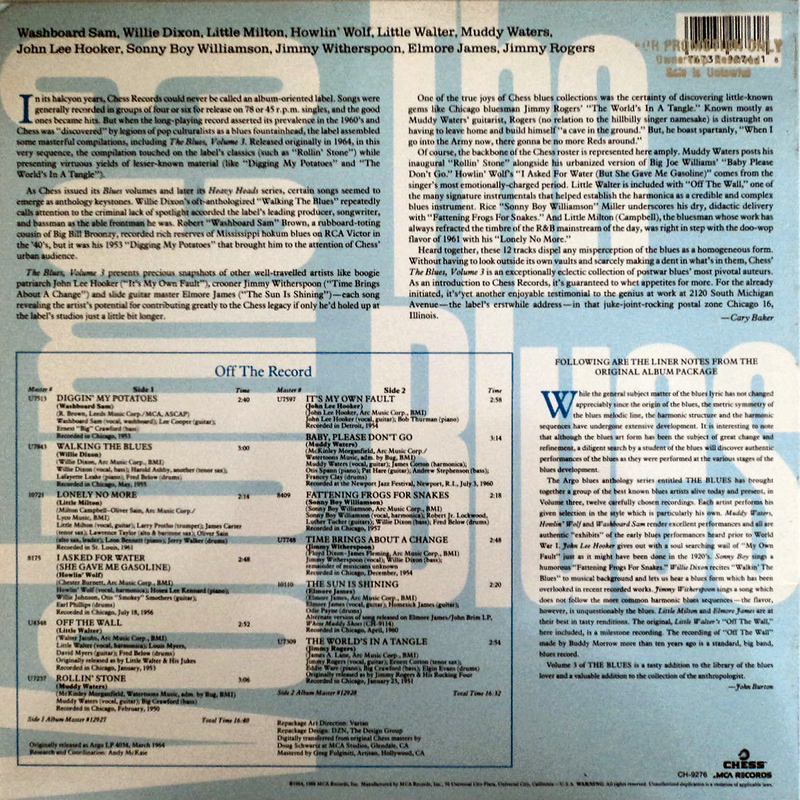 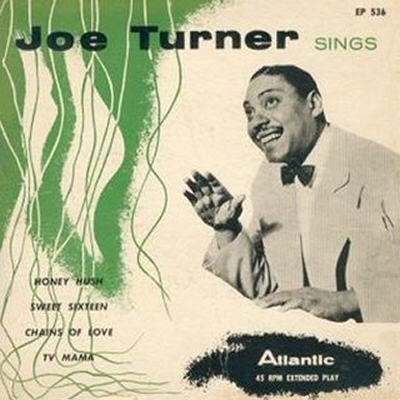 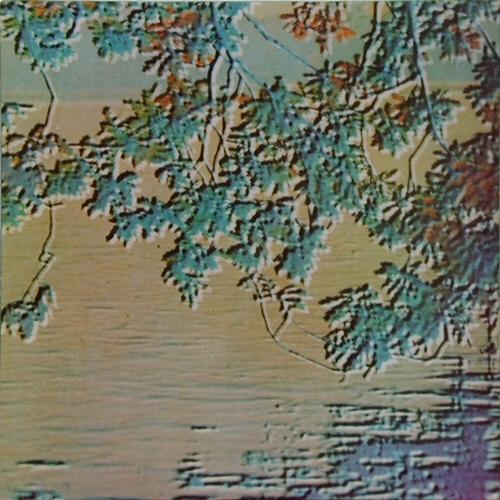 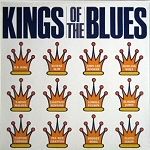 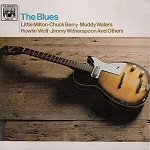 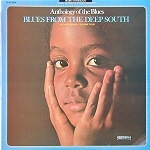 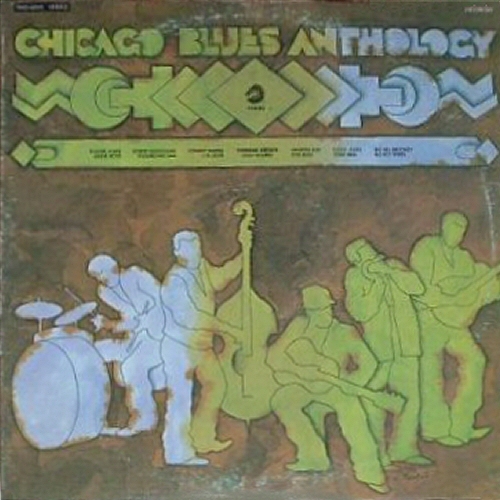 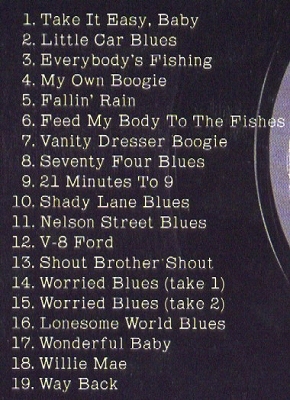 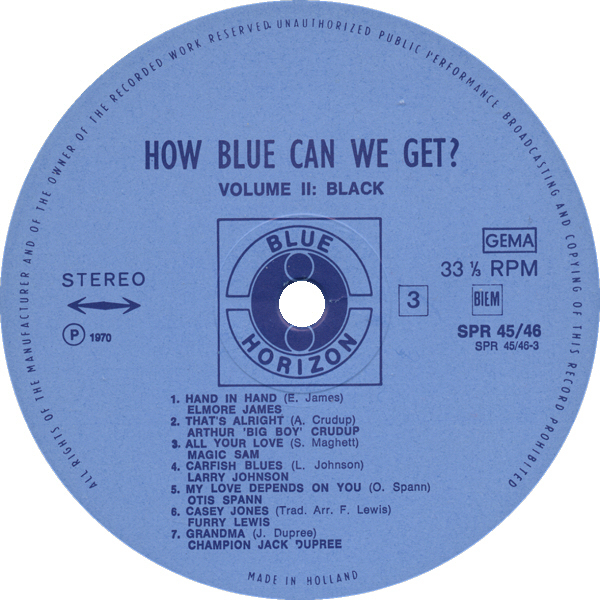 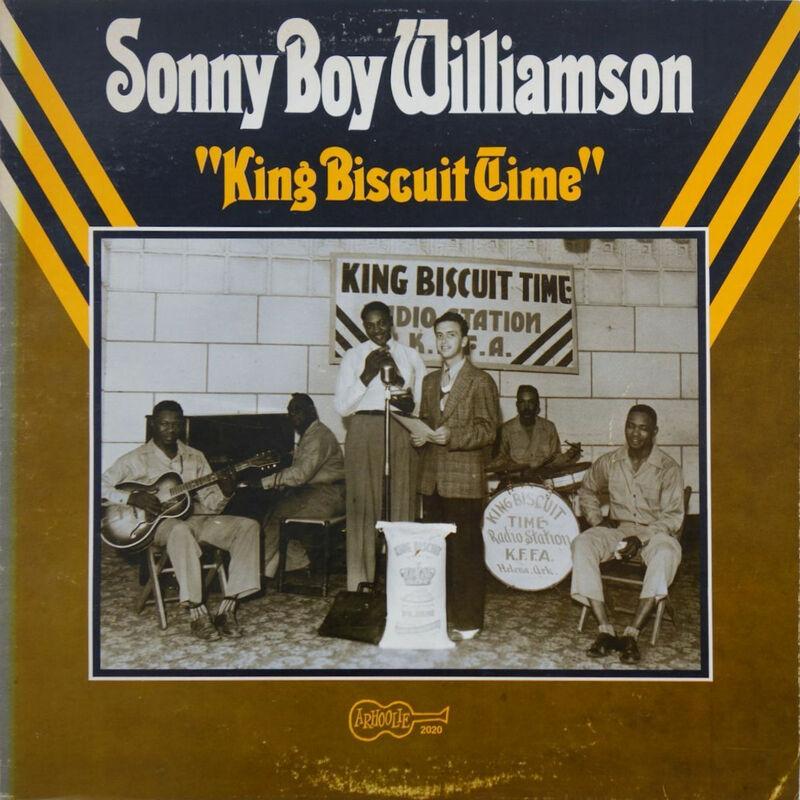 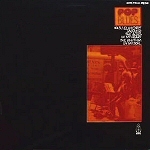 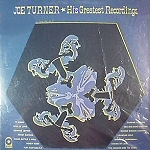 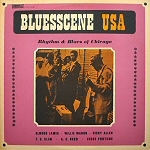 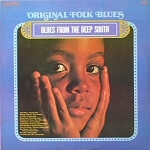 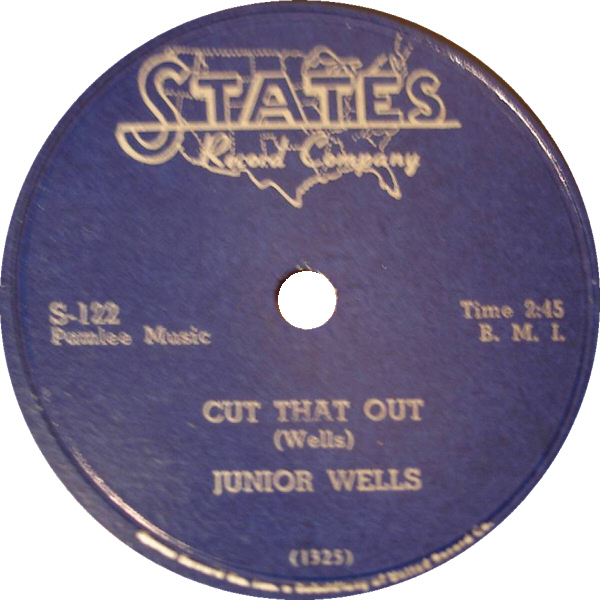 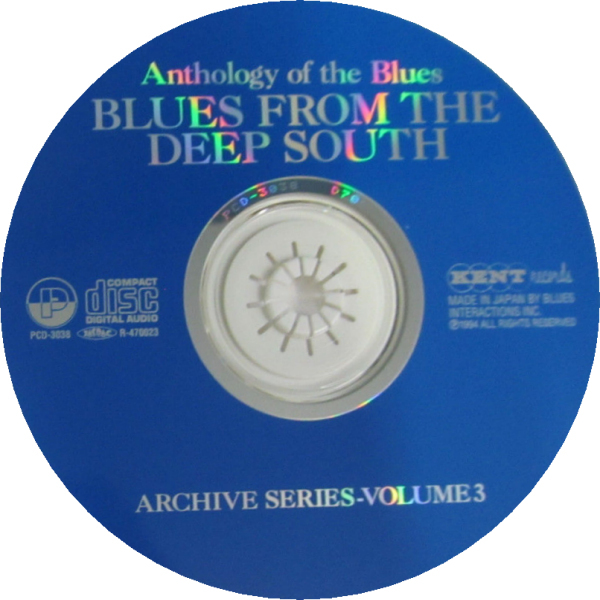 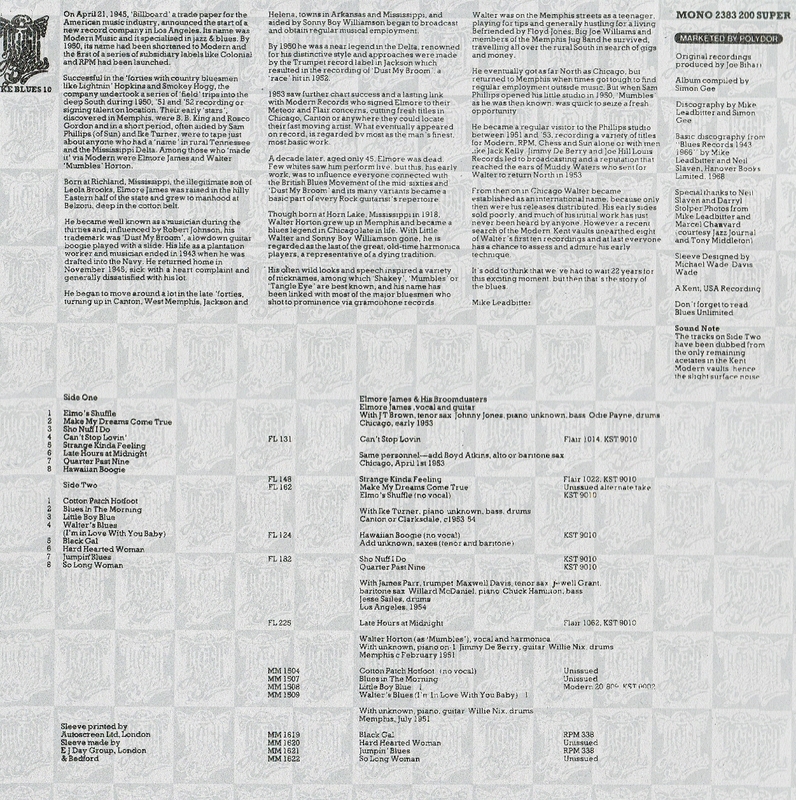 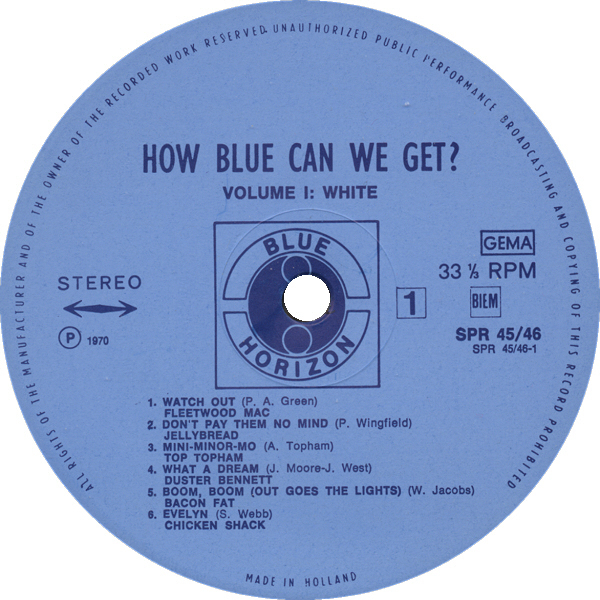 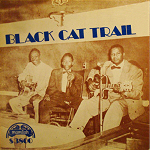 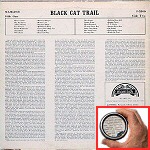 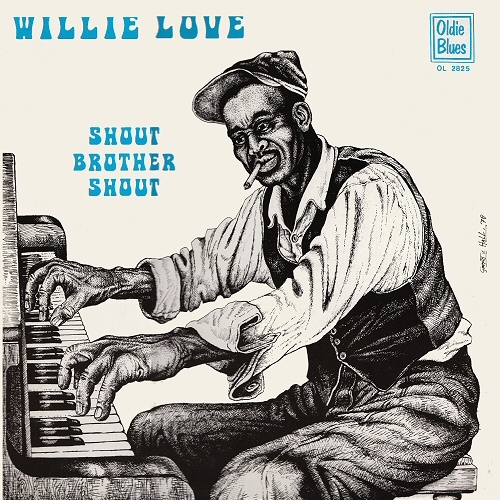 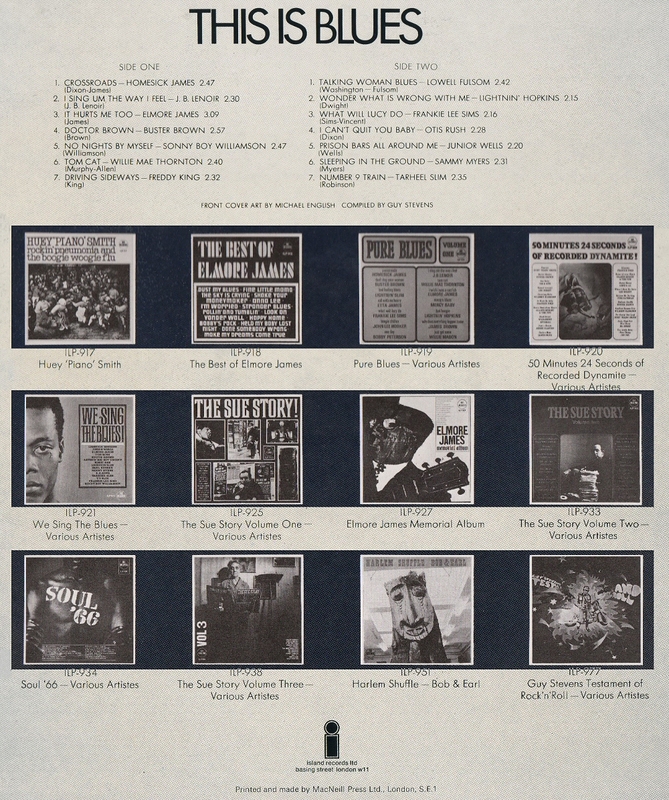 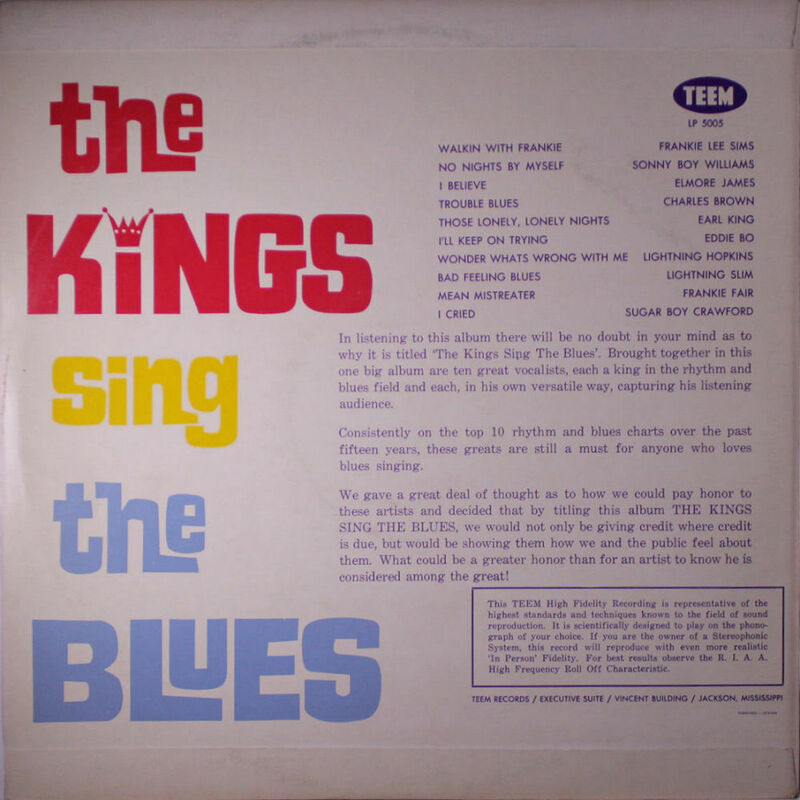 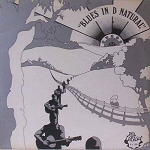 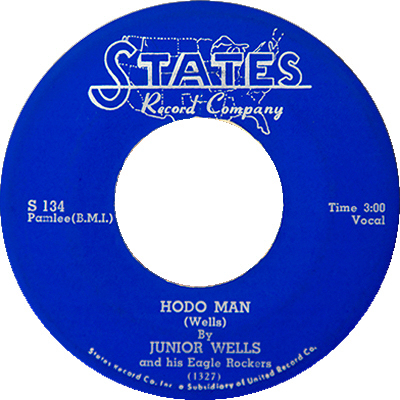 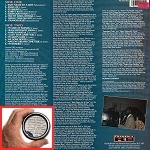 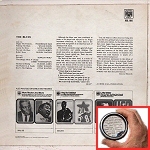 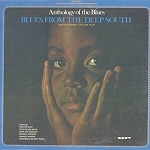 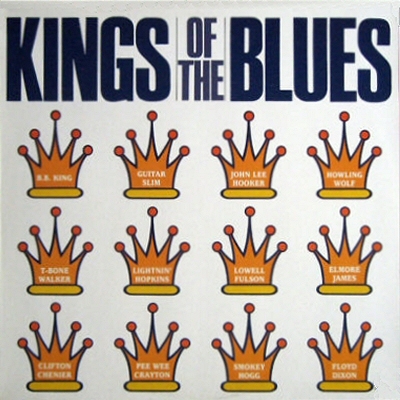 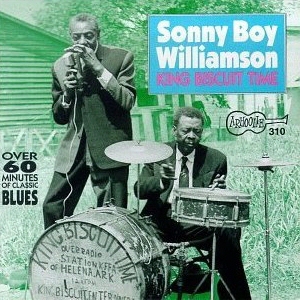 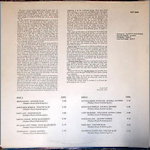 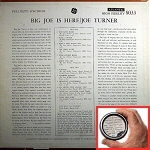 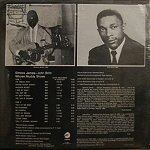 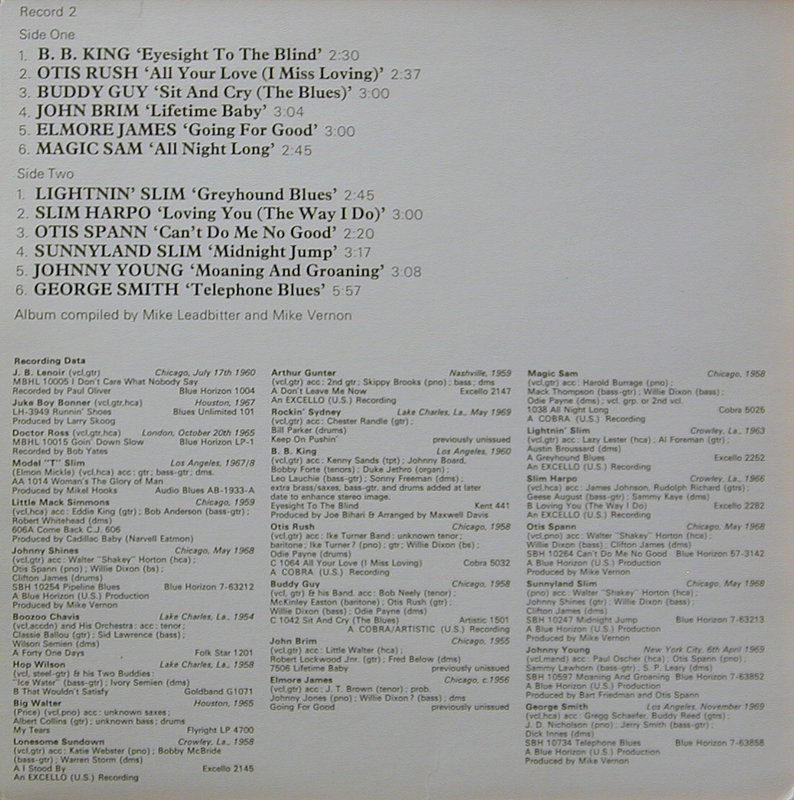 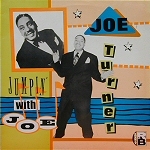 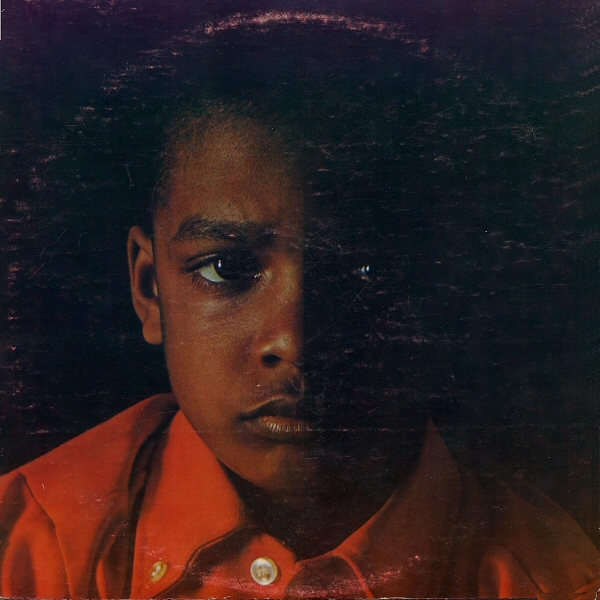 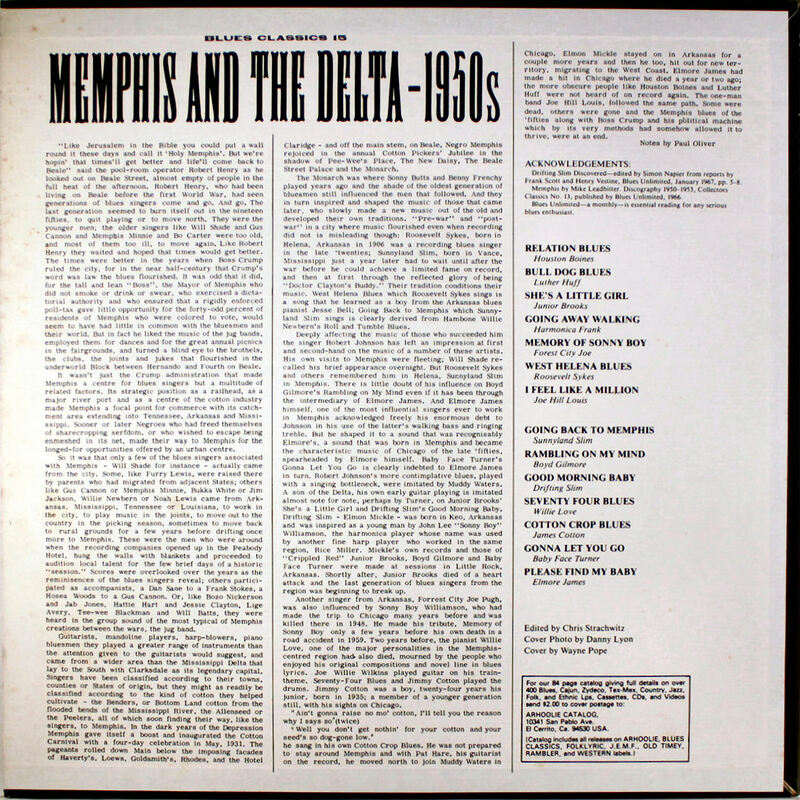 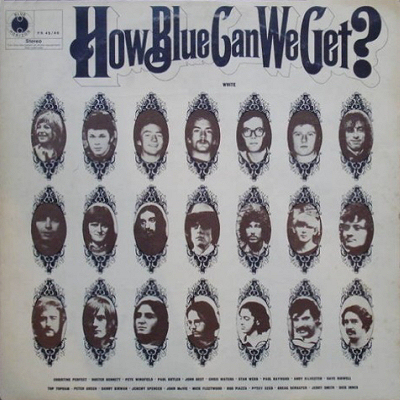 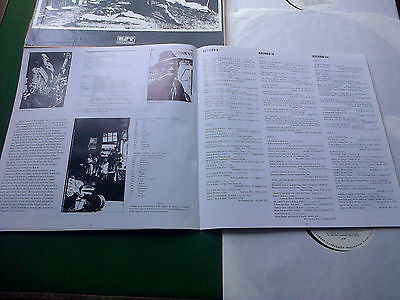 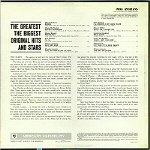 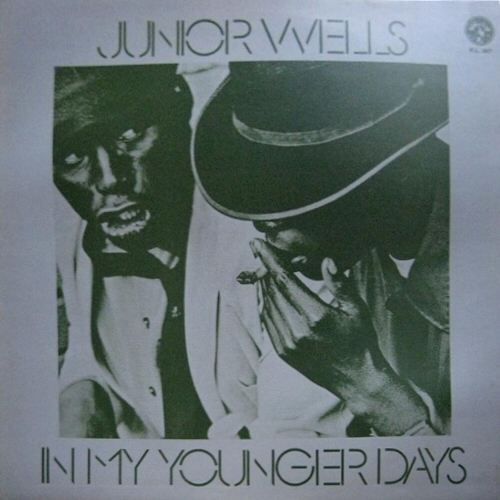 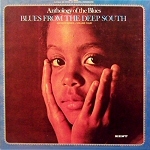 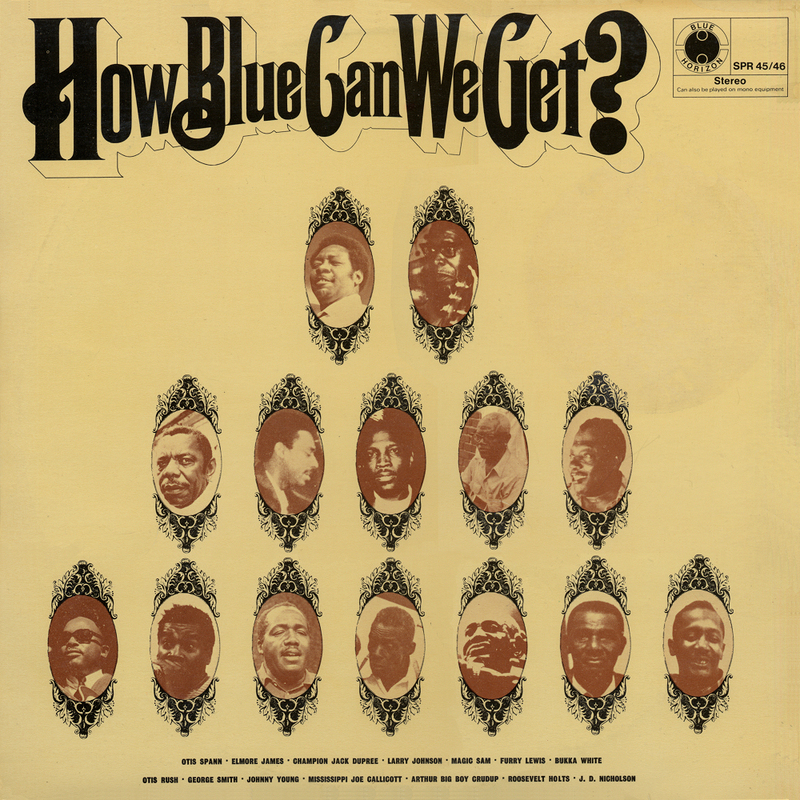 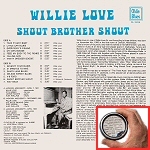 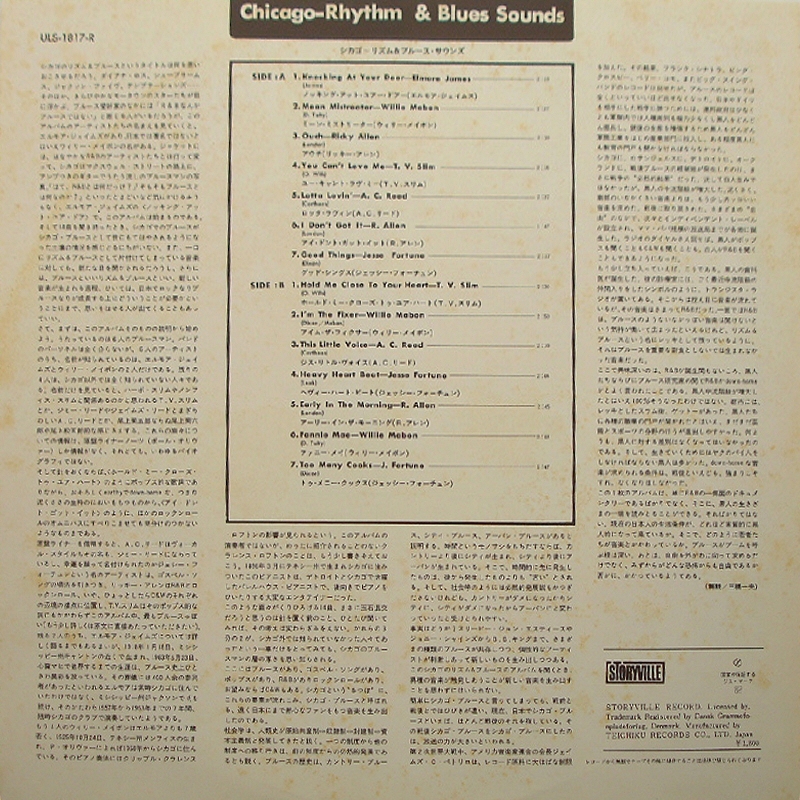 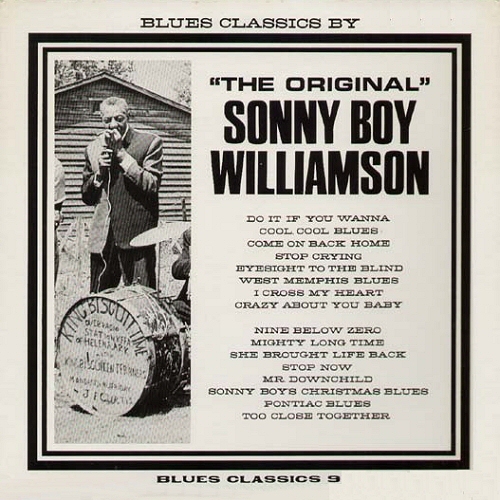 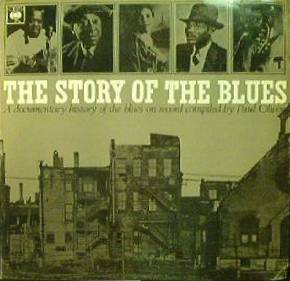 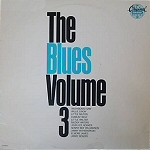 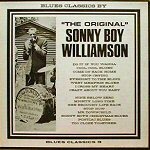 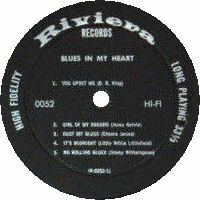 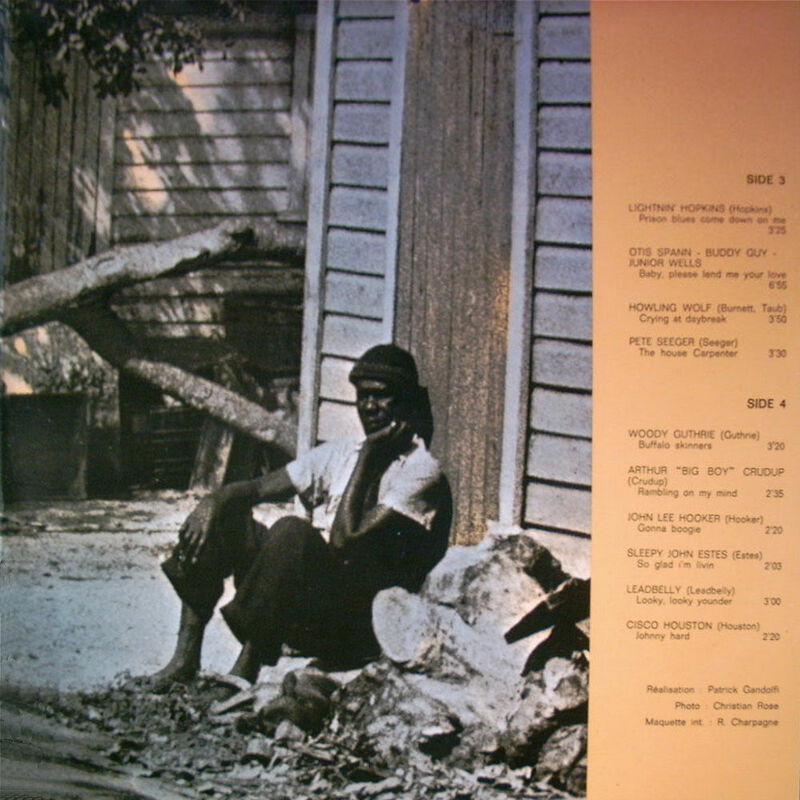 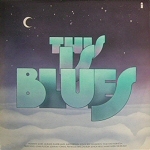 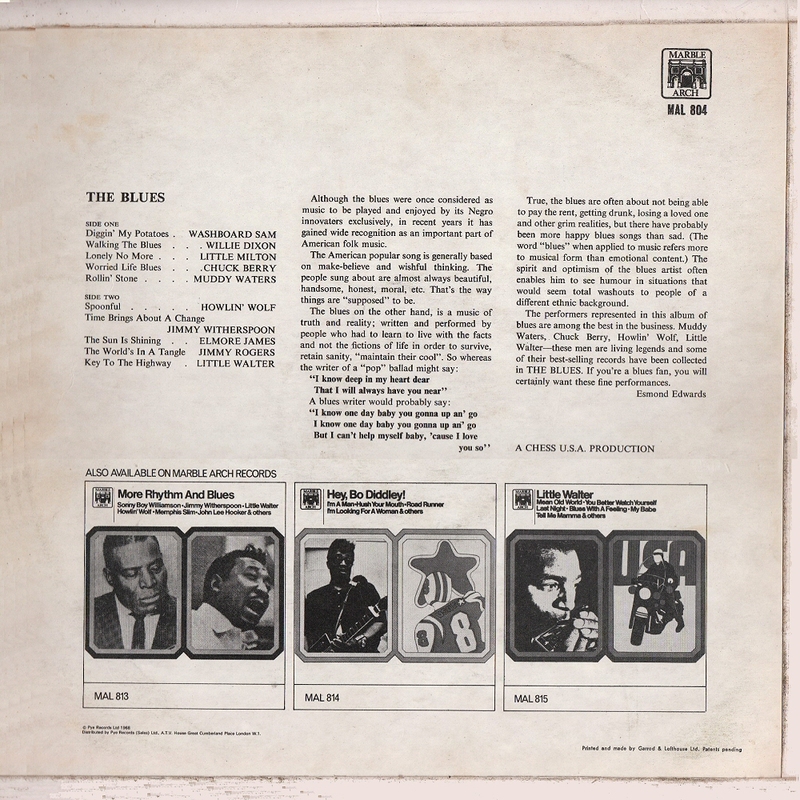 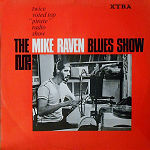 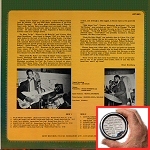 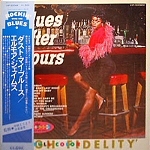 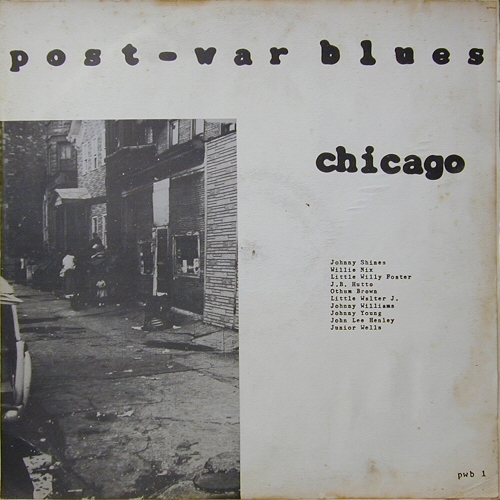 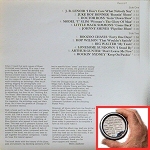 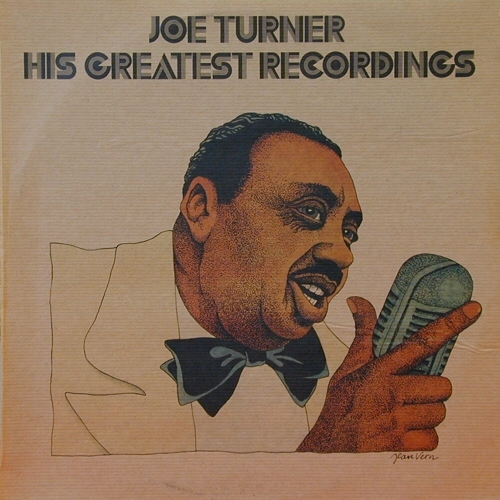 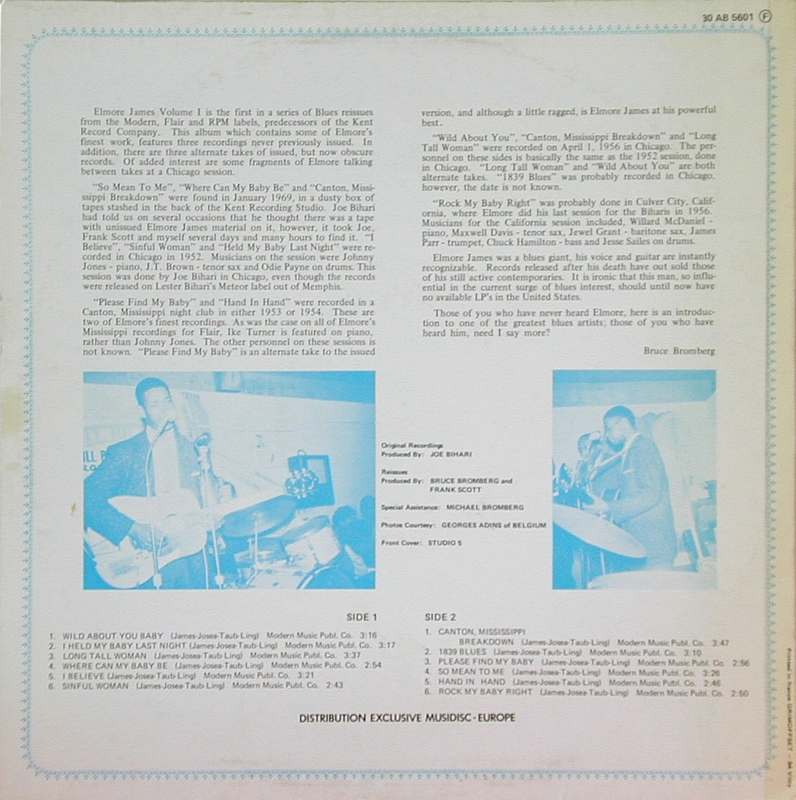 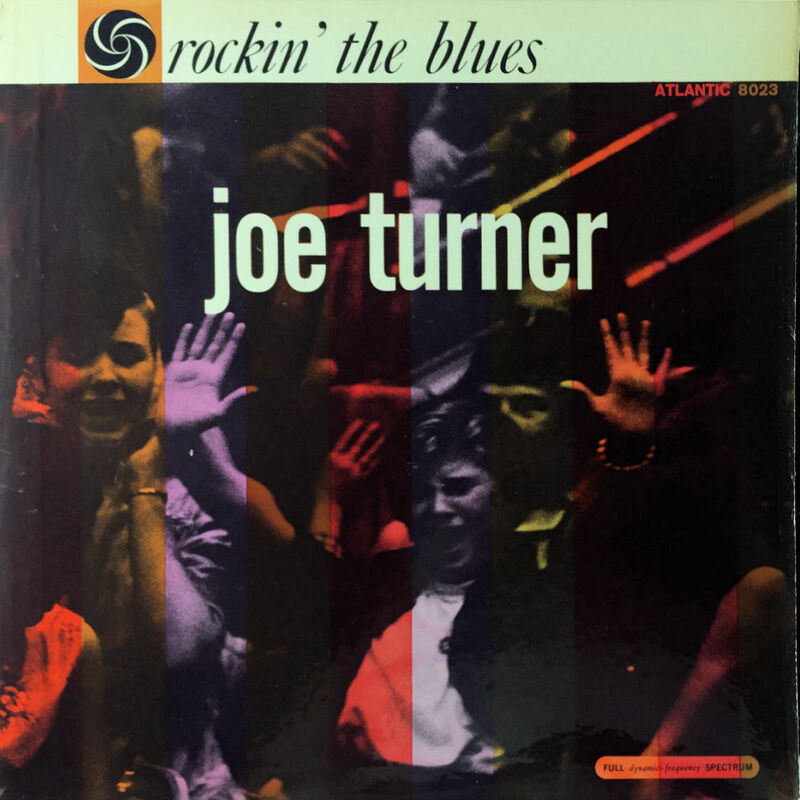 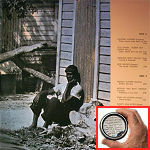 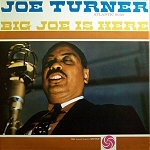 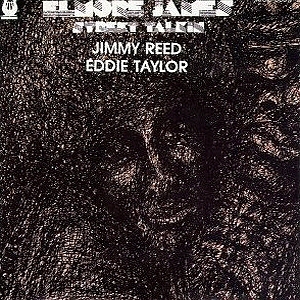 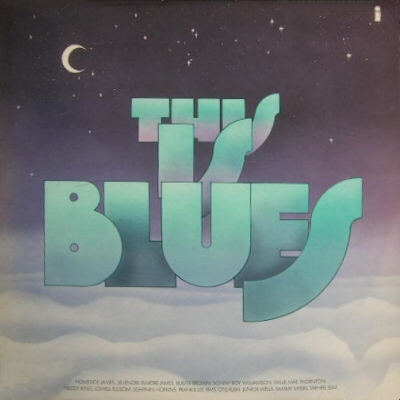 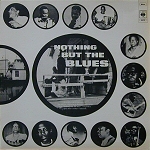 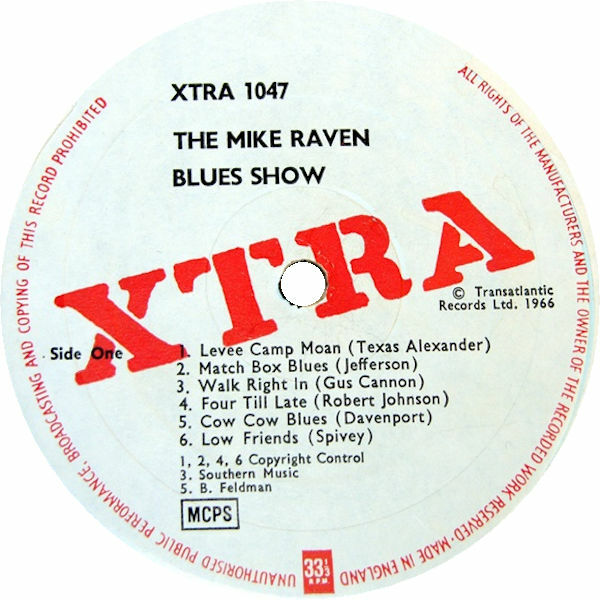 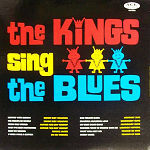 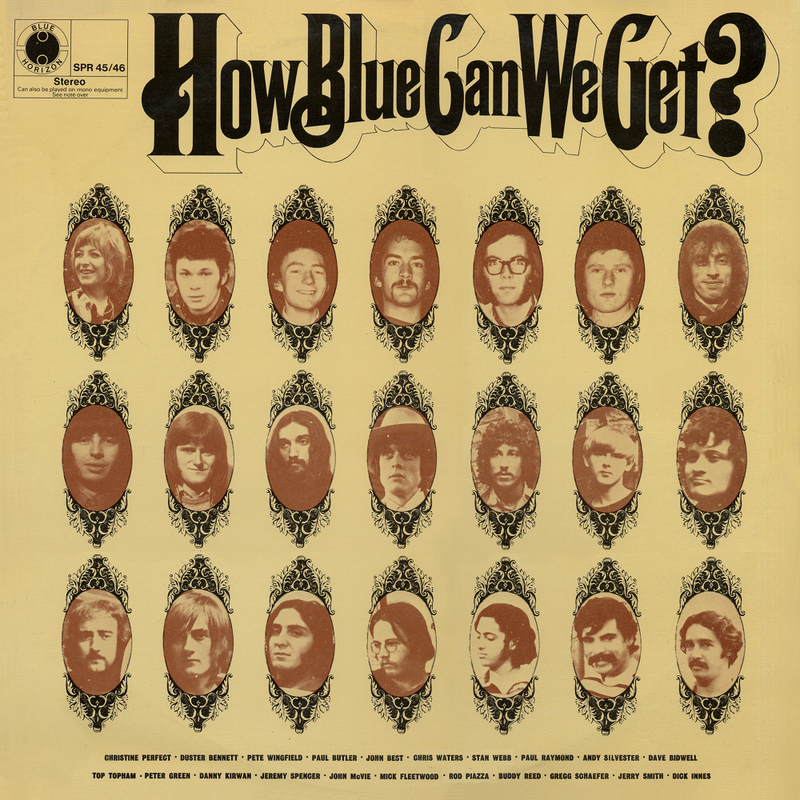 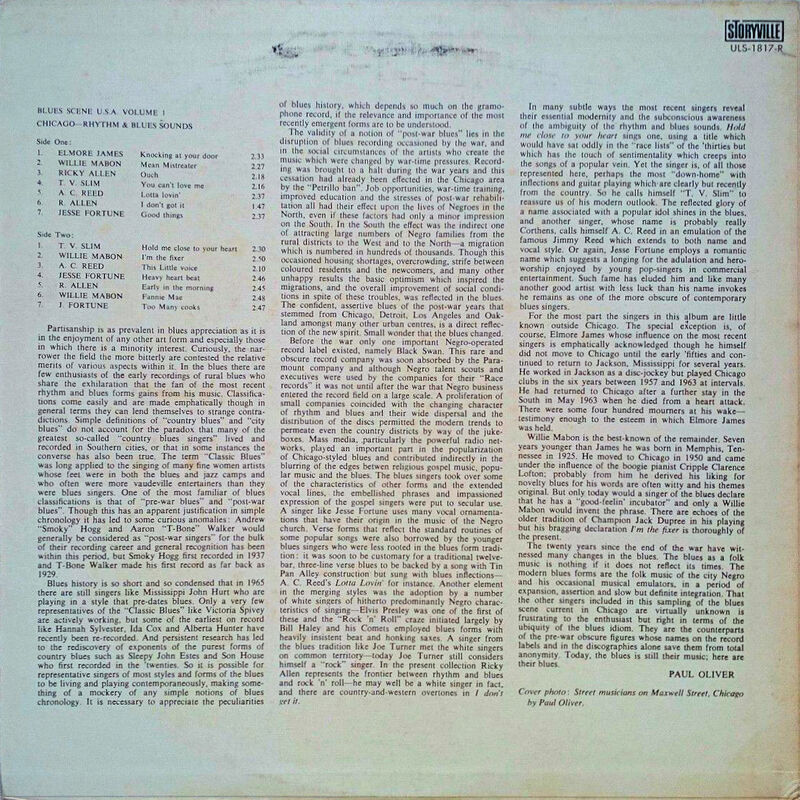 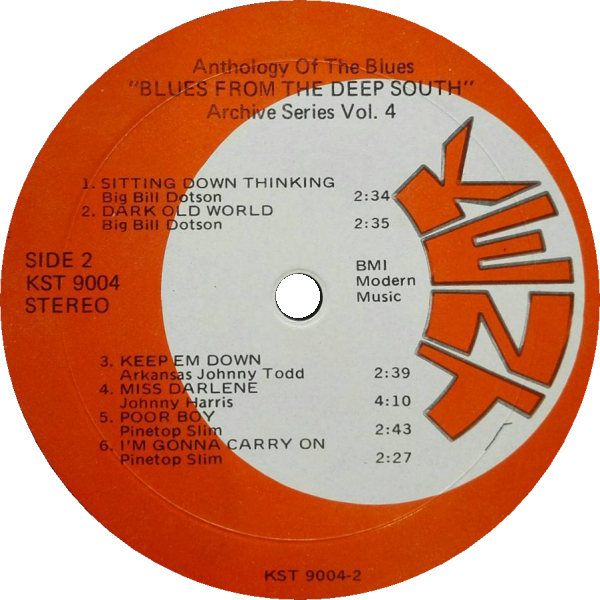 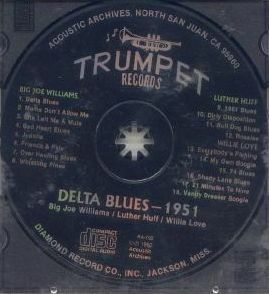 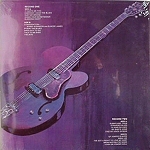 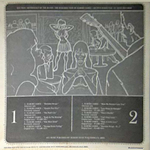 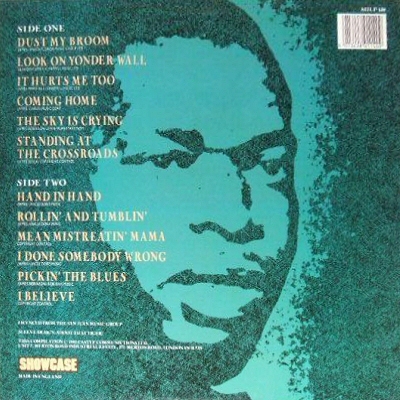 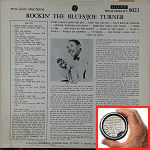 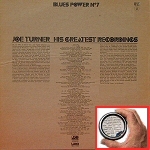 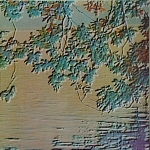 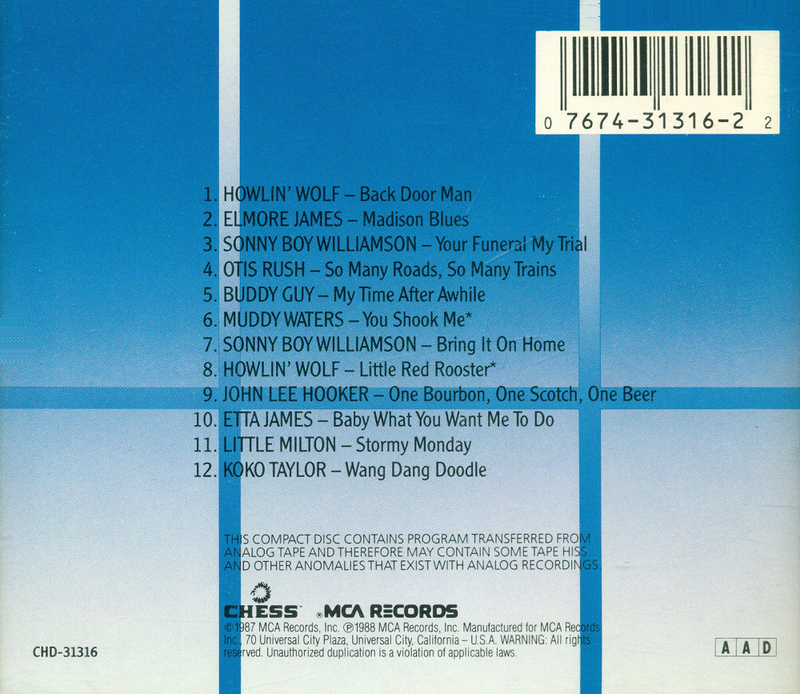 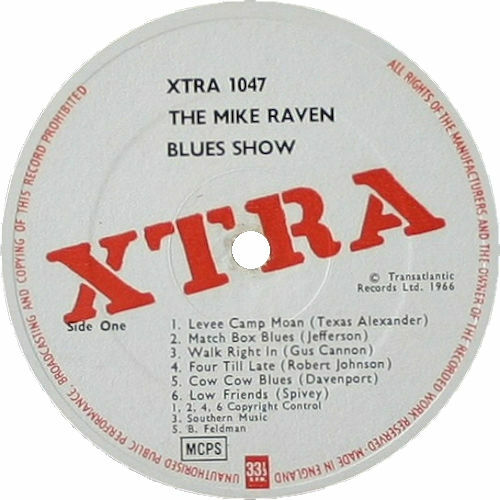 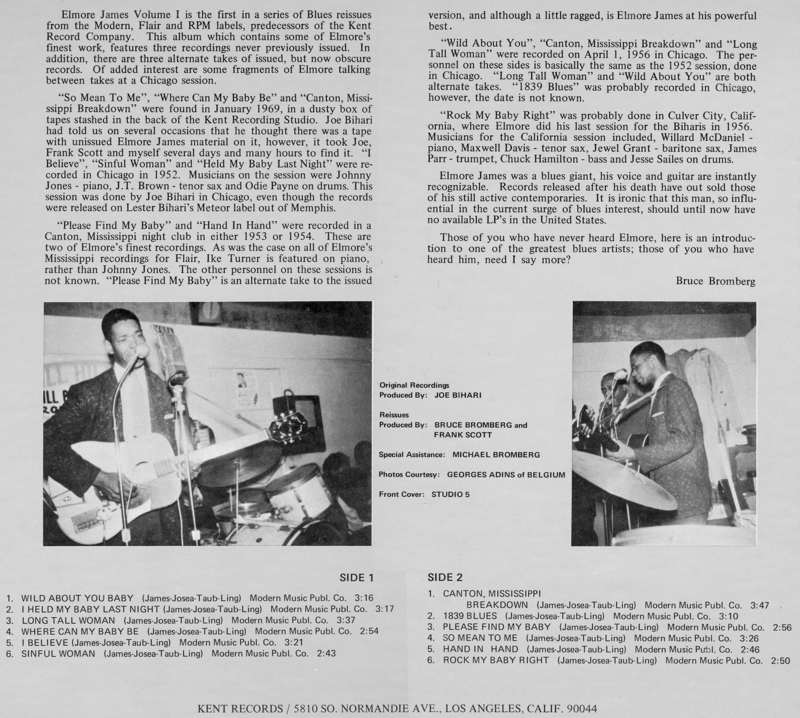 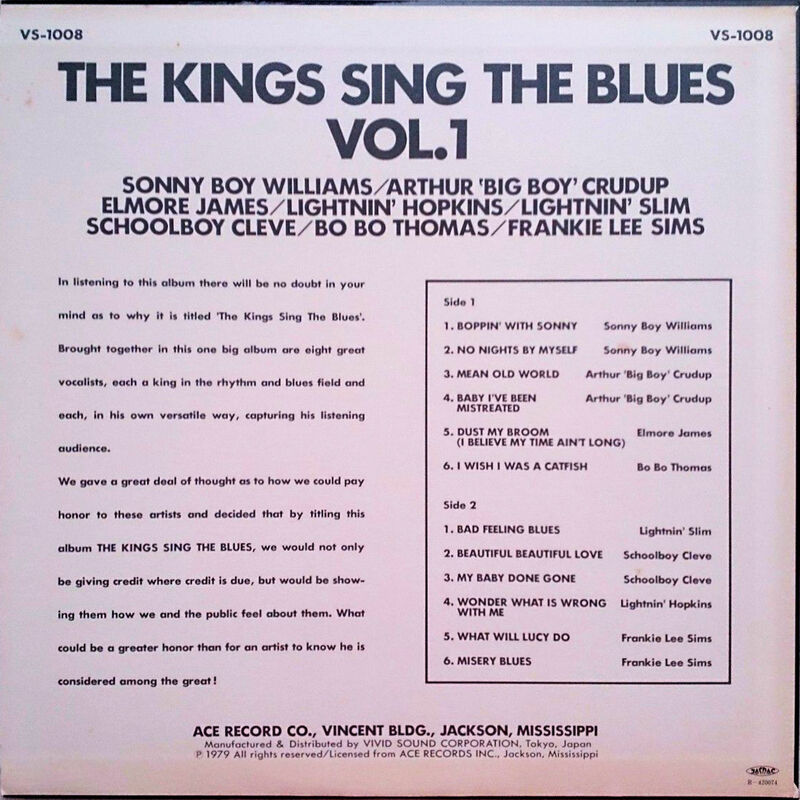 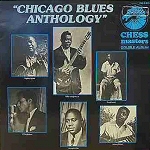 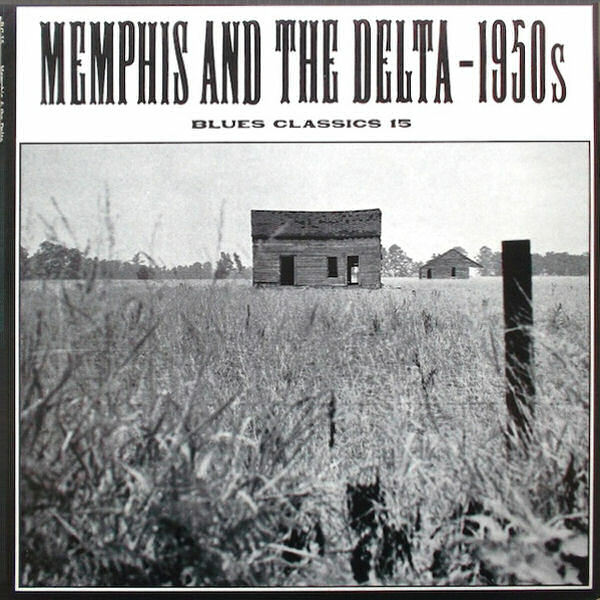 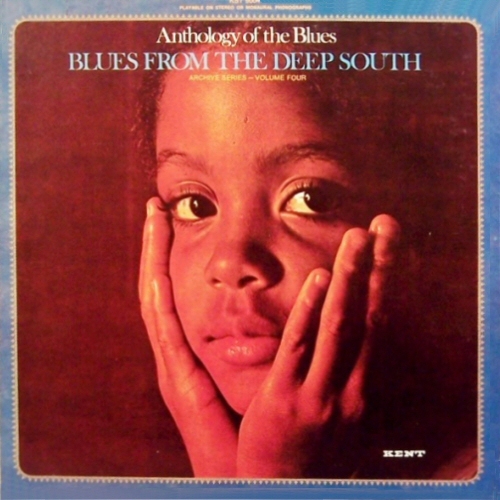 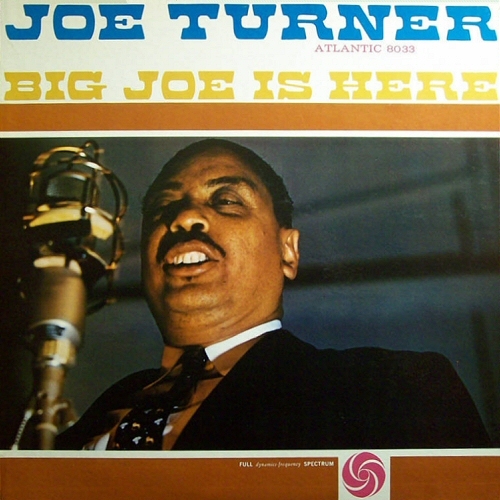 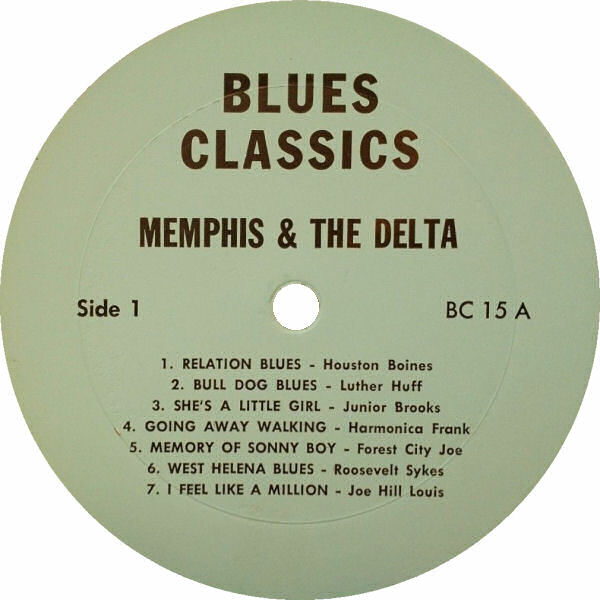 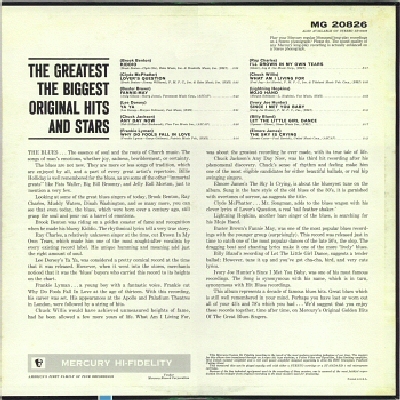 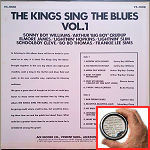 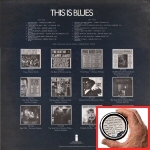 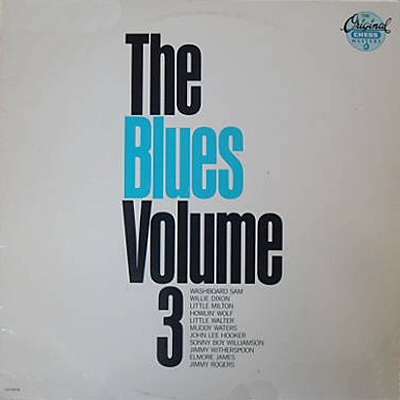 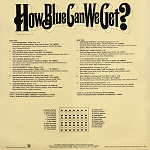 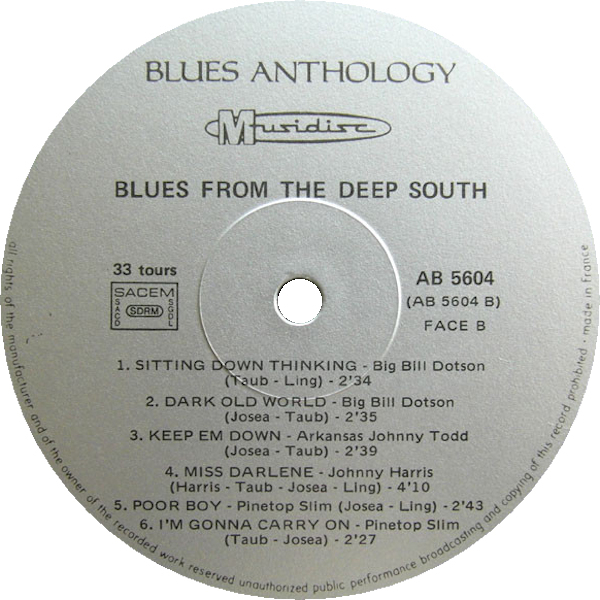 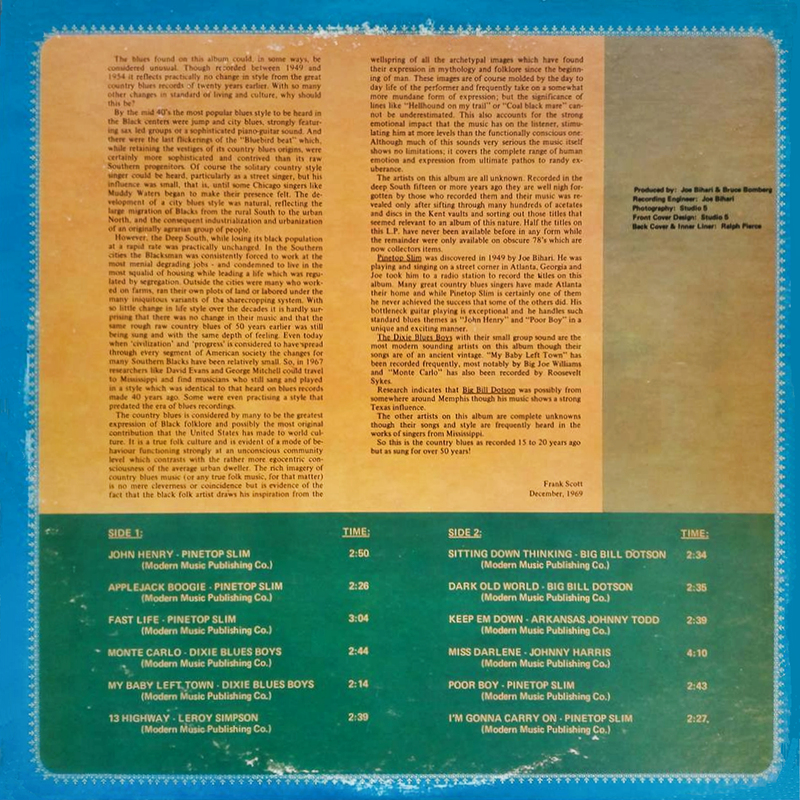 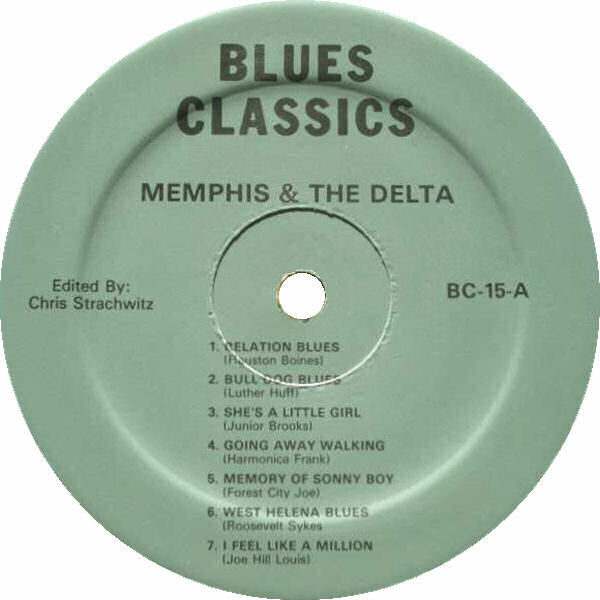 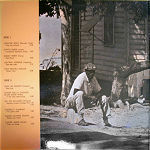 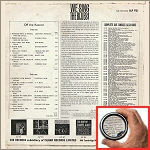 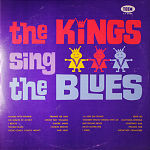 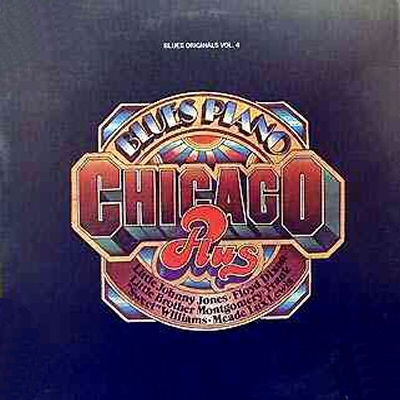 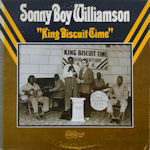 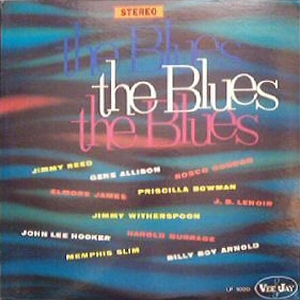 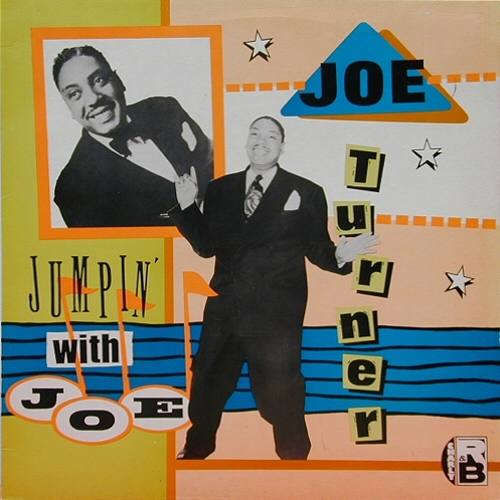 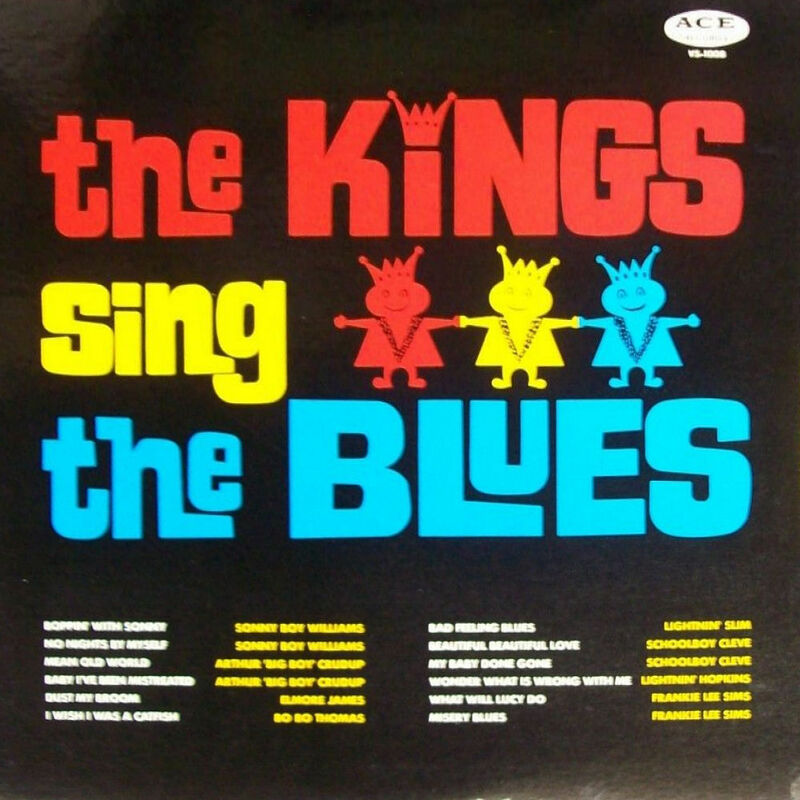 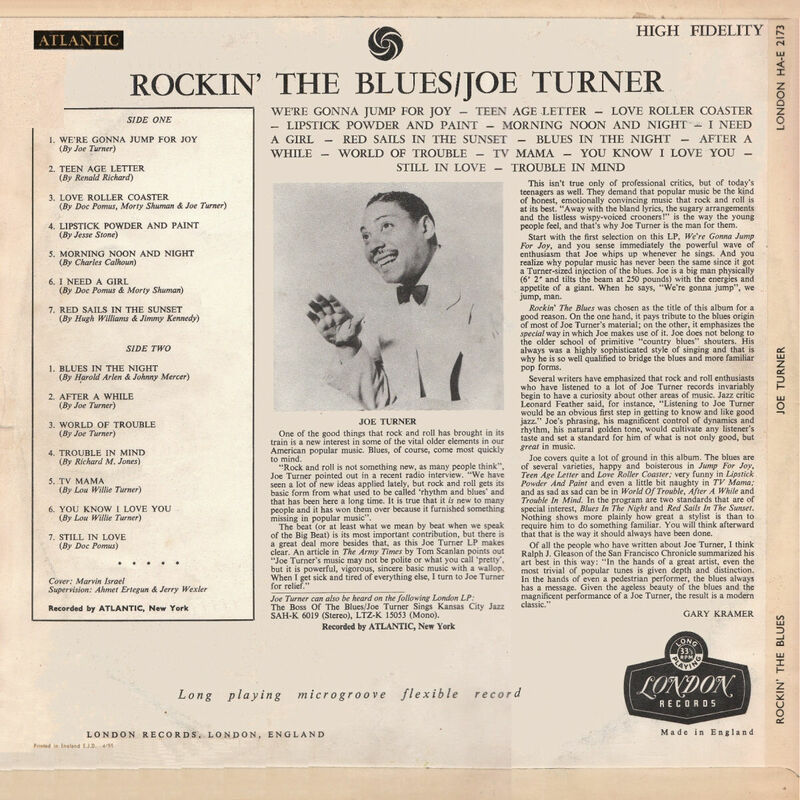 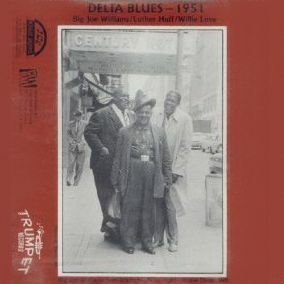 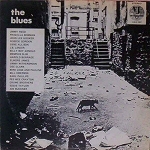 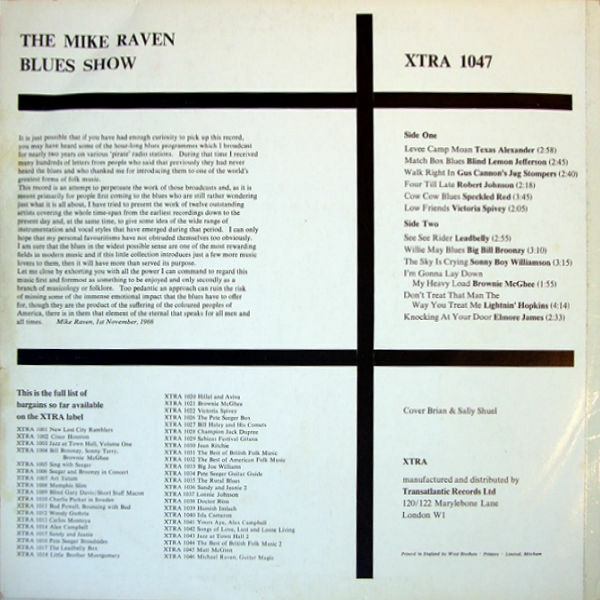 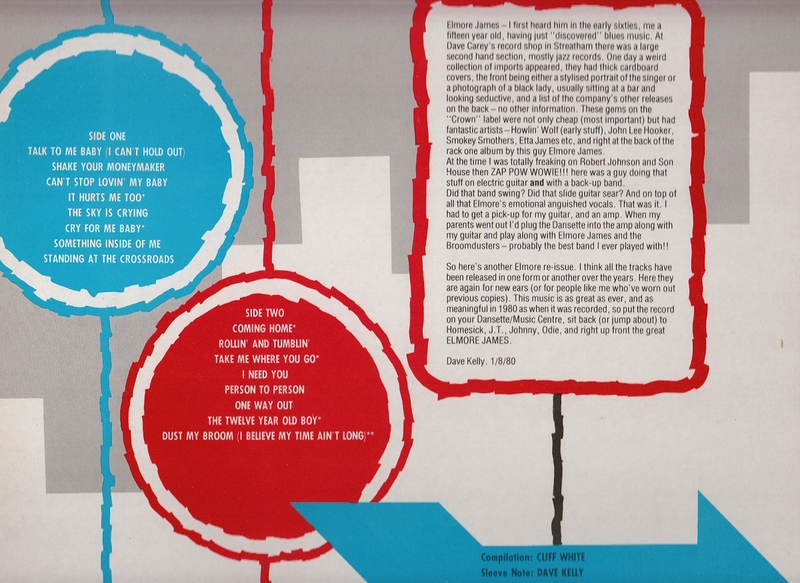 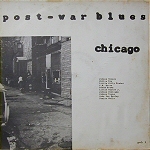 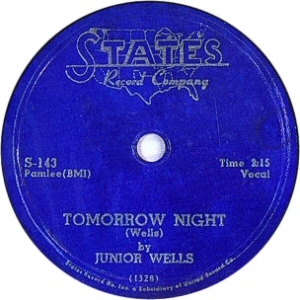 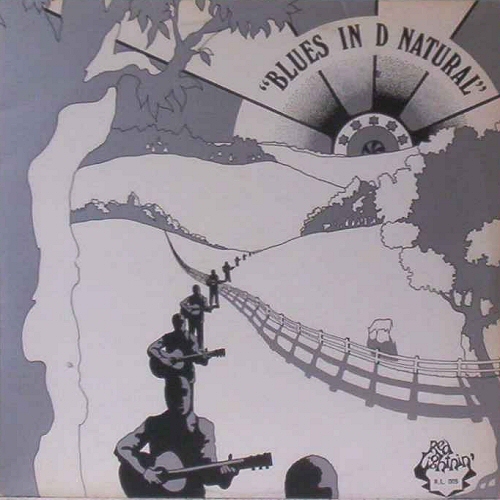 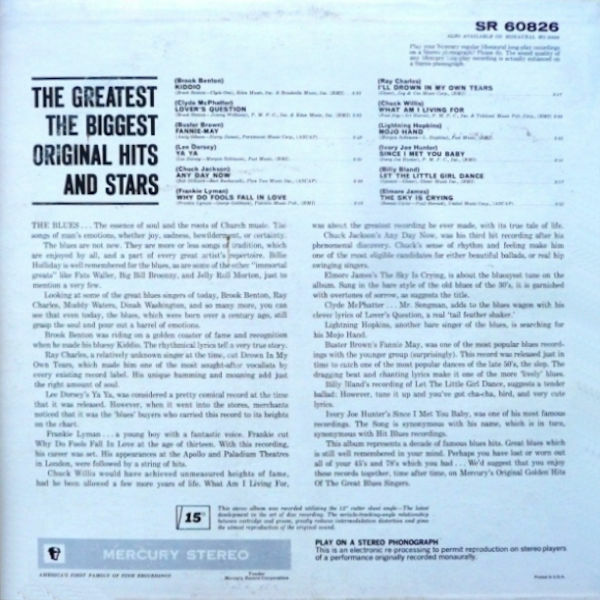 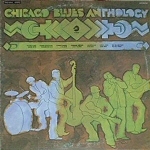 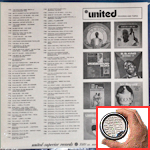 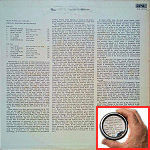 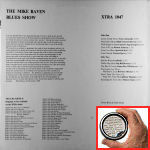 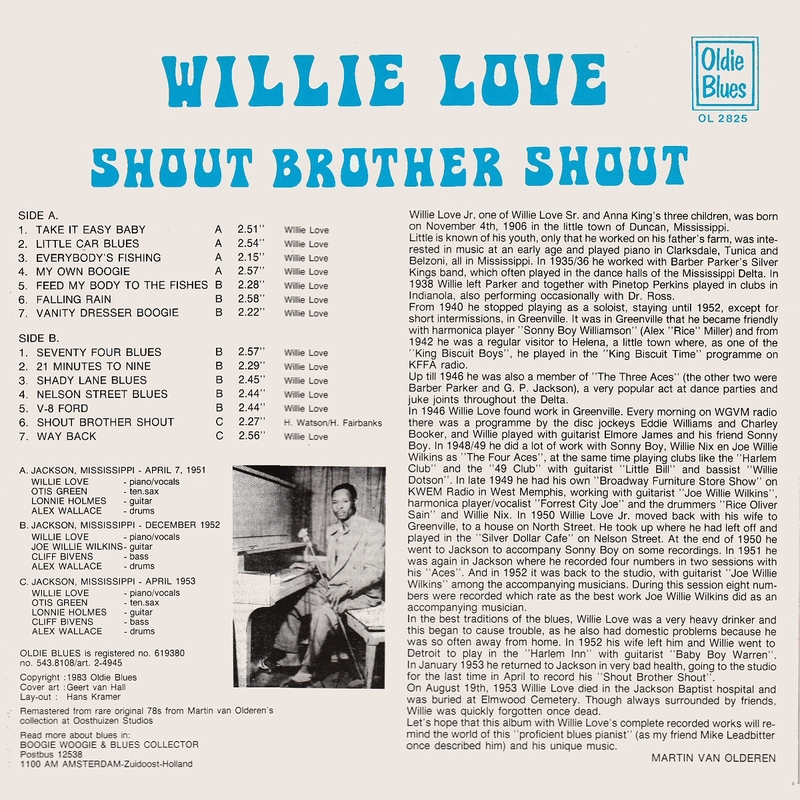 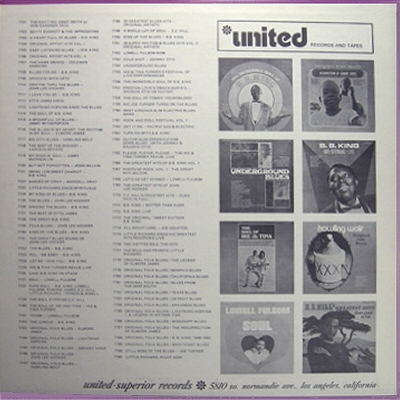 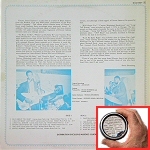 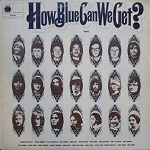 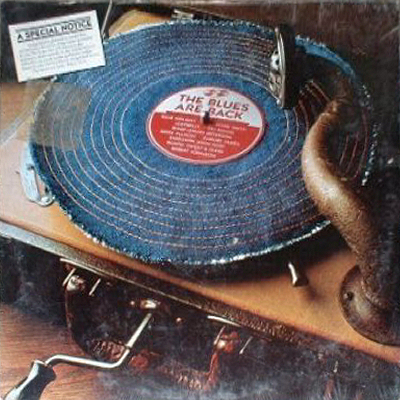 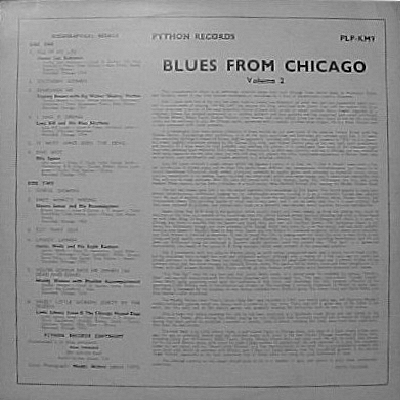 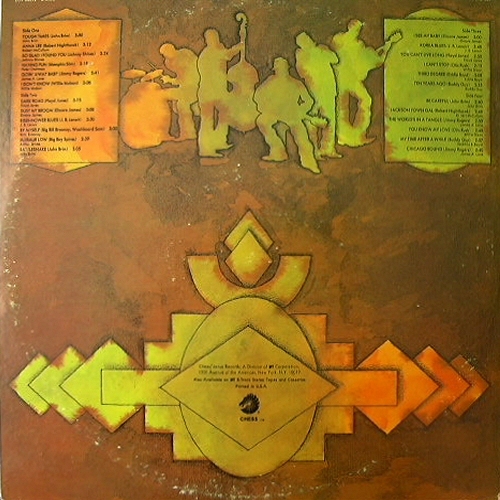 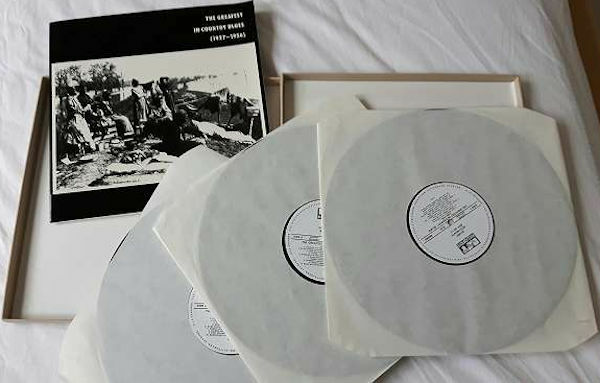 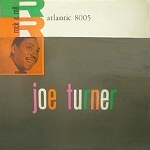 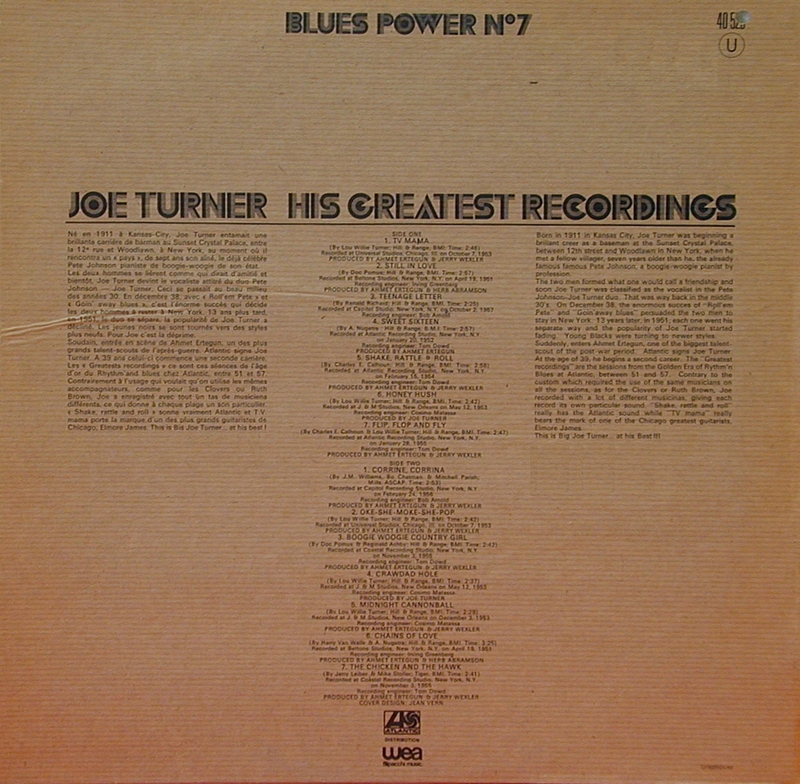 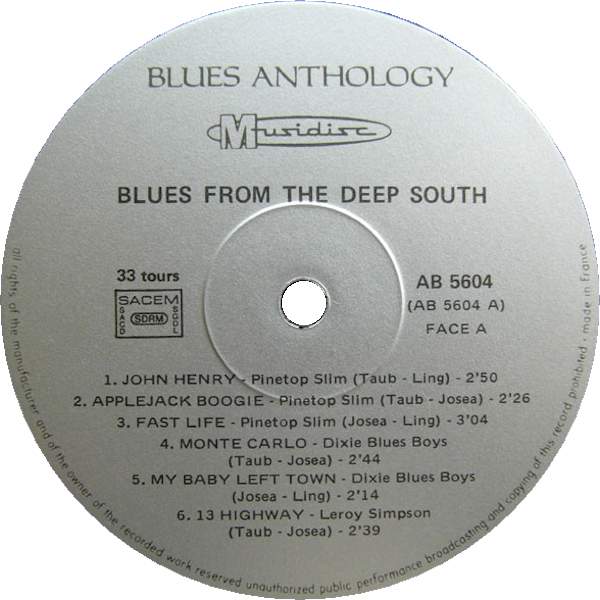 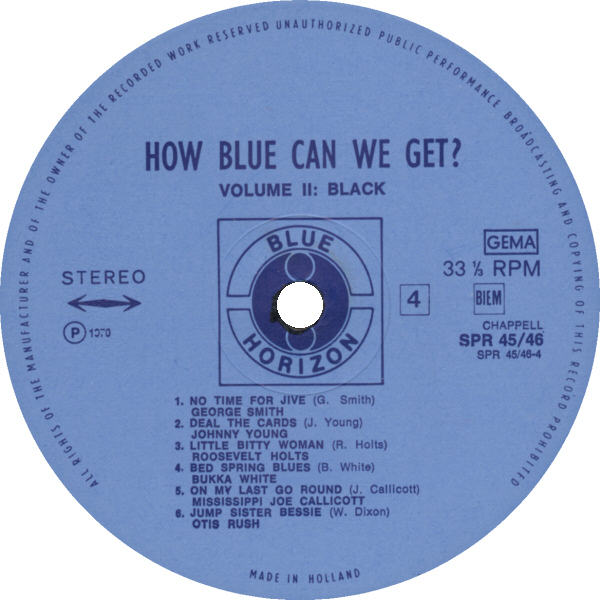 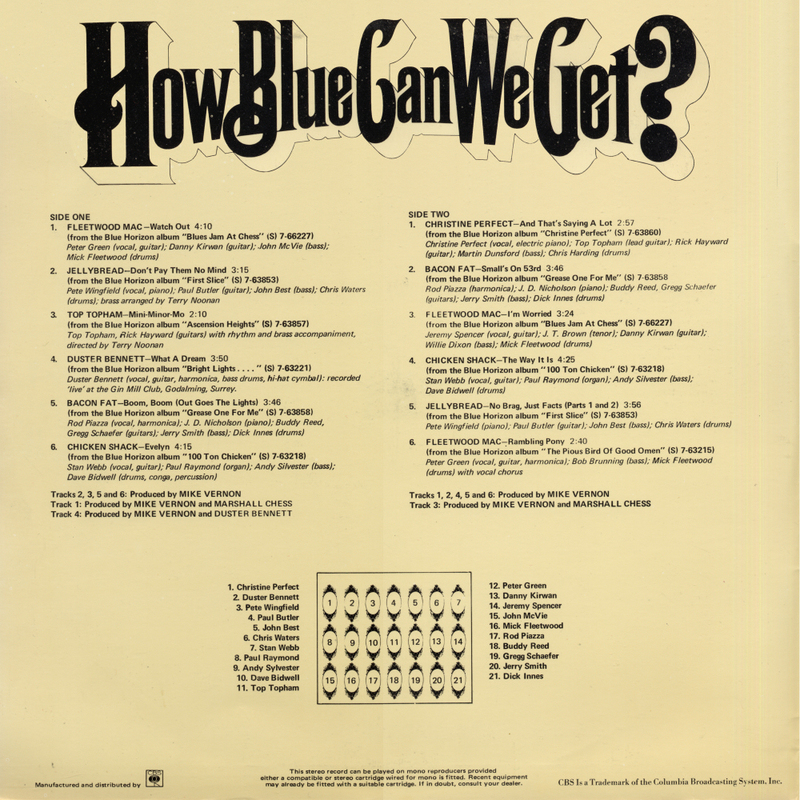 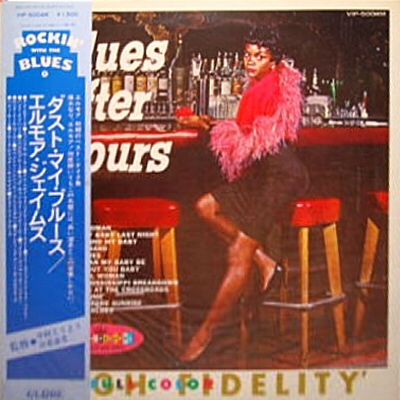 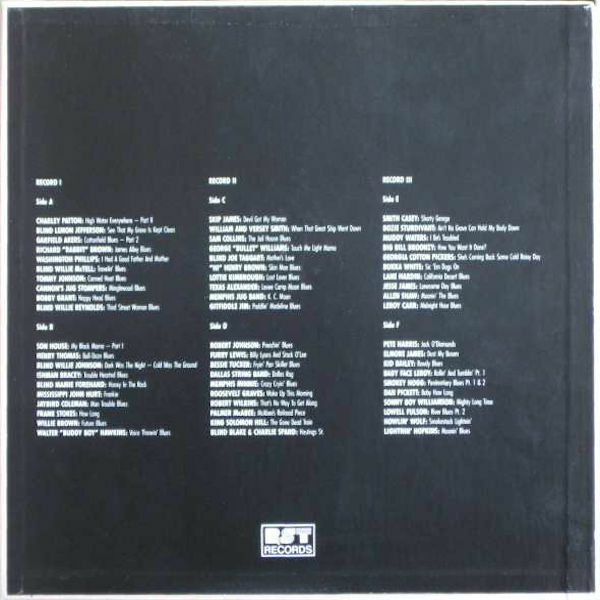 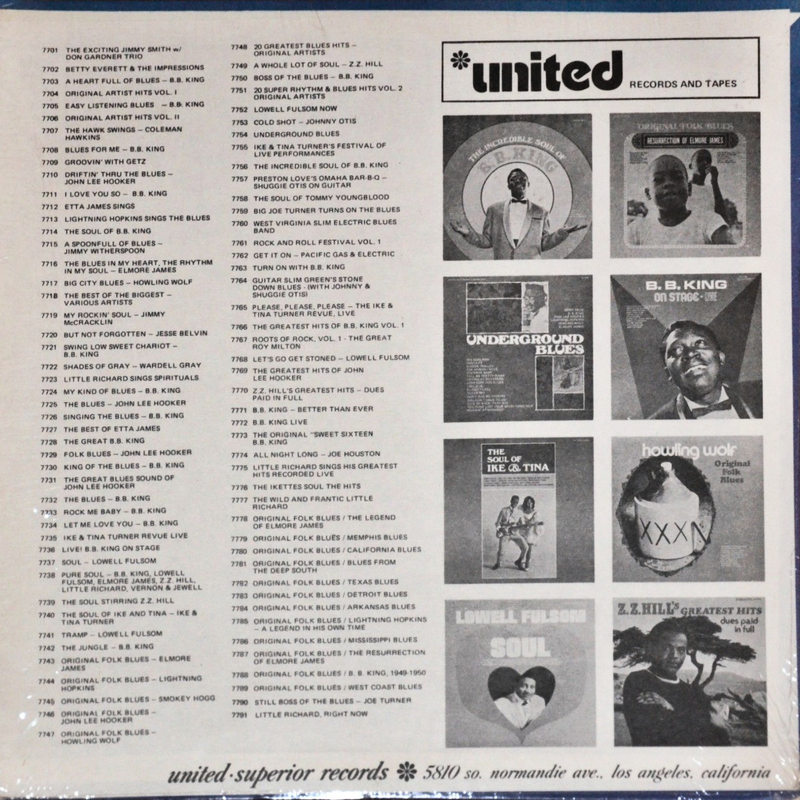 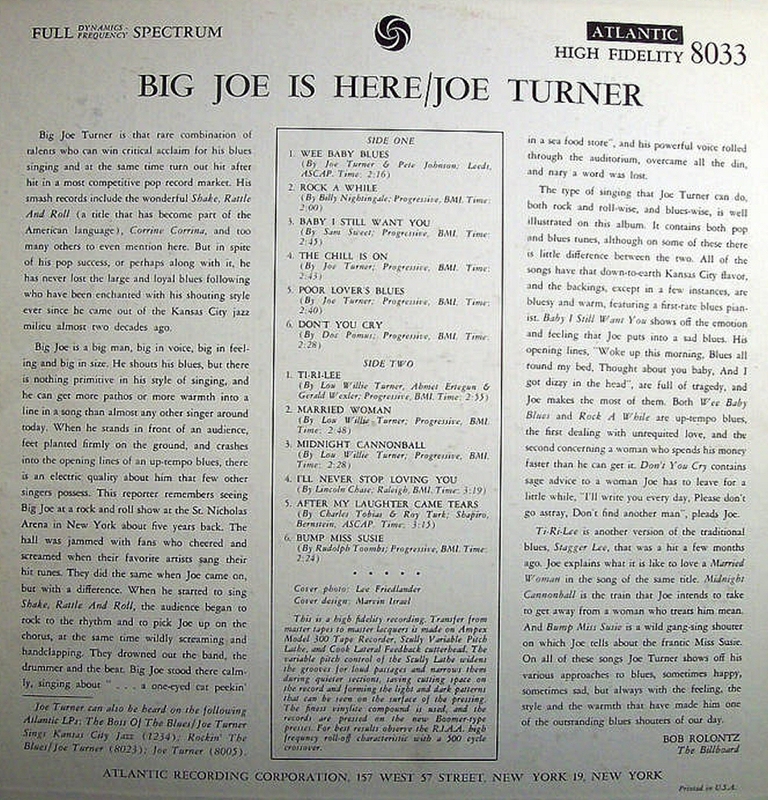 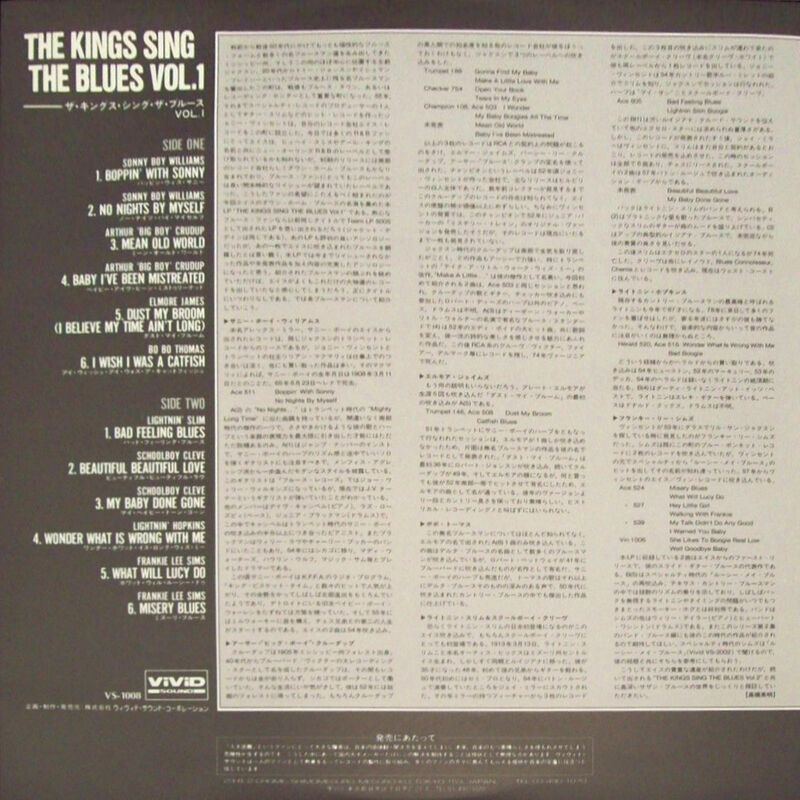 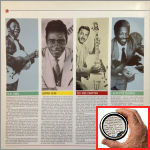 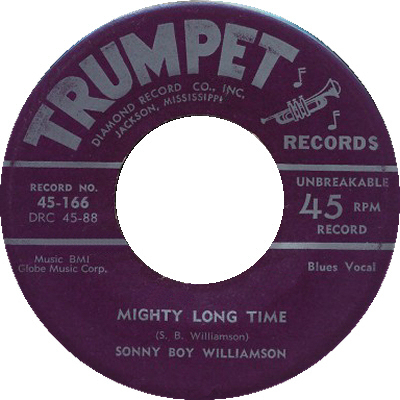 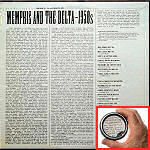 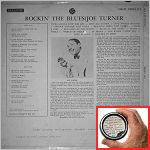 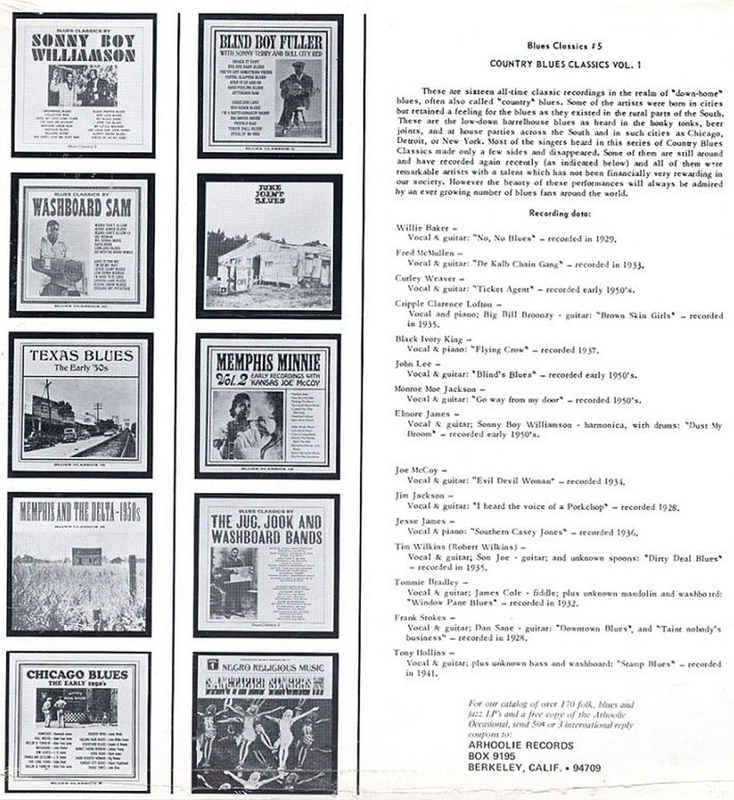 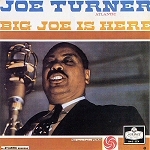 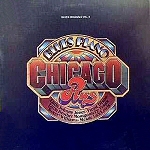 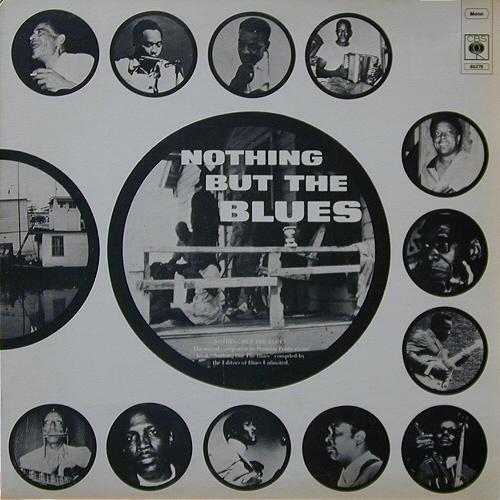 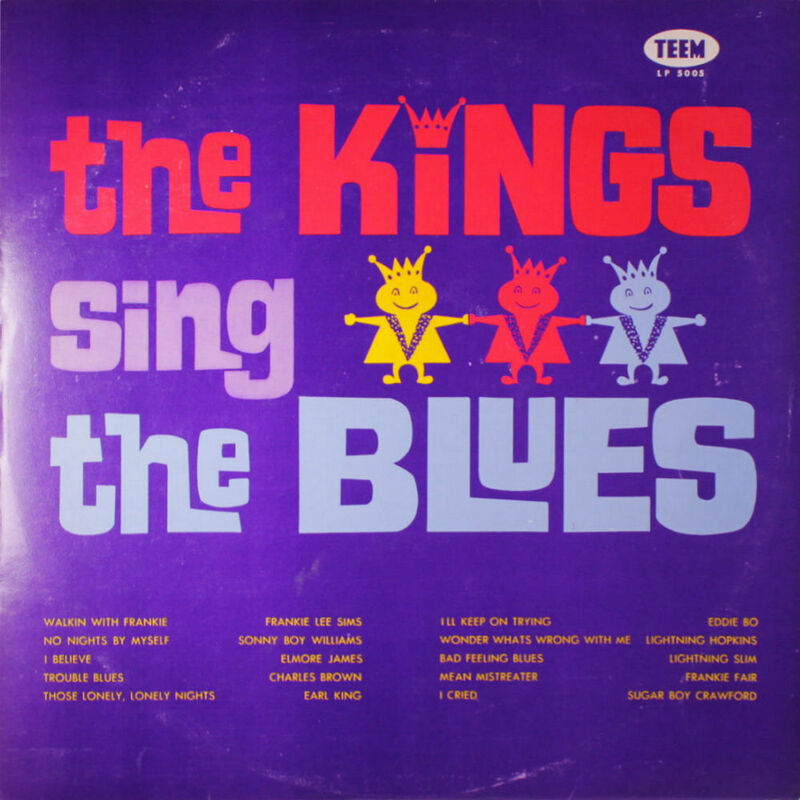 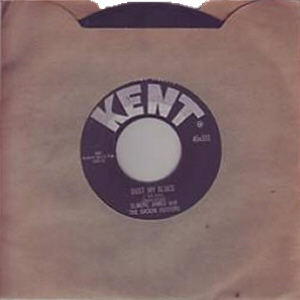 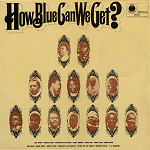 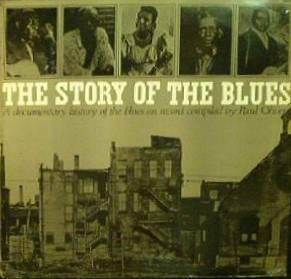 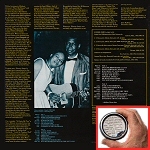 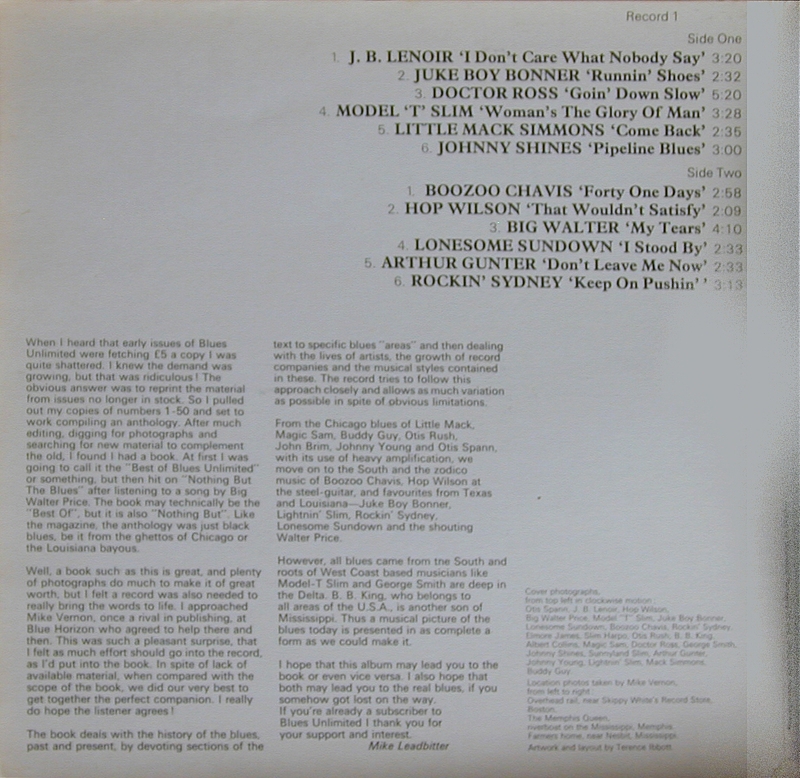 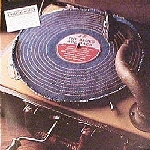 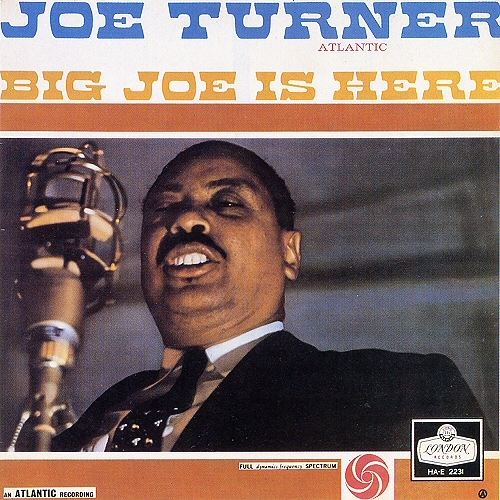 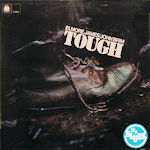 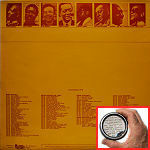 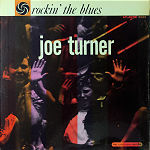 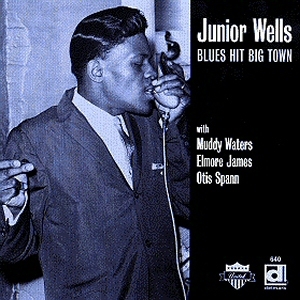 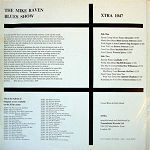 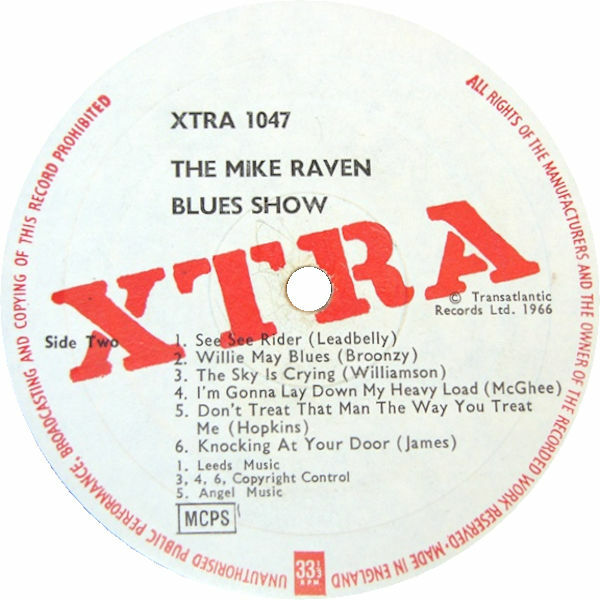 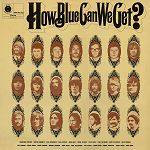 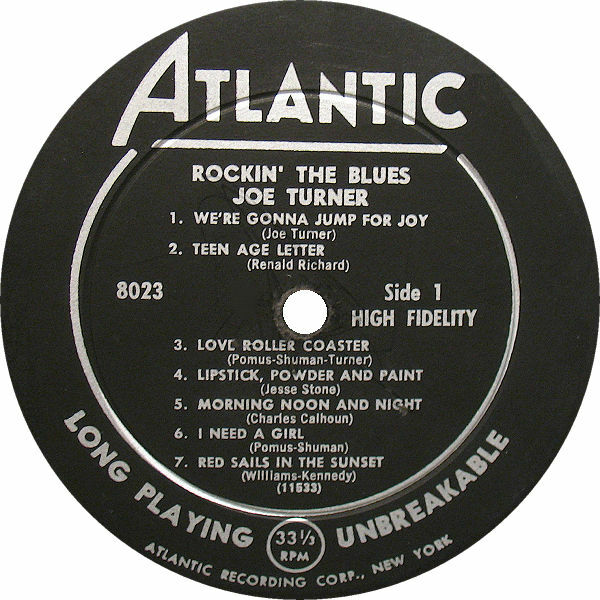 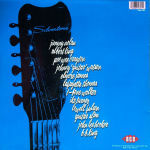 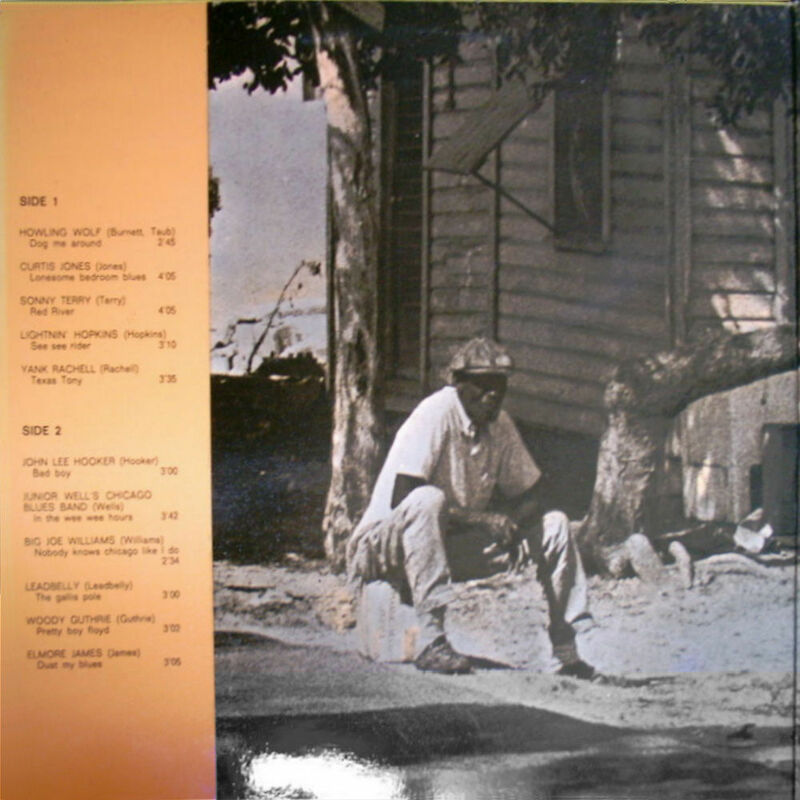 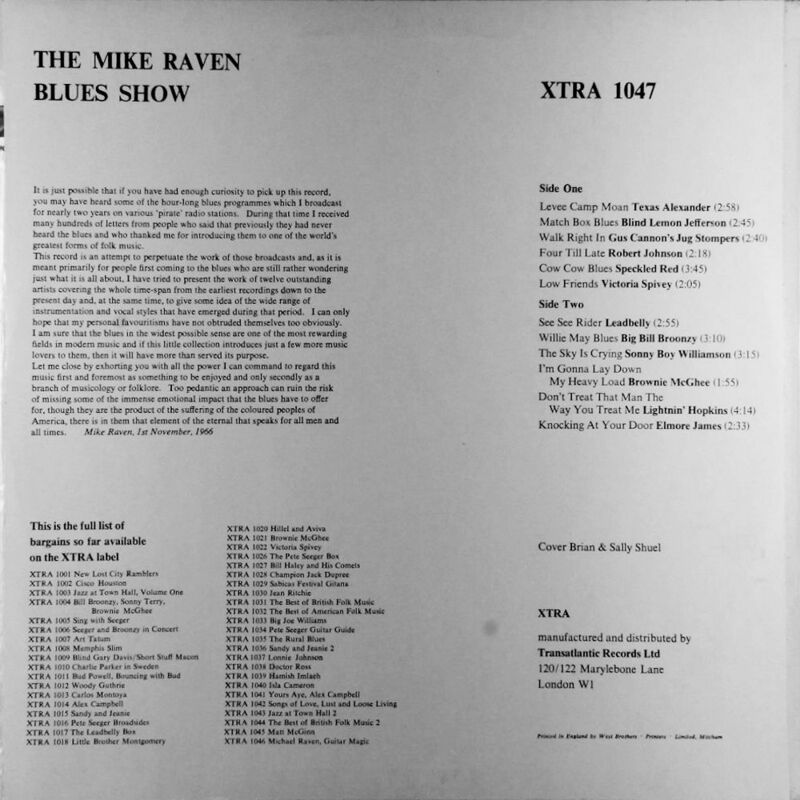 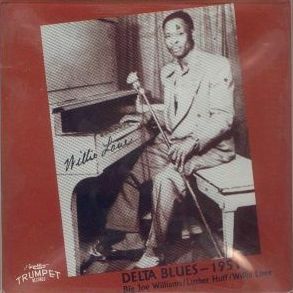 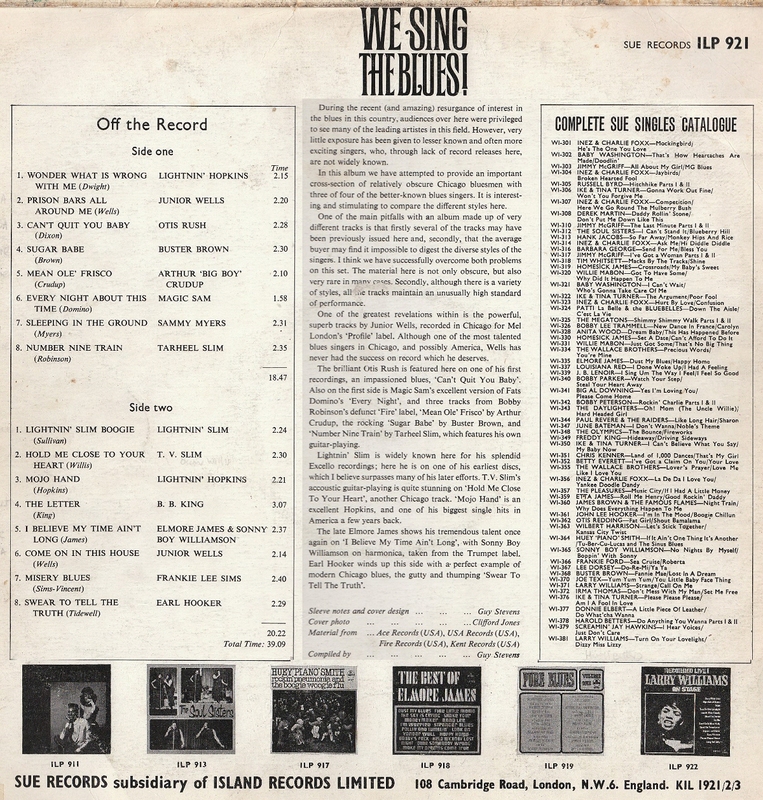 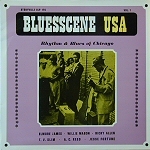 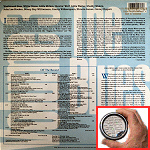 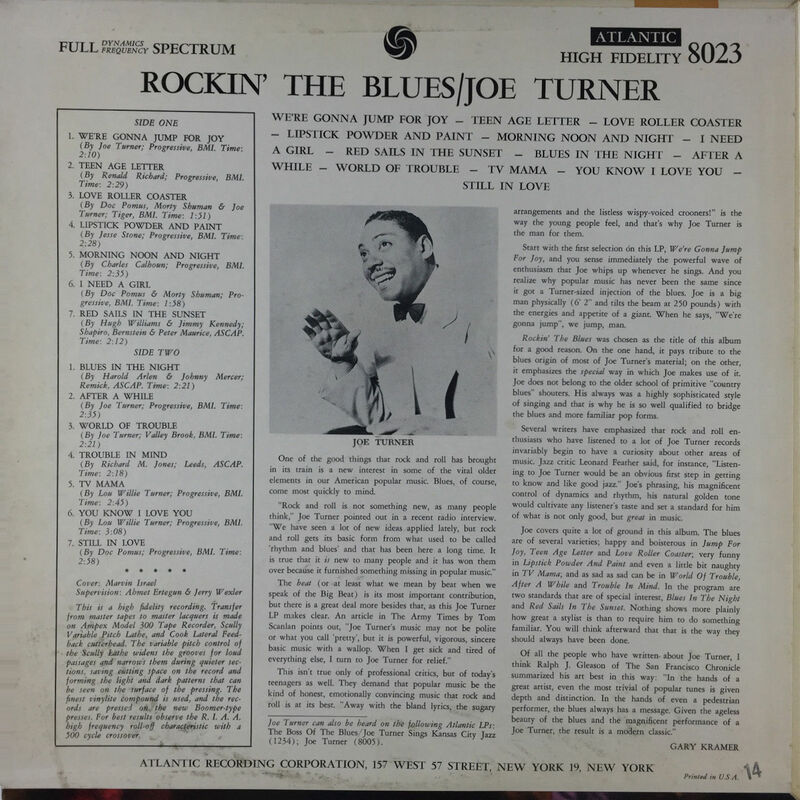 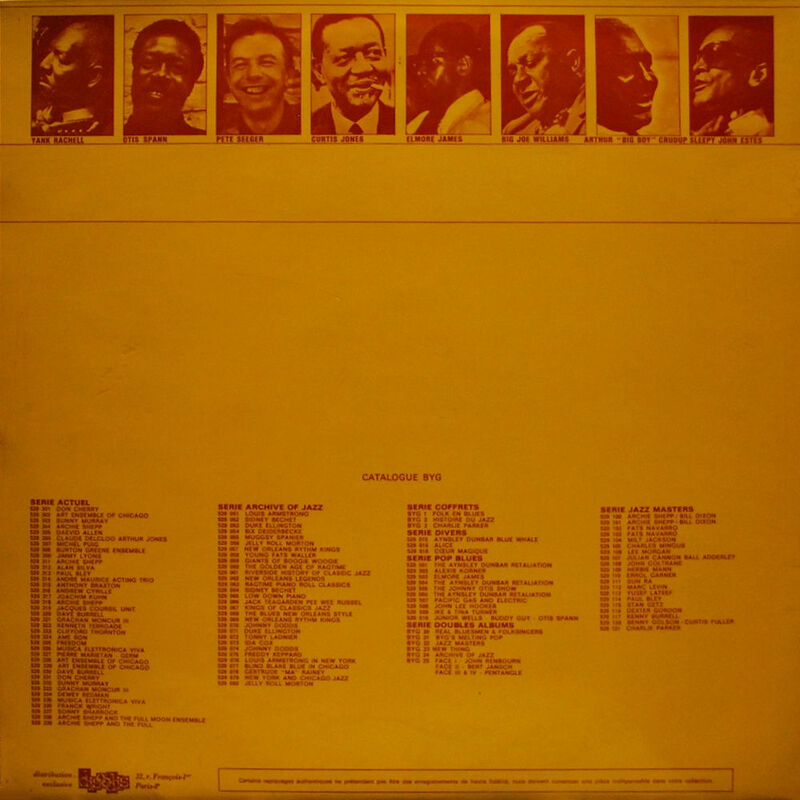 1"
= Muse MR 5087 (1975) "Street Talkin'"
= Veejay ULS-1881-JY (Jp) "South Side Blues"
= Muse MCD 5087 (1988) "Street Talkin'"
108a 1970 How Blue Can We Get? 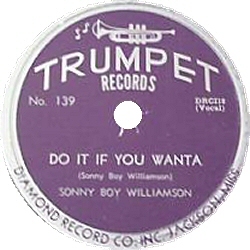 - Baby What You Want Me To Do? 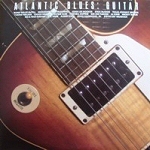 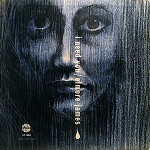 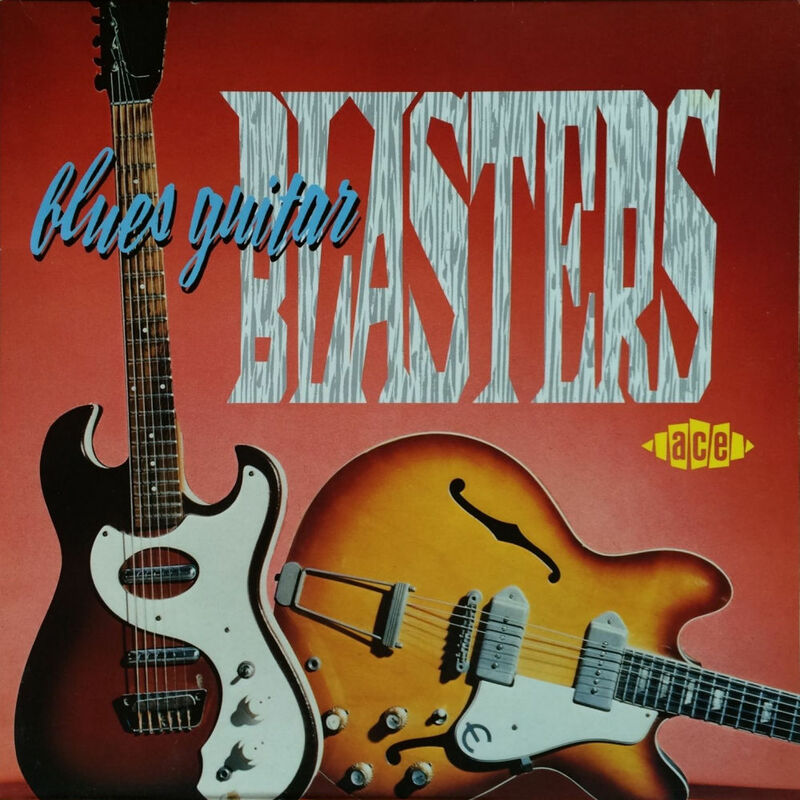 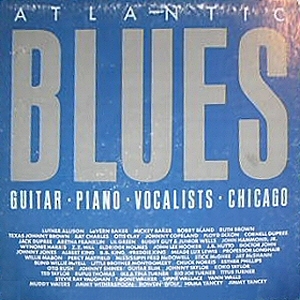 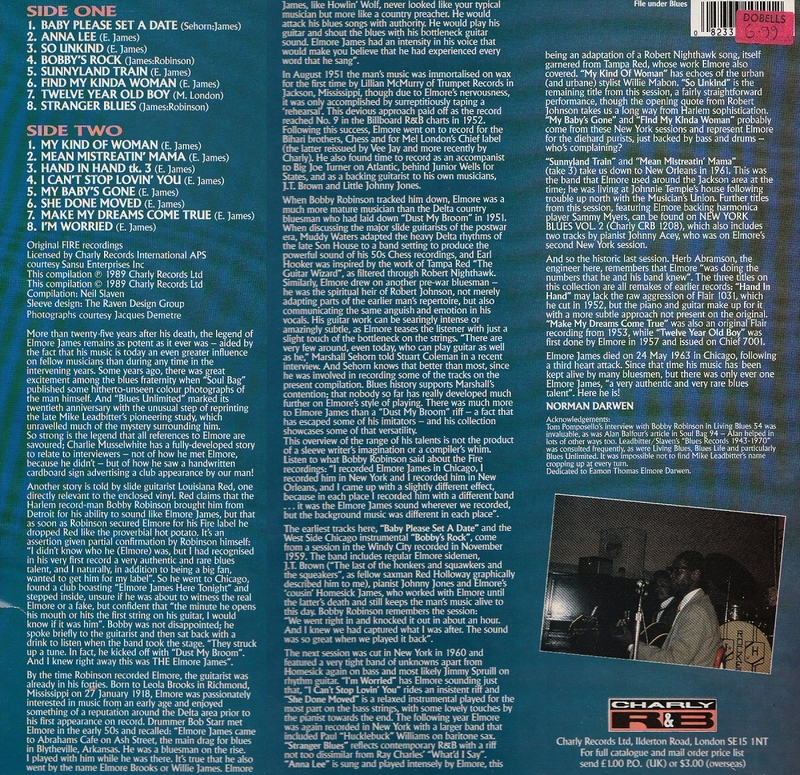 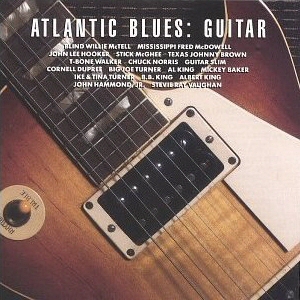 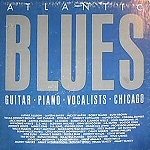 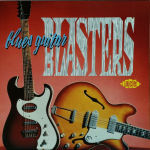 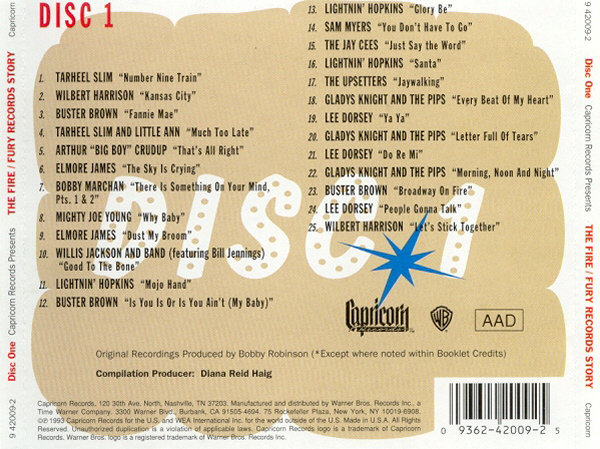 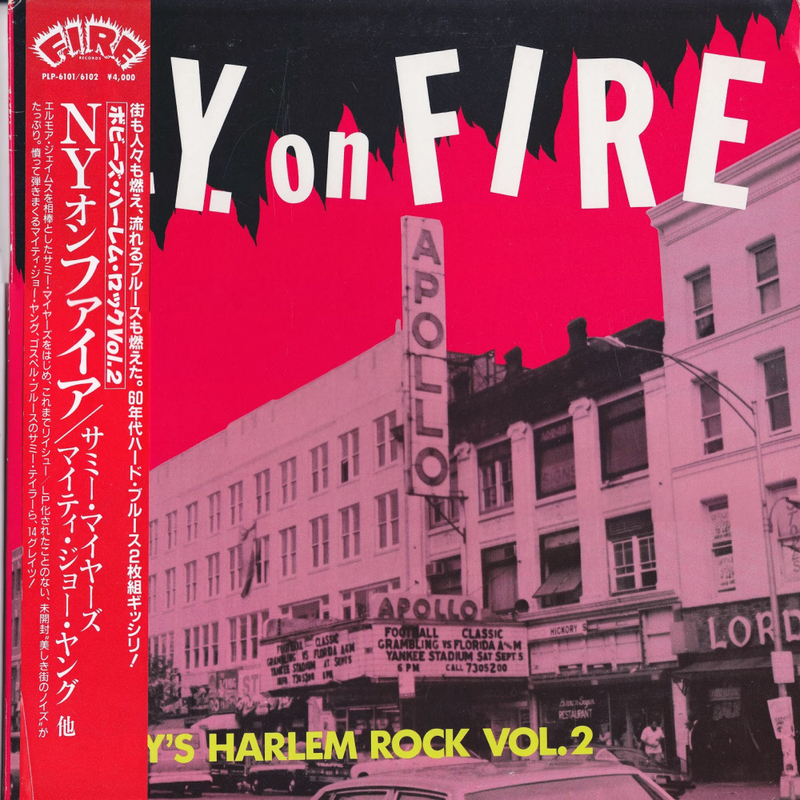 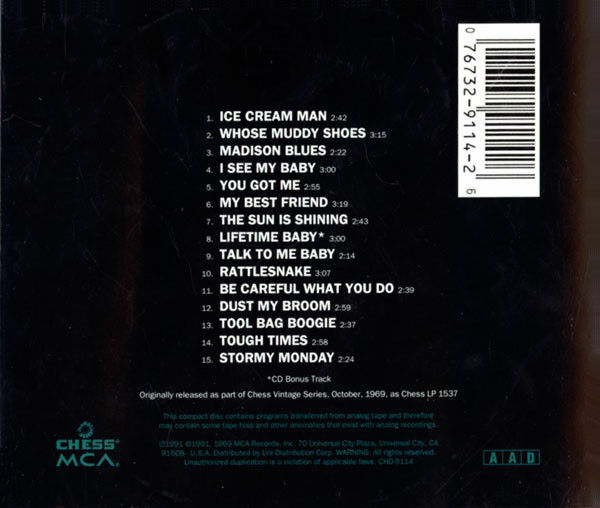 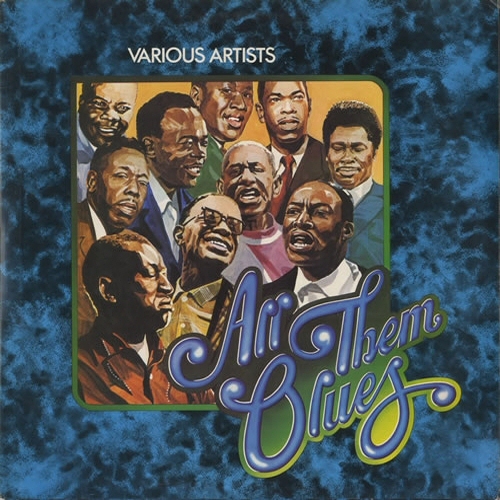 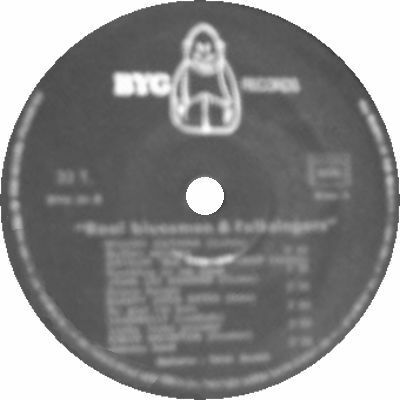 (=) P-Vine PCD 2184 (Jp 1990) "Nelson Street Blues"
= P-Vine PCD-5461 (Jp) "New York On Fire"
(=) Atlantic CD 82309 (US 1990) "Atlantic Blues: Guitar, Piano, Vocalists, Chicago"
B. 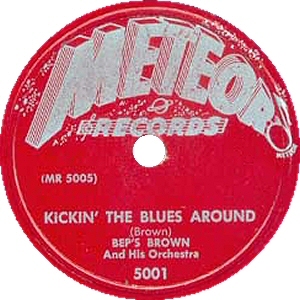 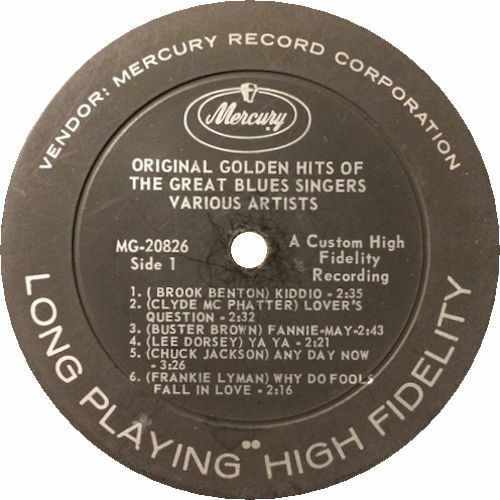 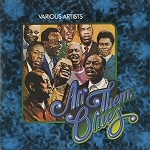 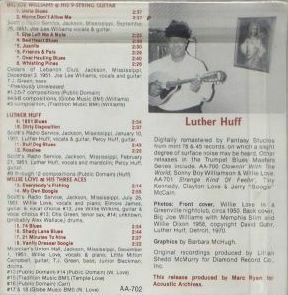 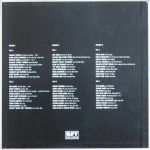 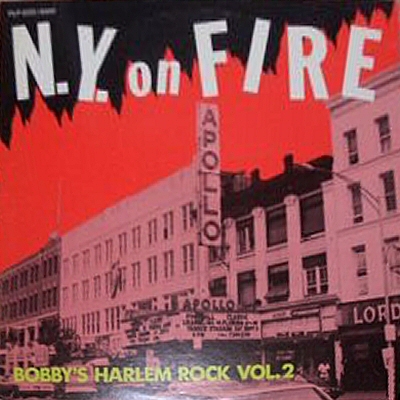 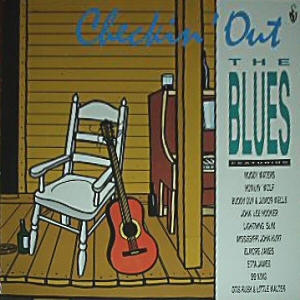 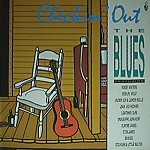 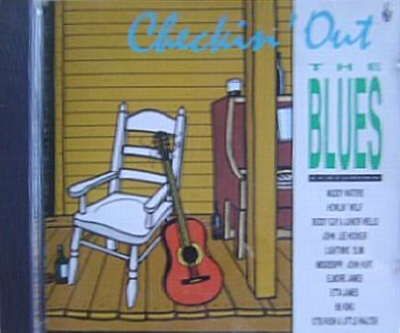 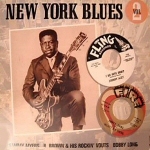 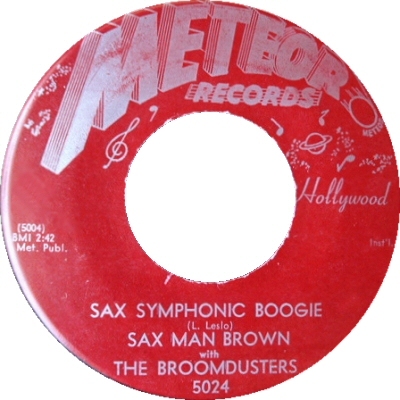 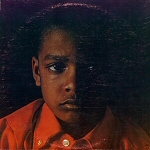 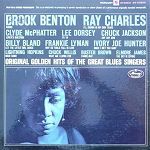 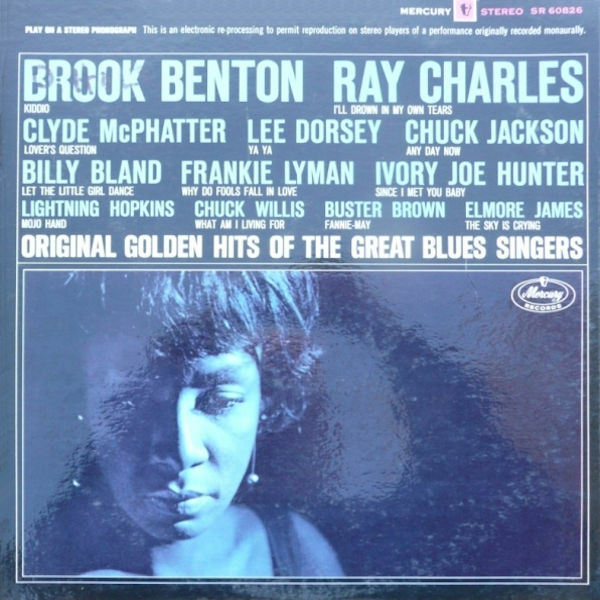 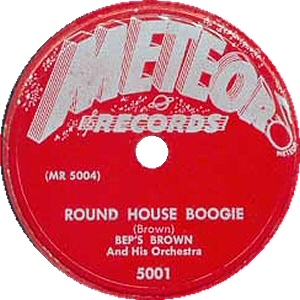 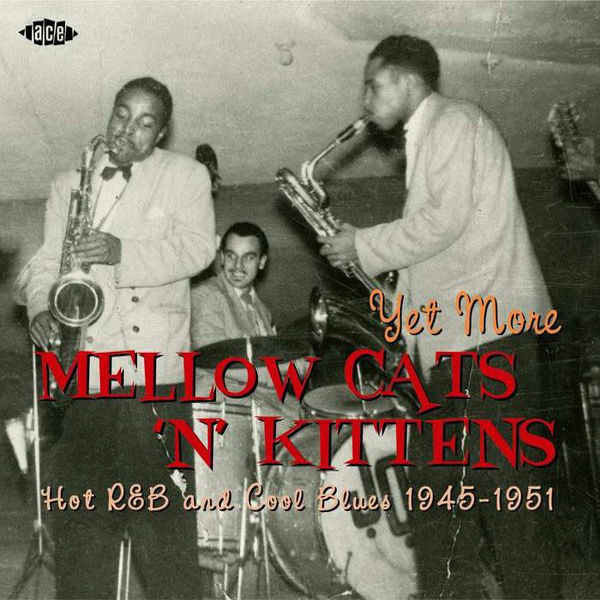 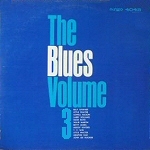 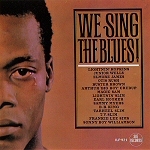 Brown & His Rockin' McVouts - Rockin' With "B"
More recent CD compilations will be added as soon as possible !!! 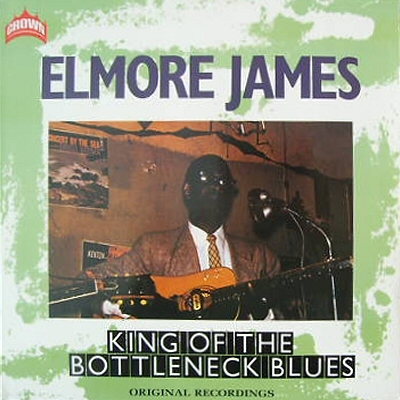 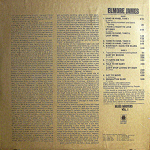 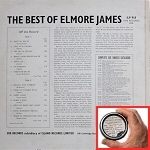 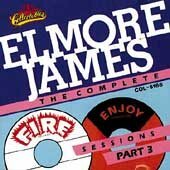 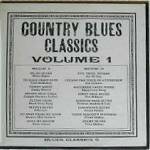 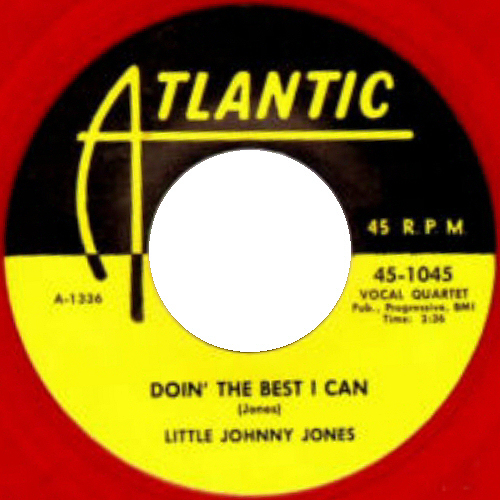 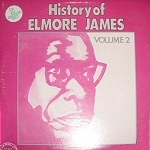 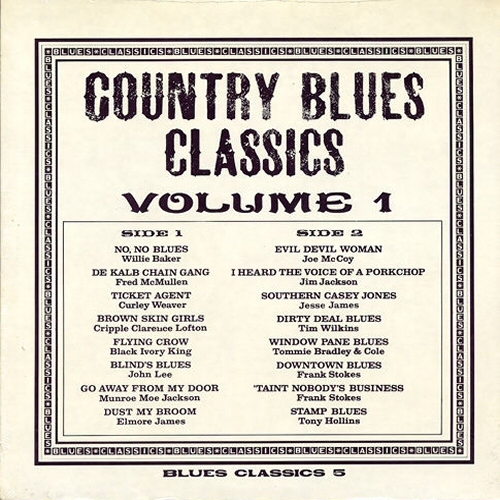 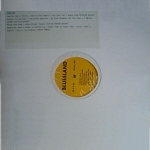 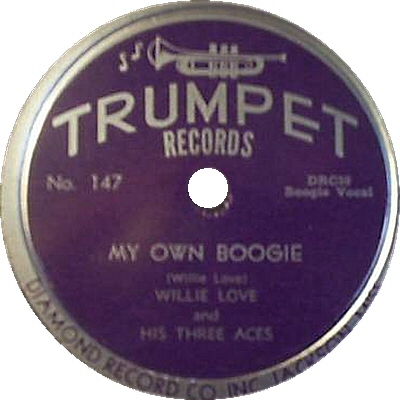 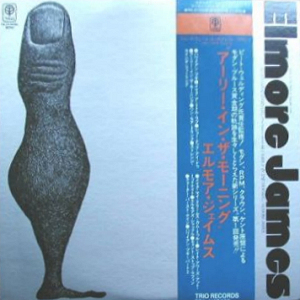 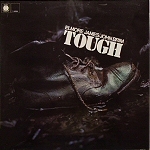 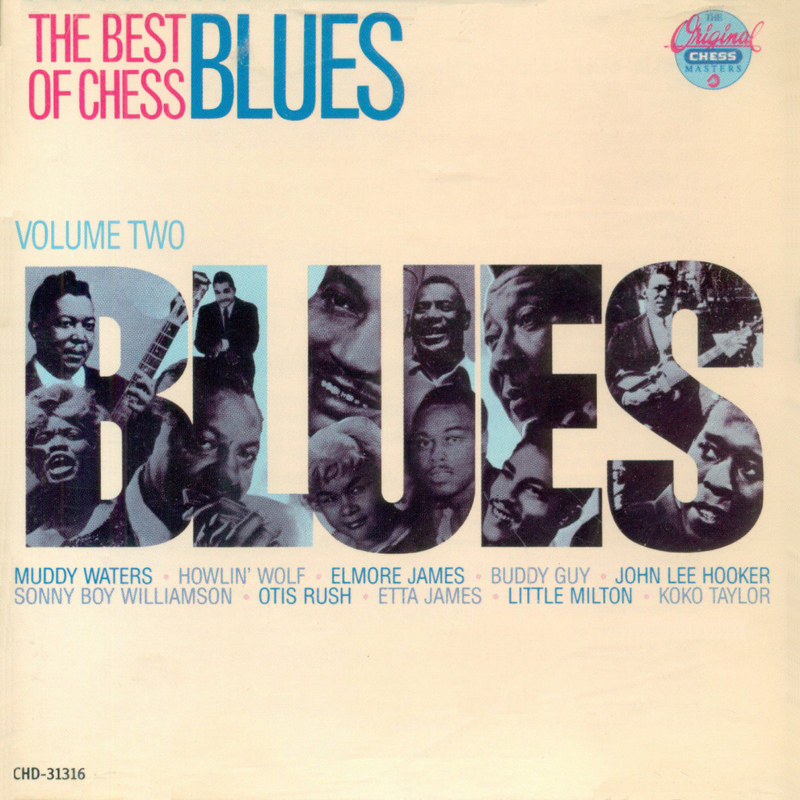 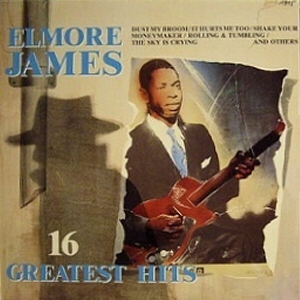 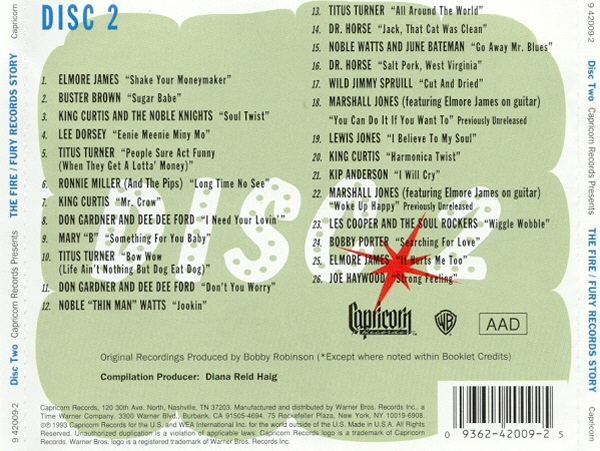 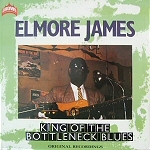 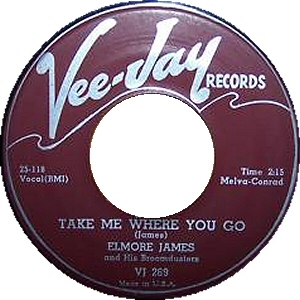 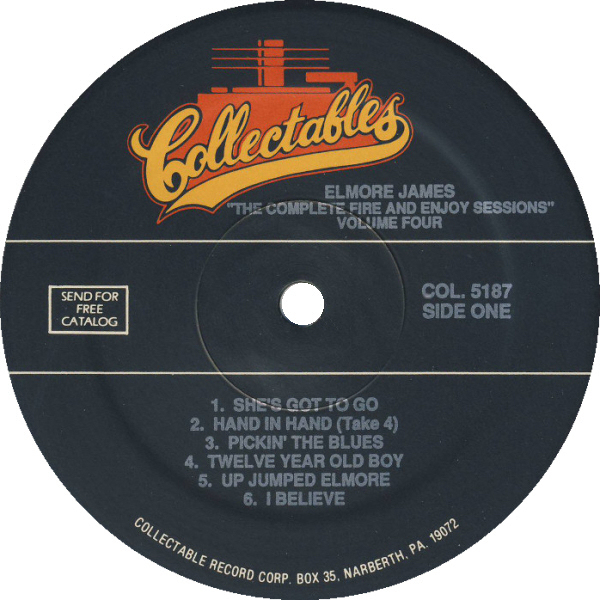 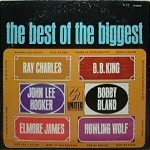 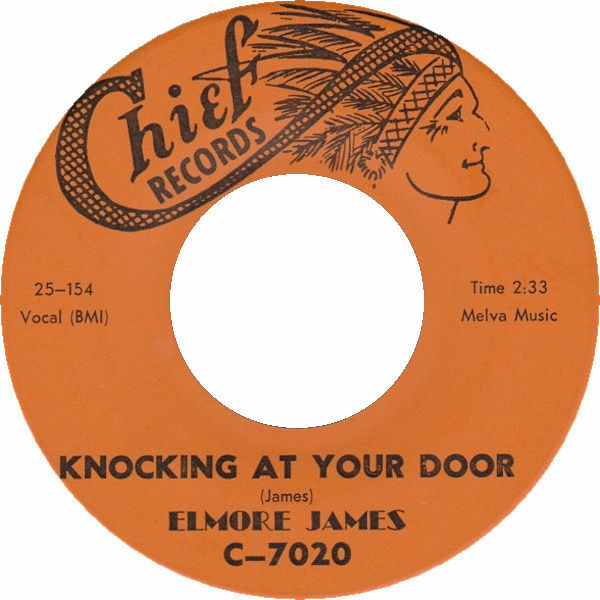 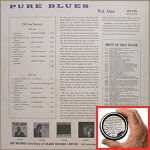 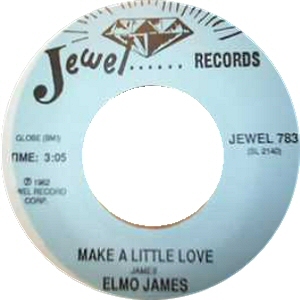 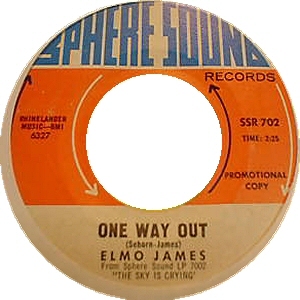 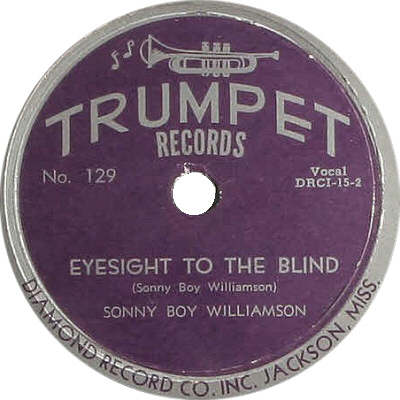 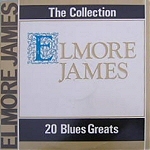 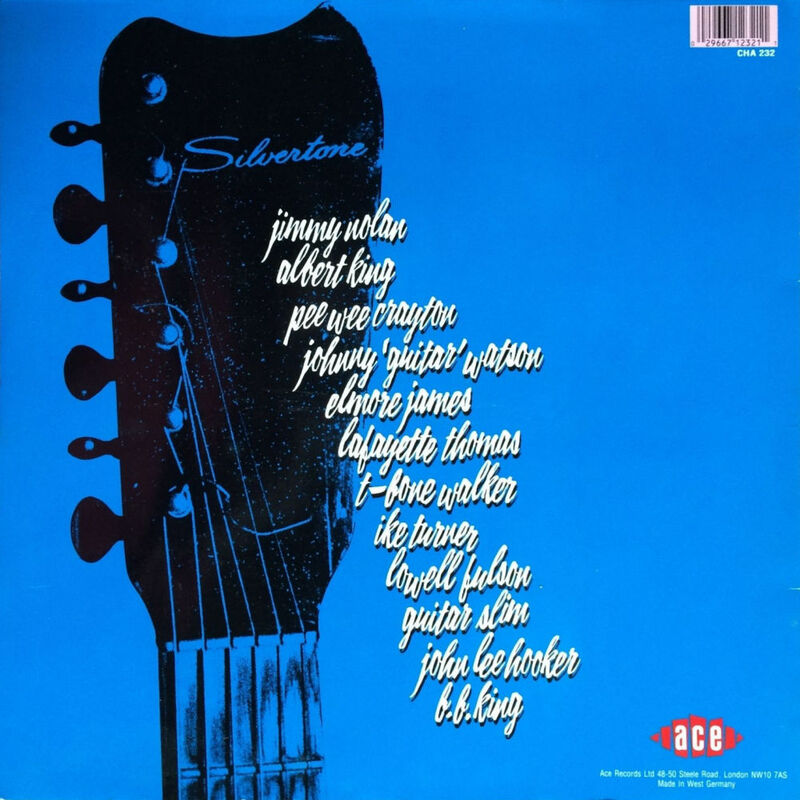 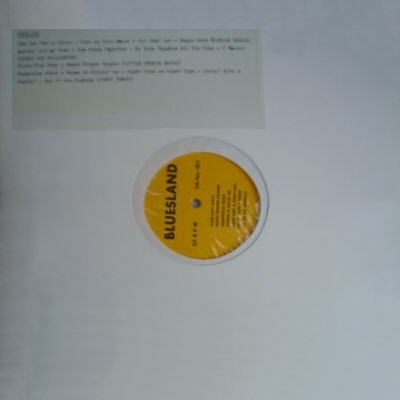 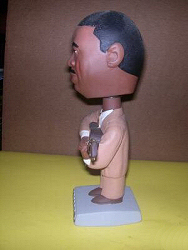 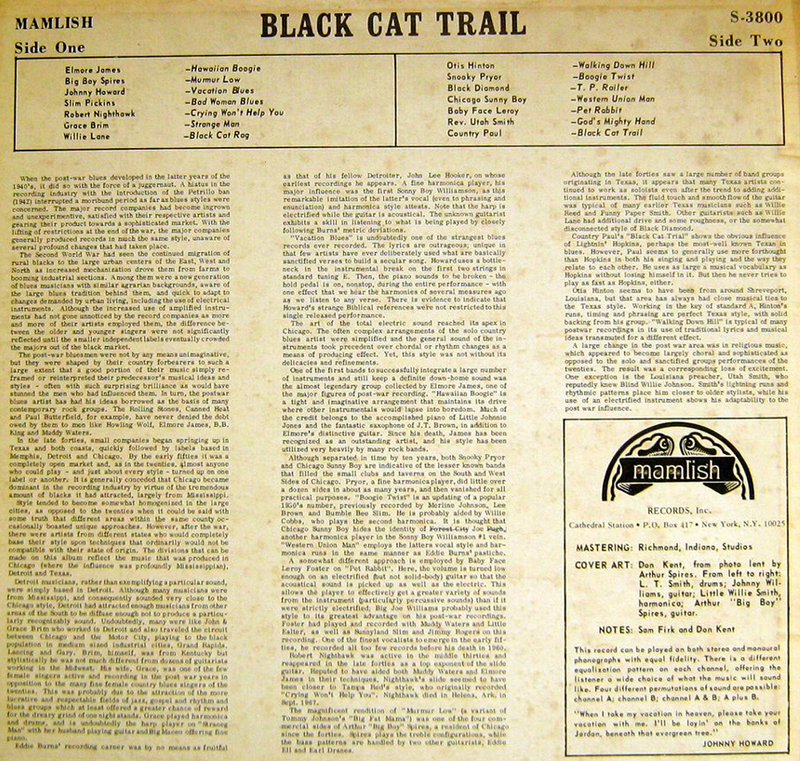 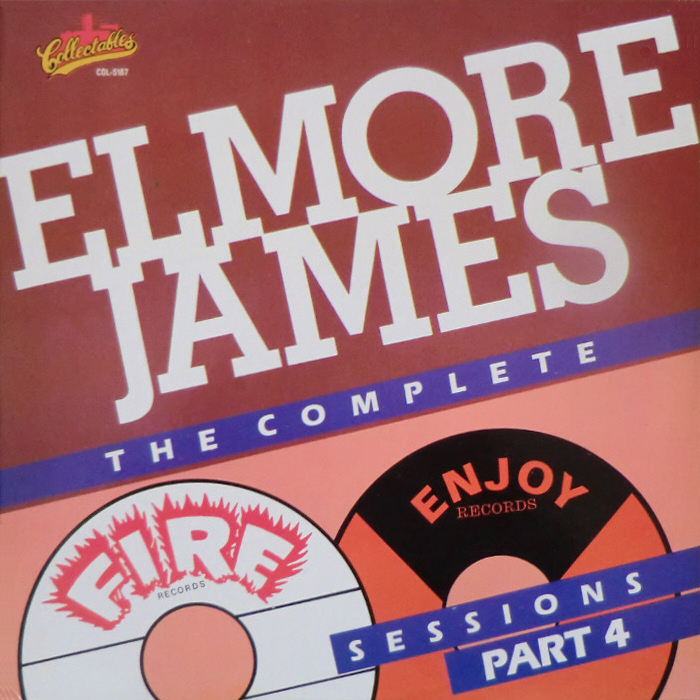 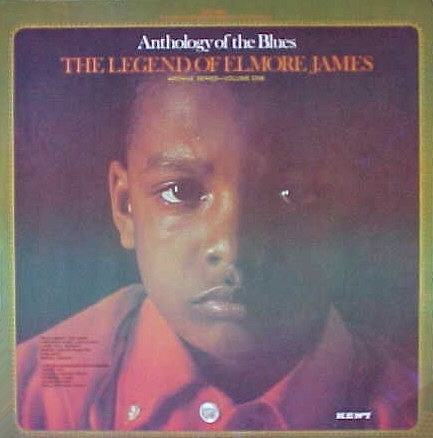 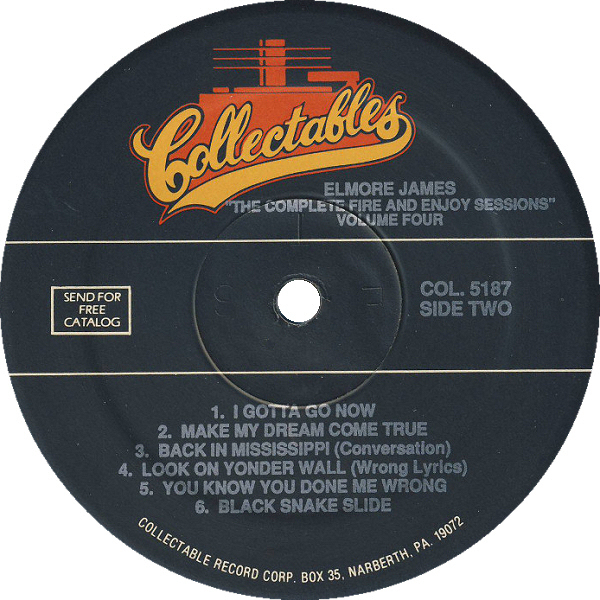 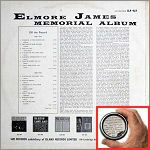 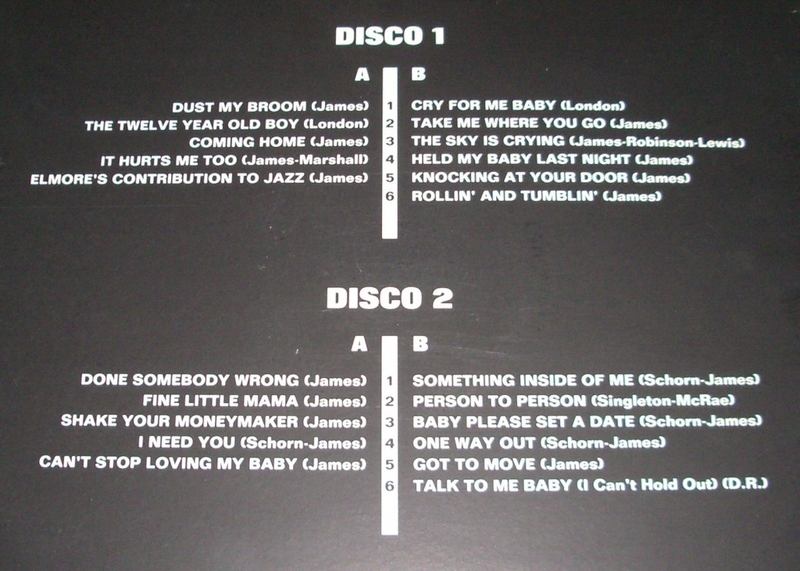 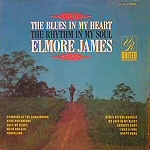 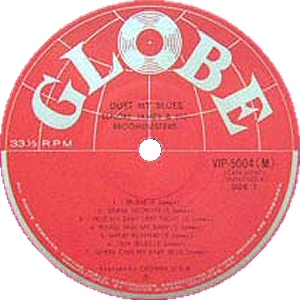 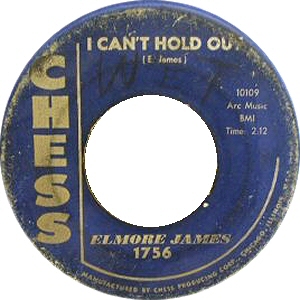 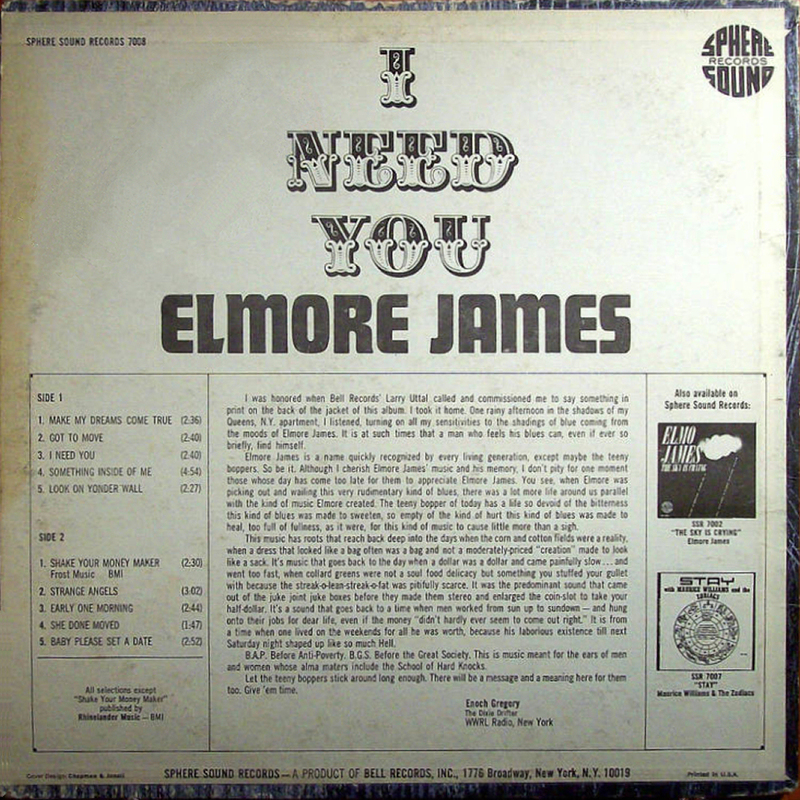 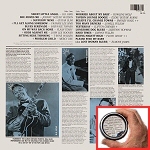 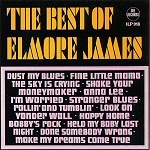 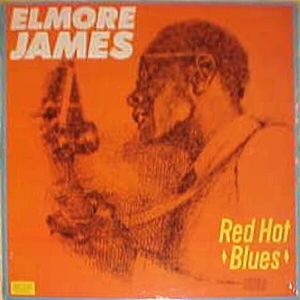 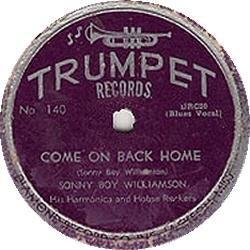 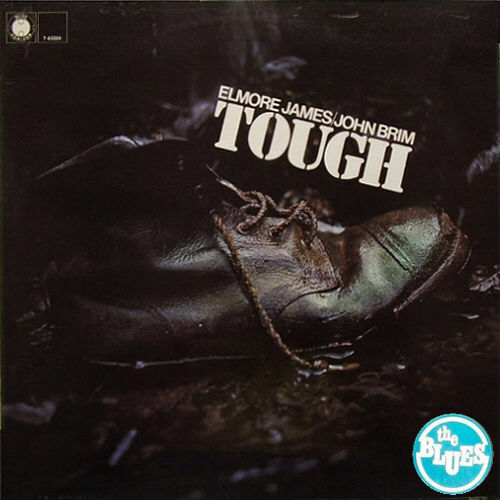 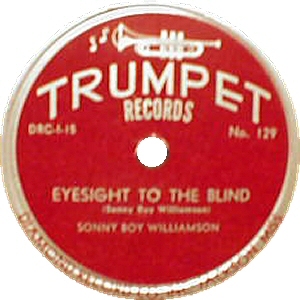 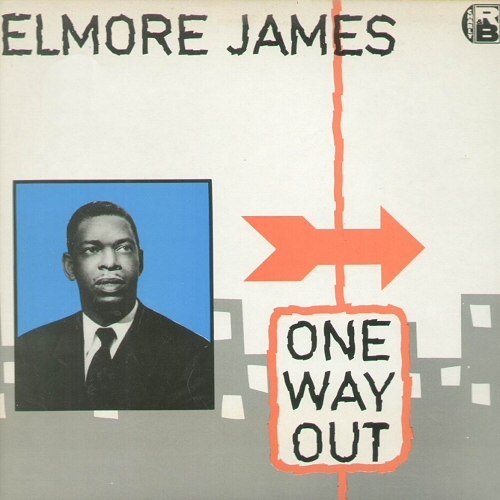 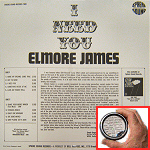 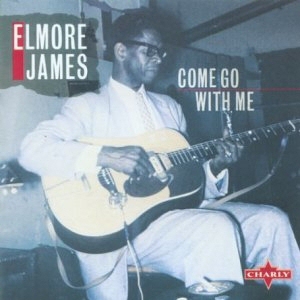 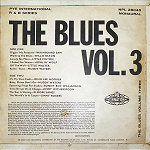 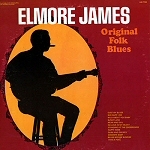 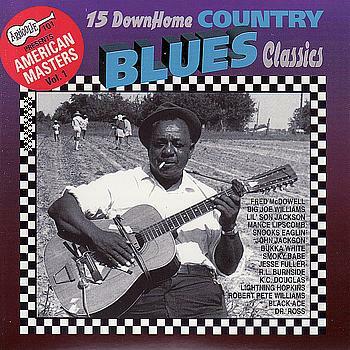 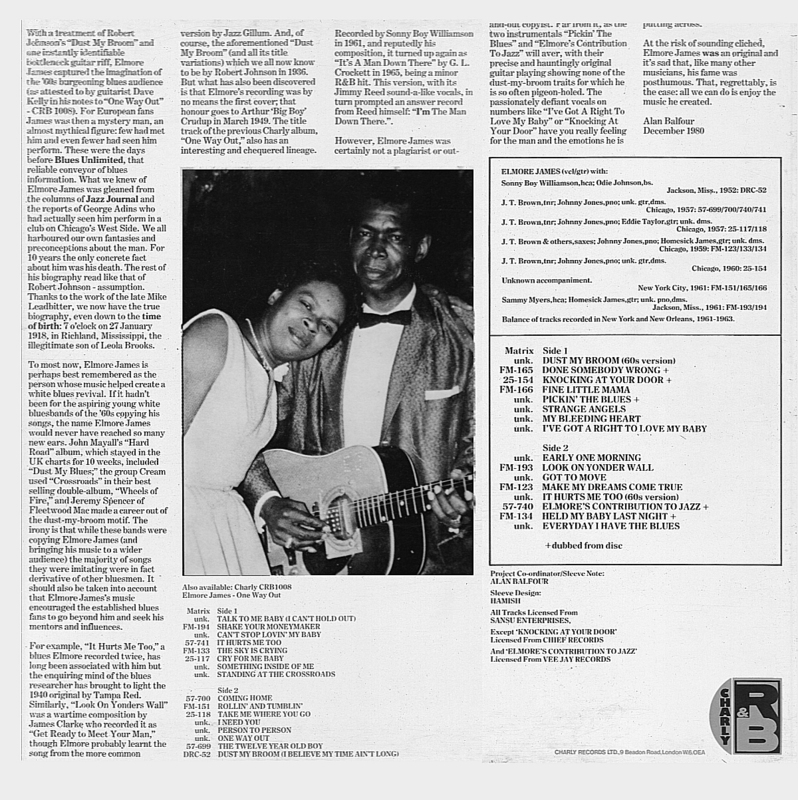 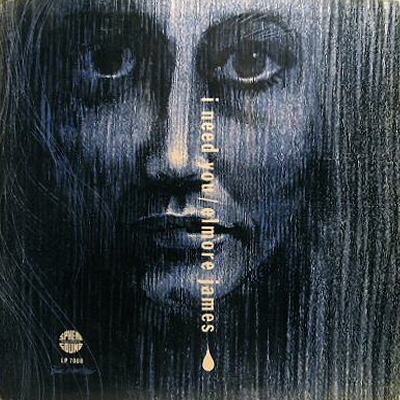 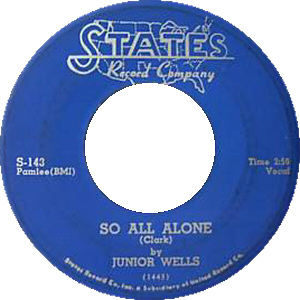 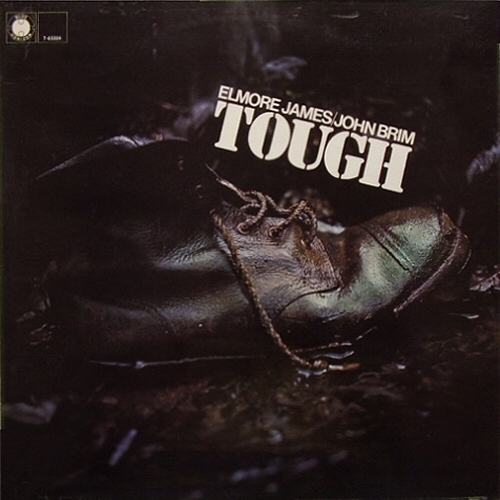 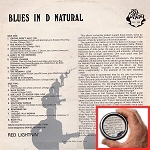 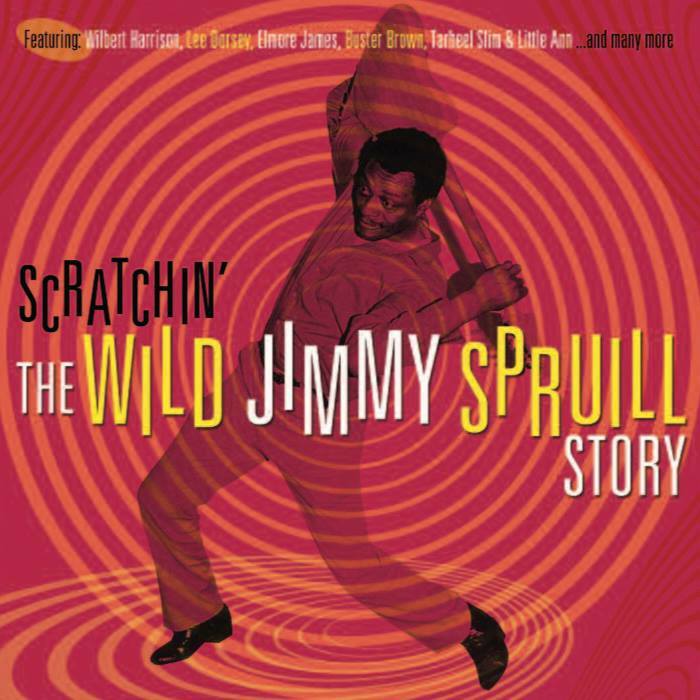 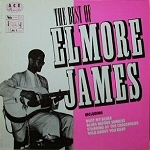 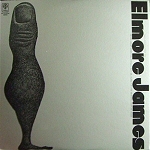 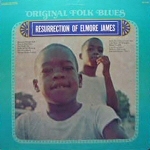 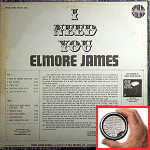 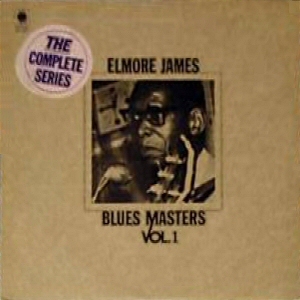 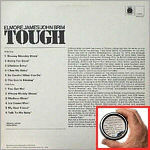 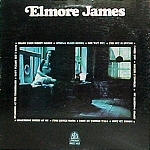 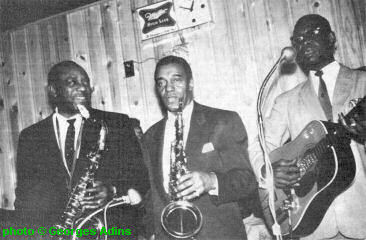 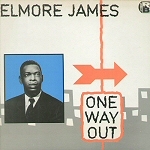 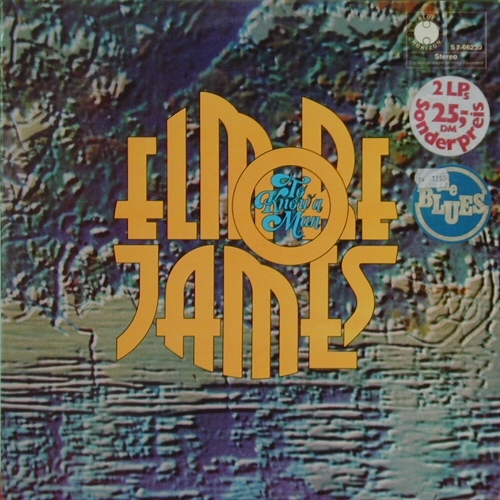 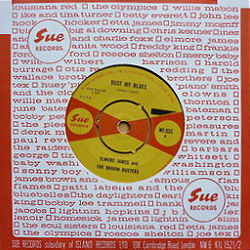 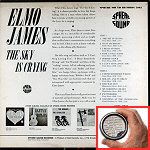 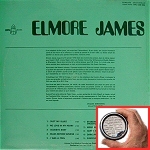 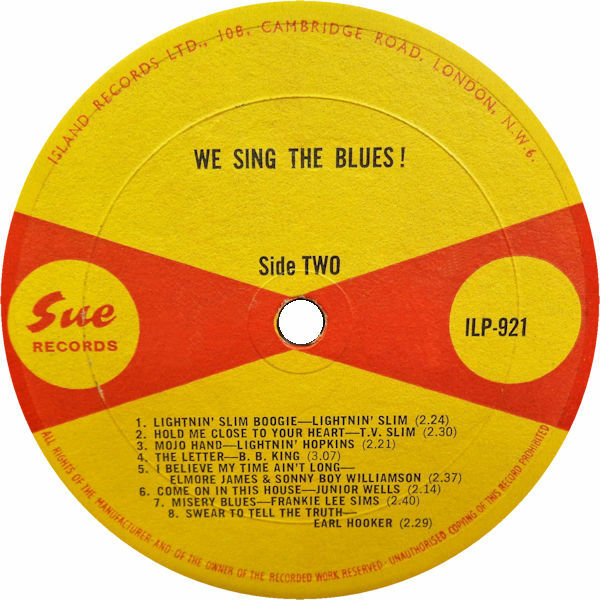 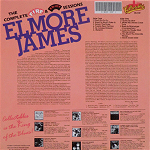 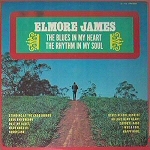 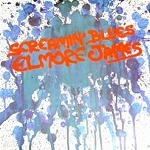 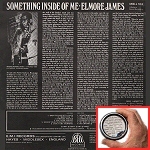 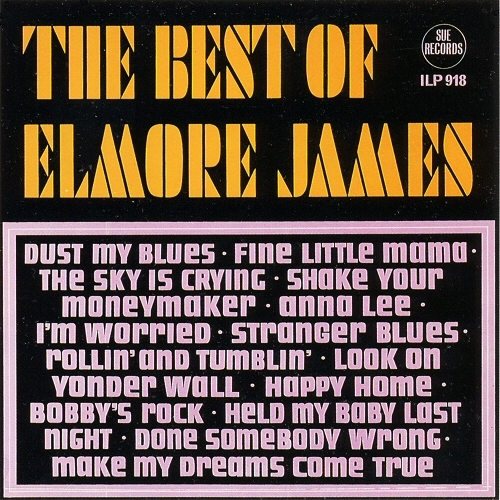 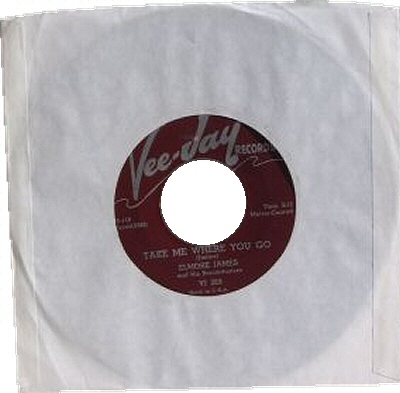 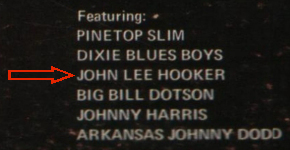 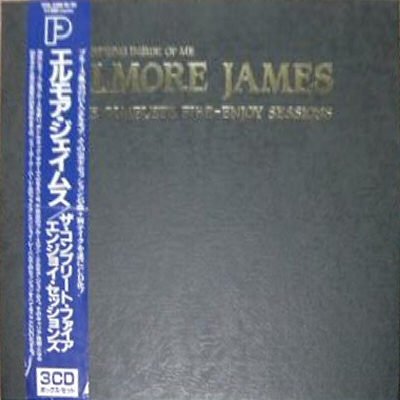 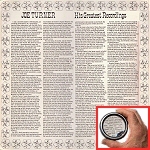 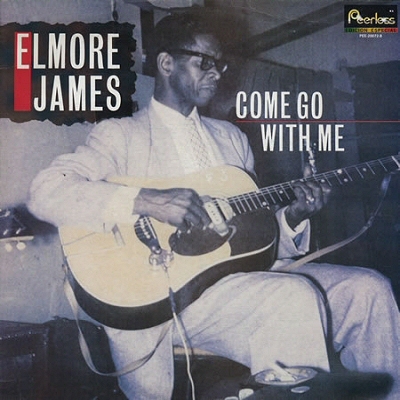 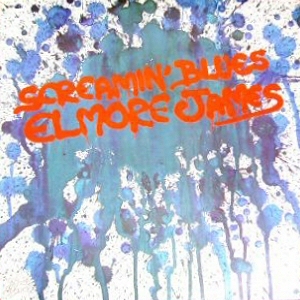 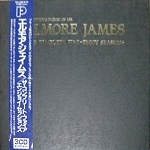 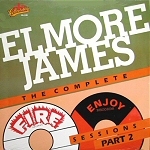 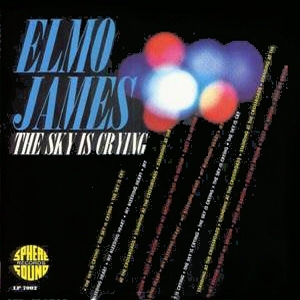 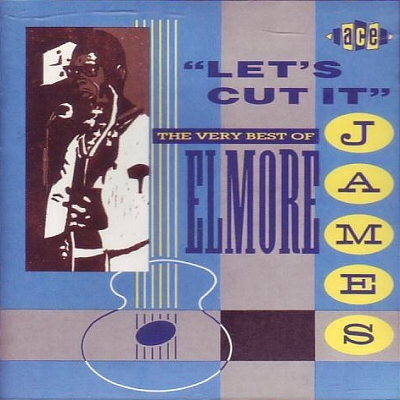 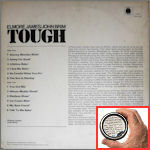 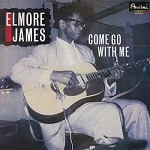 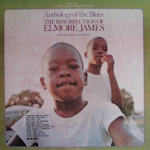 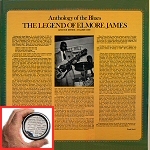 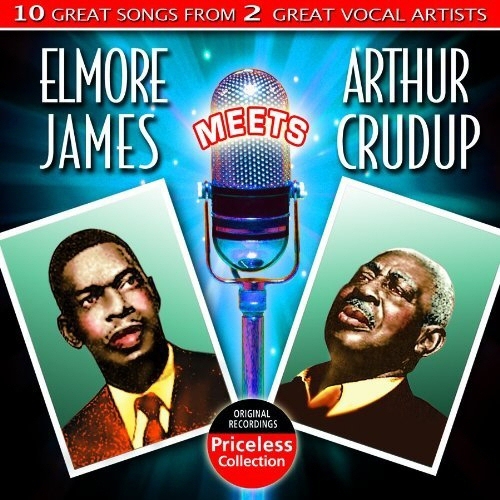 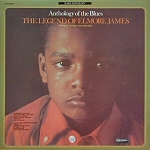 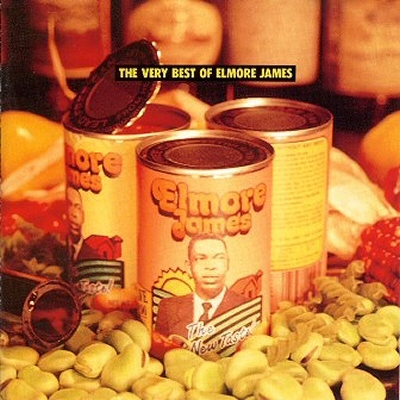 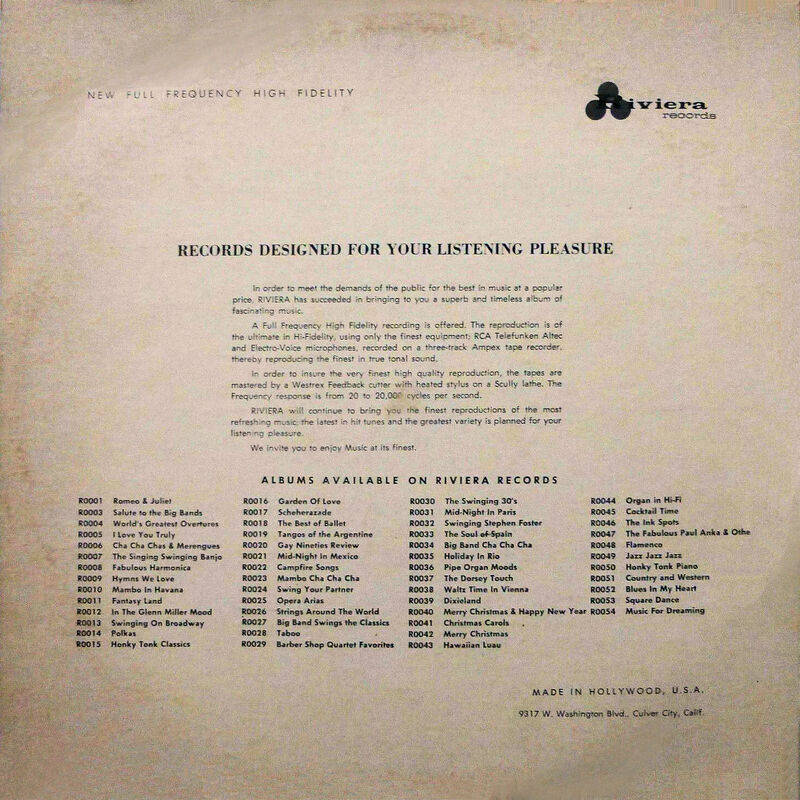 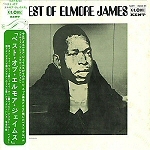 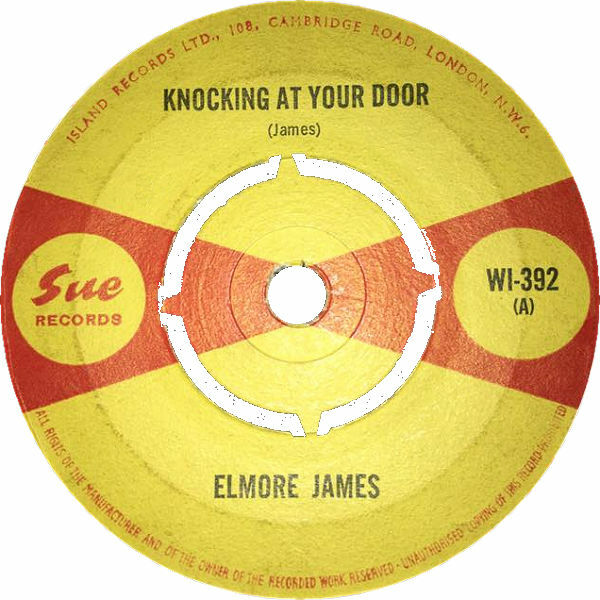 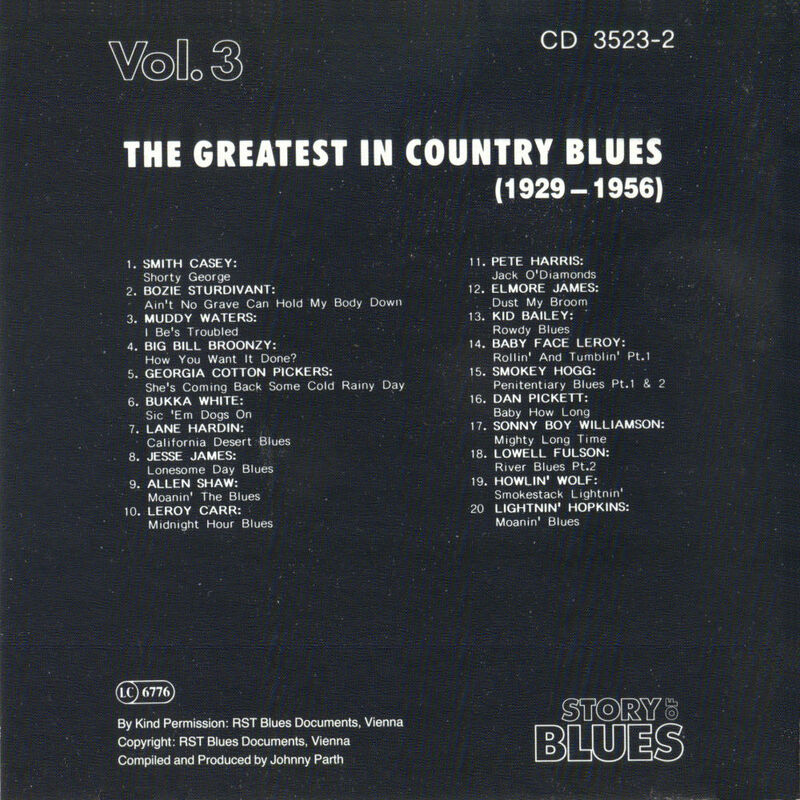 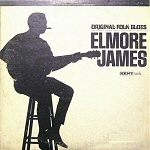 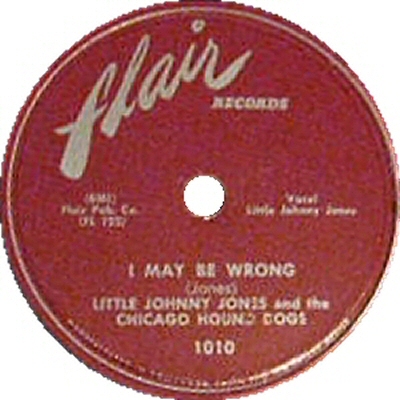 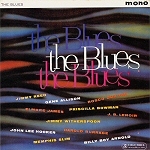 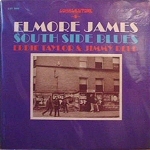 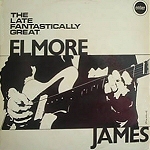 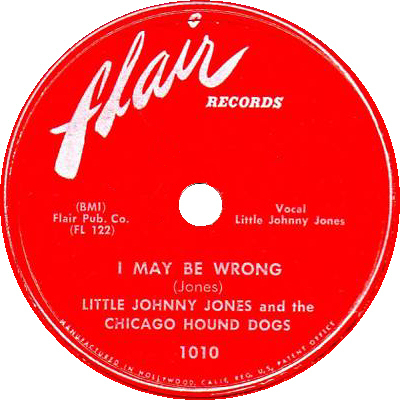 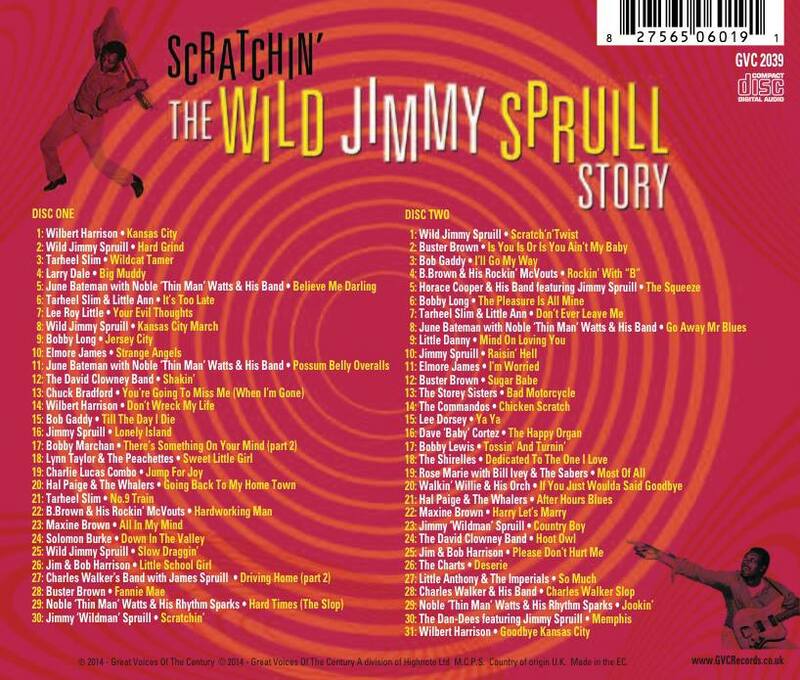 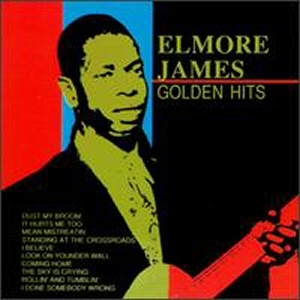 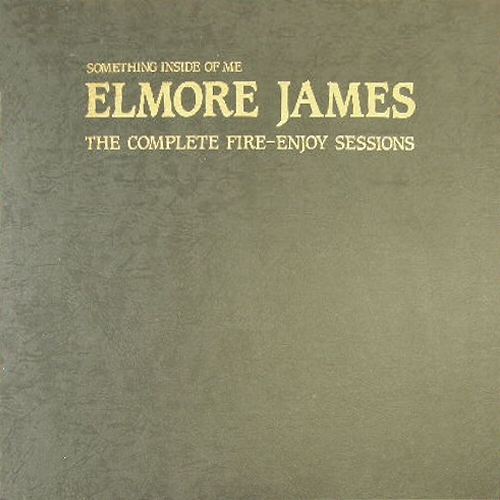 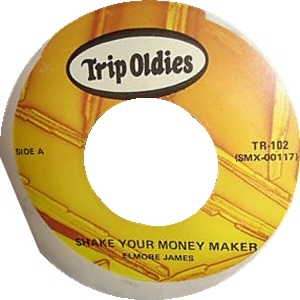 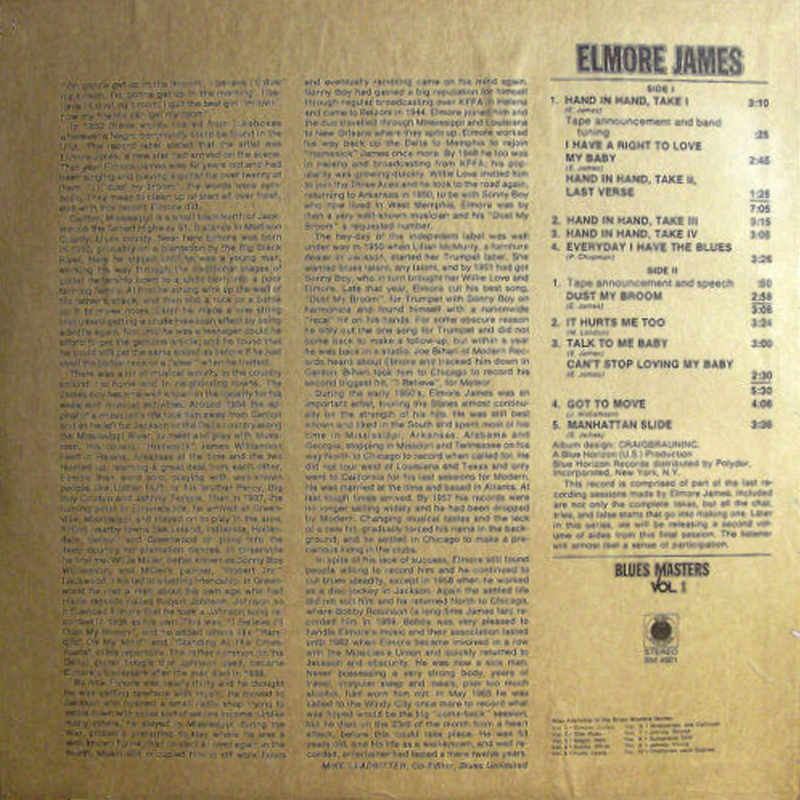 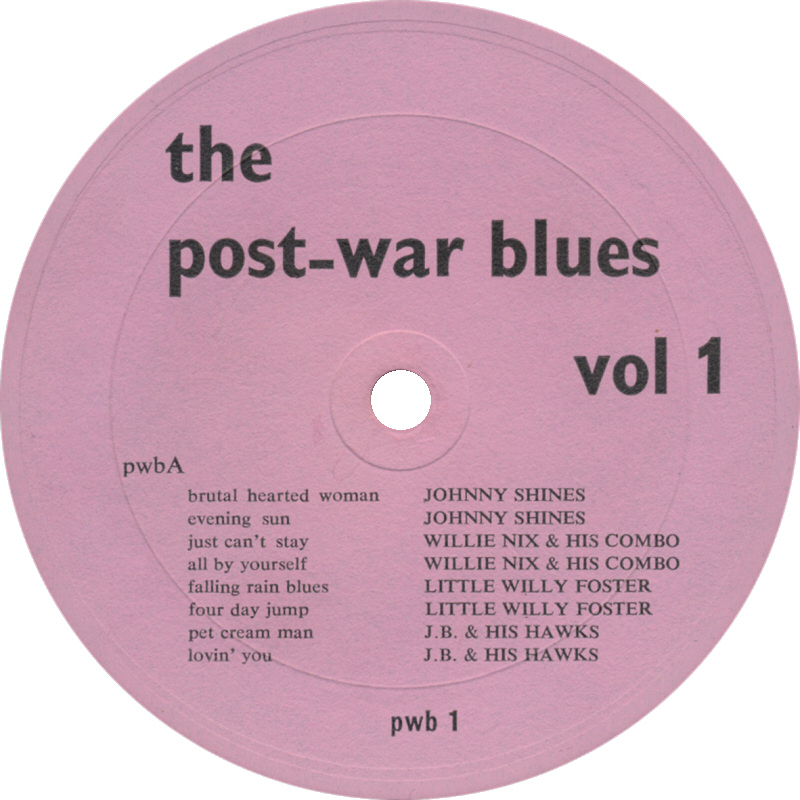 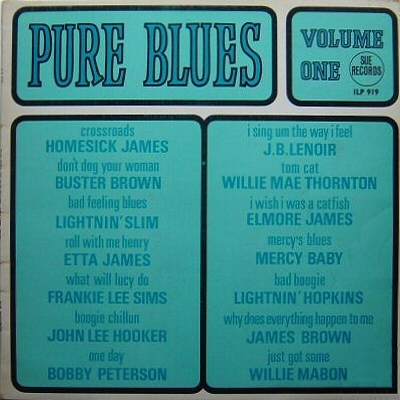 containing only one (or two ;-) Elmore James track(s) !!! 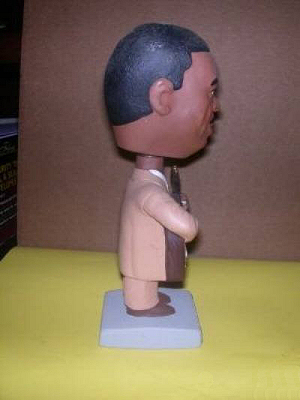 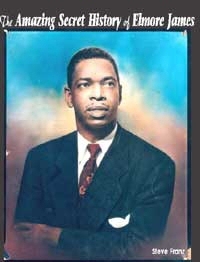 From the auction description: "In May of 2005 my aunt Mattie James Grandberry died as the victim of a horrific crime. 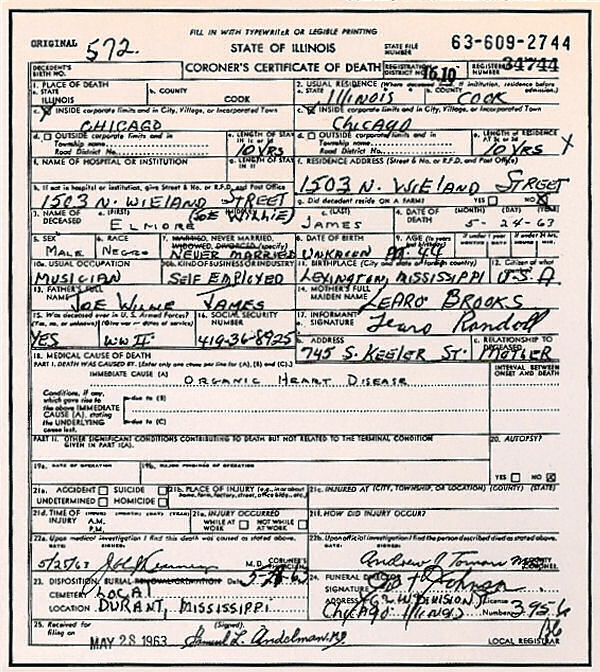 She was brutally murdered by a woman (Barbara Cummings) who she allowed to live with while she got back on her feet. 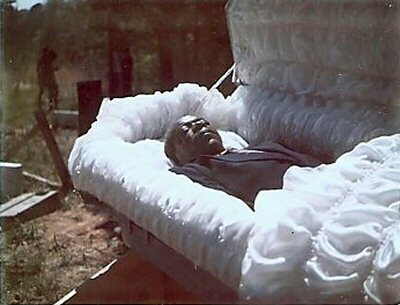 After her death I had the responsibility of cleaning the house while the family decided what to do it. 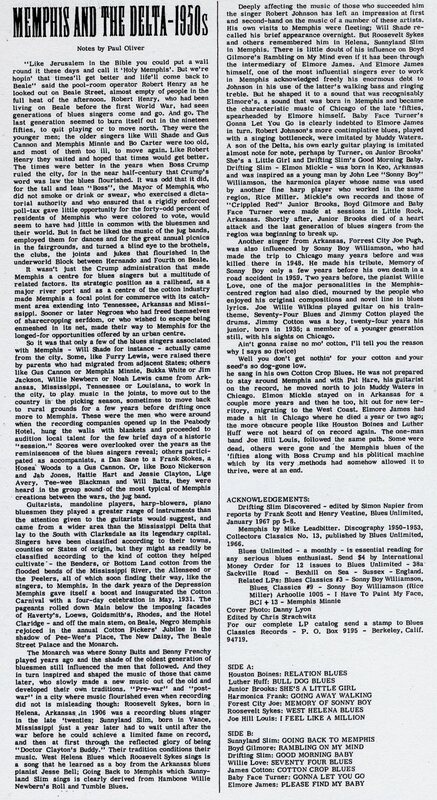 At that time family members told me that prior to her last Marriage to a Minister and Pastor W.A. 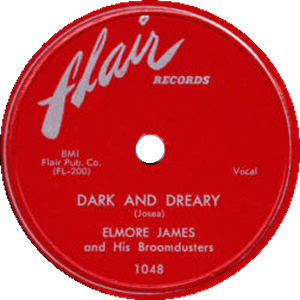 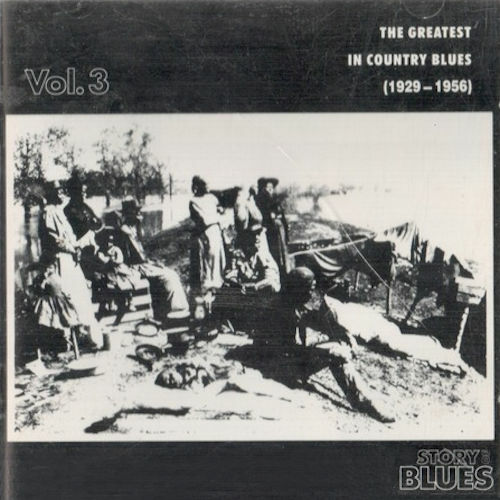 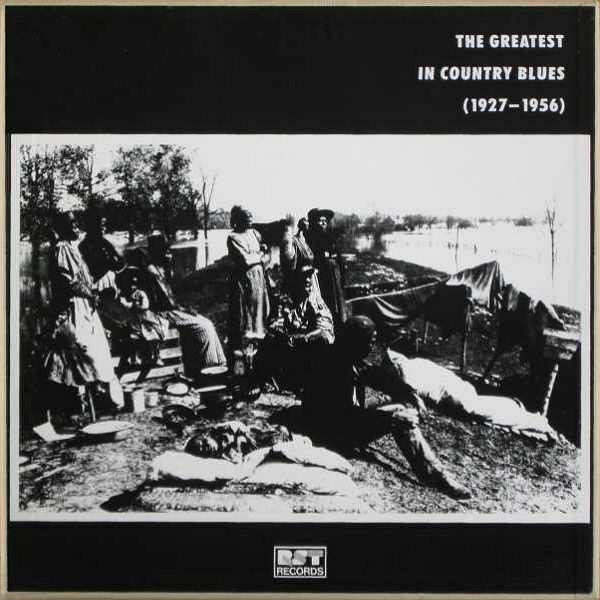 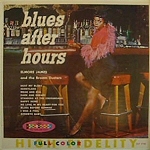 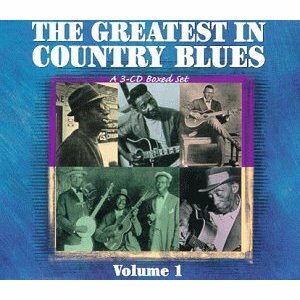 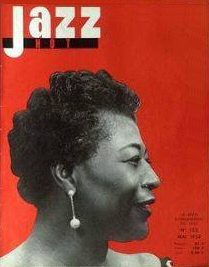 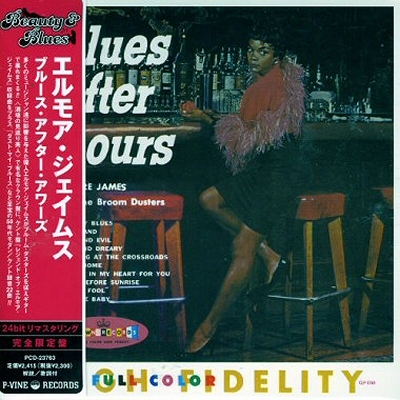 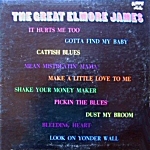 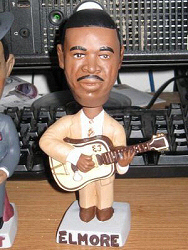 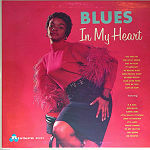 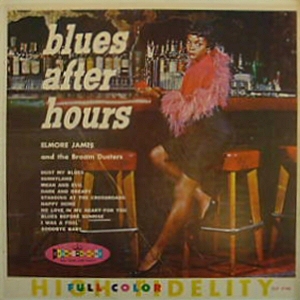 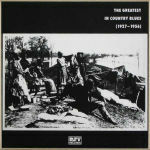 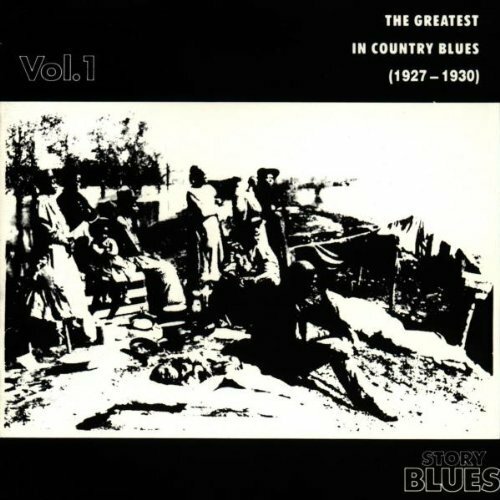 Grandberry my aunt in her youth had been married a famous blues singer named Elmore James. 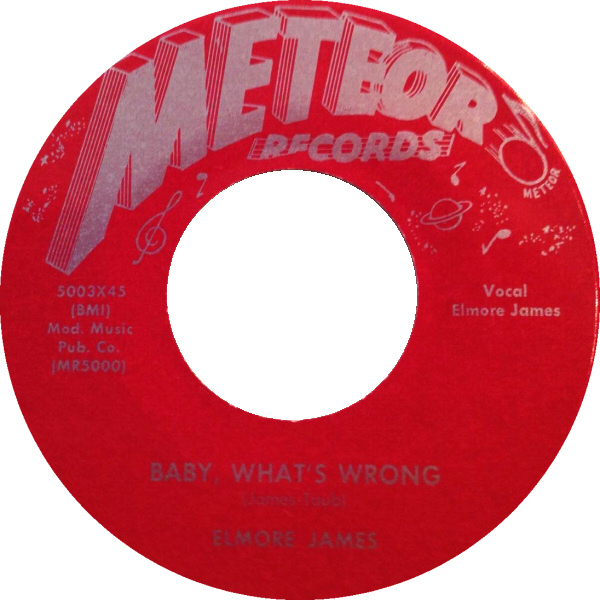 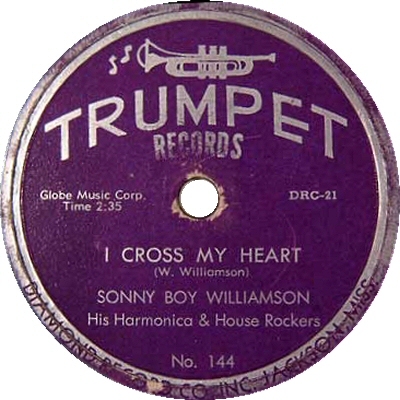 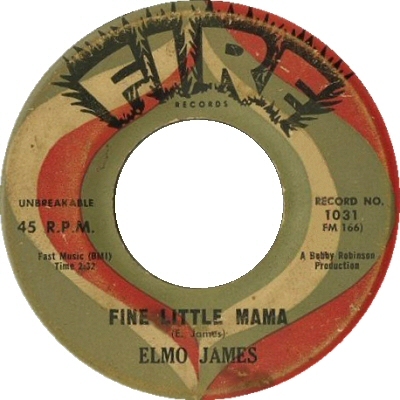 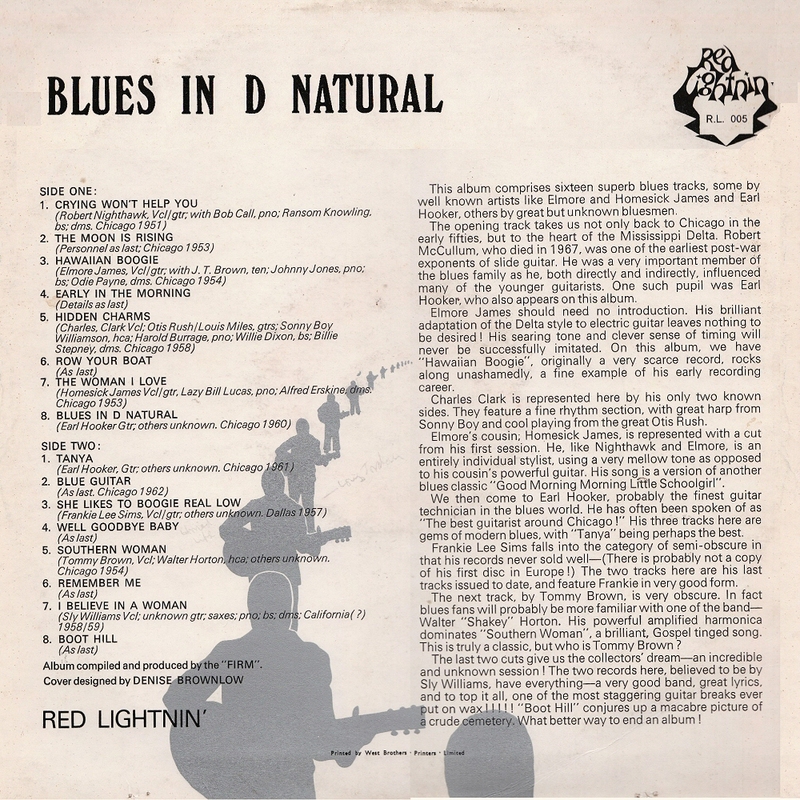 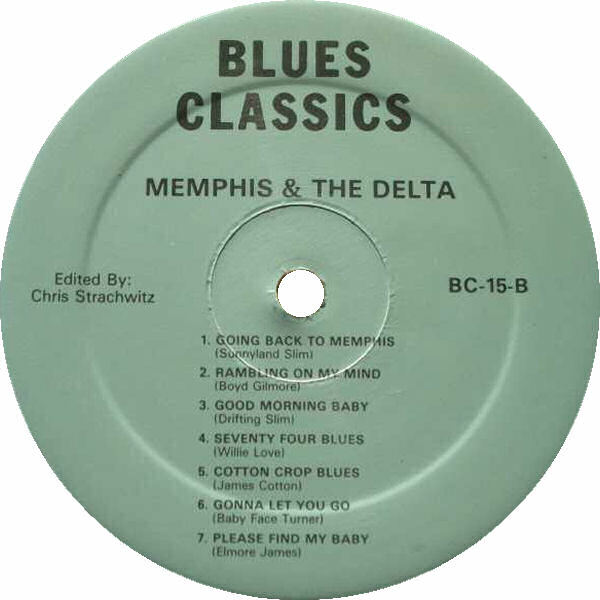 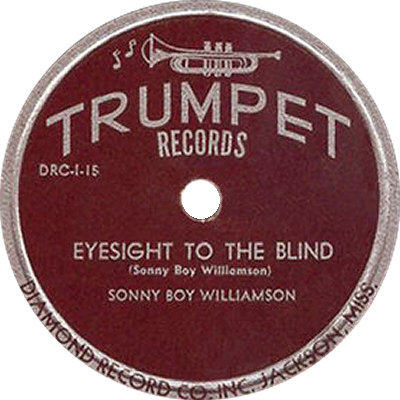 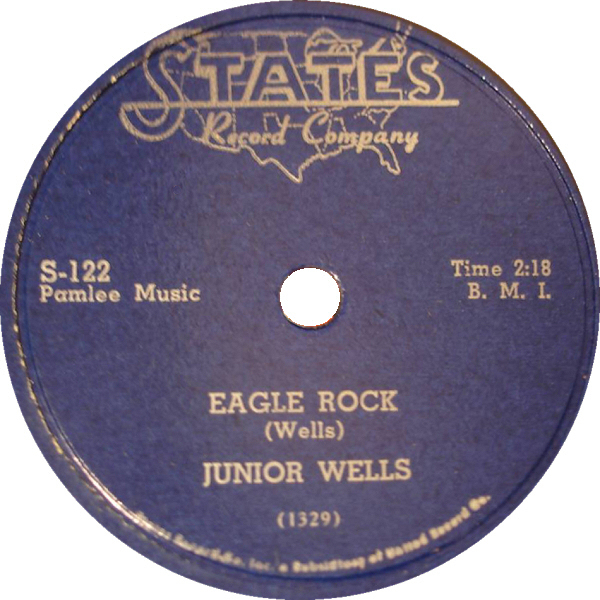 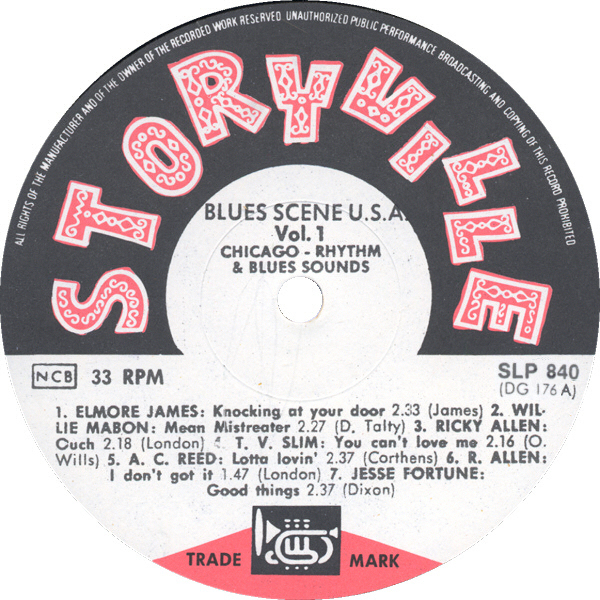 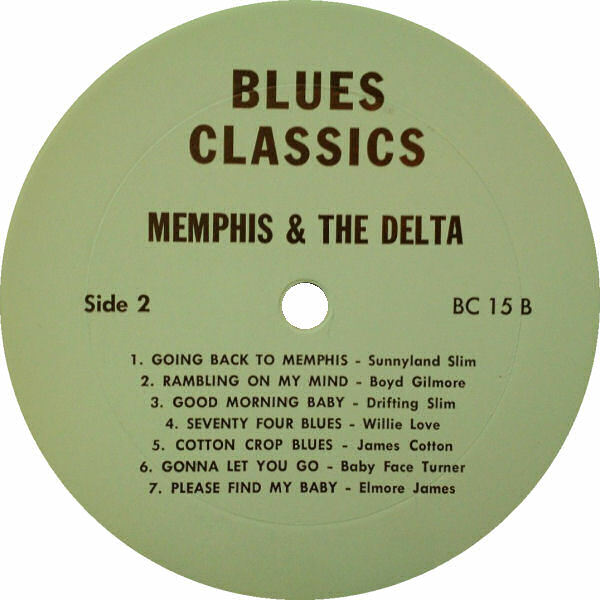 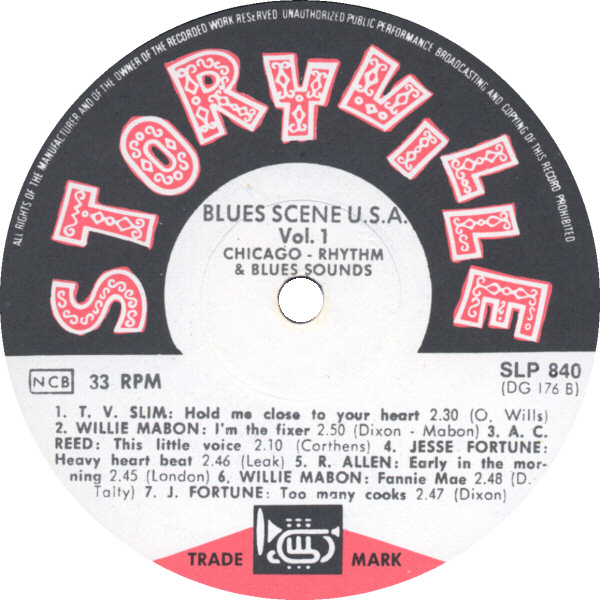 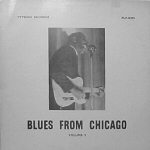 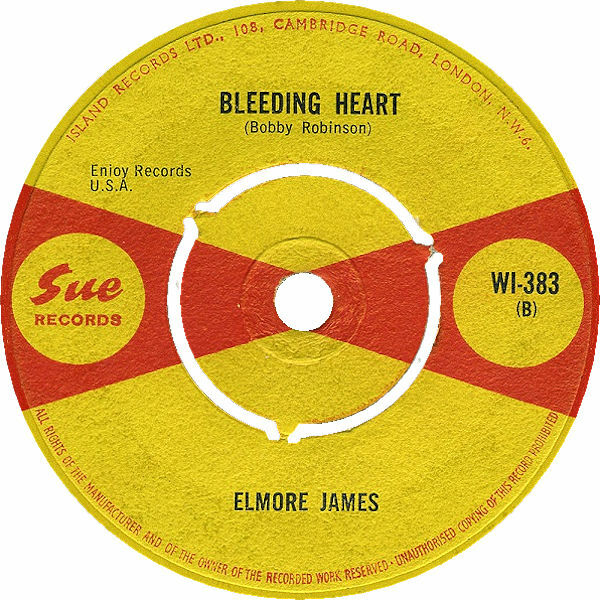 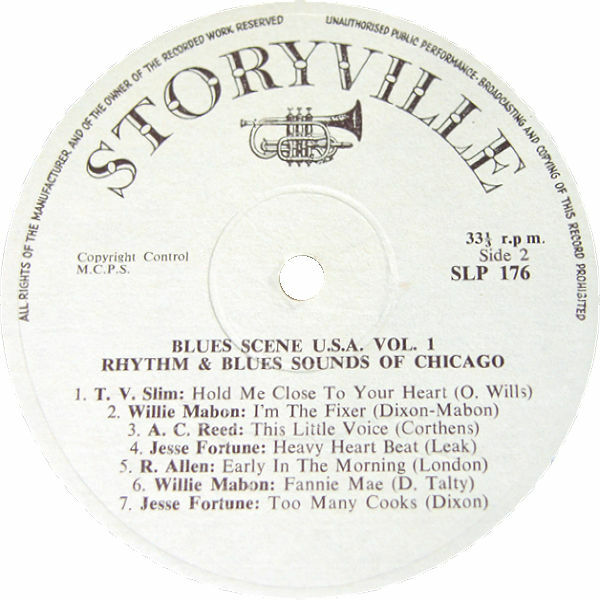 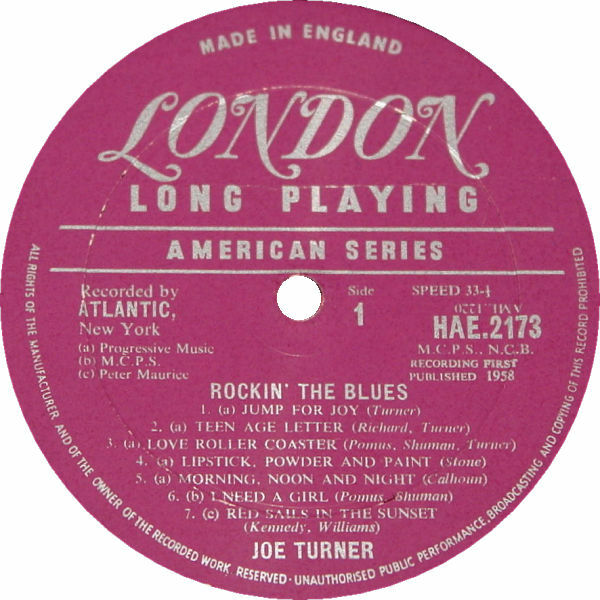 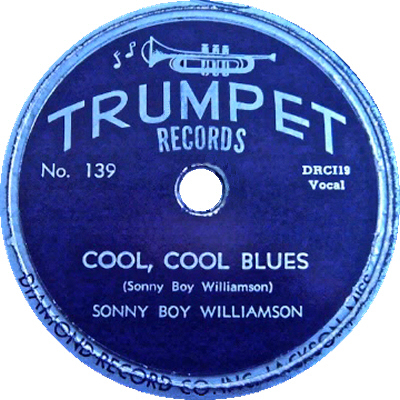 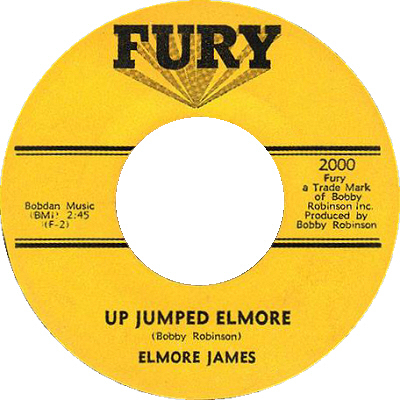 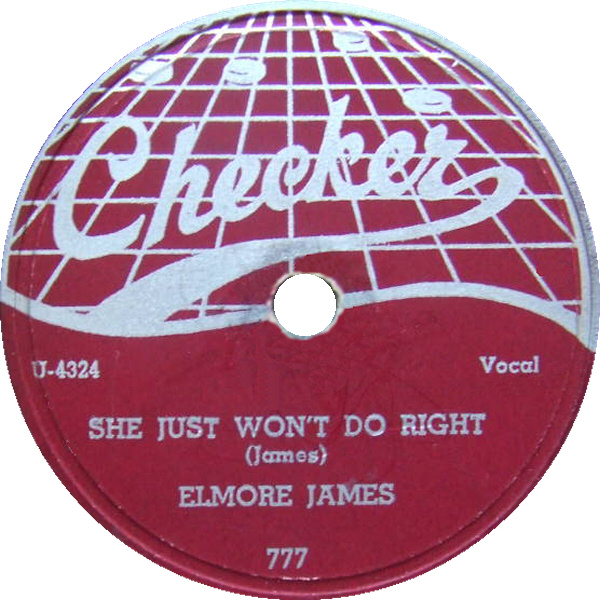 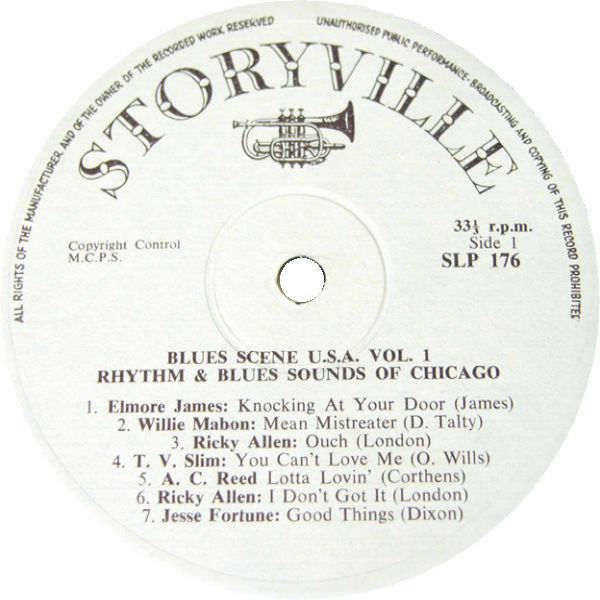 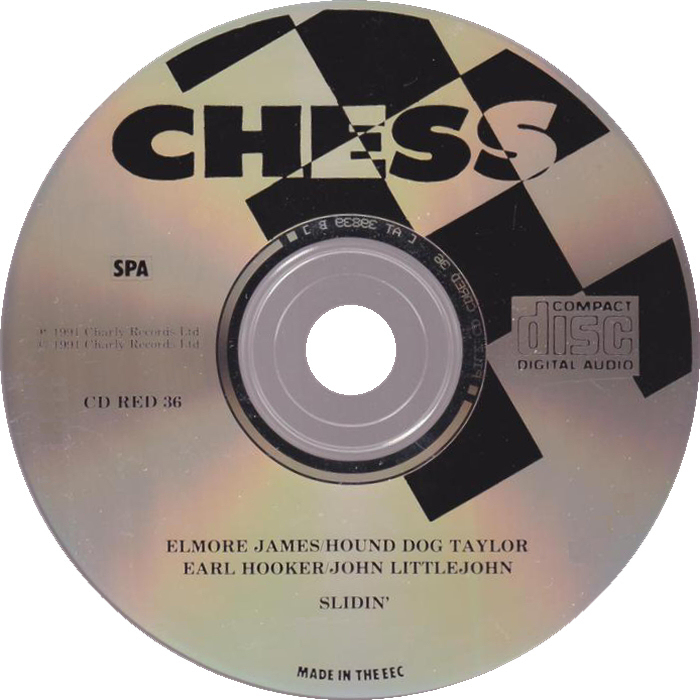 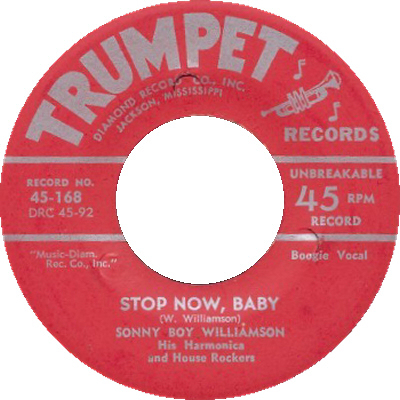 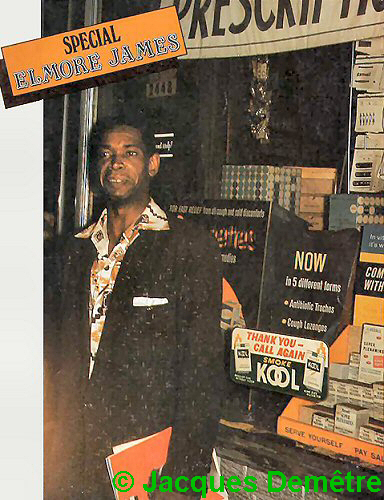 At the time I had no knowledge of Elmore James so I decided just to find and gather what I could and would do some research later. 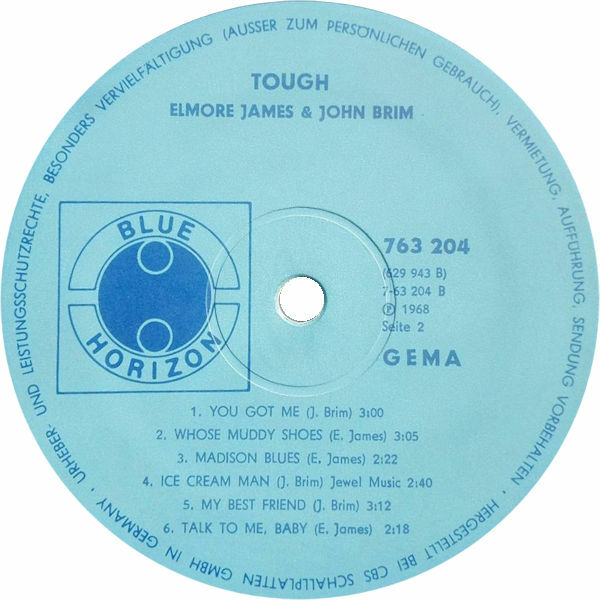 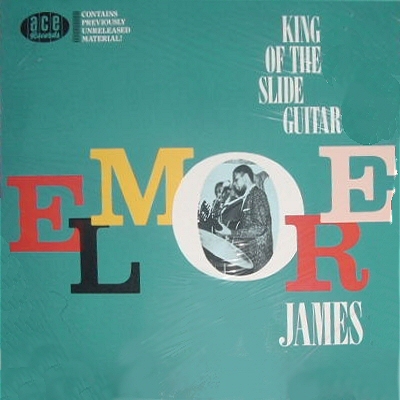 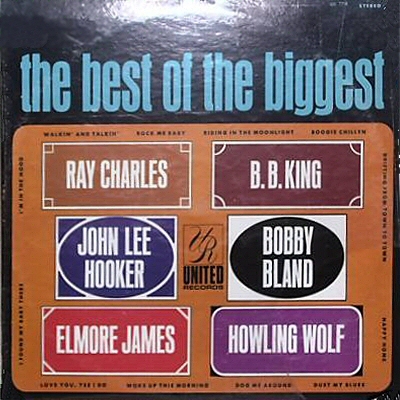 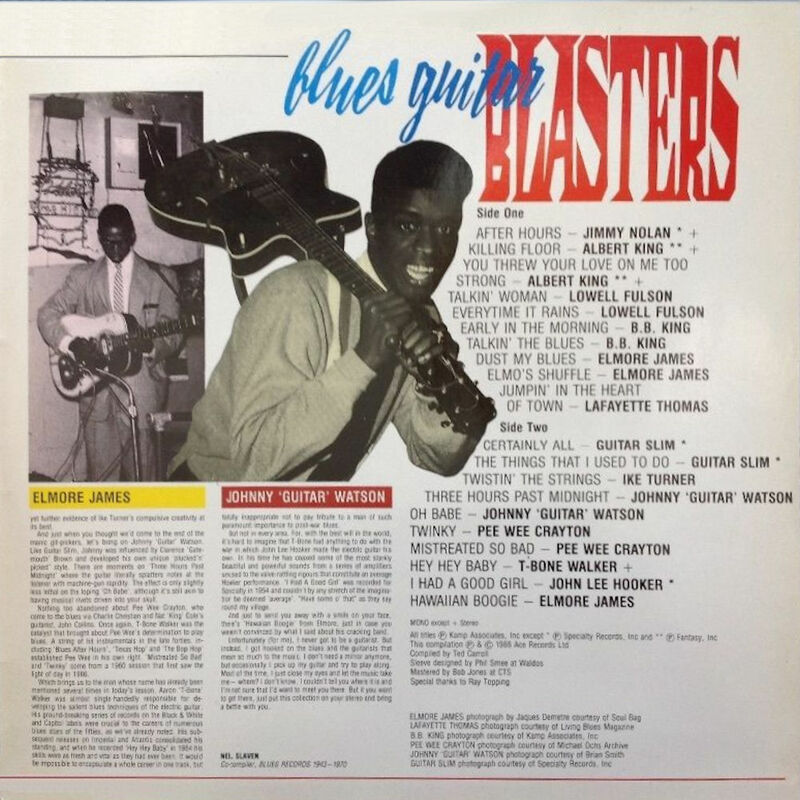 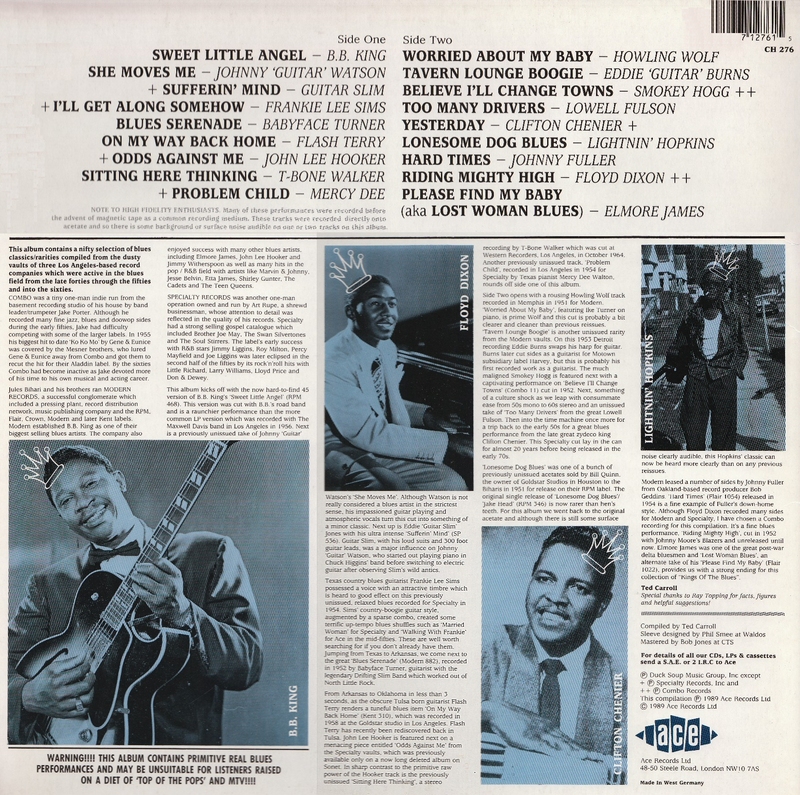 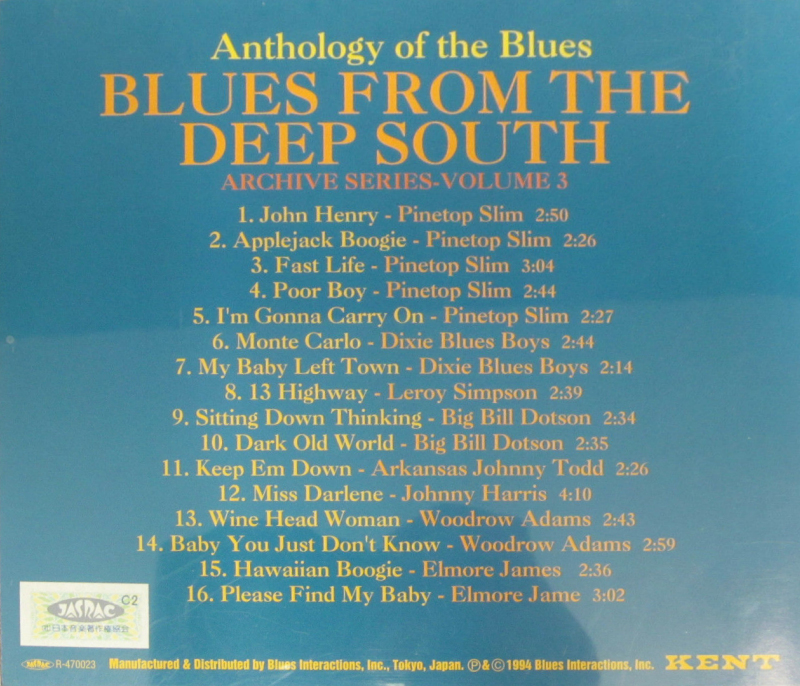 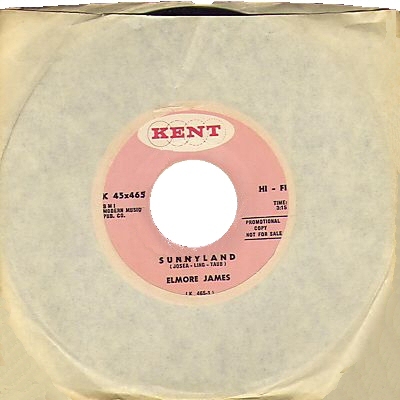 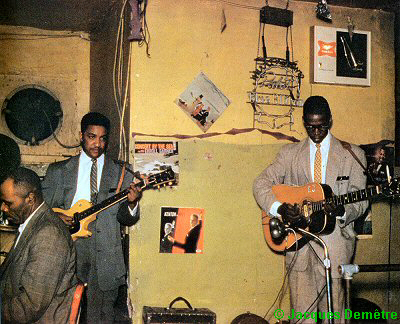 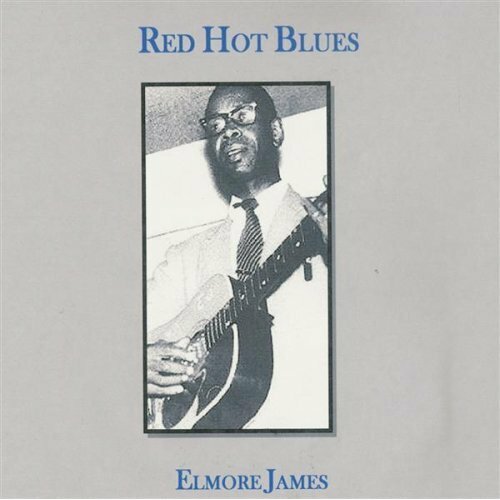 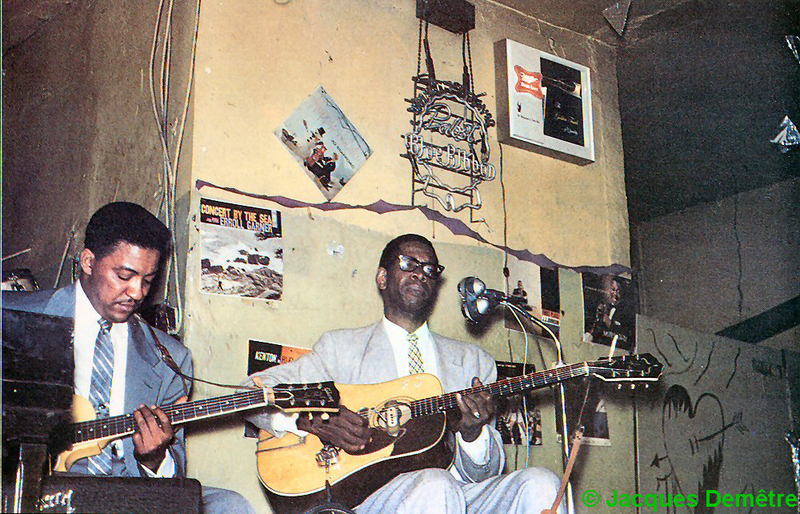 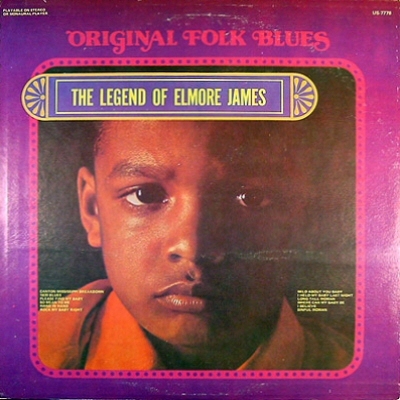 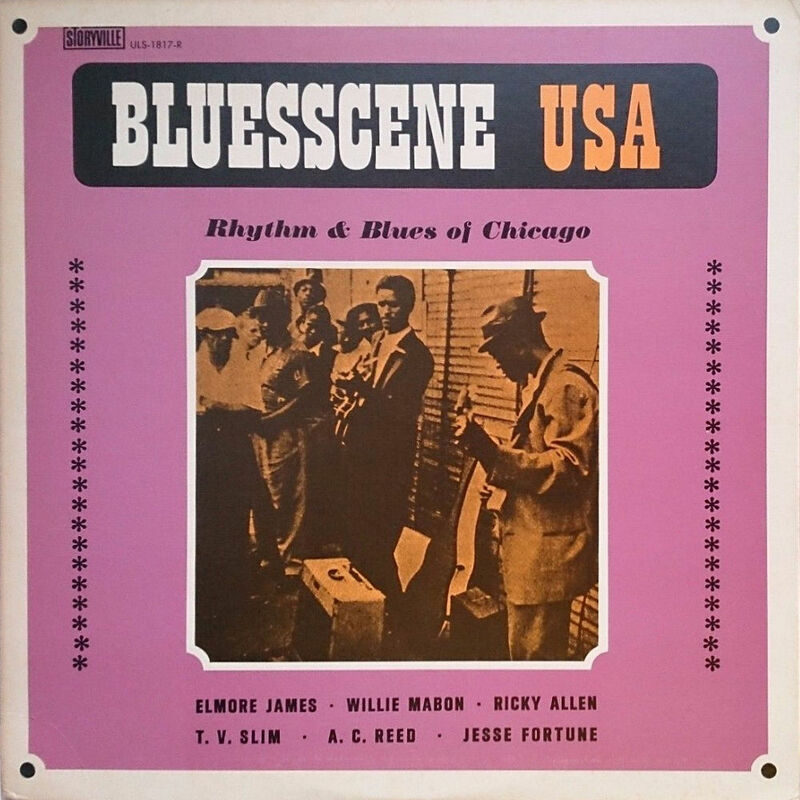 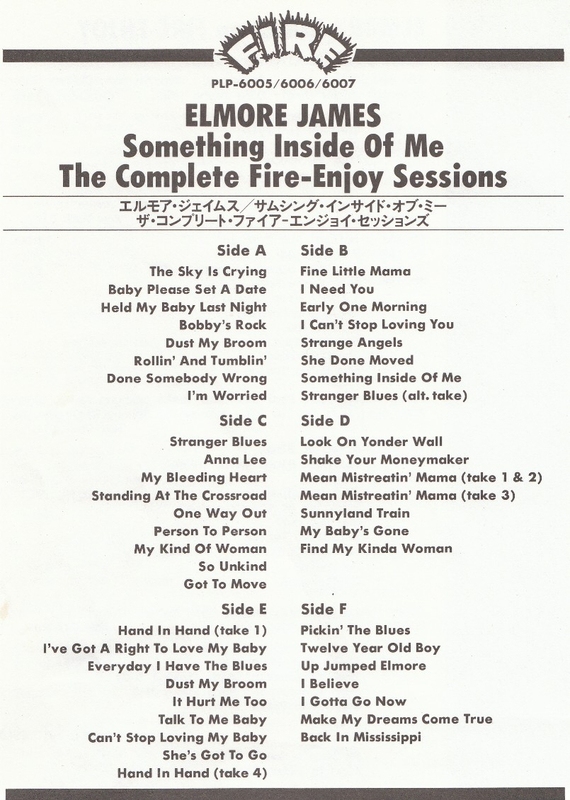 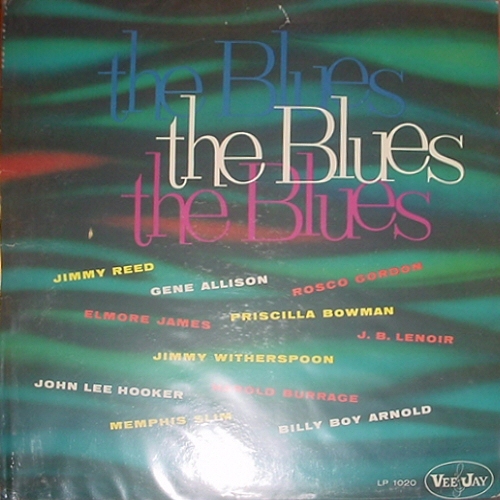 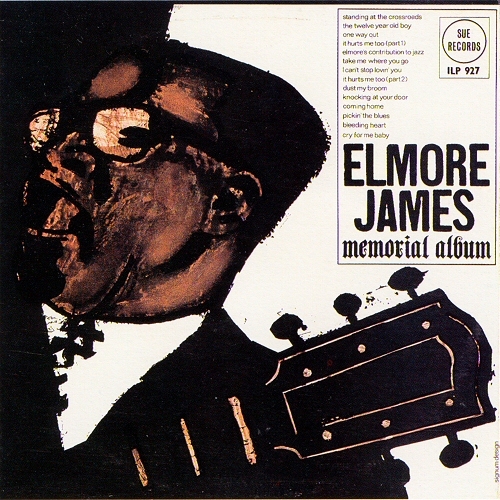 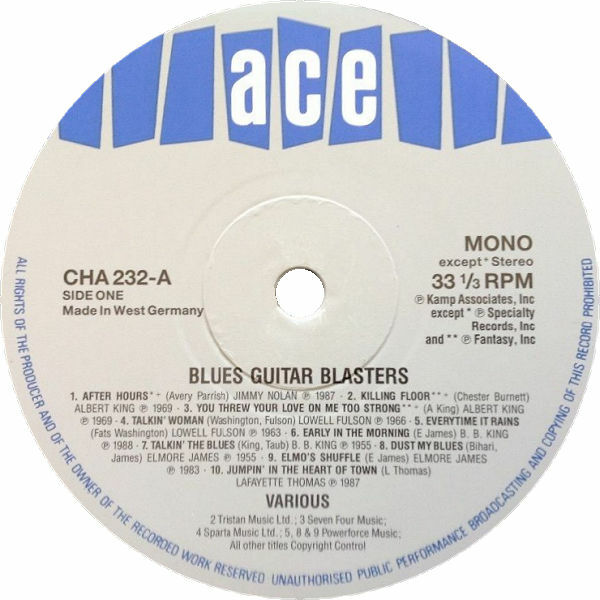 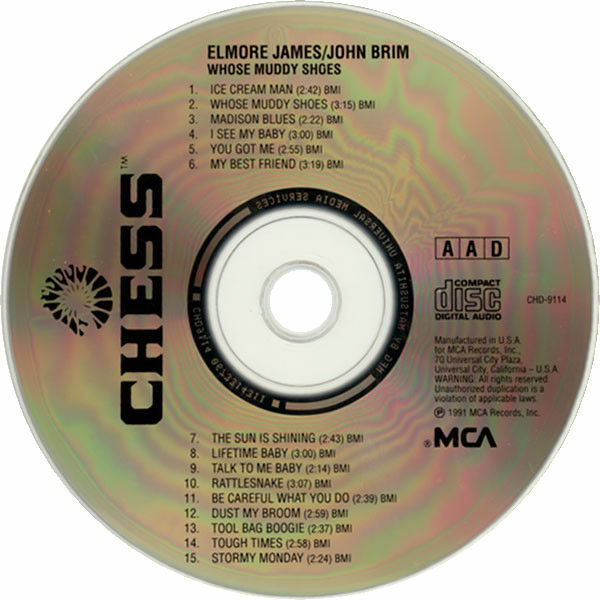 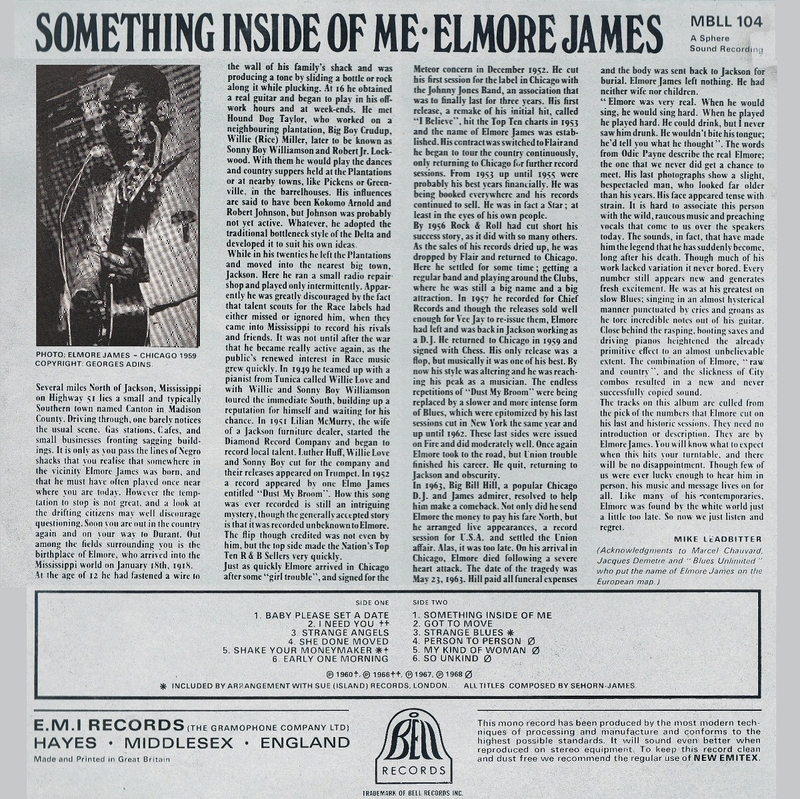 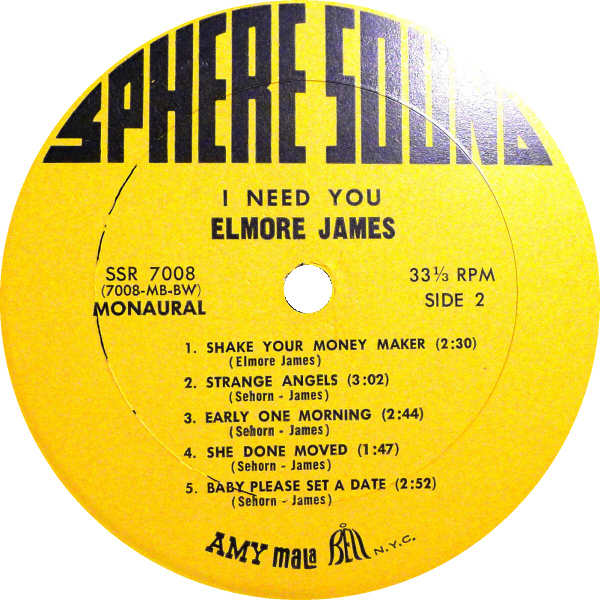 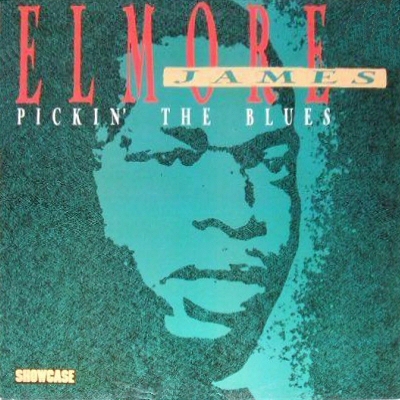 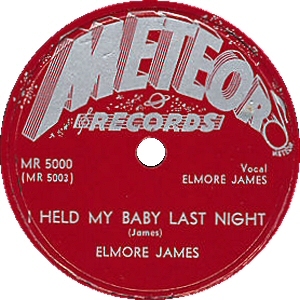 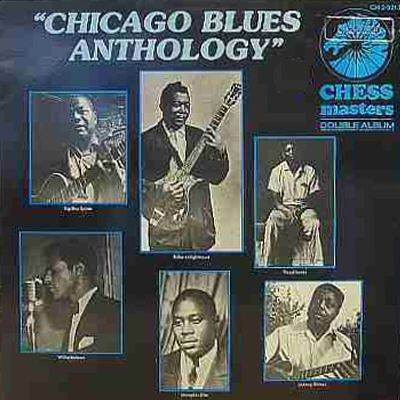 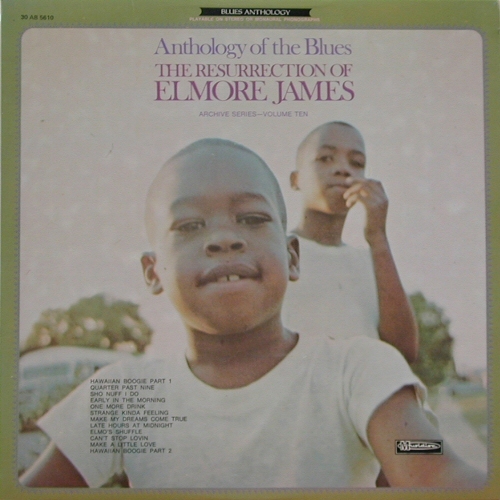 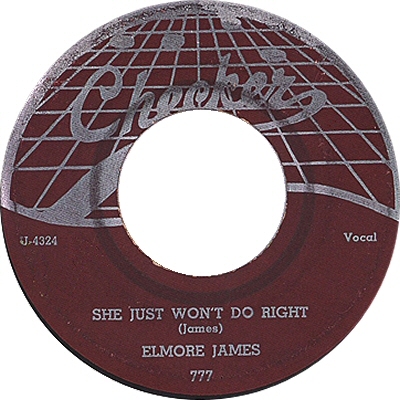 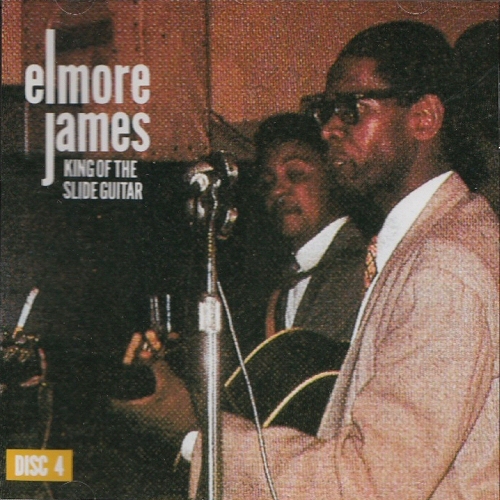 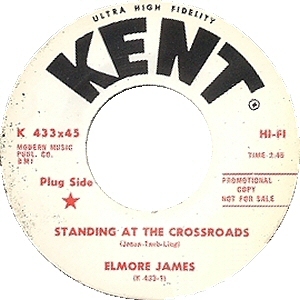 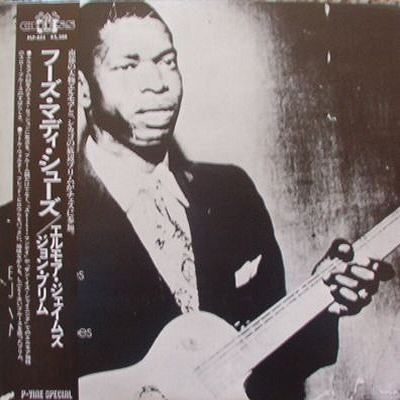 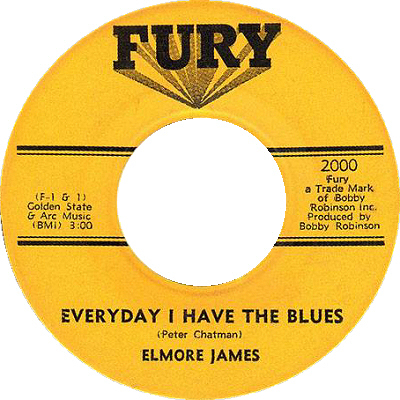 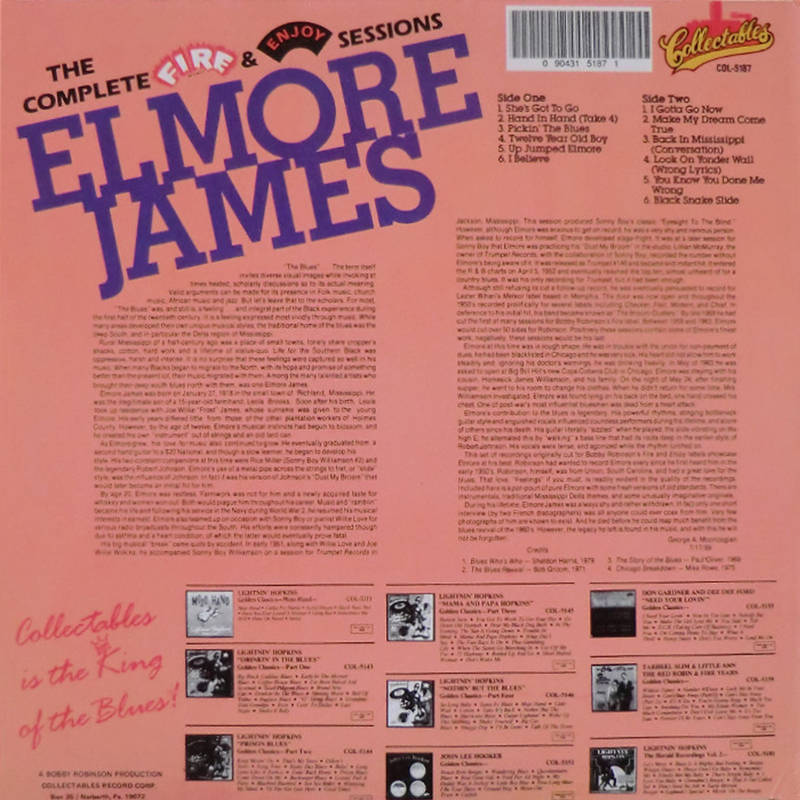 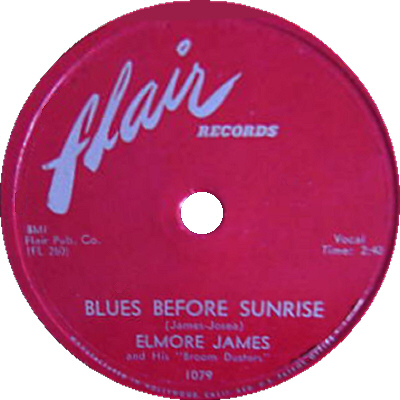 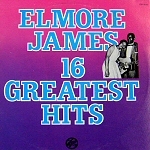 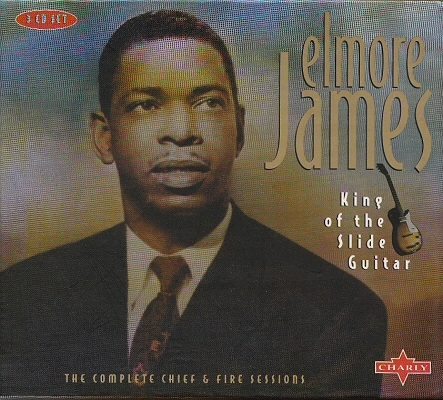 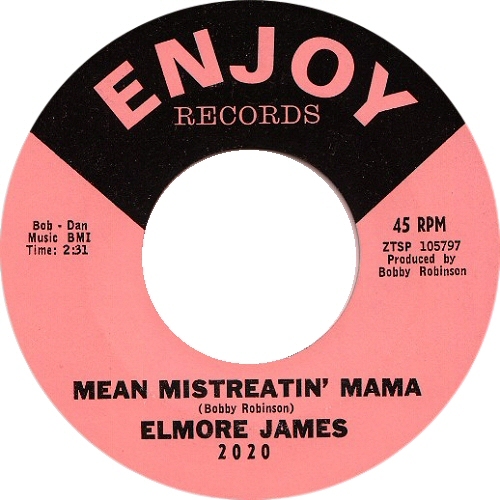 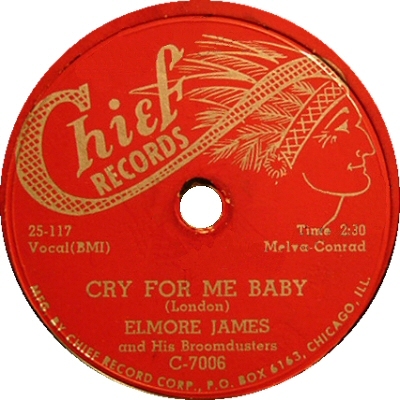 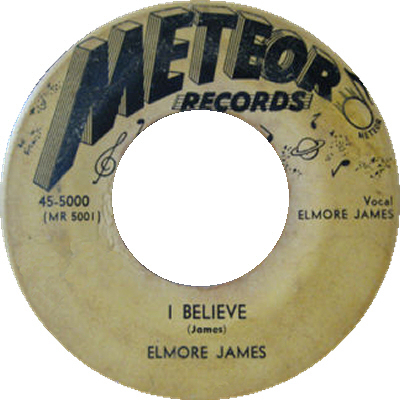 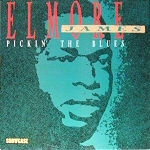 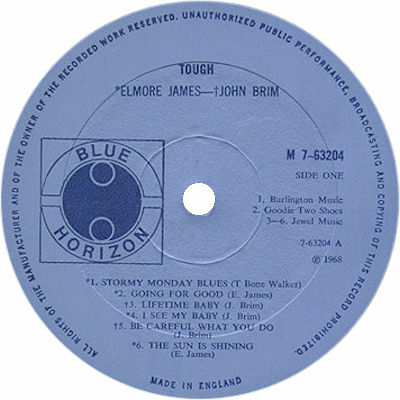 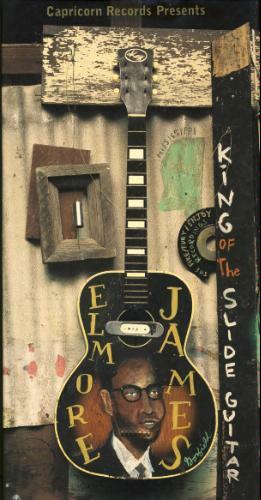 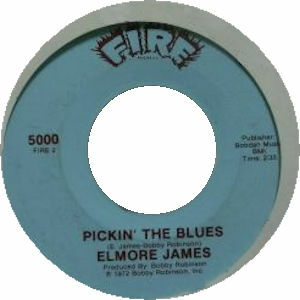 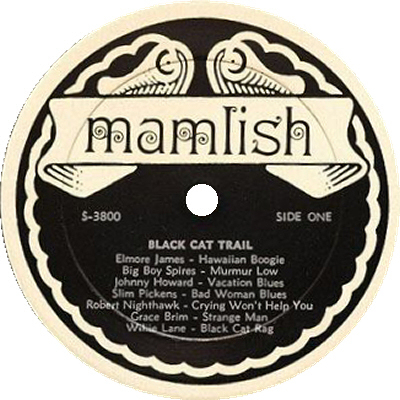 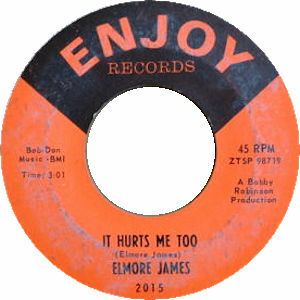 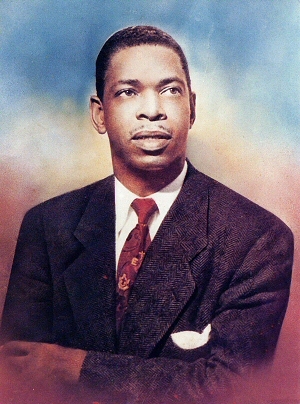 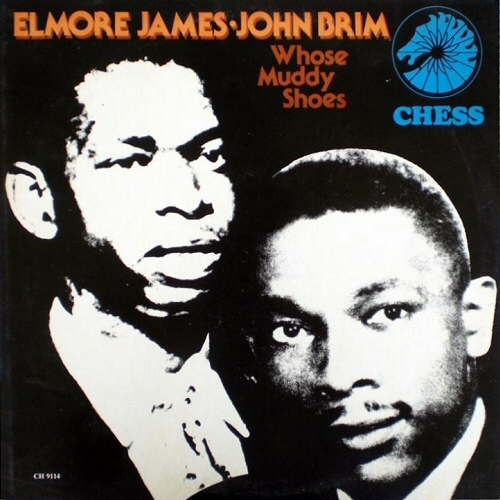 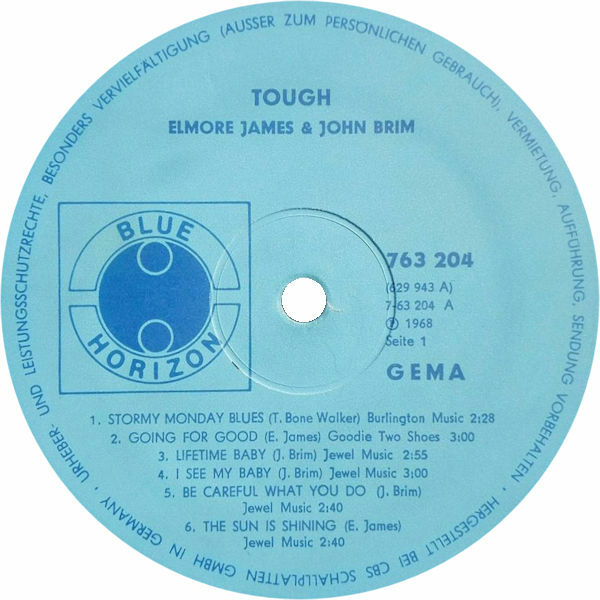 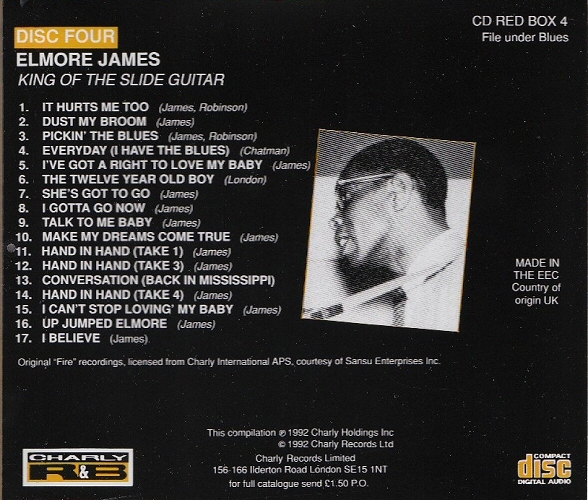 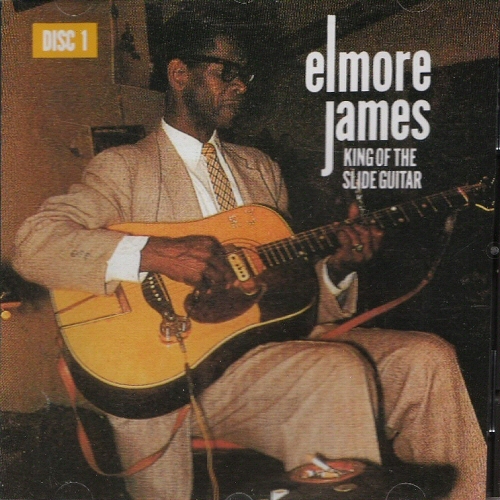 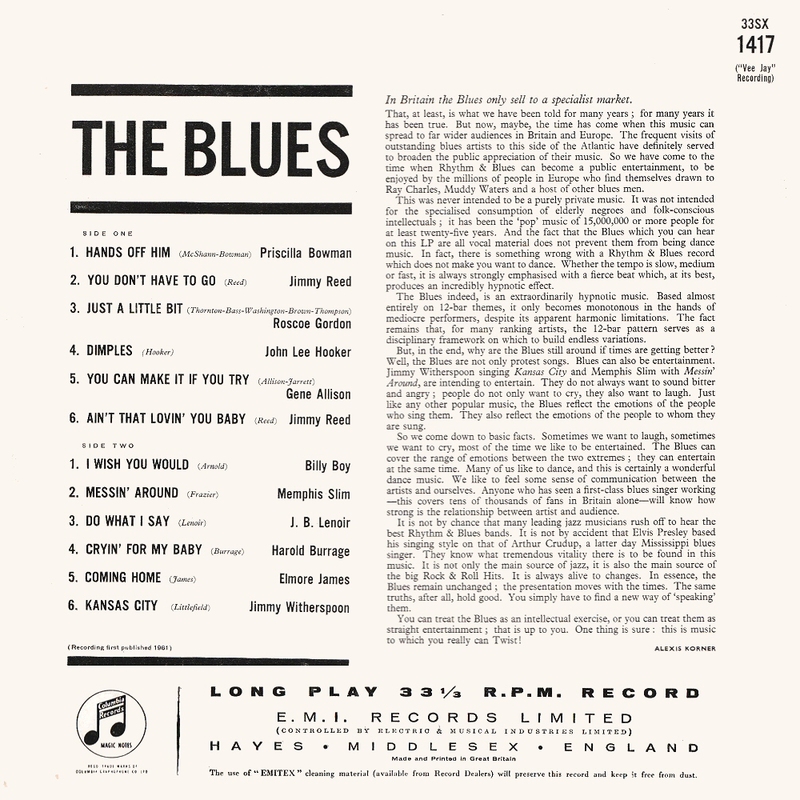 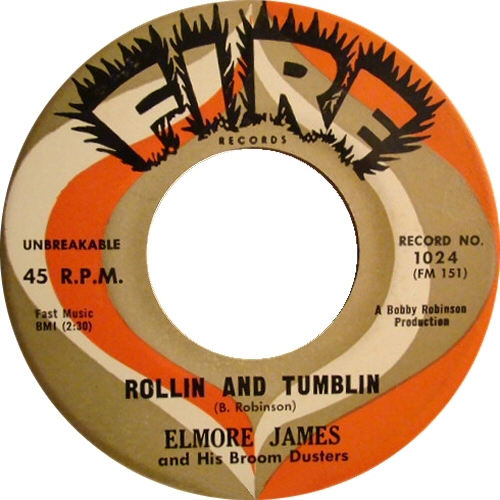 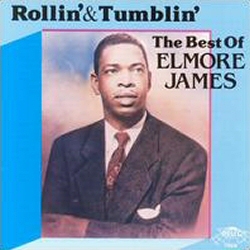 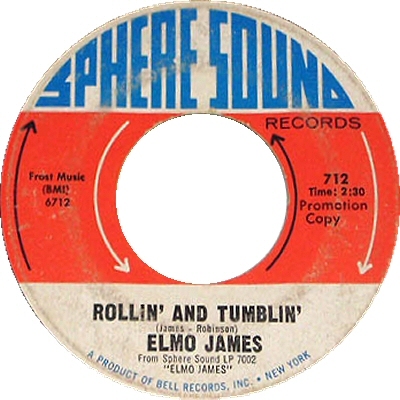 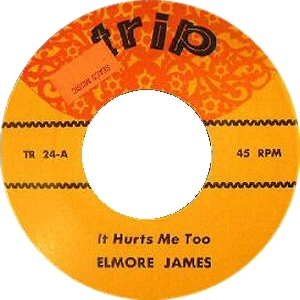 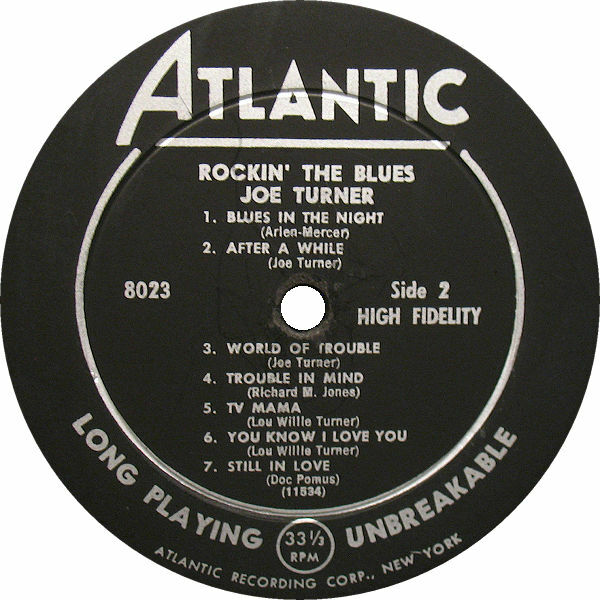 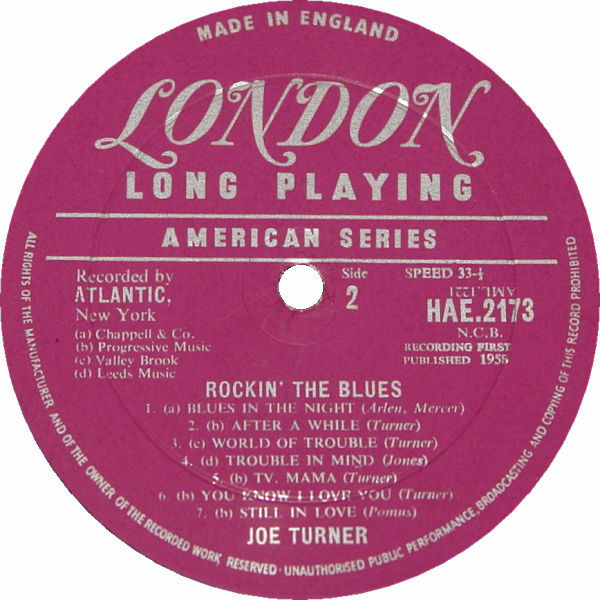 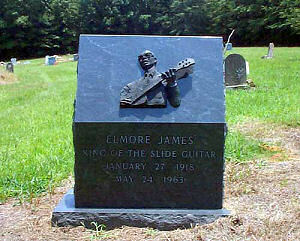 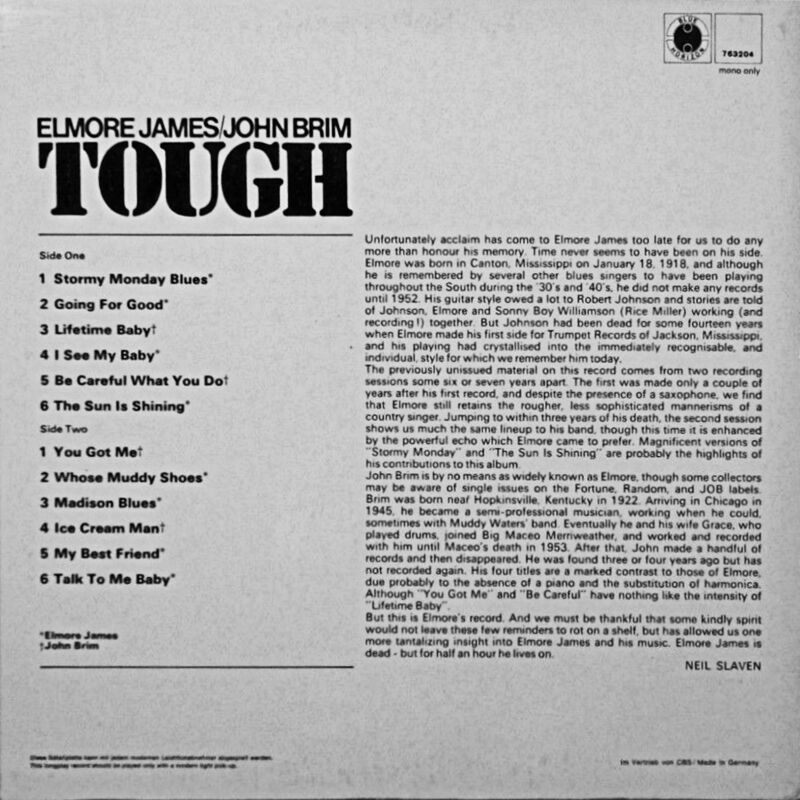 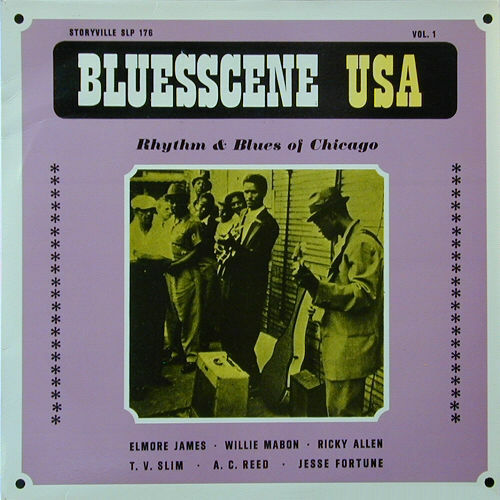 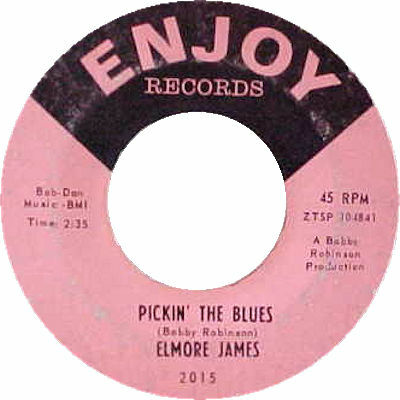 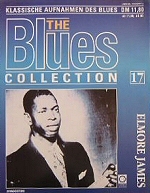 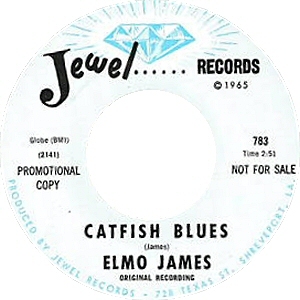 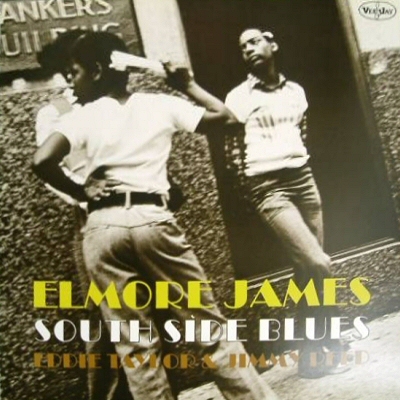 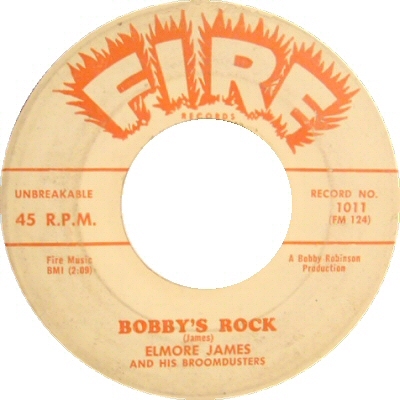 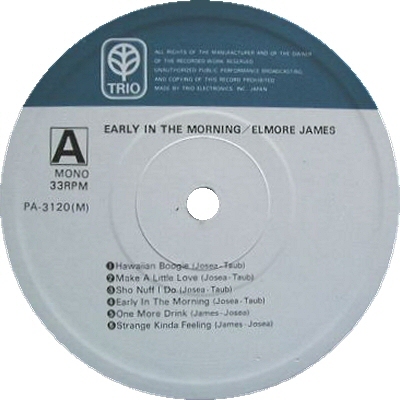 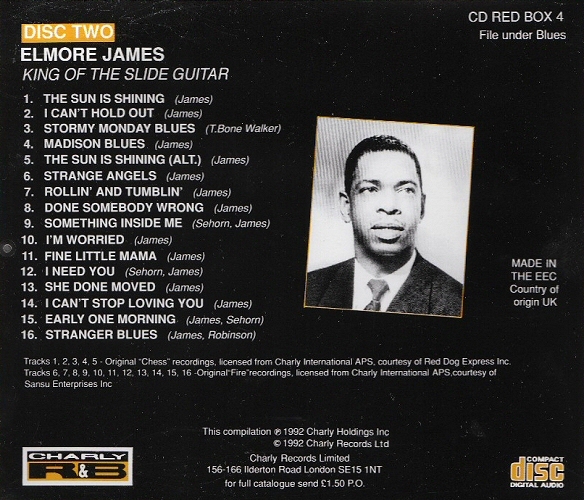 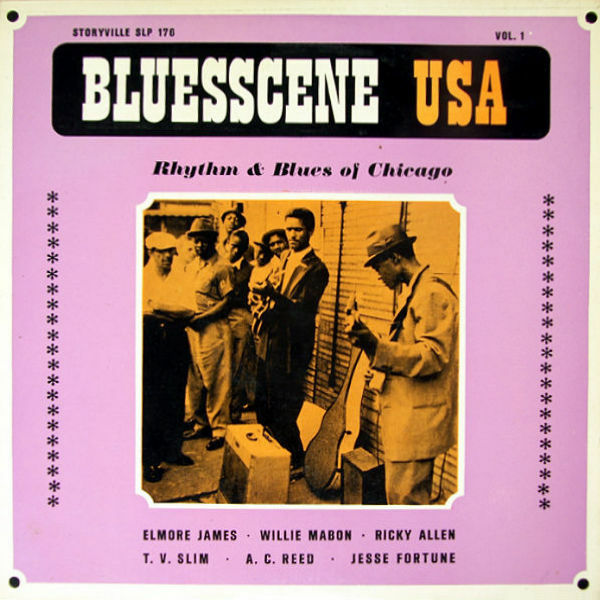 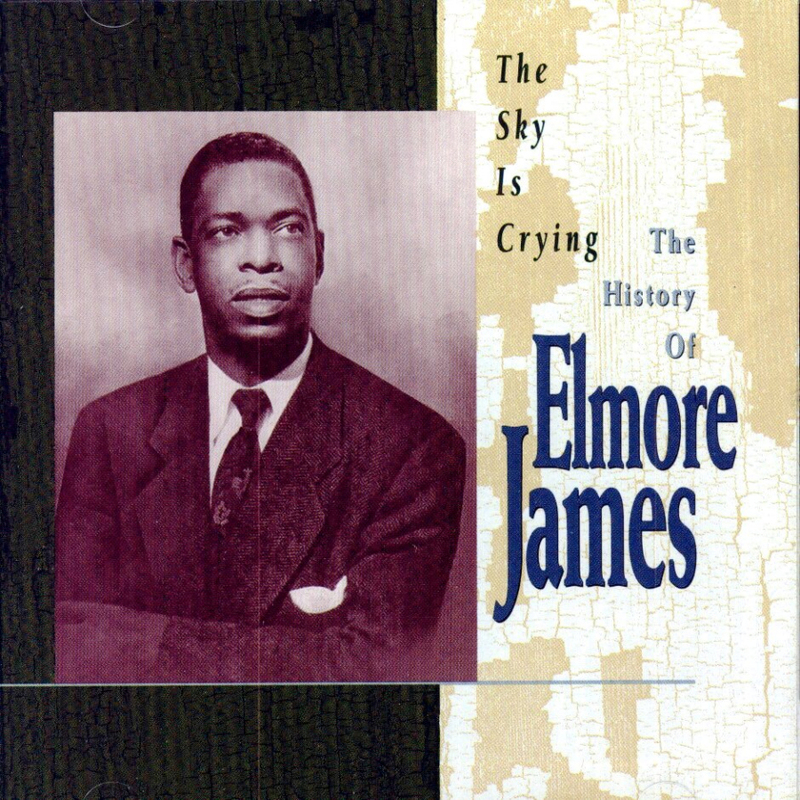 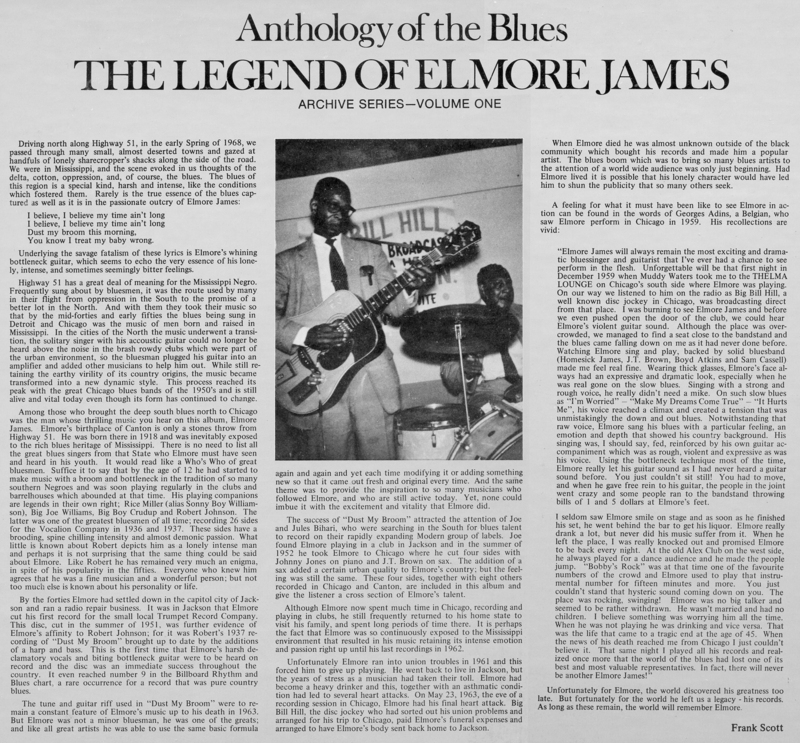 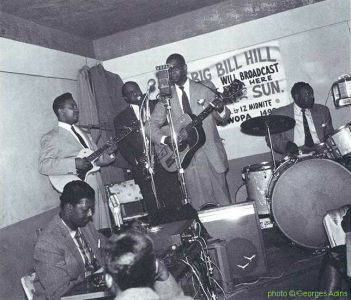 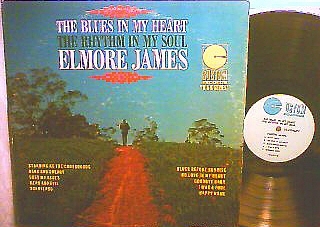 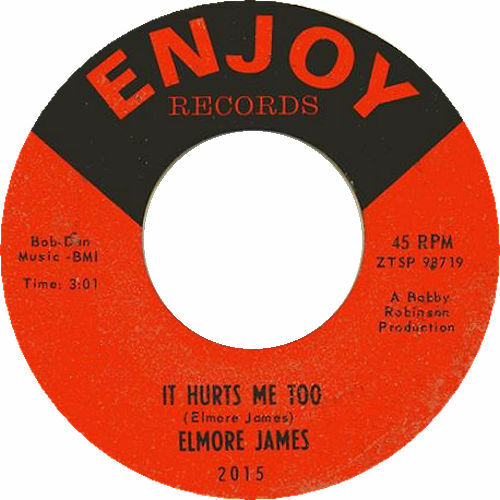 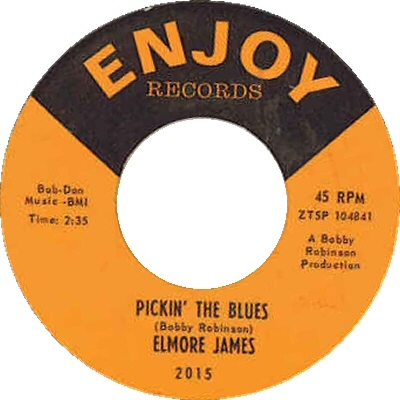 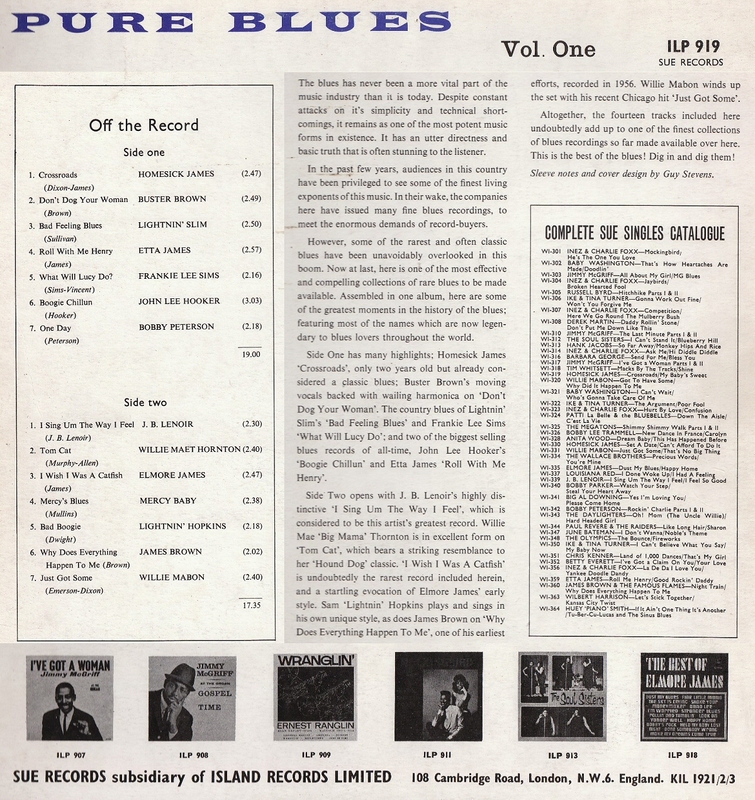 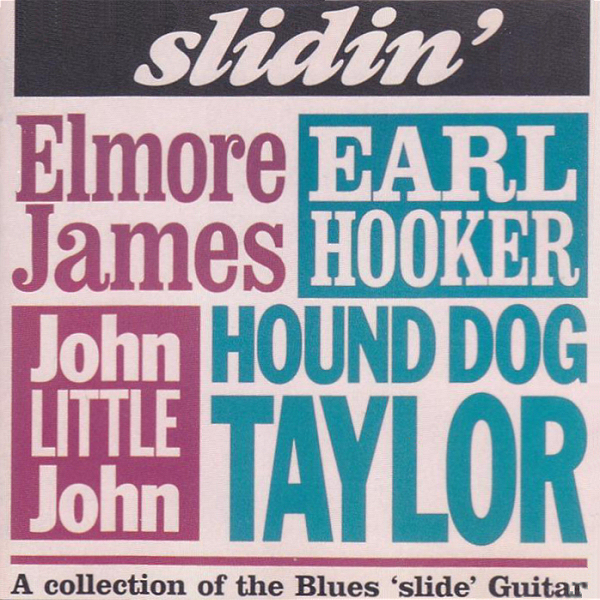 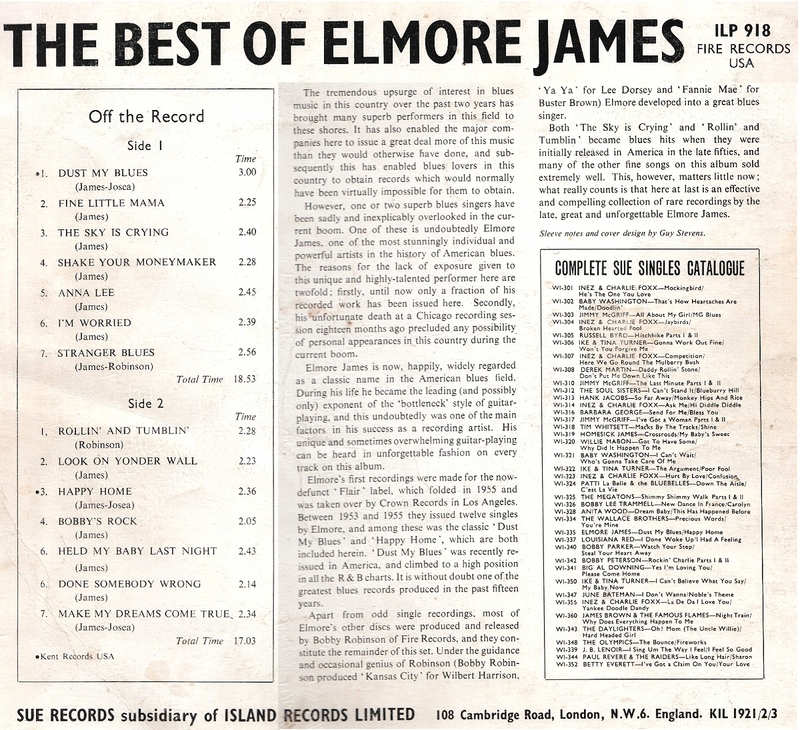 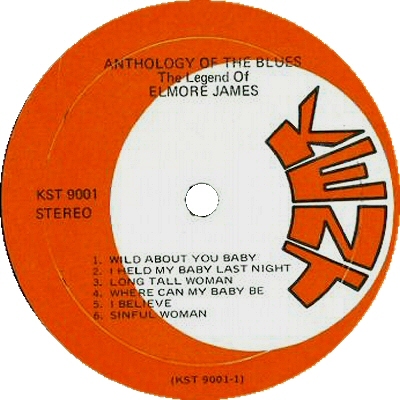 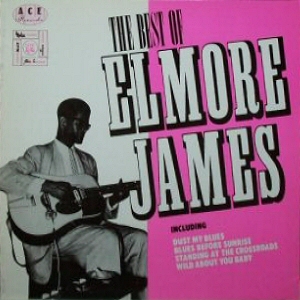 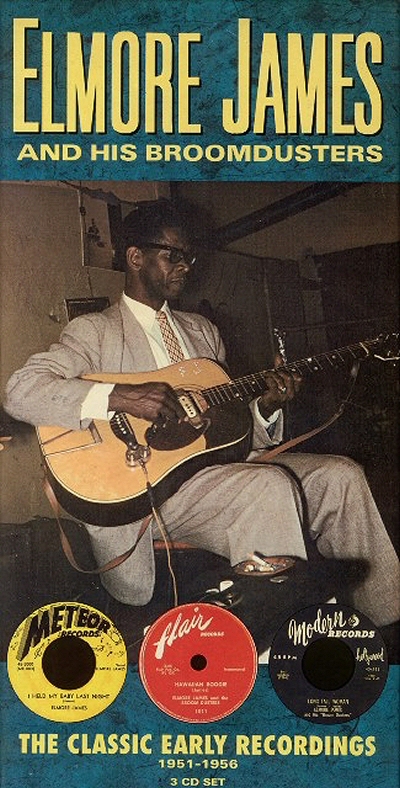 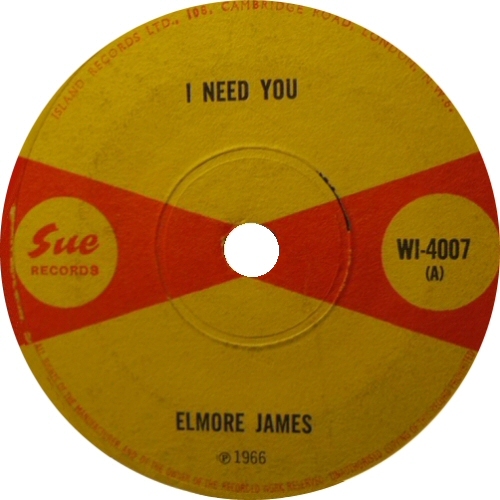 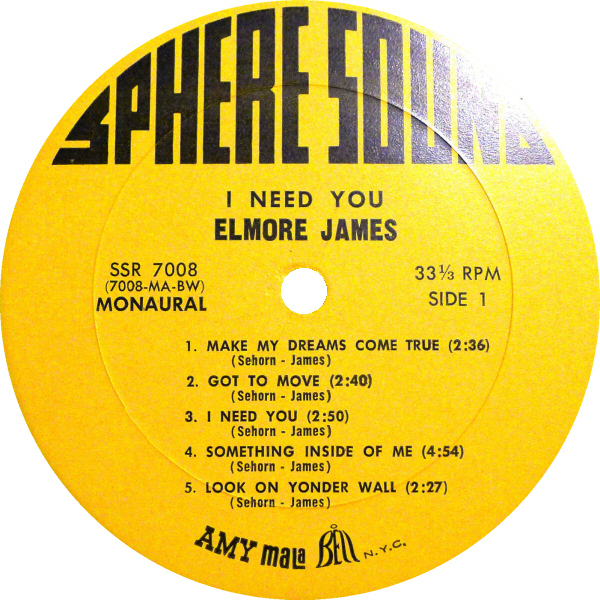 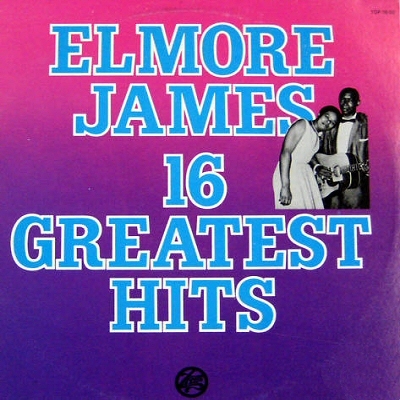 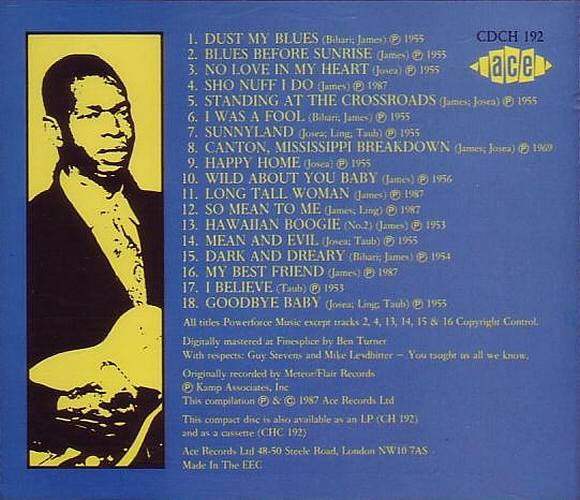 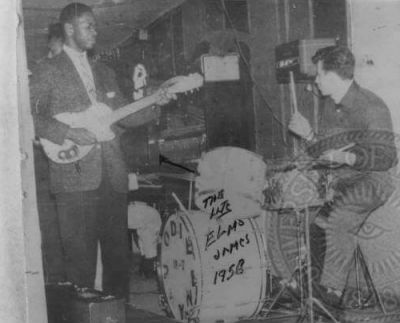 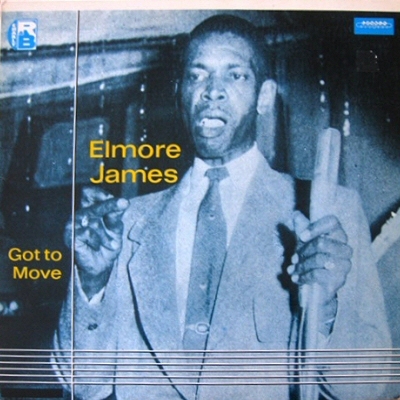 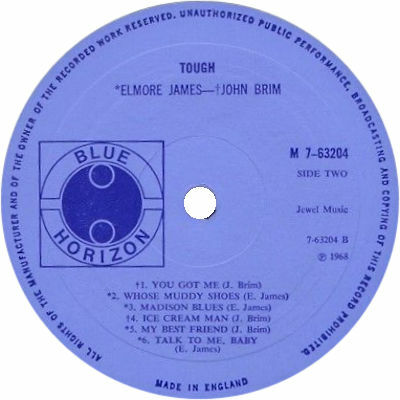 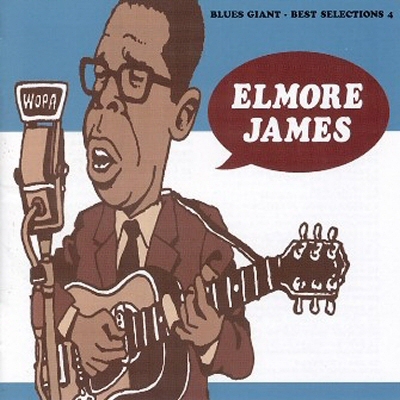 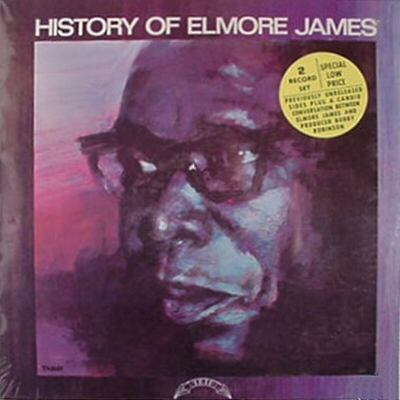 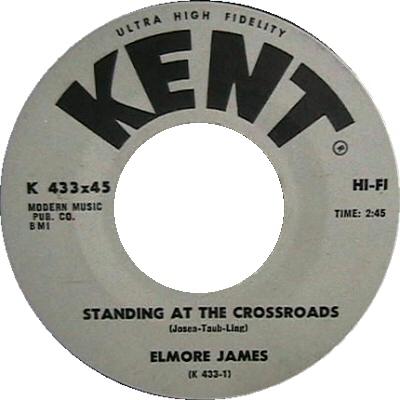 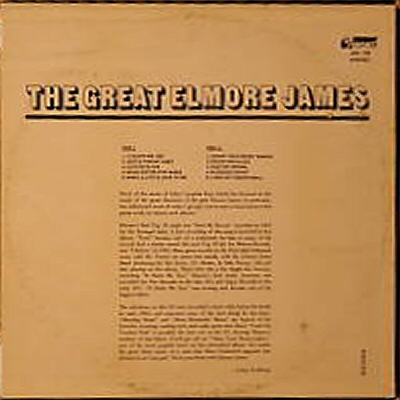 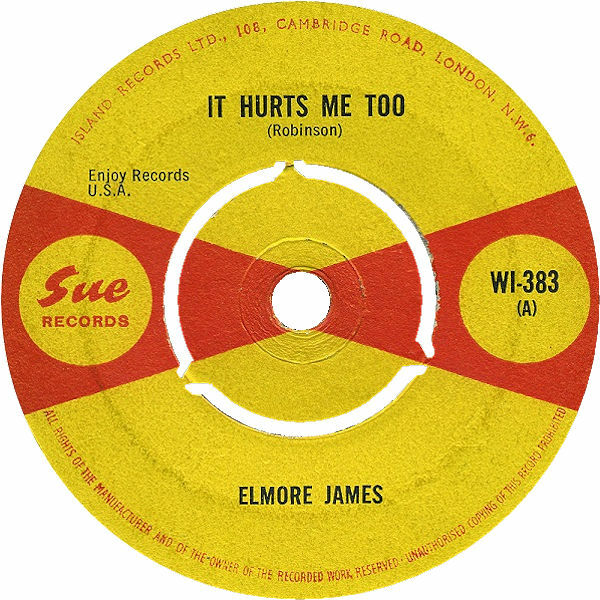 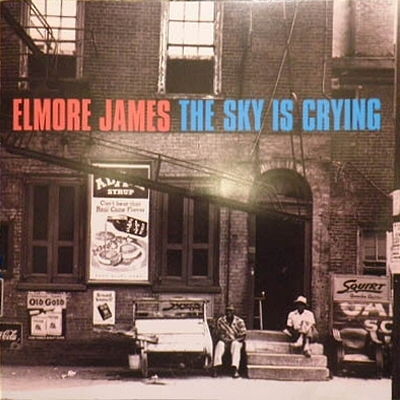 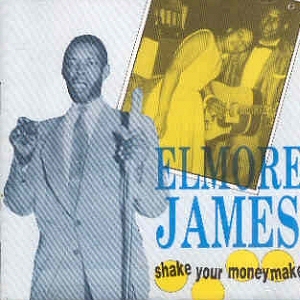 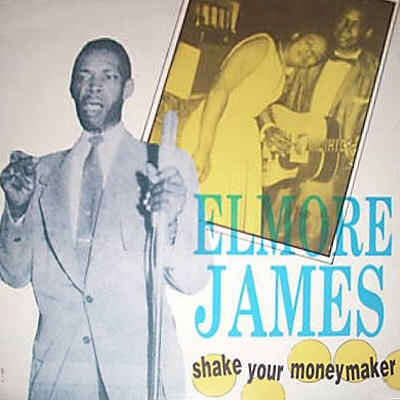 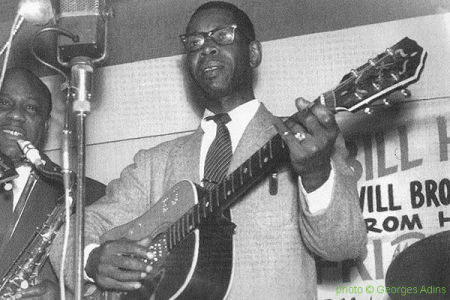 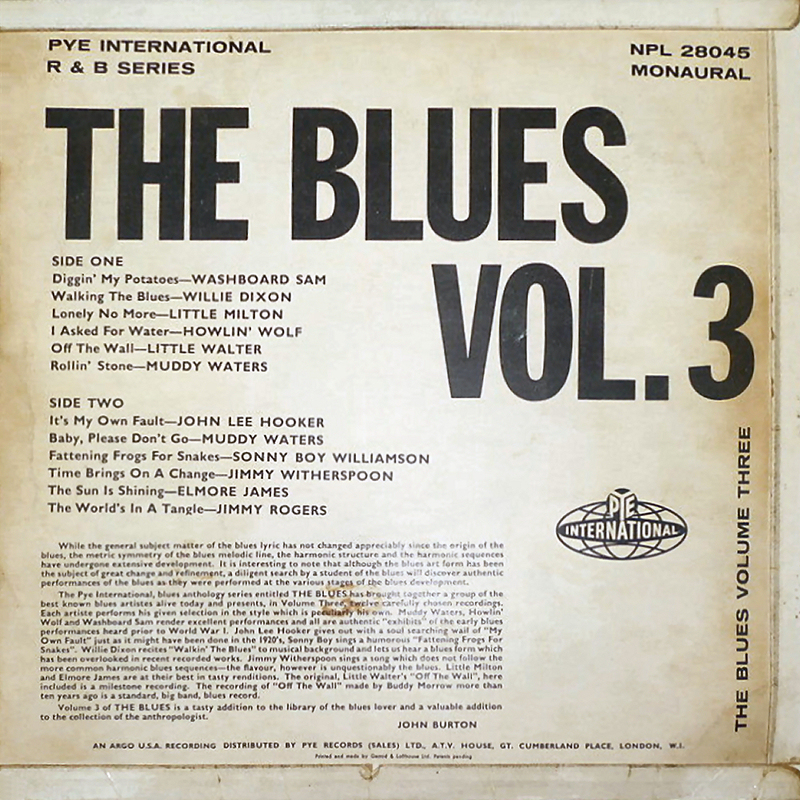 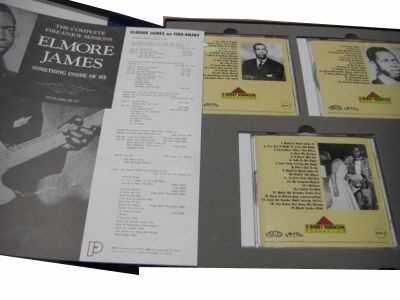 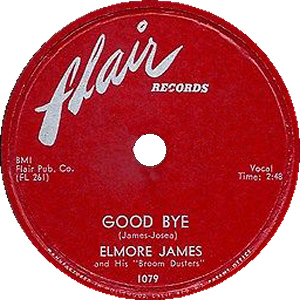 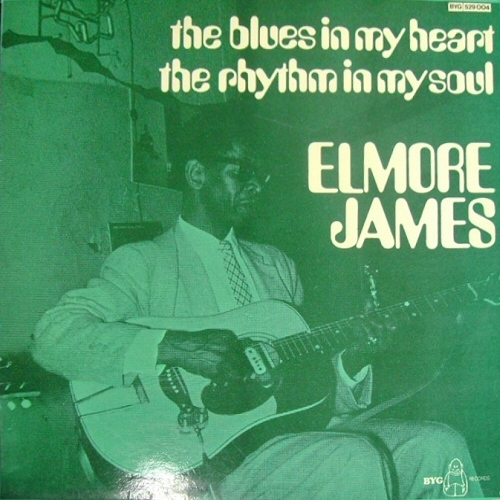 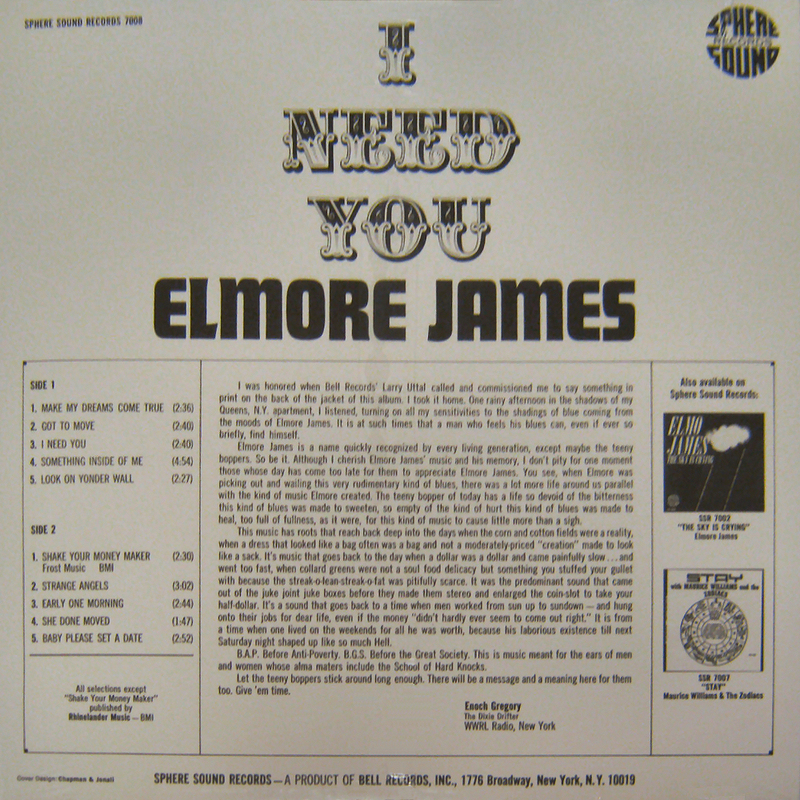 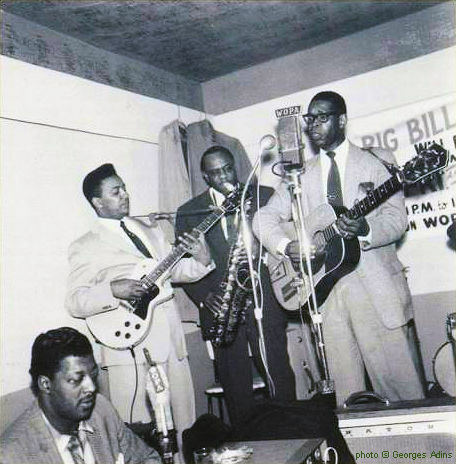 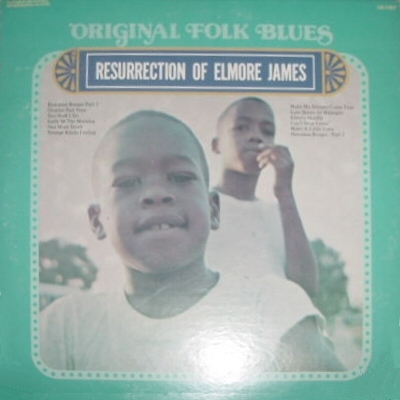 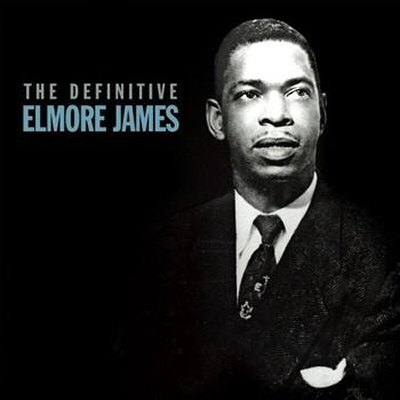 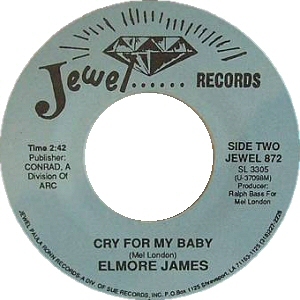 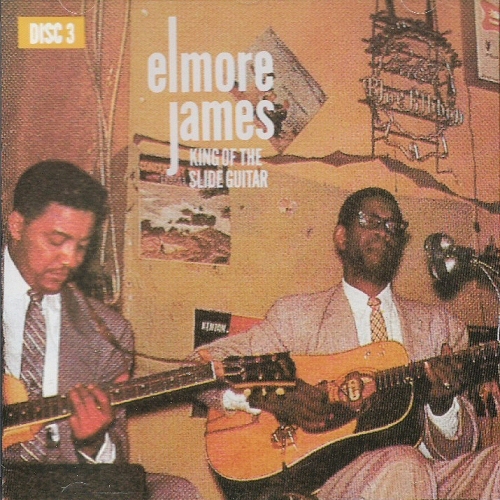 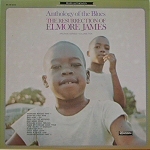 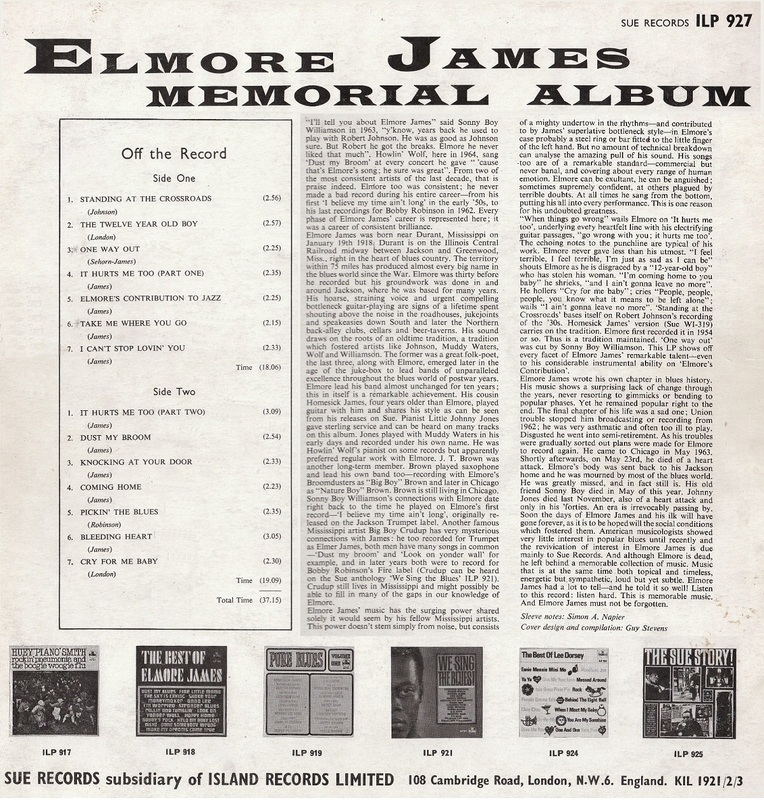 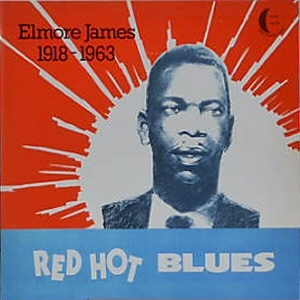 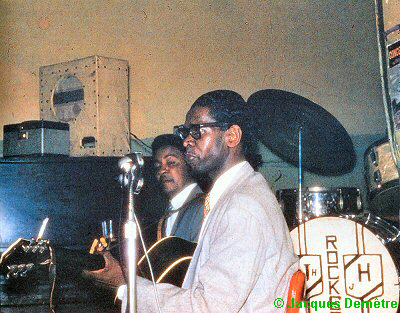 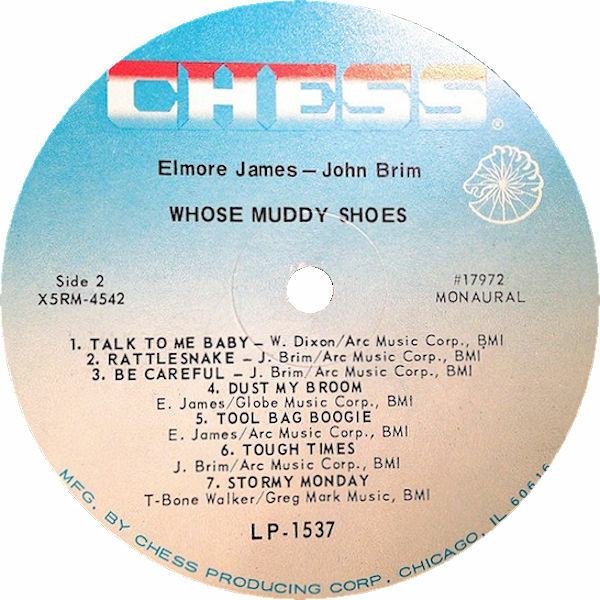 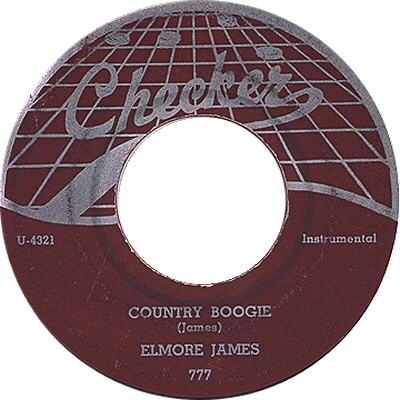 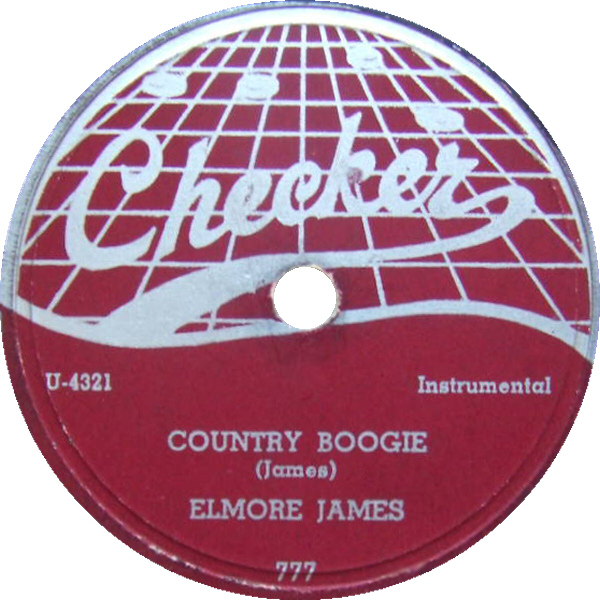 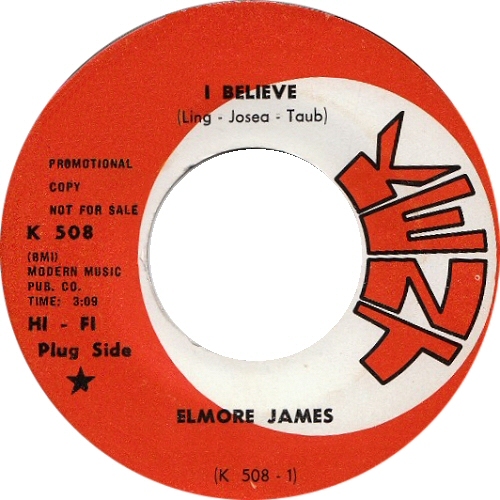 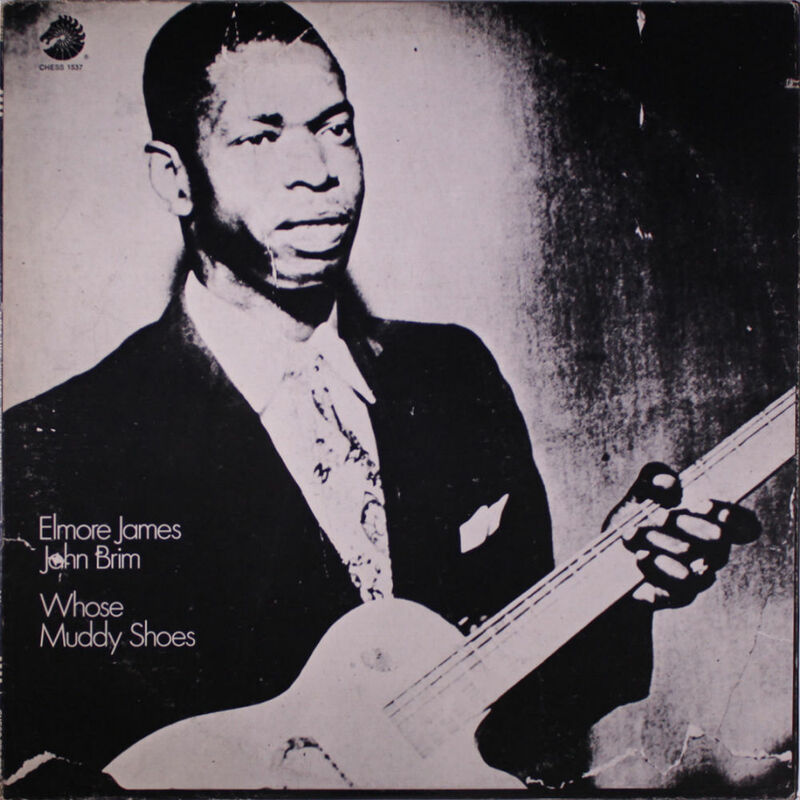 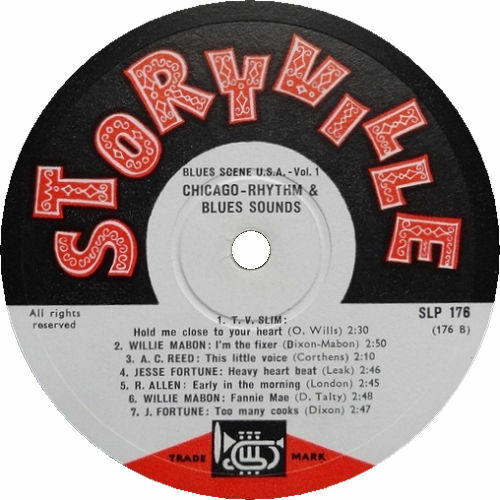 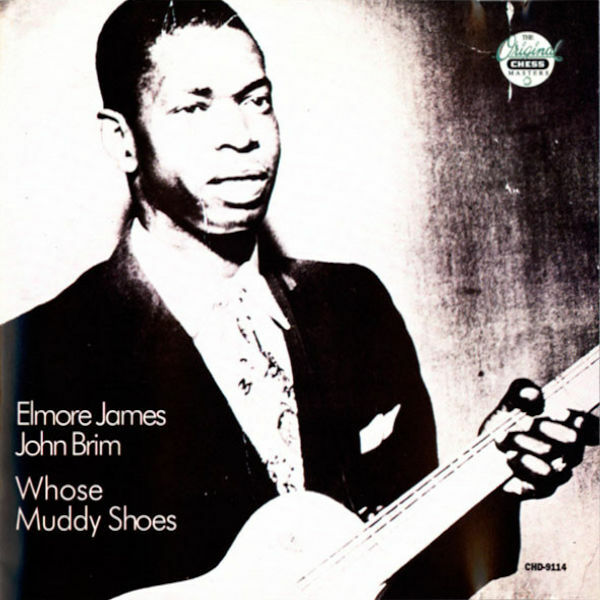 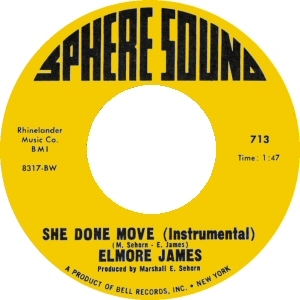 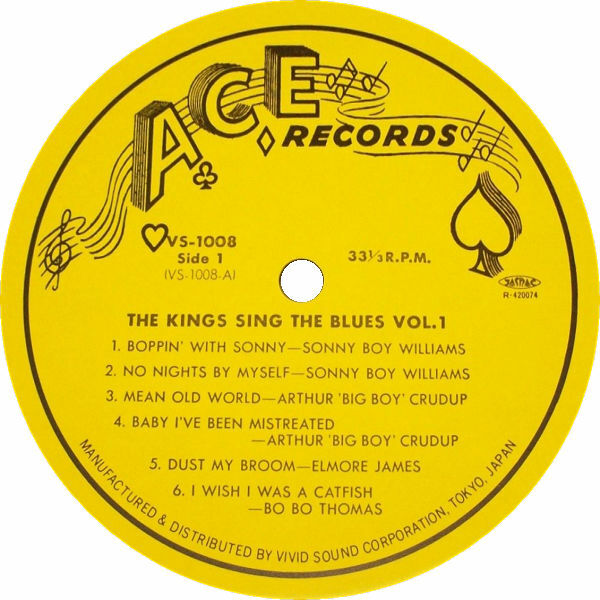 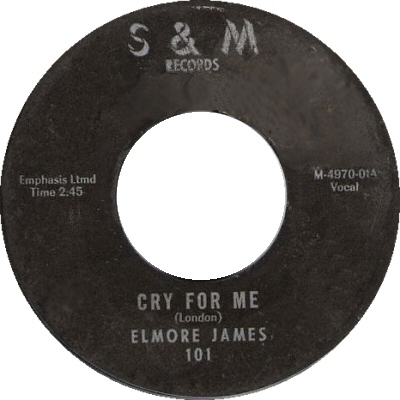 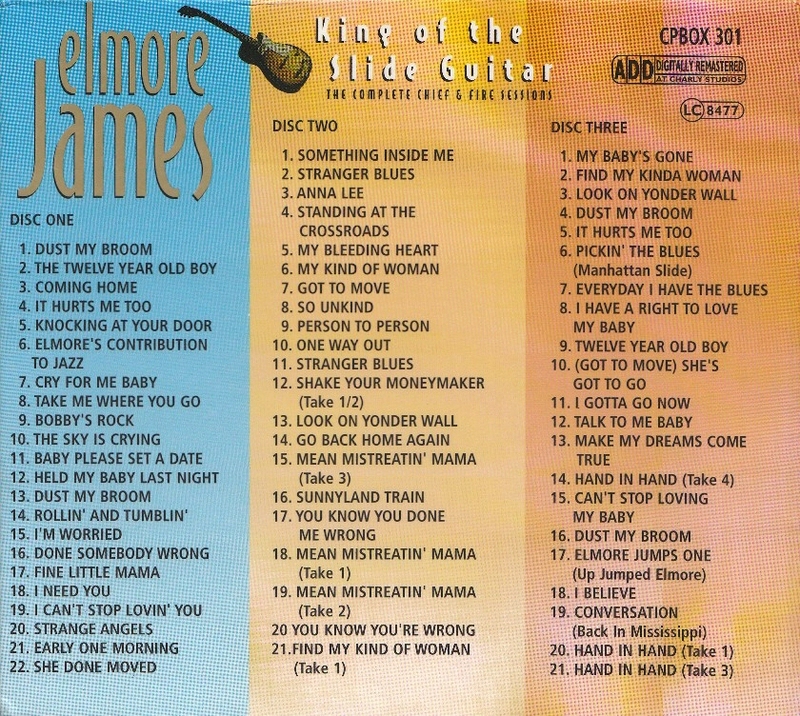 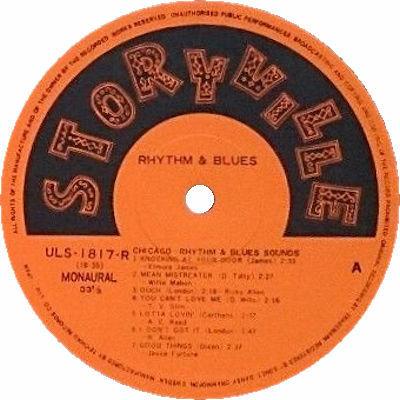 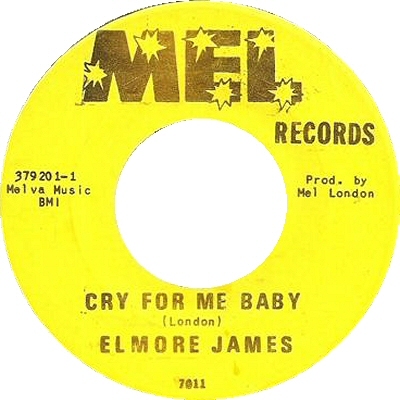 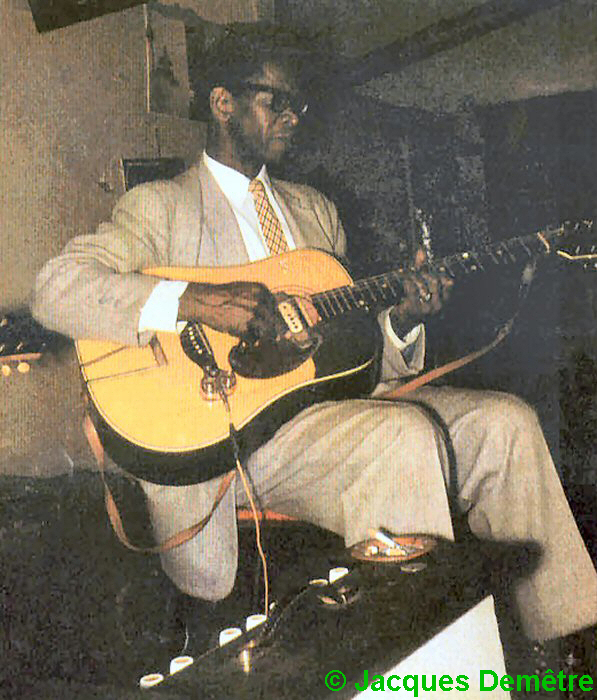 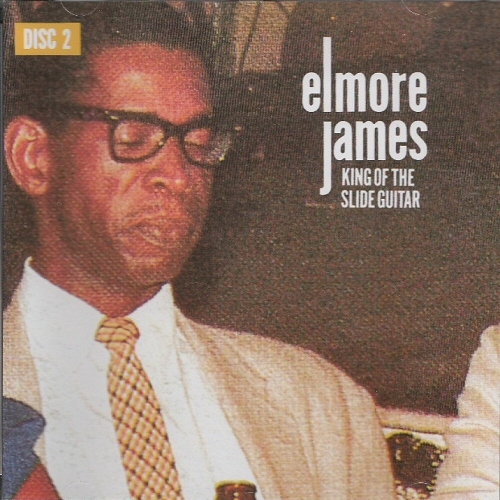 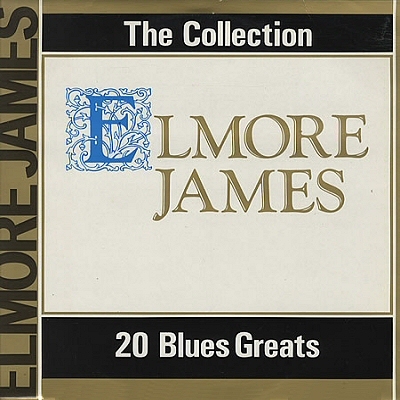 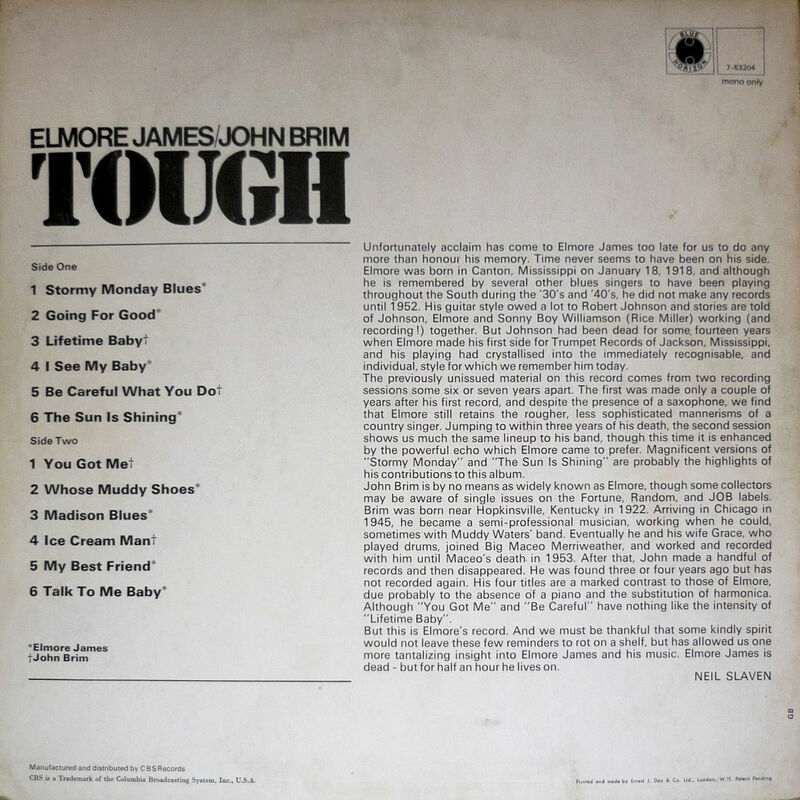 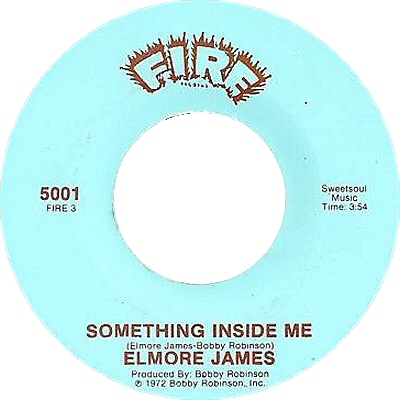 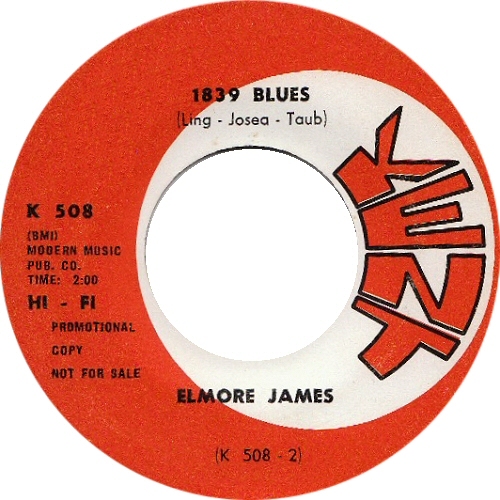 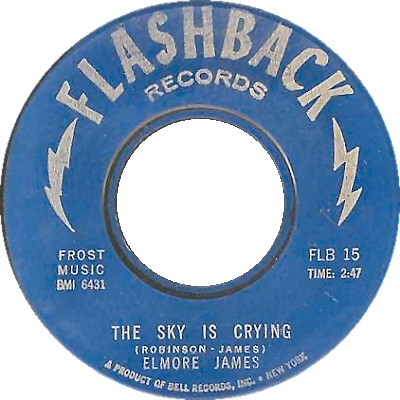 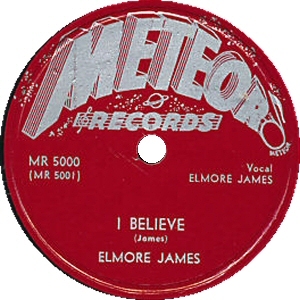 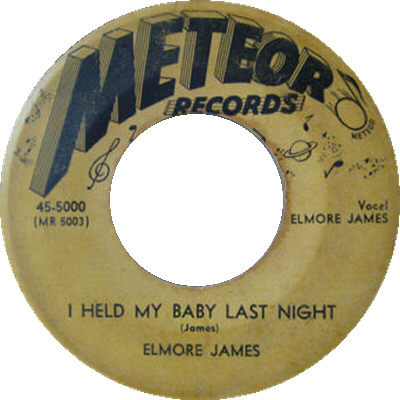 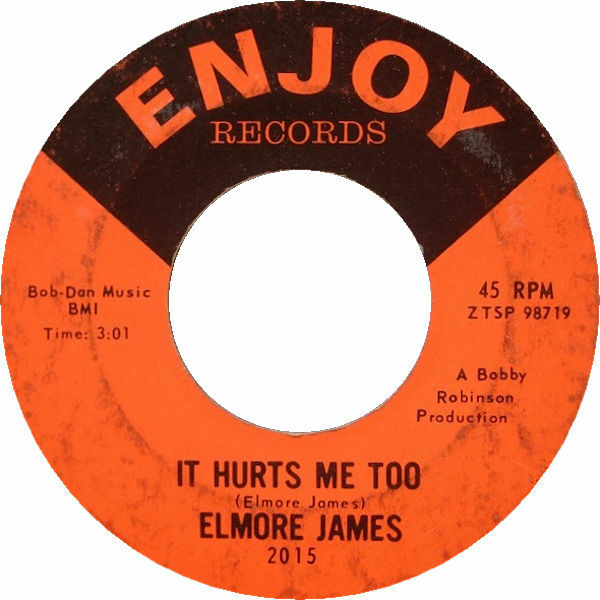 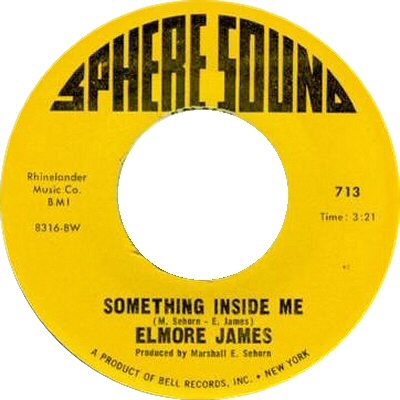 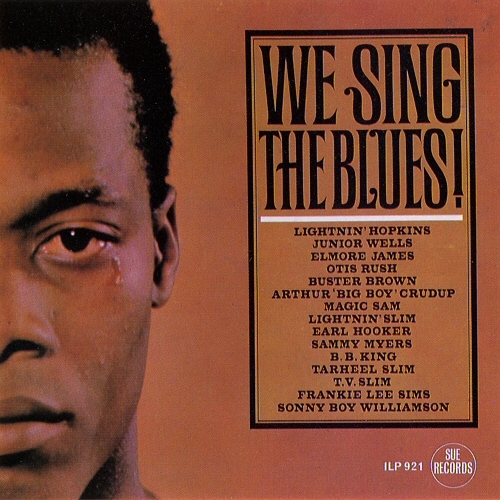 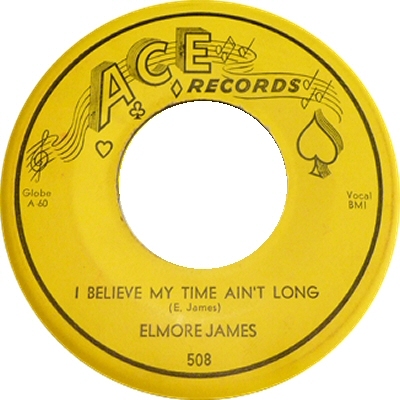 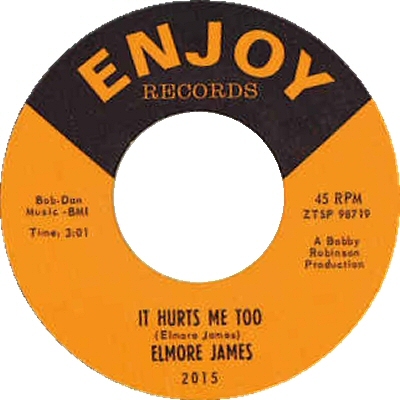 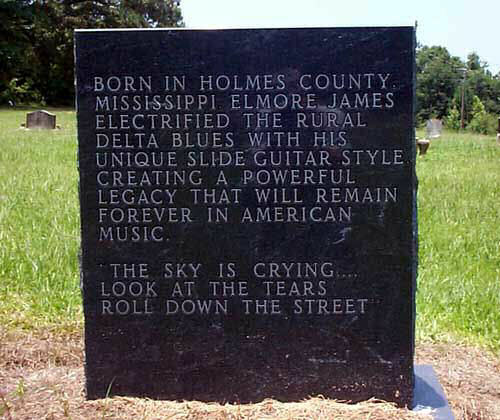 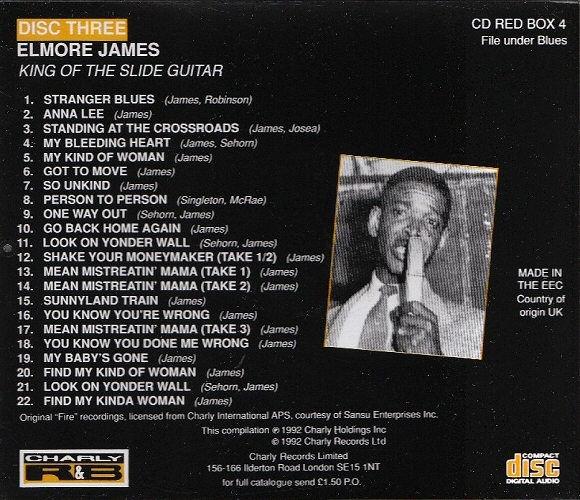 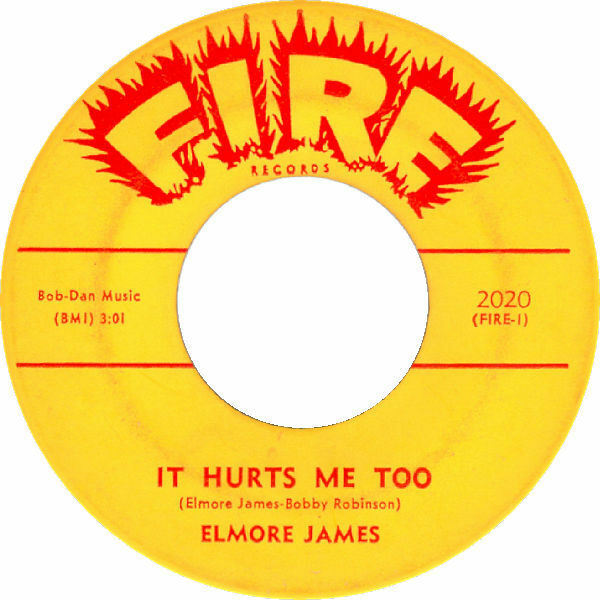 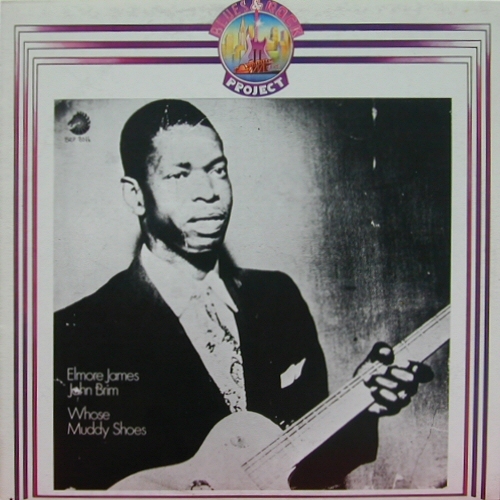 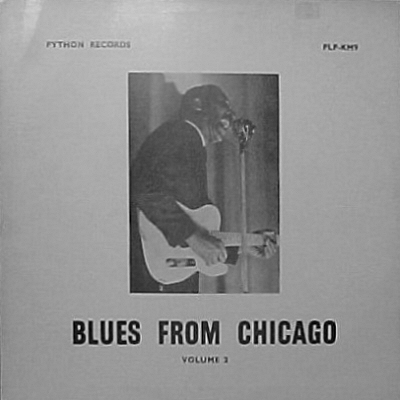 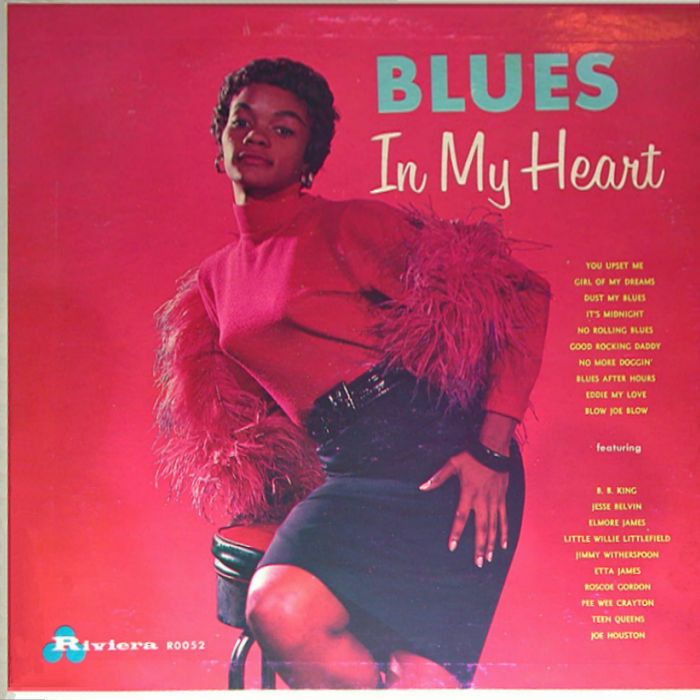 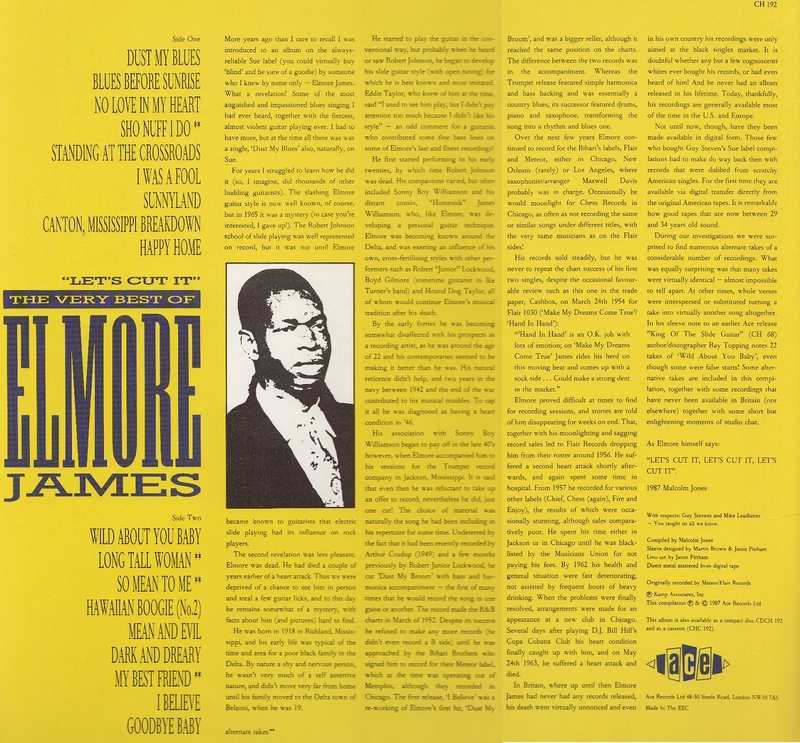 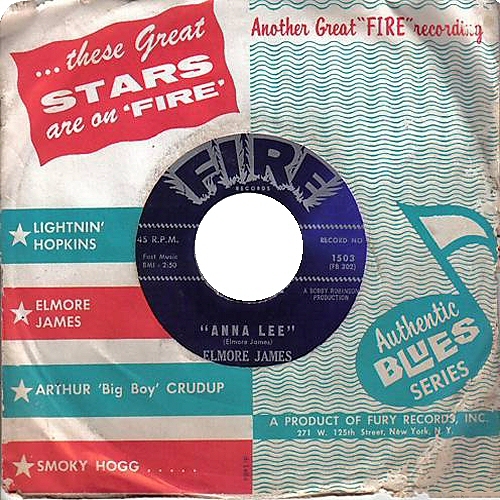 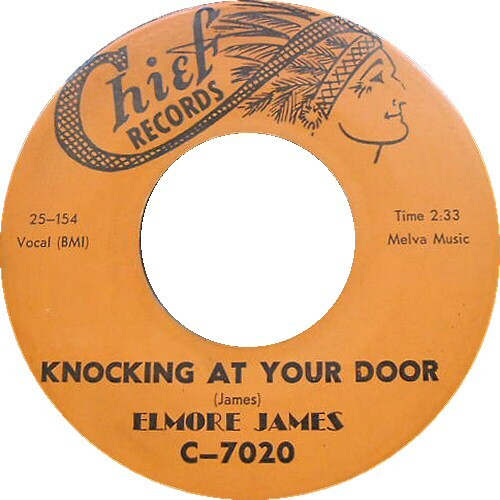 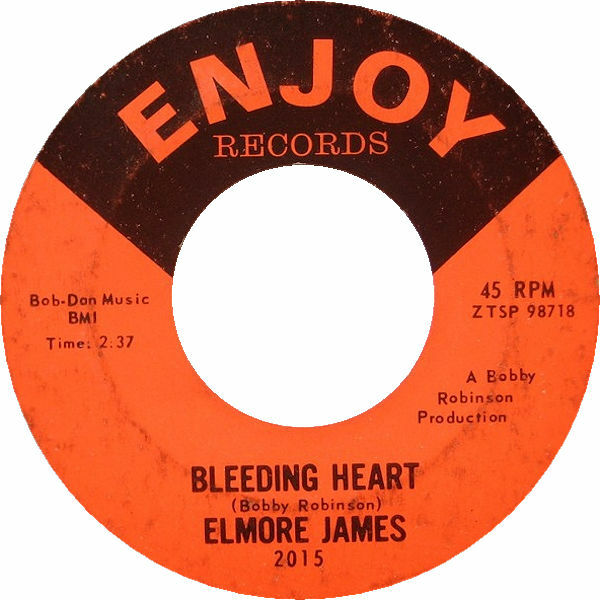 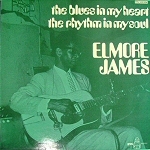 Months after the funeral I began to do some internet research and discovered the extent of Elmore James music career and his influence on the blues and rock n roll era. 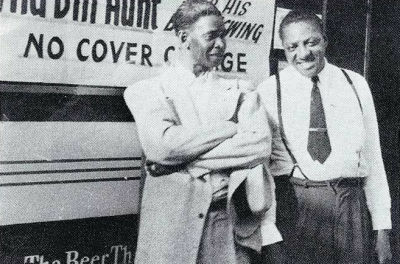 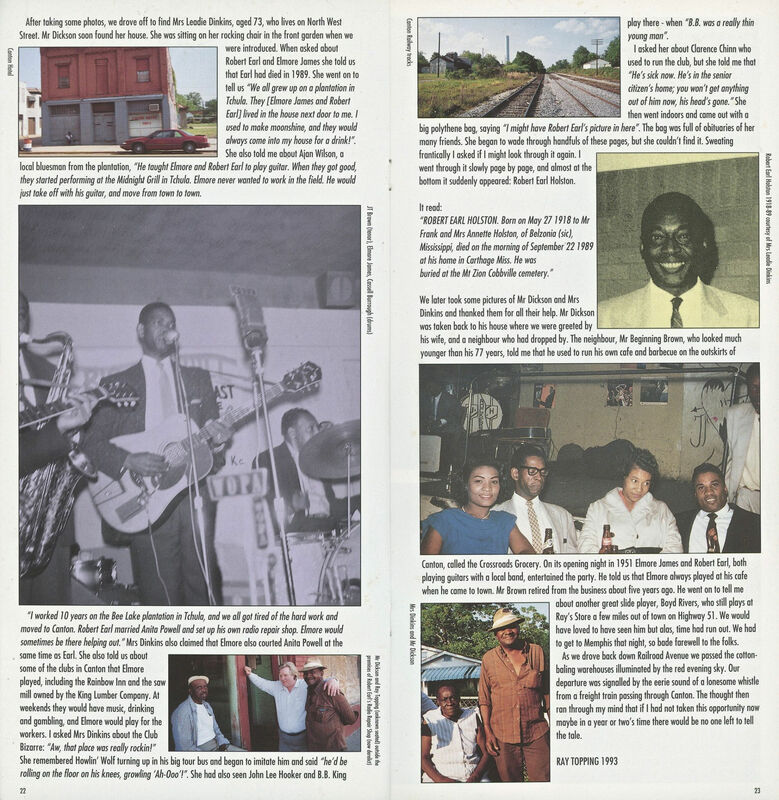 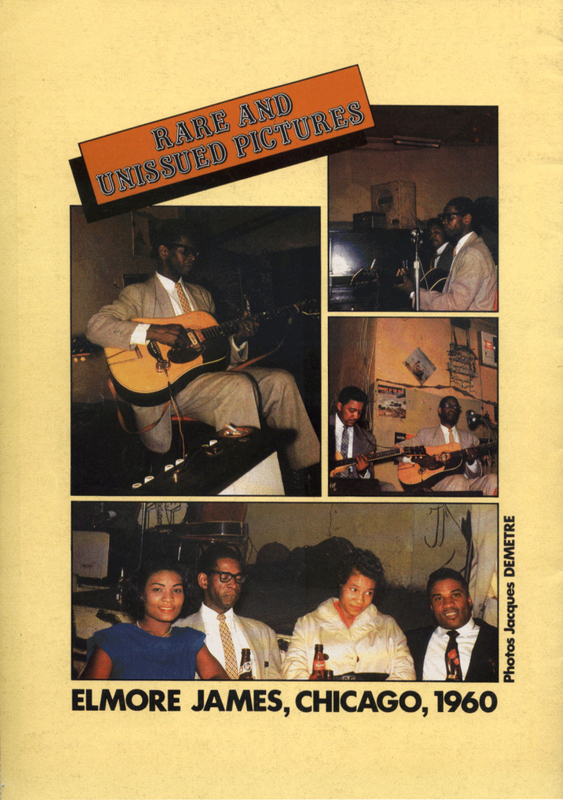 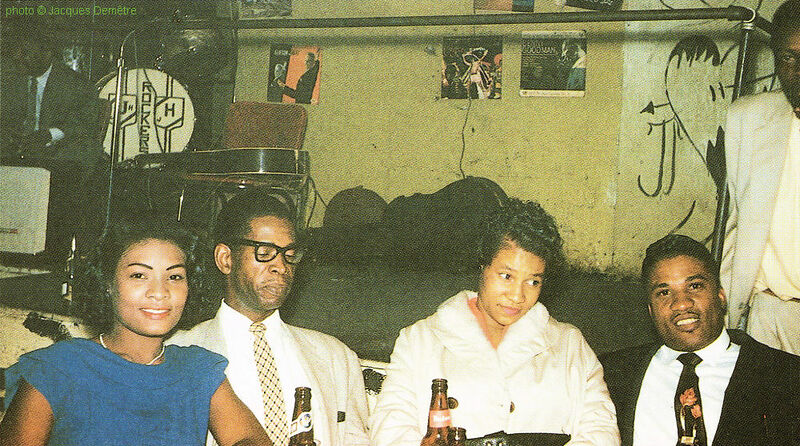 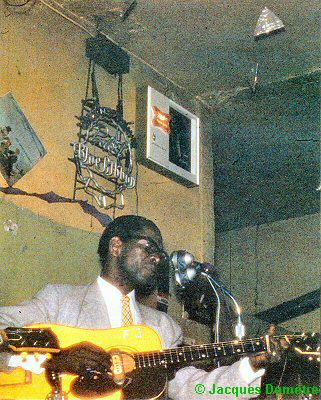 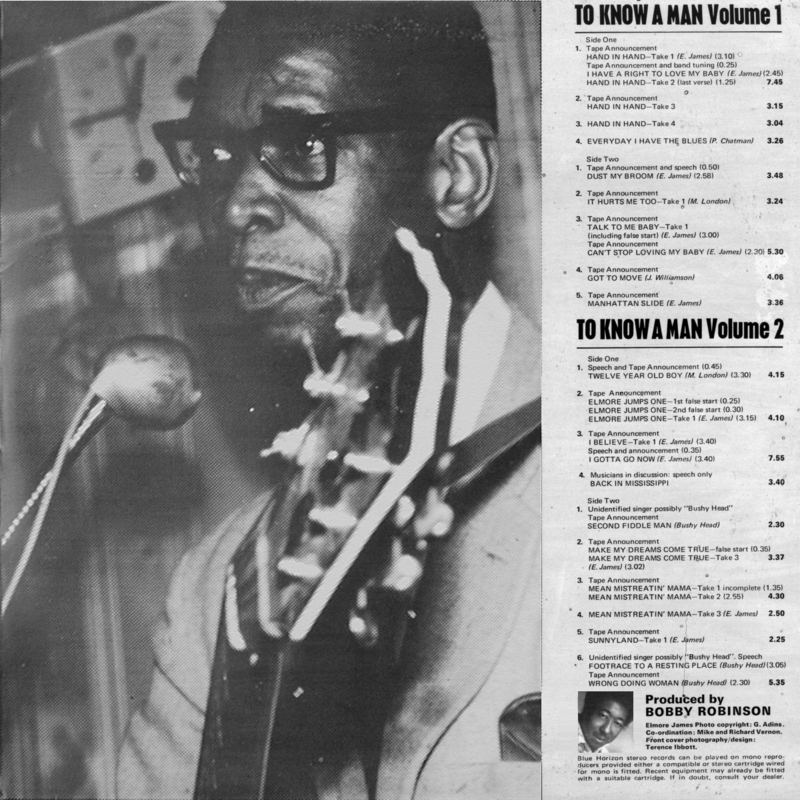 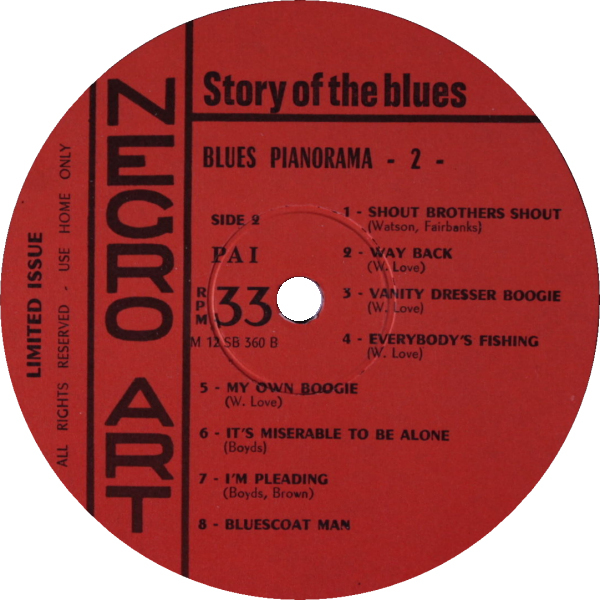 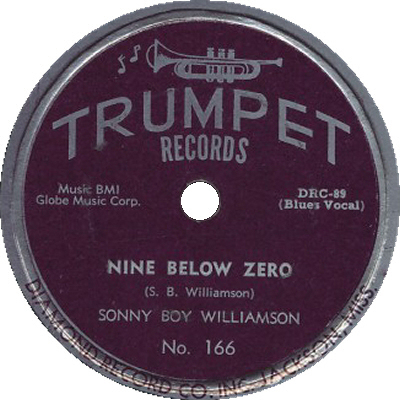 After researching and reading Steve Franz's book 'The Amazing secret life of Elmore James' I found not only was my aunt the widow of a pioneering blues legend my family knew all about it but the rest of the world knew nothing. 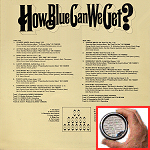 When I asked my family why, the answer was simple. 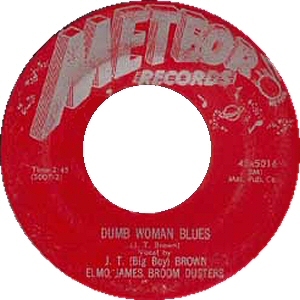 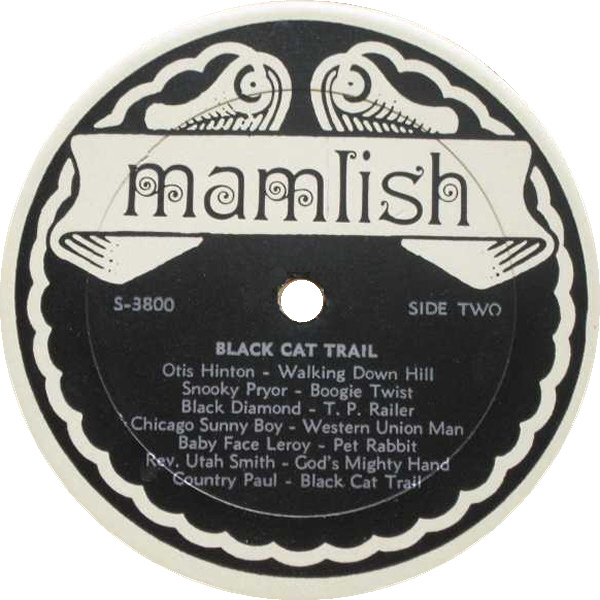 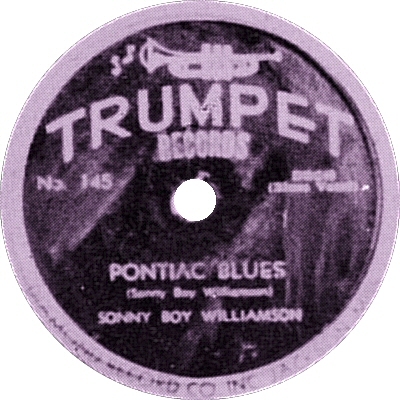 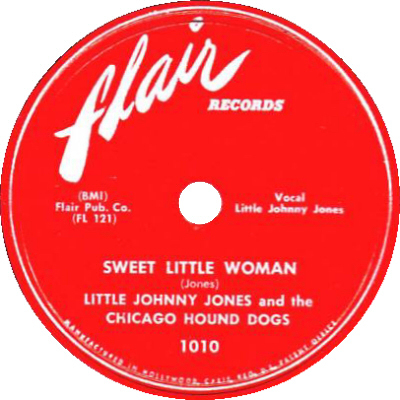 Aunt Matt wanted to be known as the wife and widow of a preacher not a blues singer. 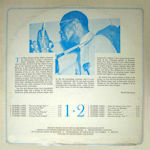 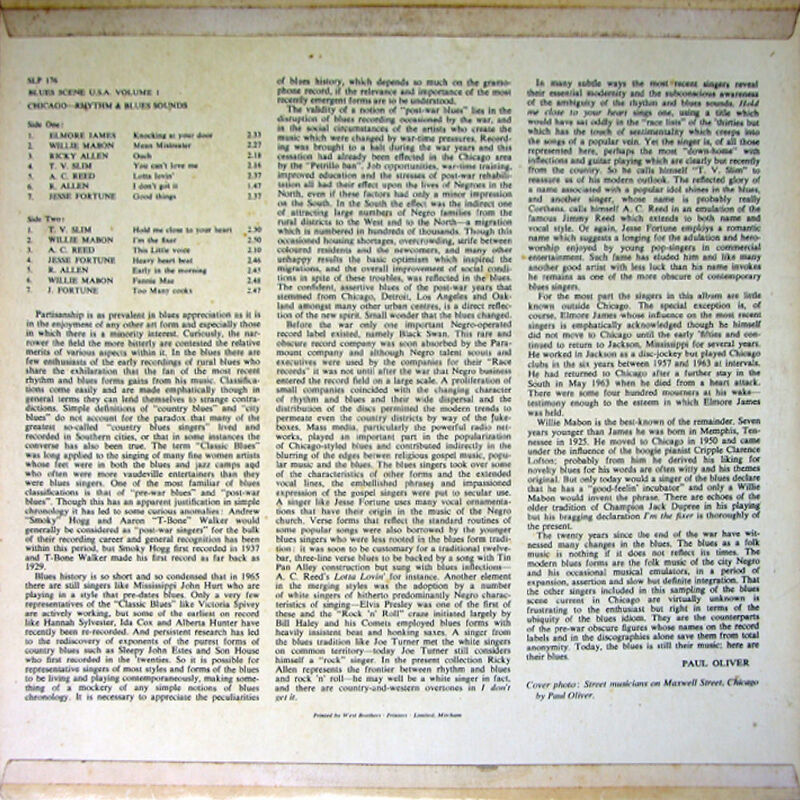 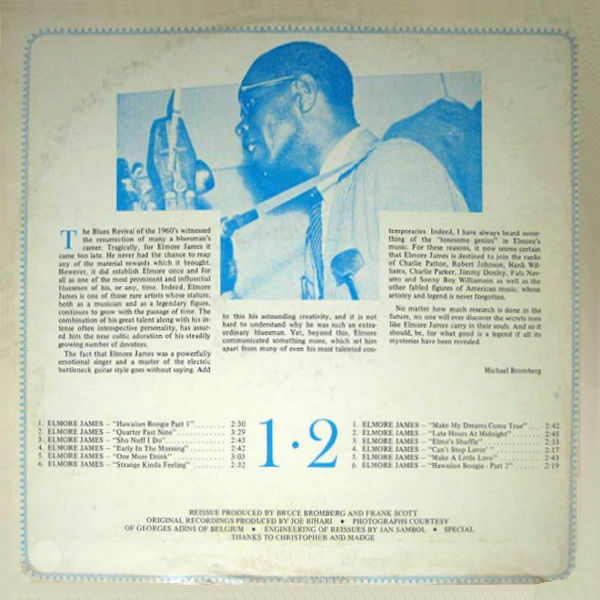 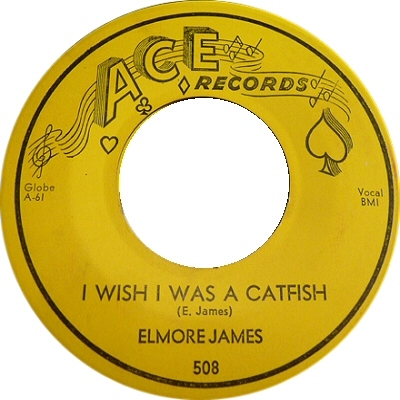 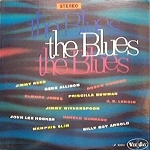 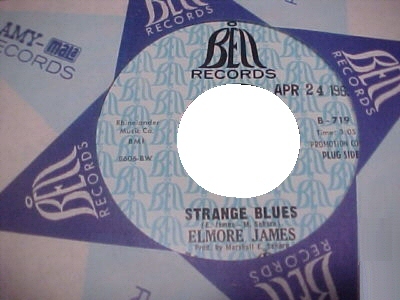 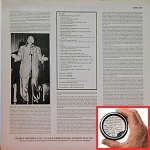 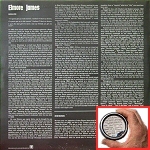 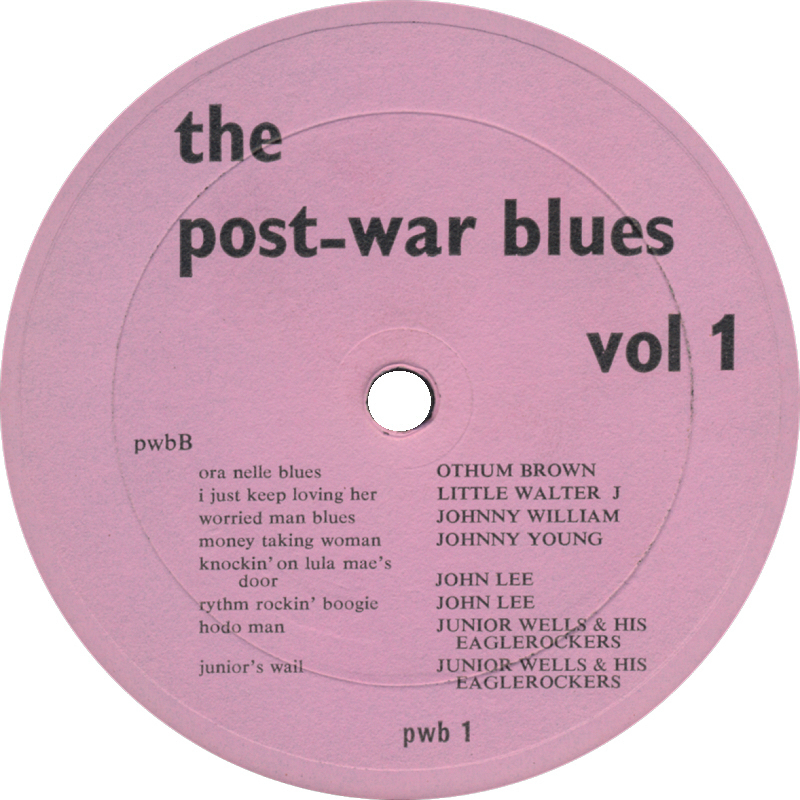 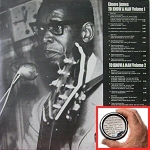 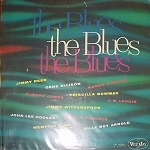 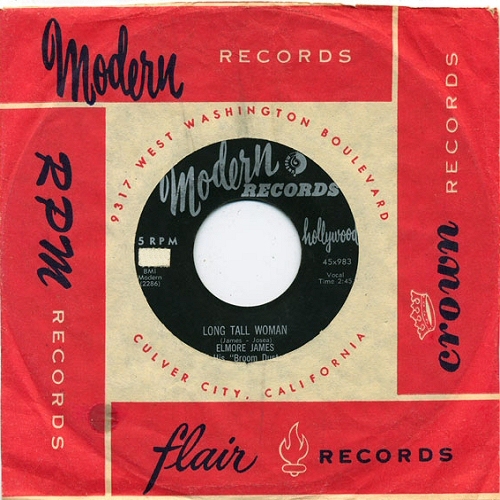 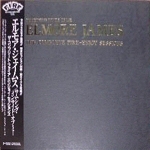 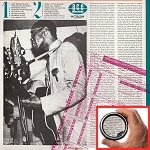 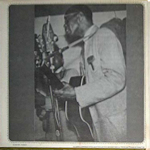 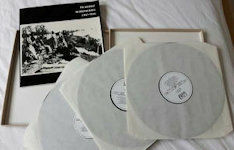 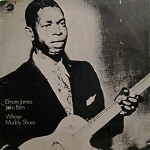 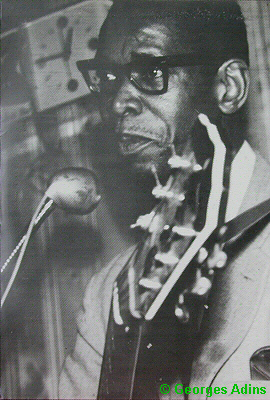 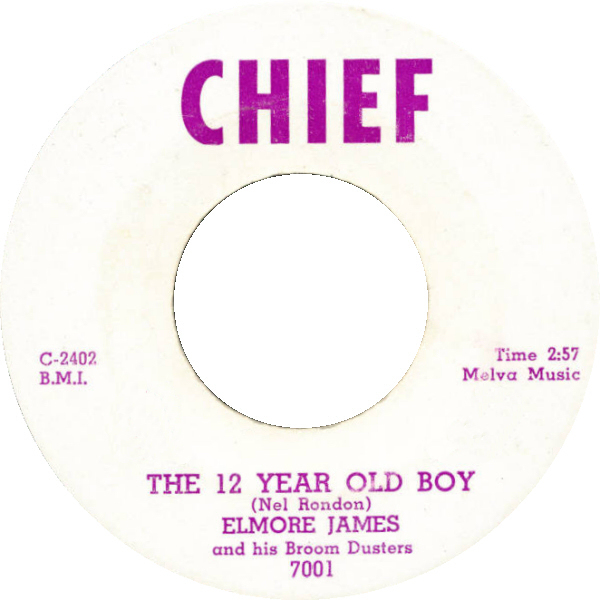 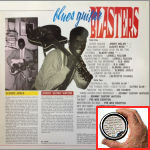 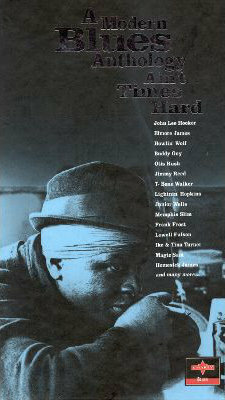 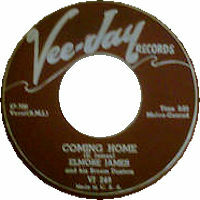 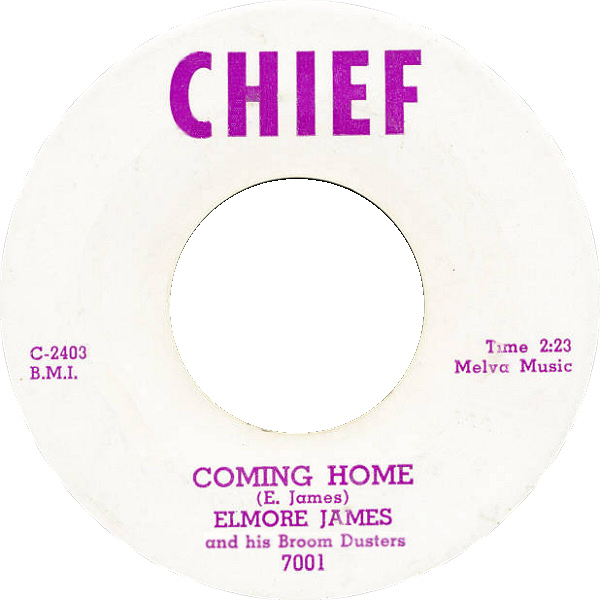 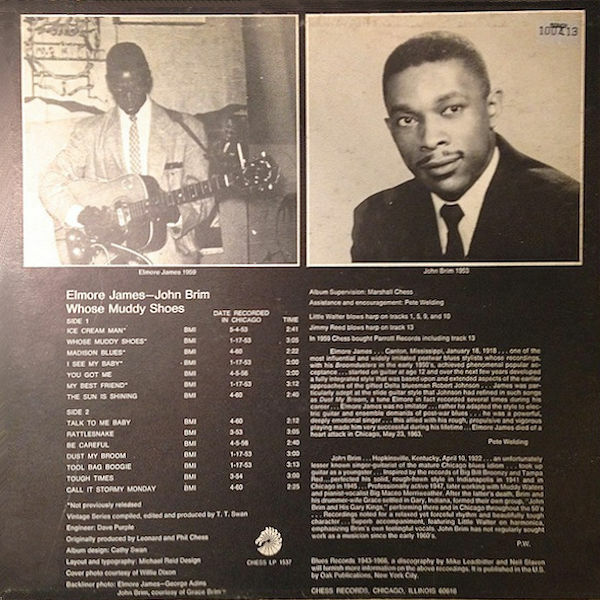 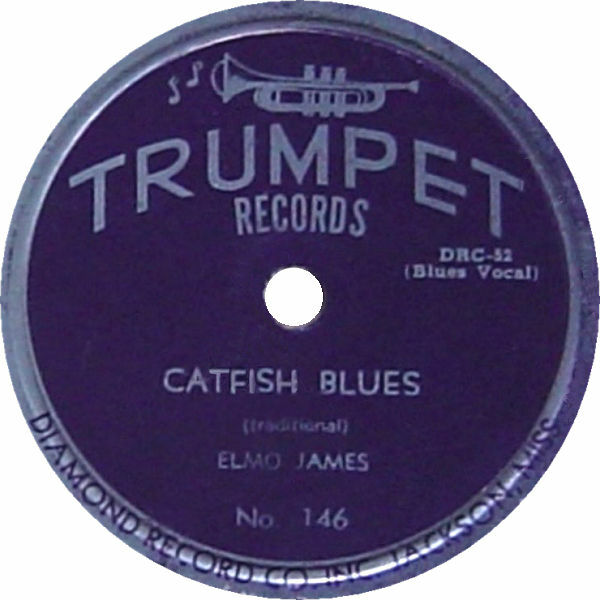 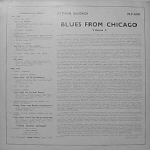 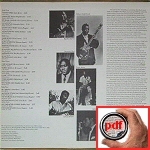 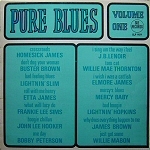 - Elmore James 'Genuine, Original' Naval Discharge! 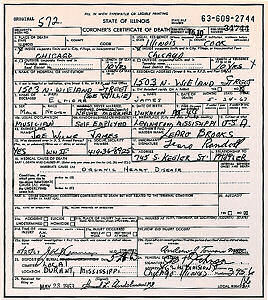 - Elmore and Mattie James Marriage Certificate! 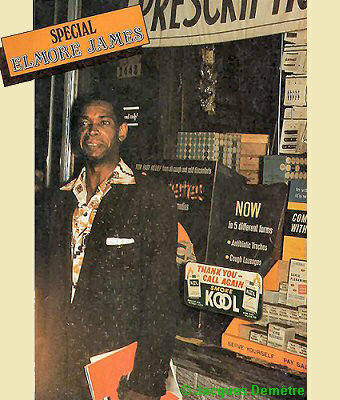 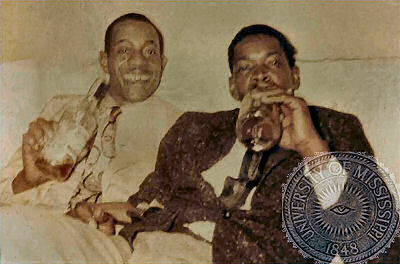 - The last picture taken of Elmore James in His casket at the gravesite immediately before he was buried! 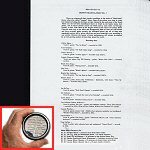 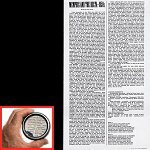 - Veterans Administration correspondence between Mattie and the VA while she described her relationship with her husband while applying for benefits. (She received benefits from being his widow until 1977 when she remarried.) 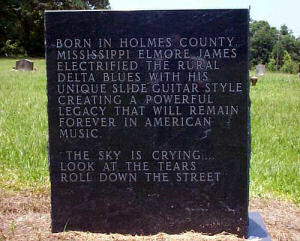 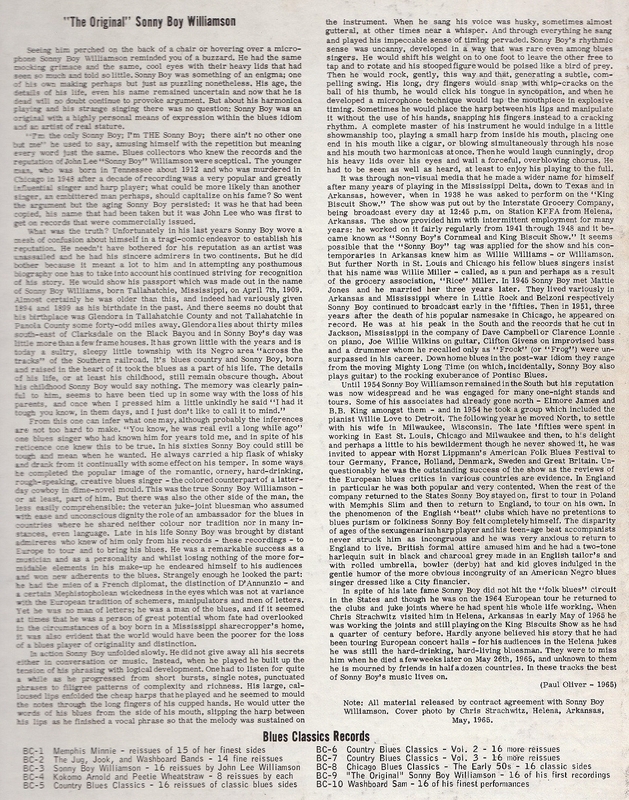 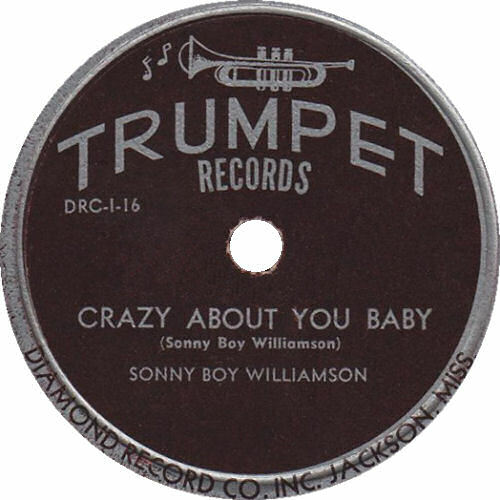 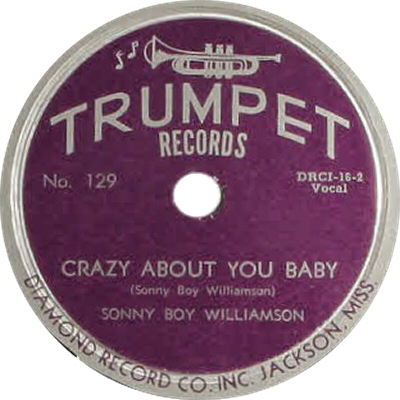 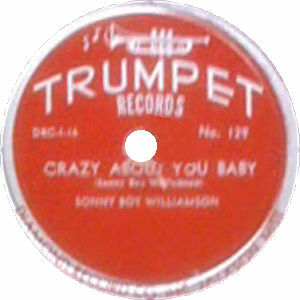 These forms mention Elmore's first wife Minnie Mae Carter and his parents Joe Willie James and Leora Brooks Randoll. 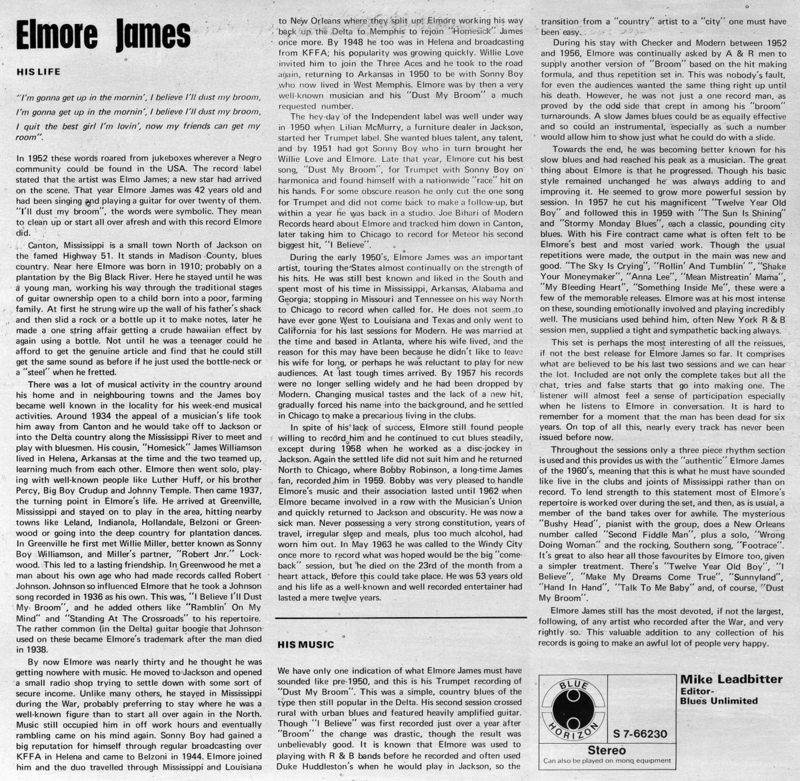 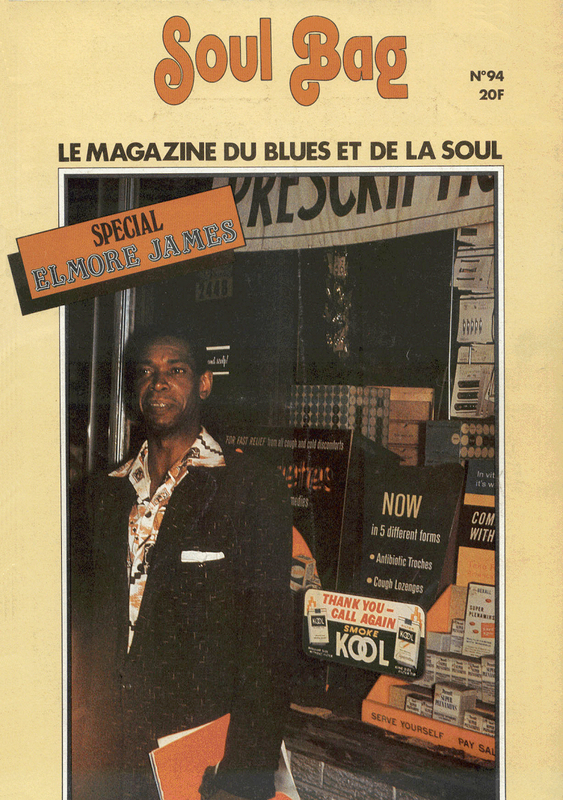 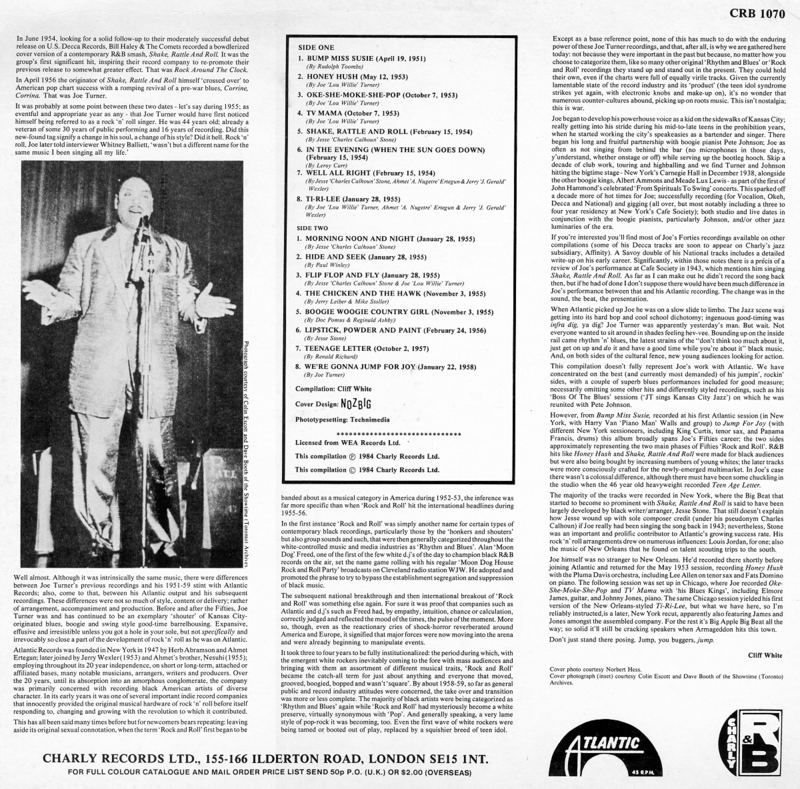 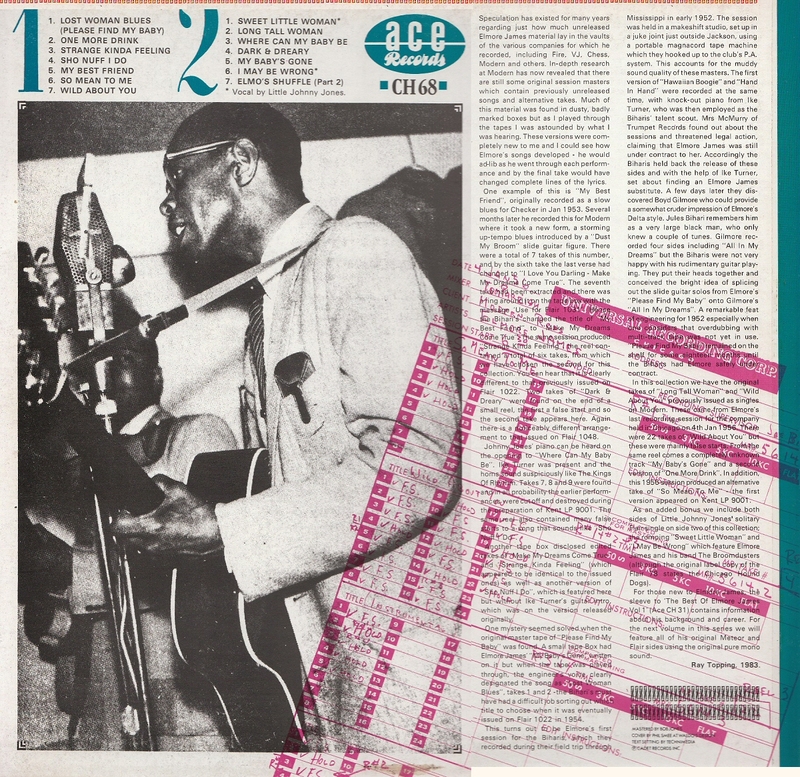 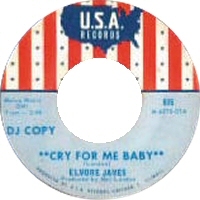 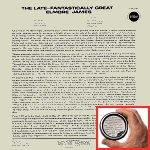 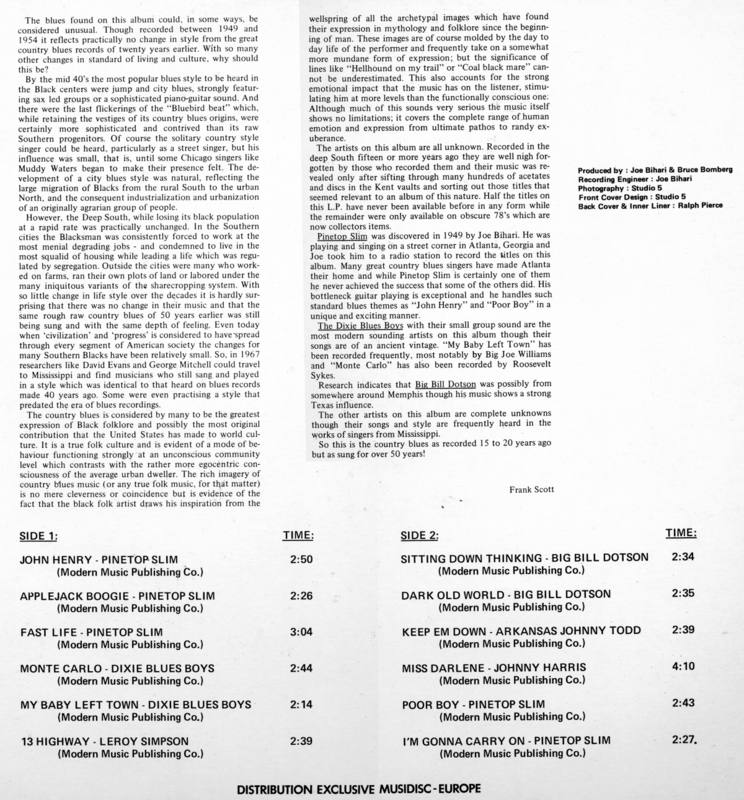 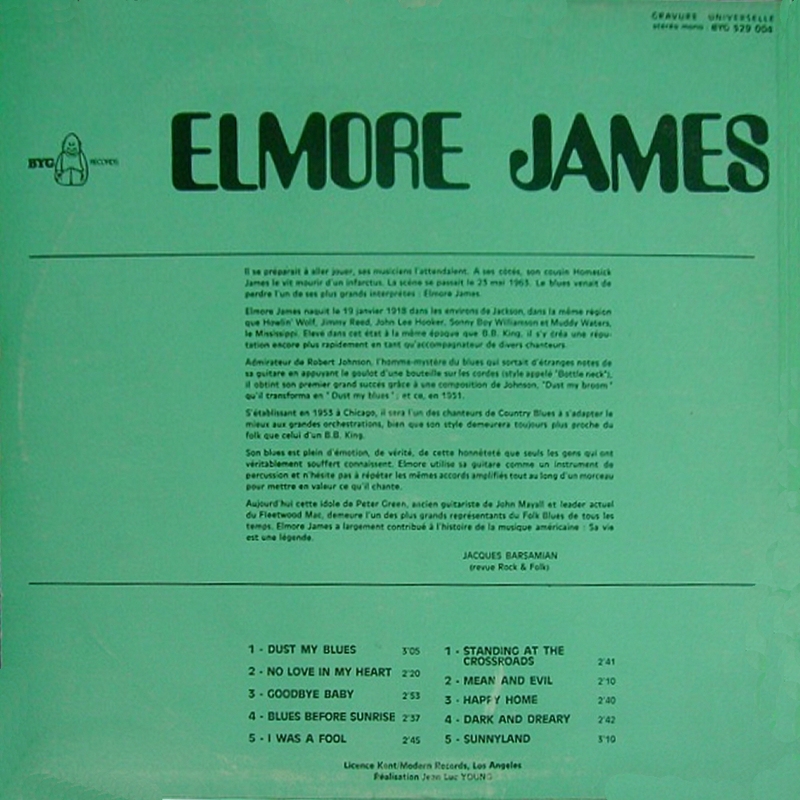 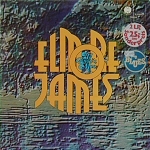 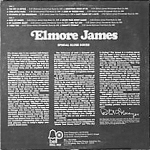 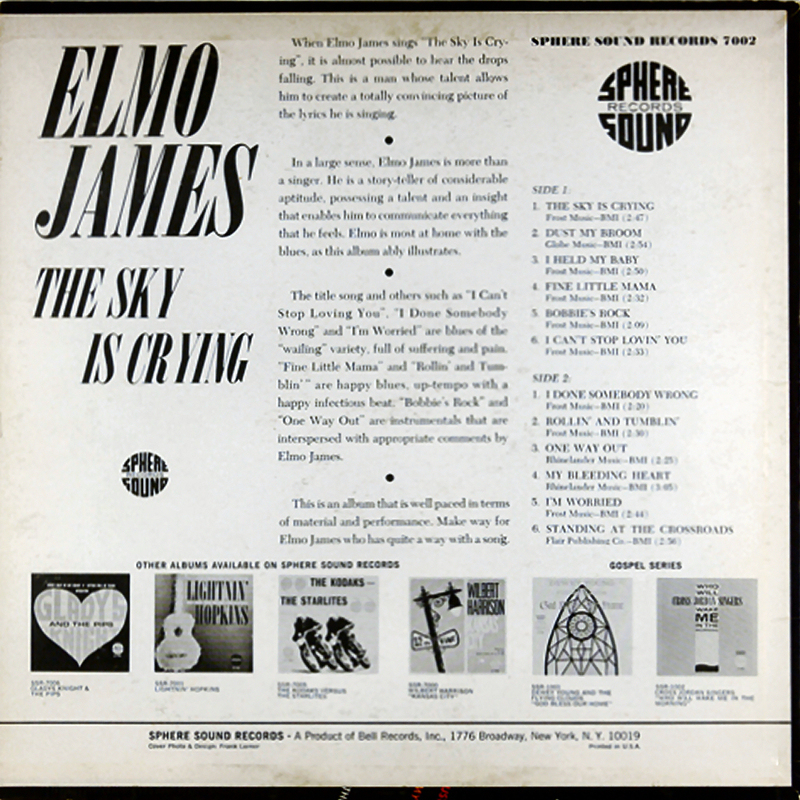 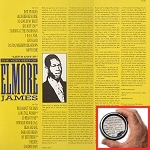 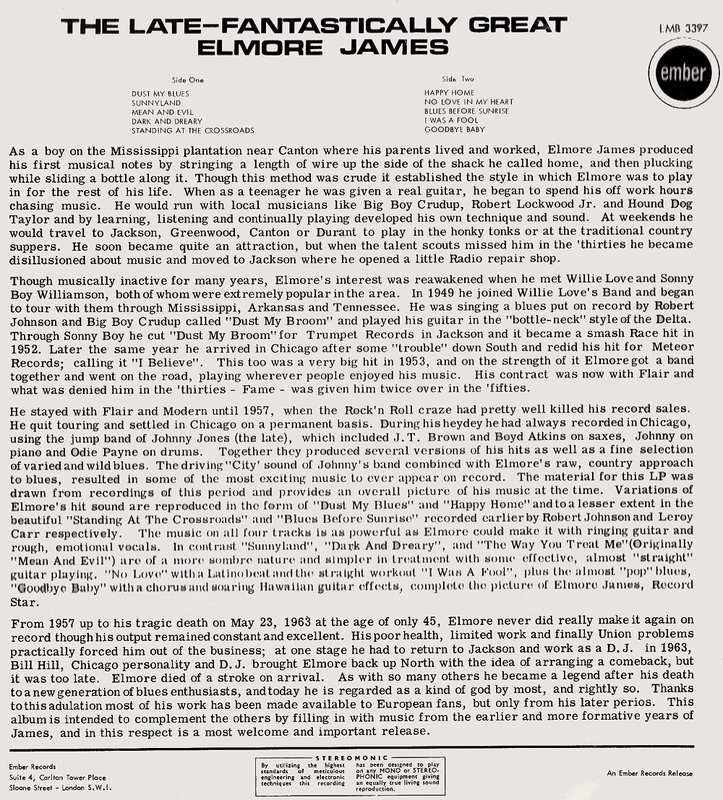 - A certified copy of Elmore James' death certificate dated 1973."